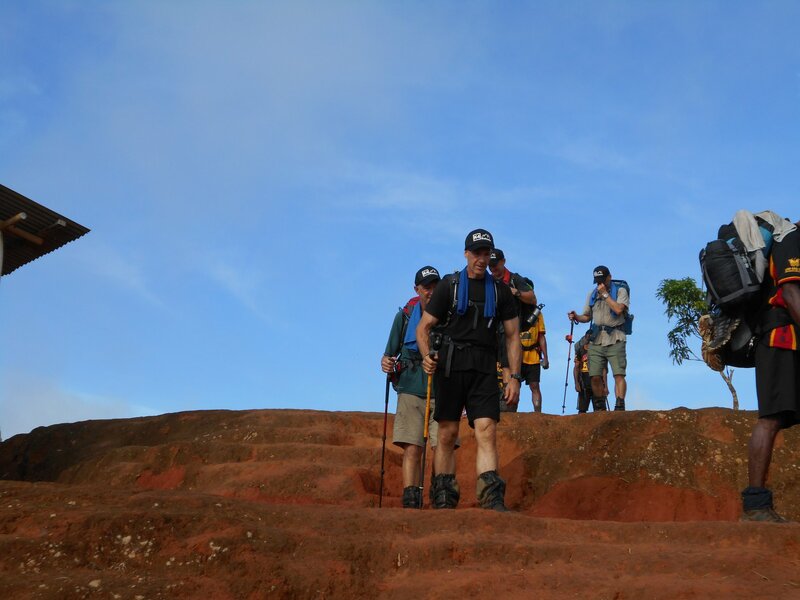 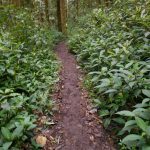 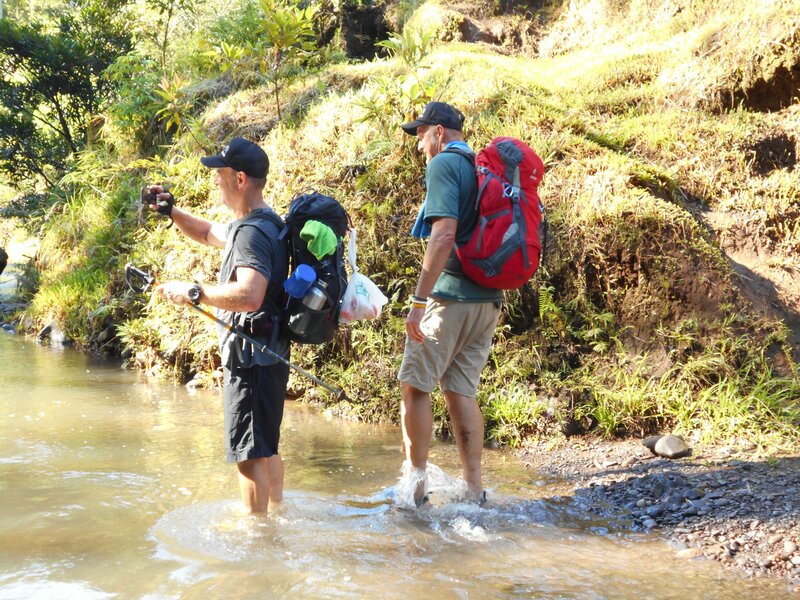 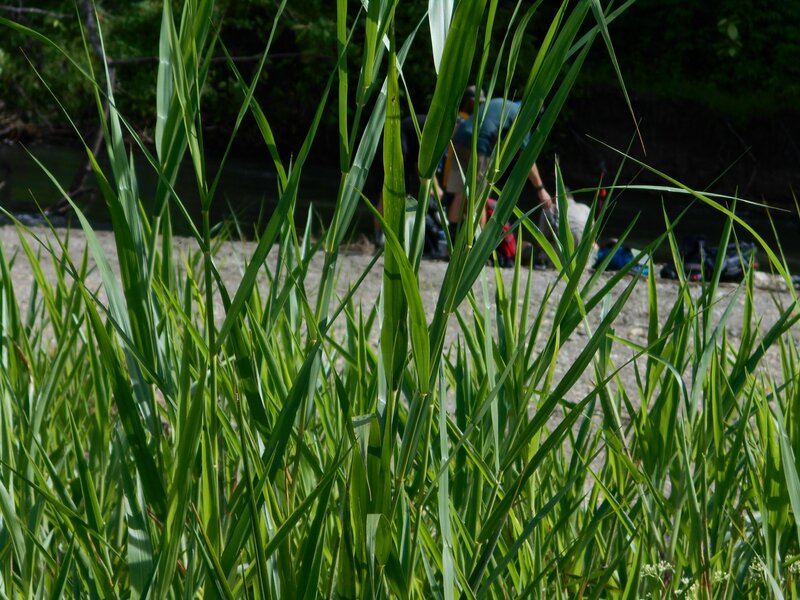 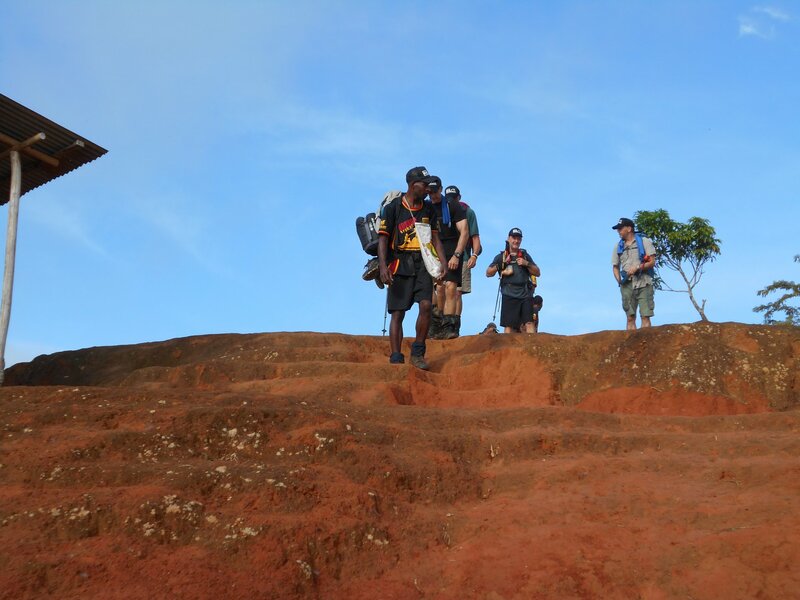 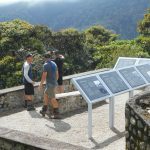 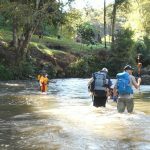 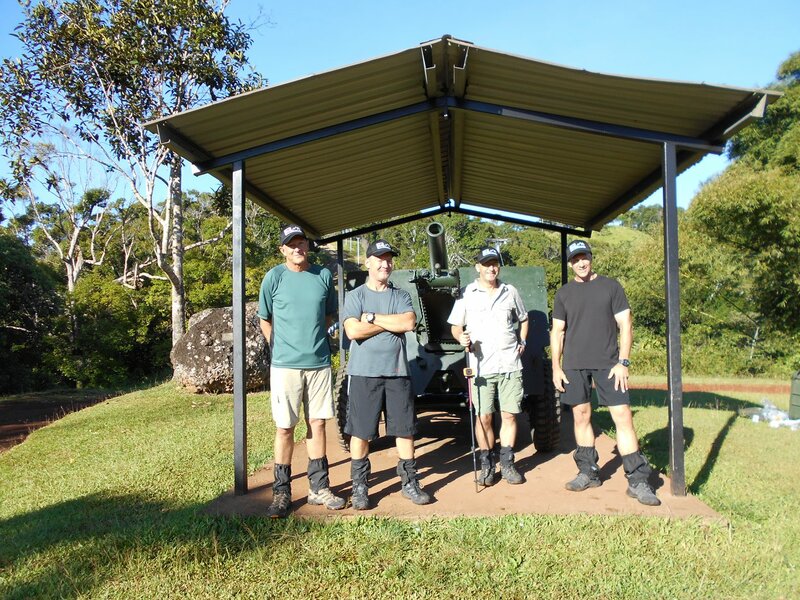 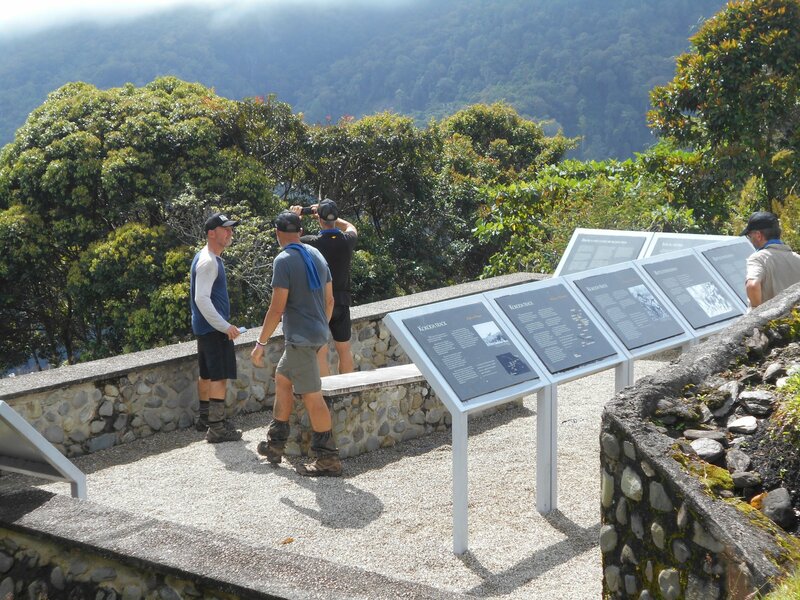 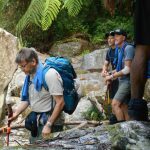 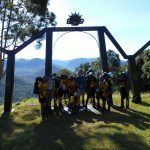 This ANZAC trek has been designed to help avoid the crowds prior to Anzac Day and will commence on the 16th of April. 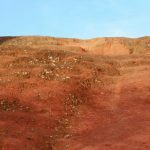 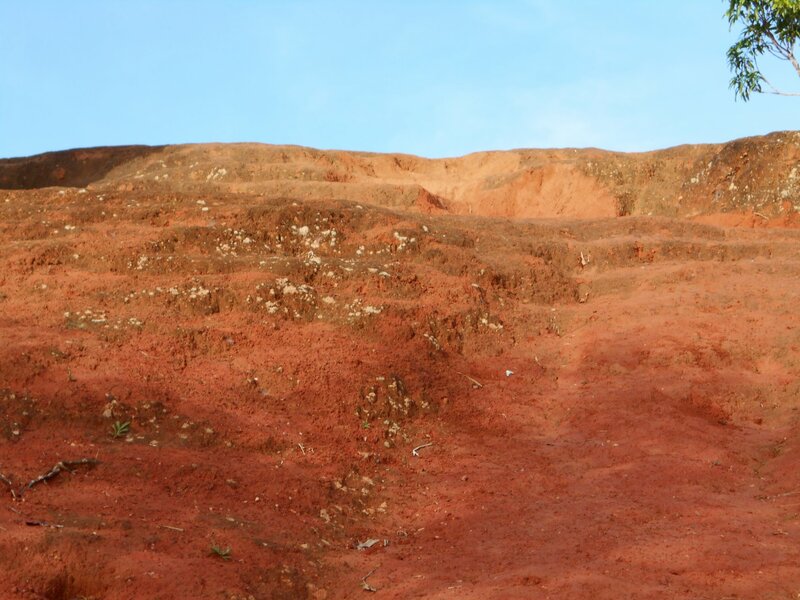 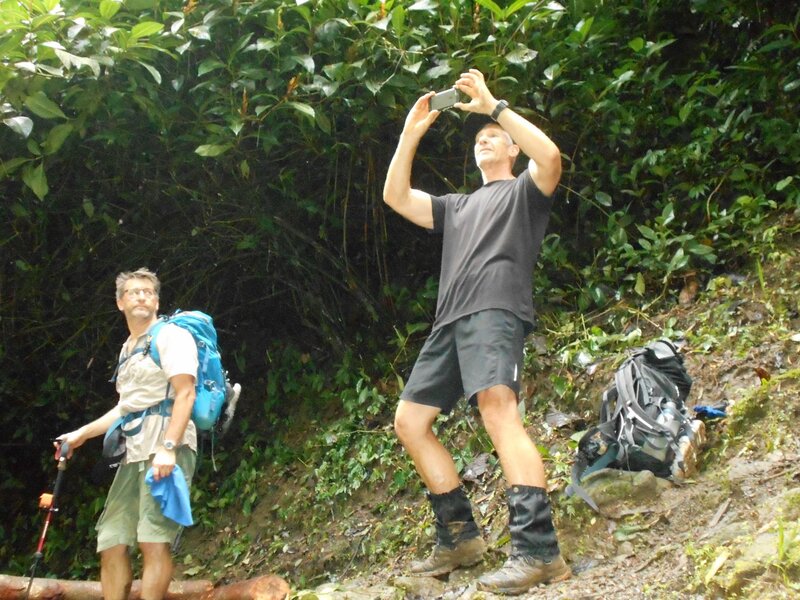 Trekkers will be driven out to Owers’ Corner for the commencement of your trek. 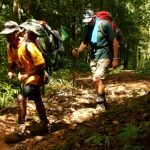 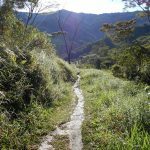 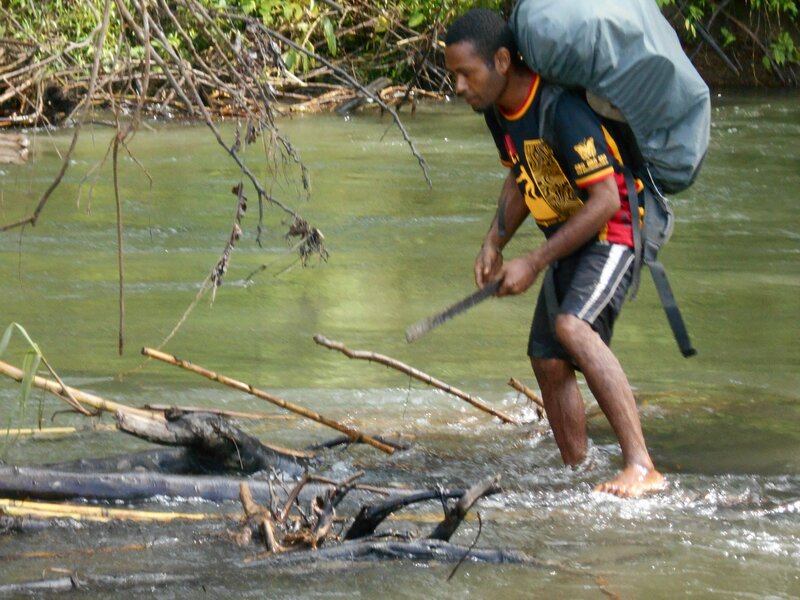 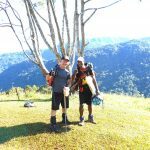 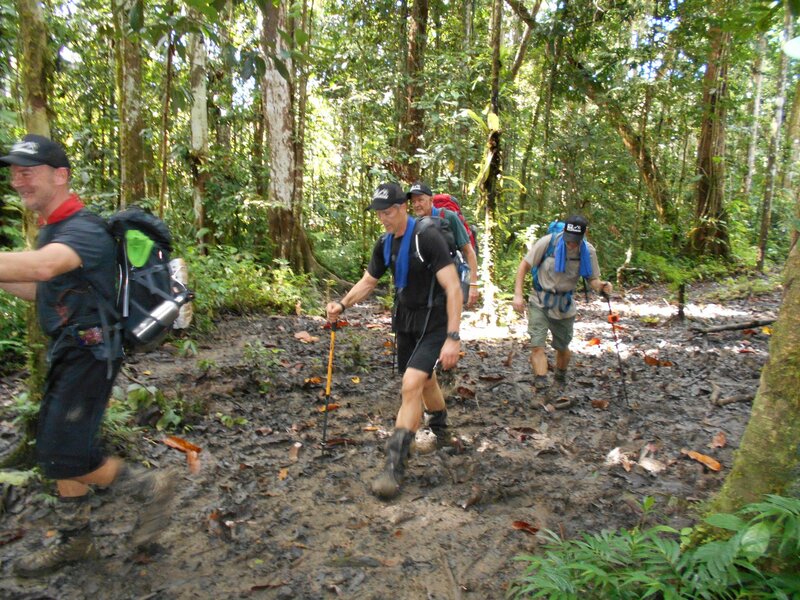 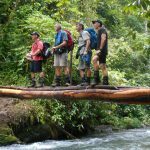 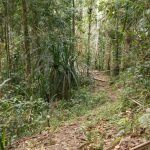 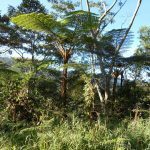 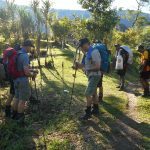 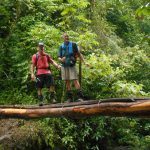 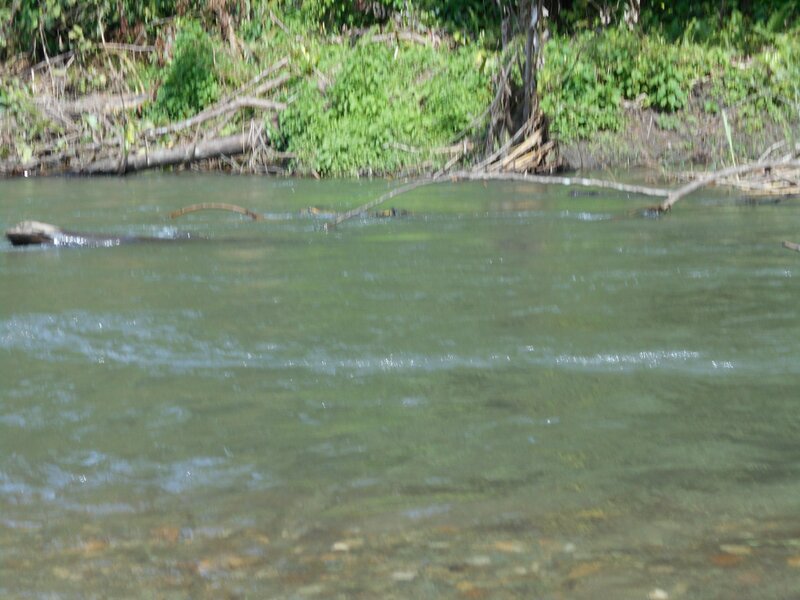 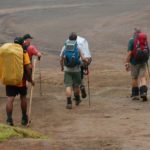 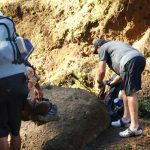 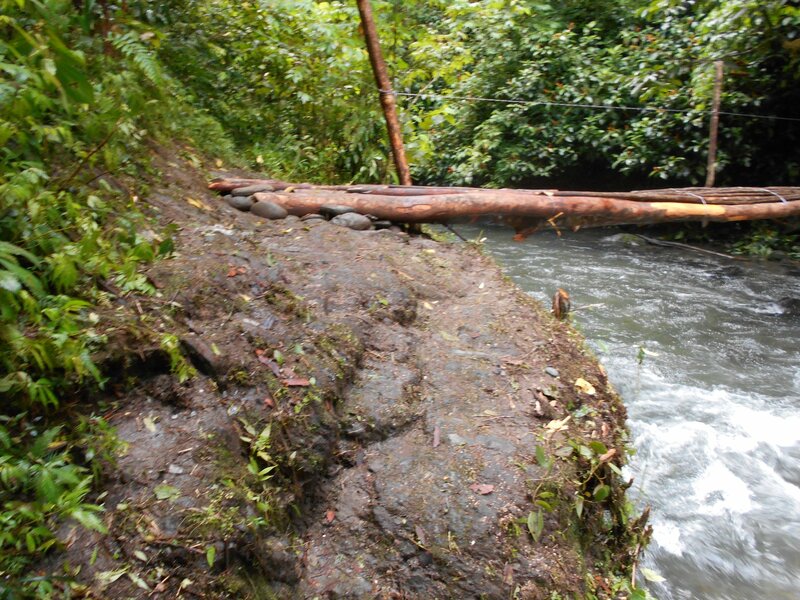 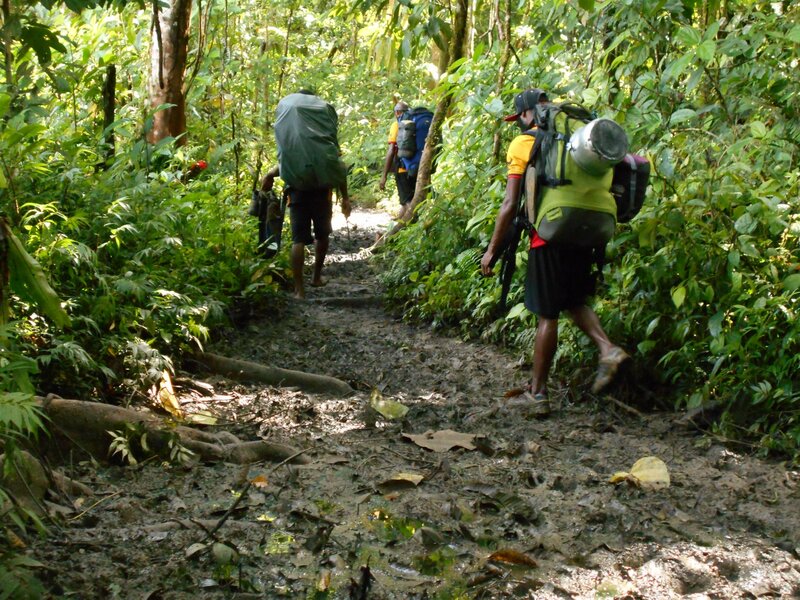 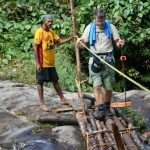 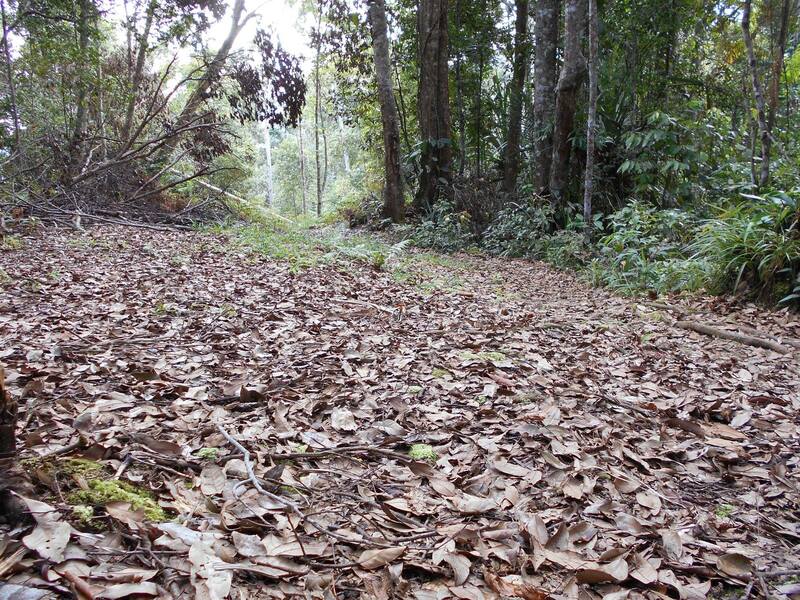 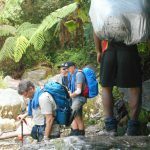 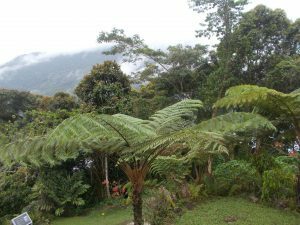 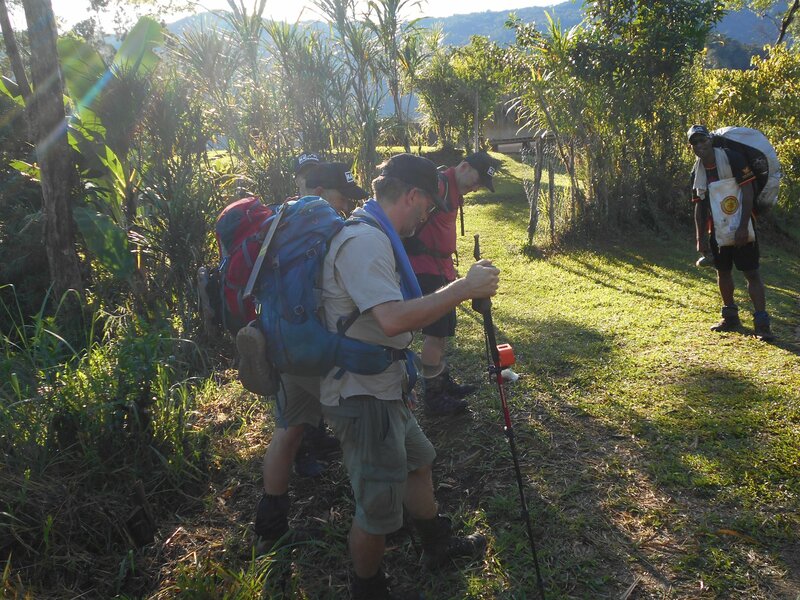 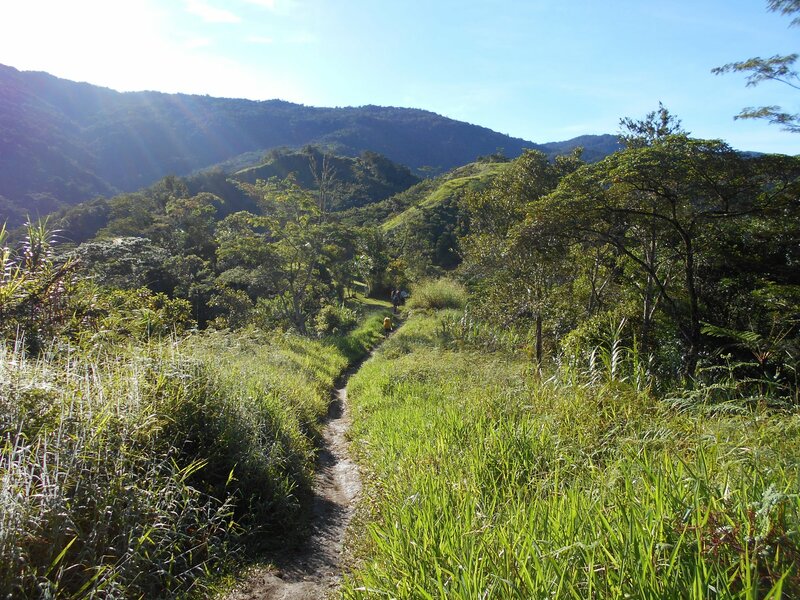 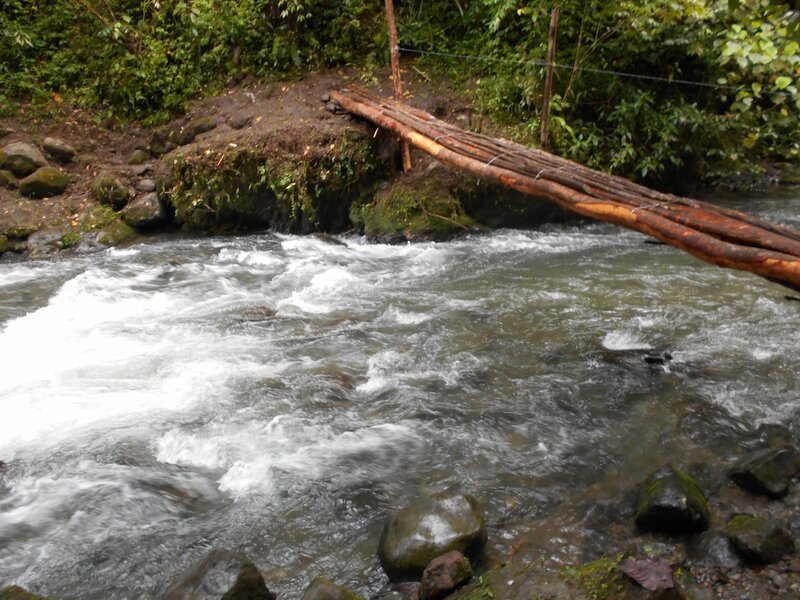 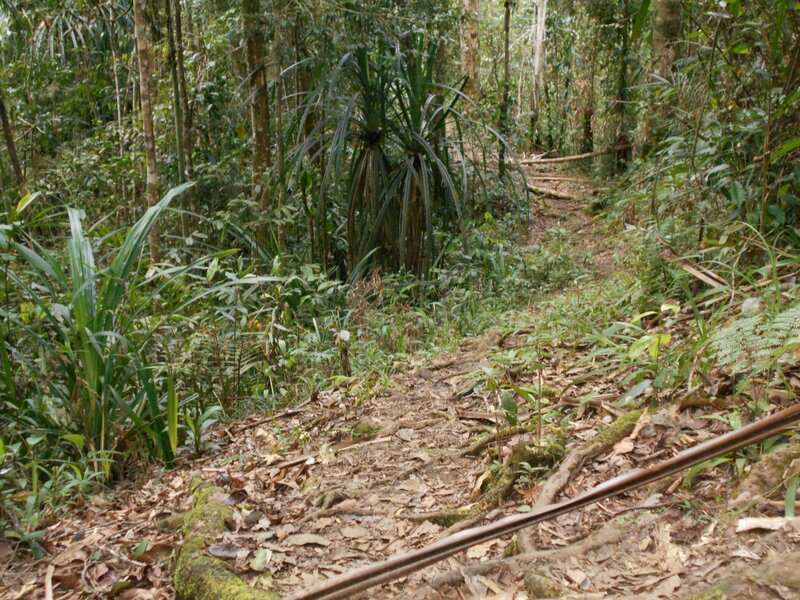 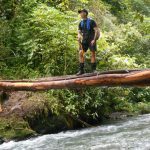 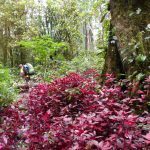 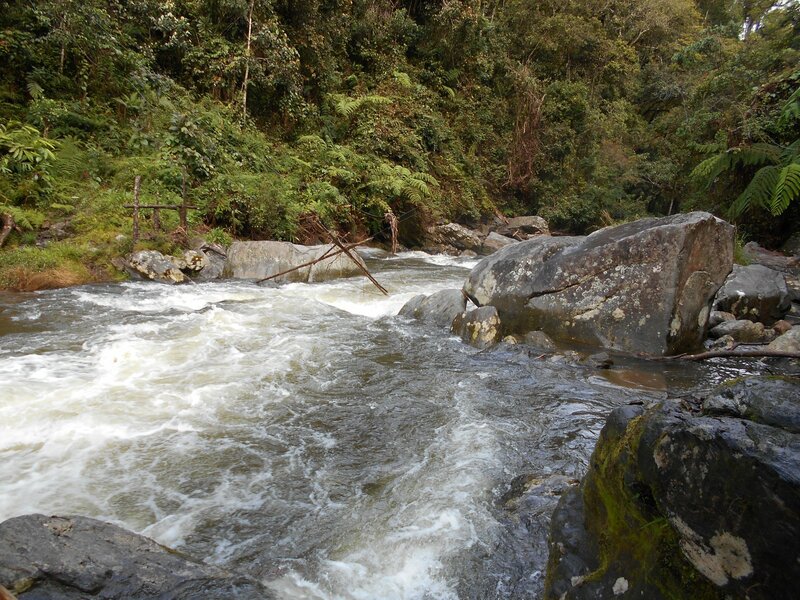 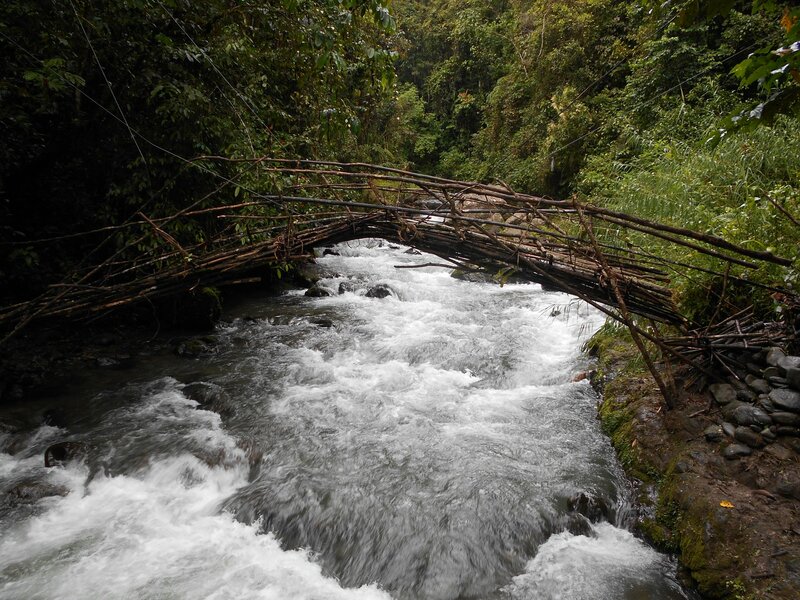 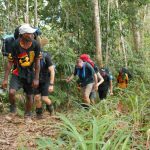 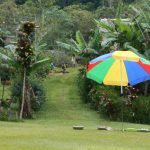 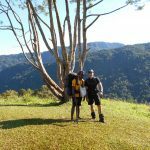 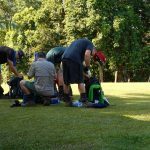 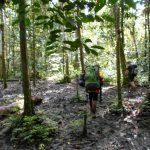 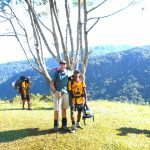 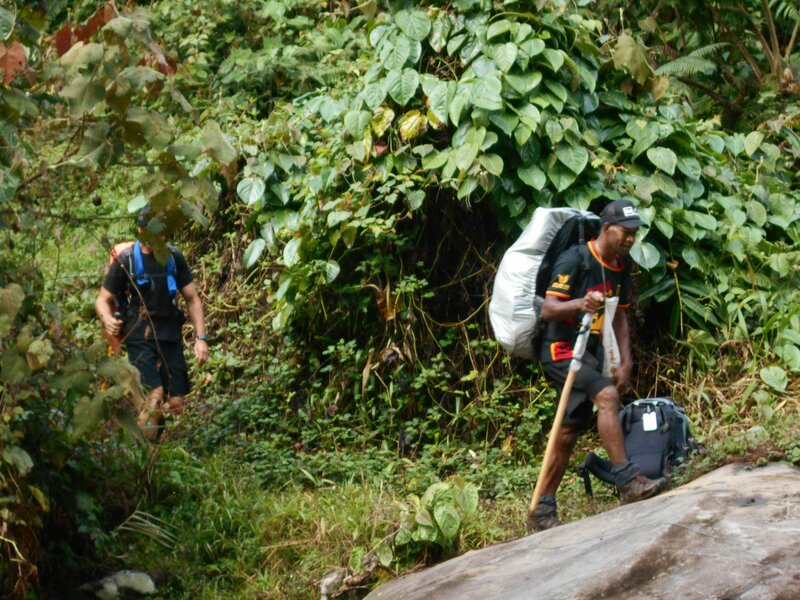 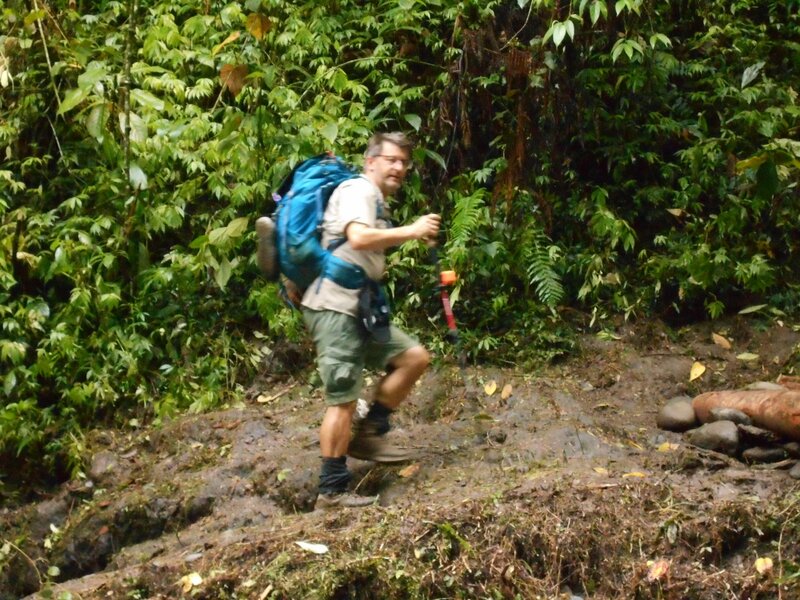 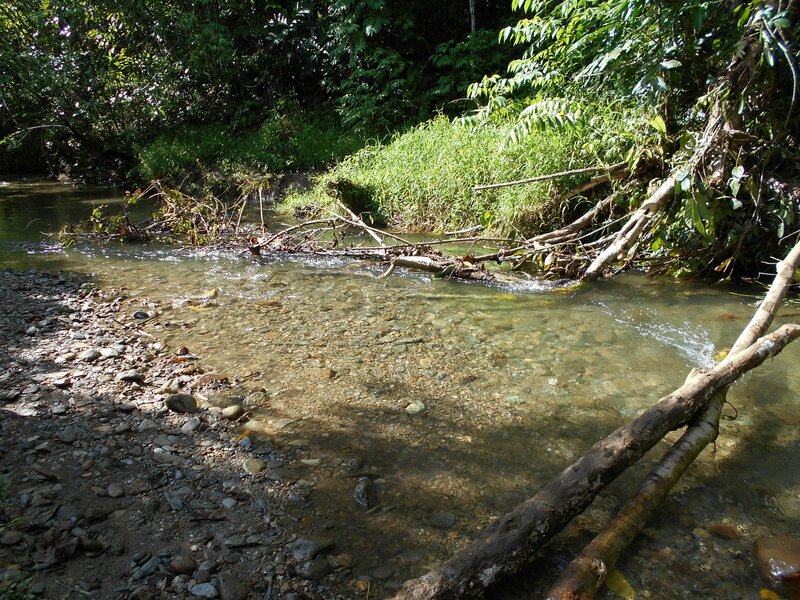 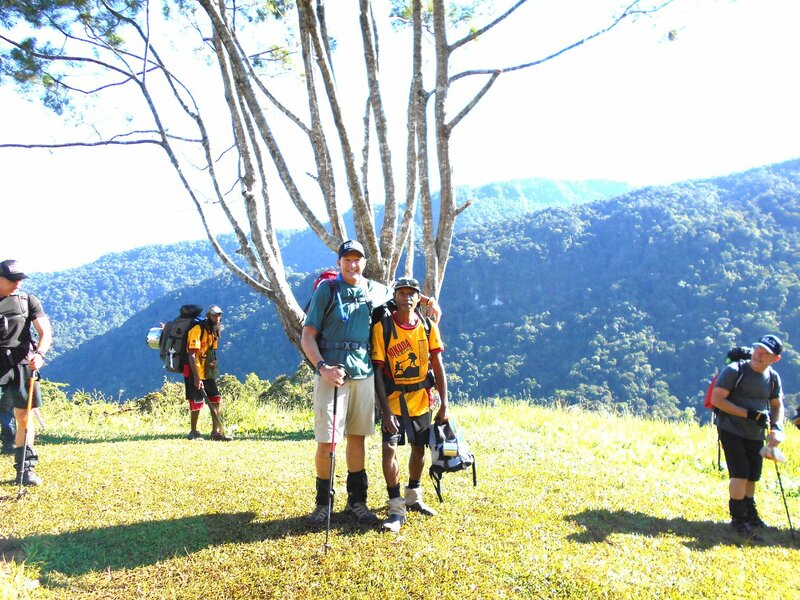 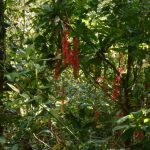 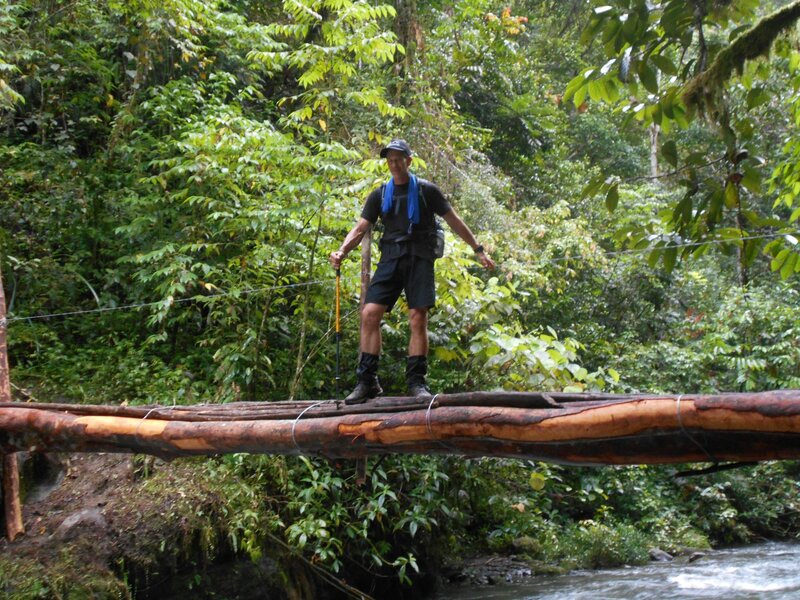 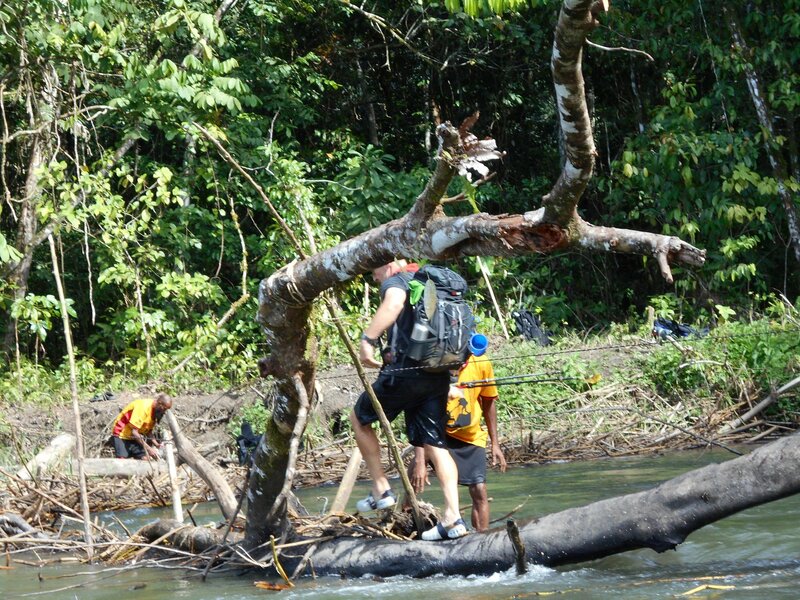 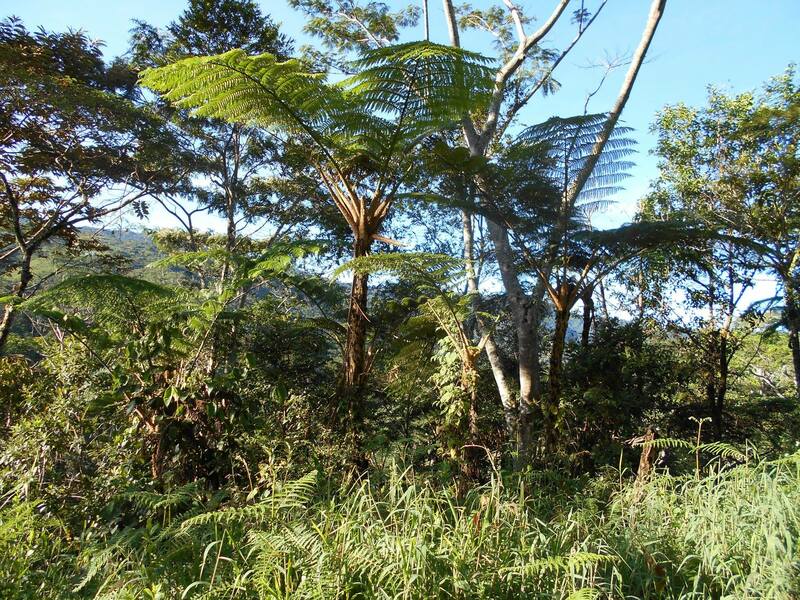 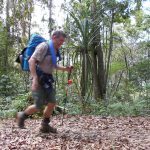 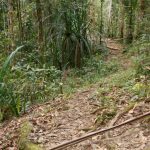 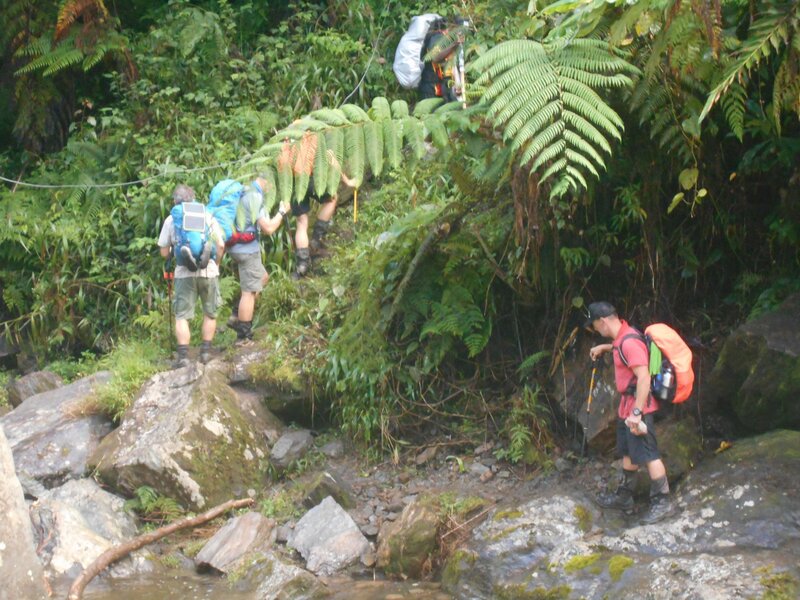 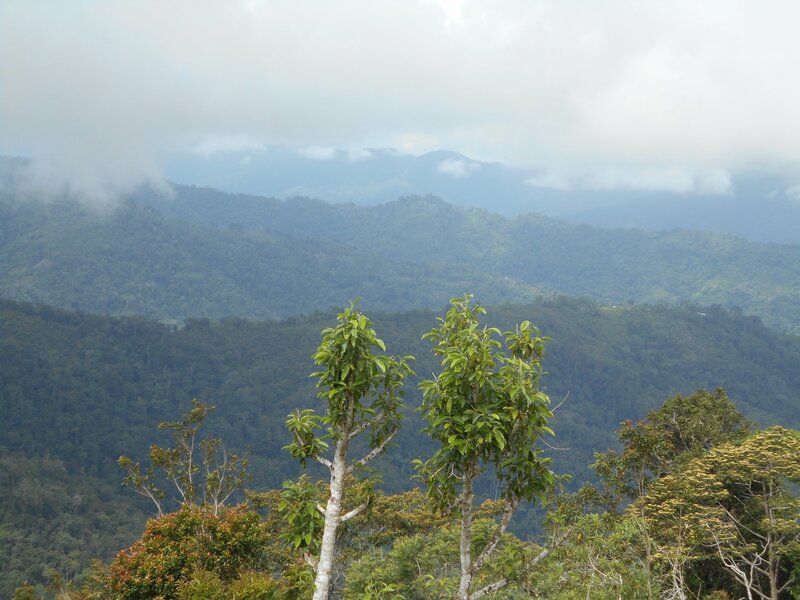 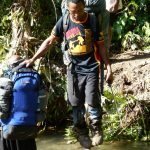 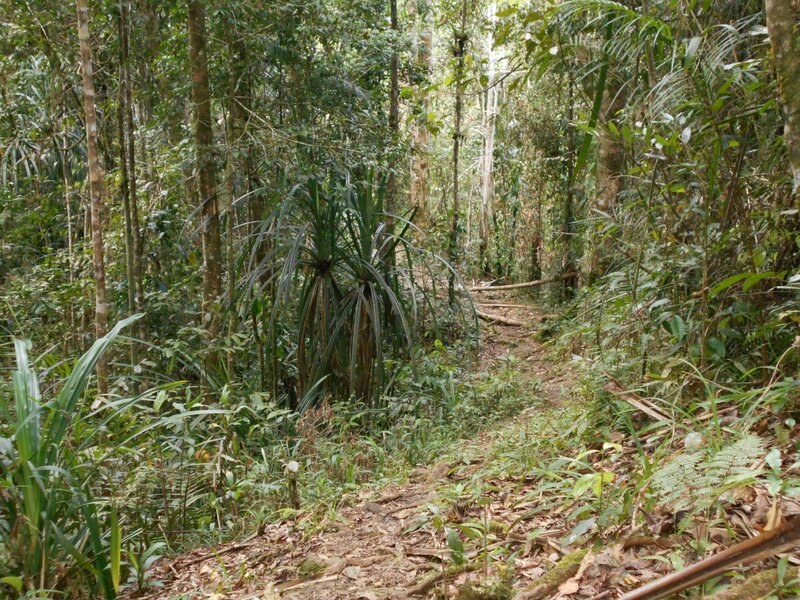 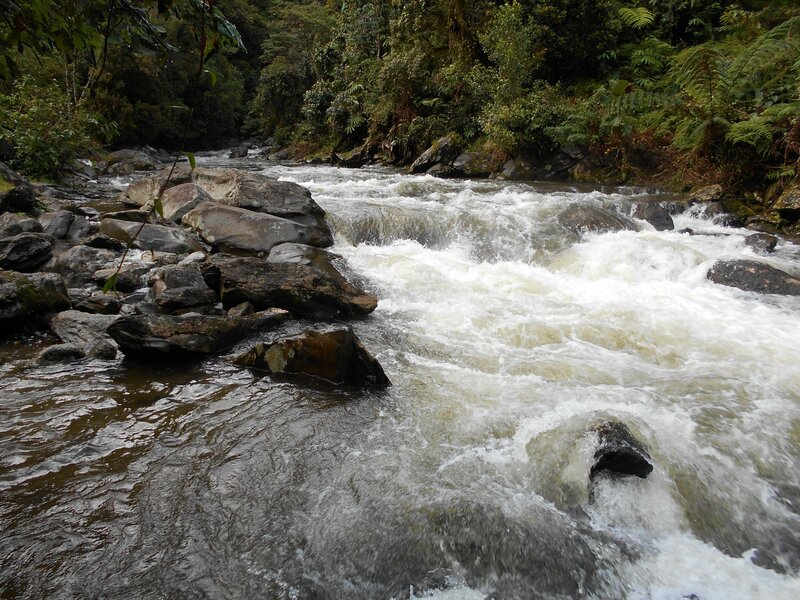 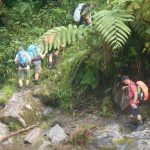 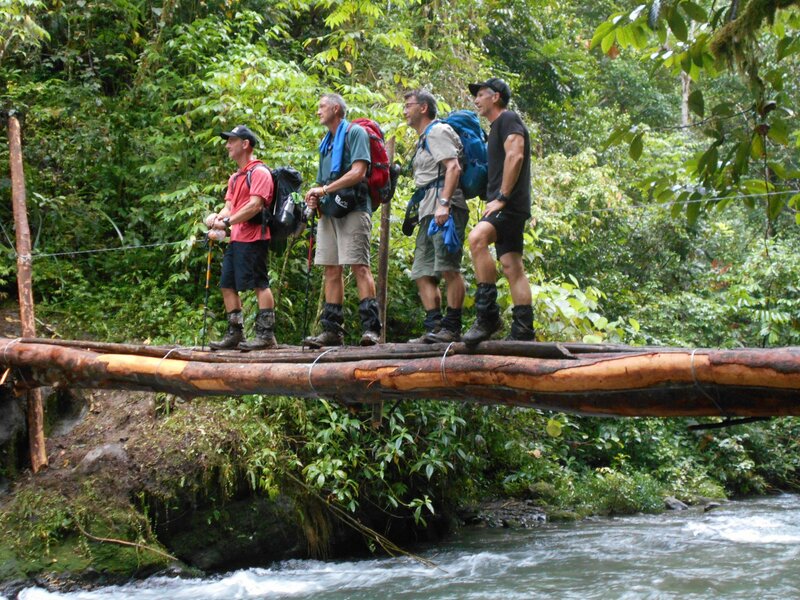 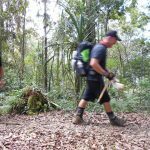 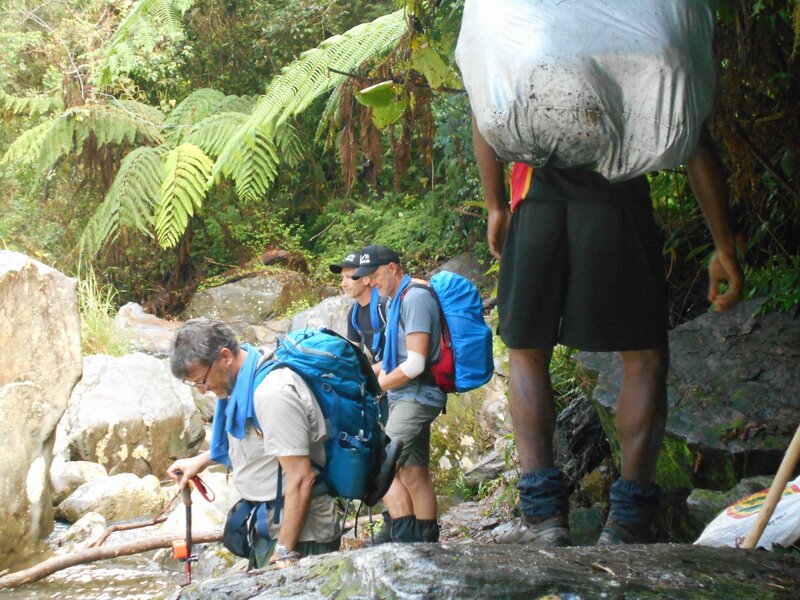 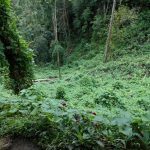 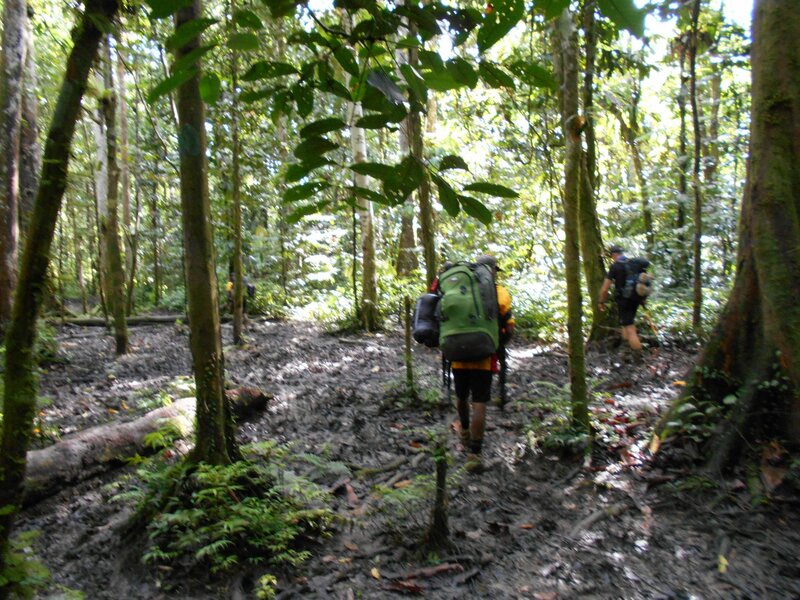 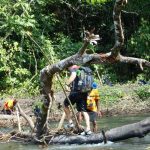 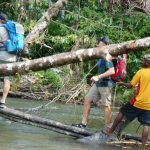 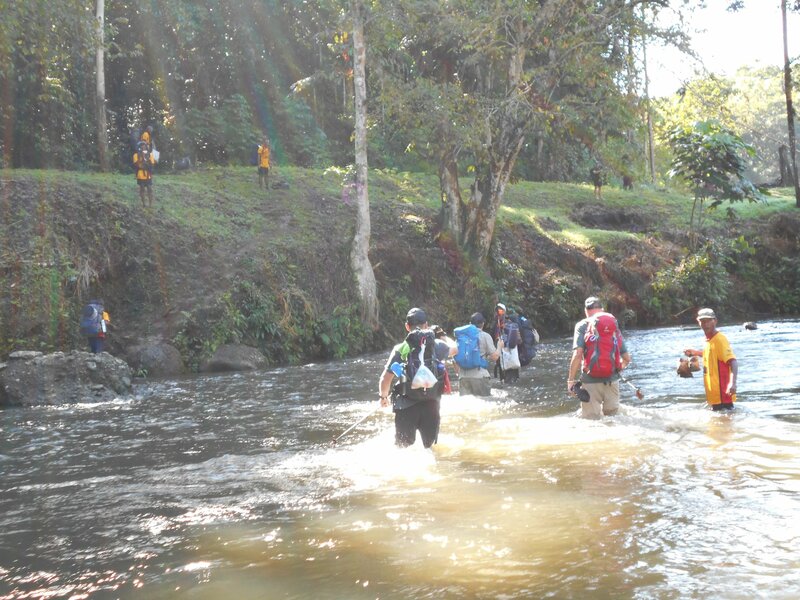 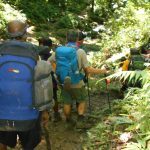 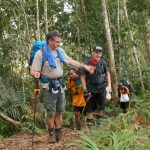 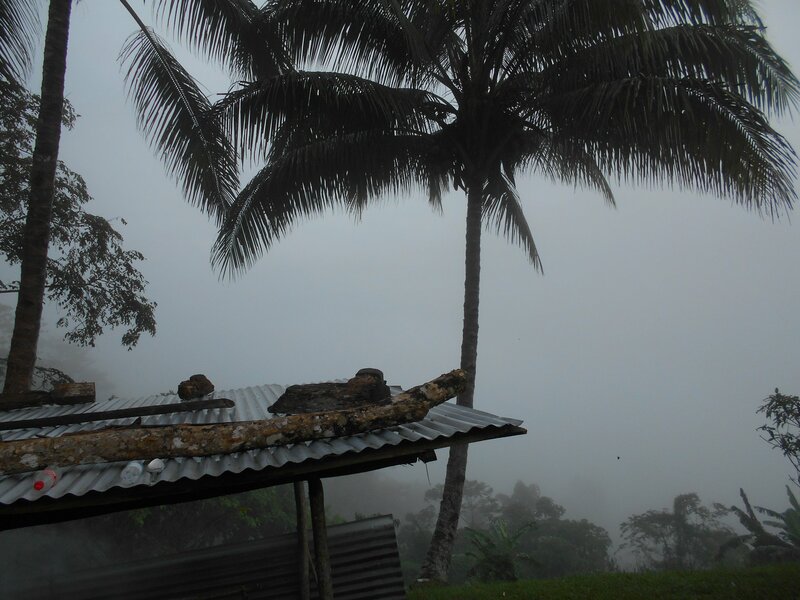 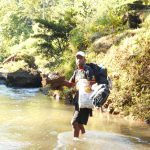 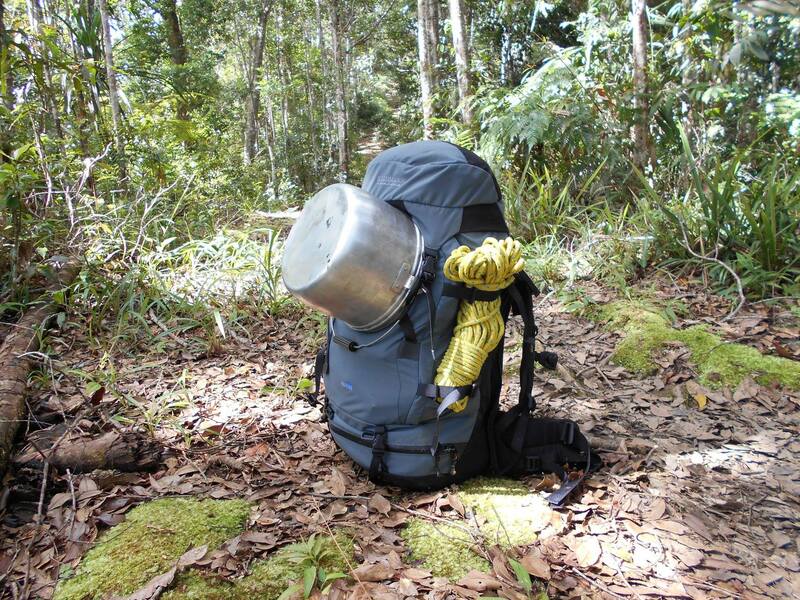 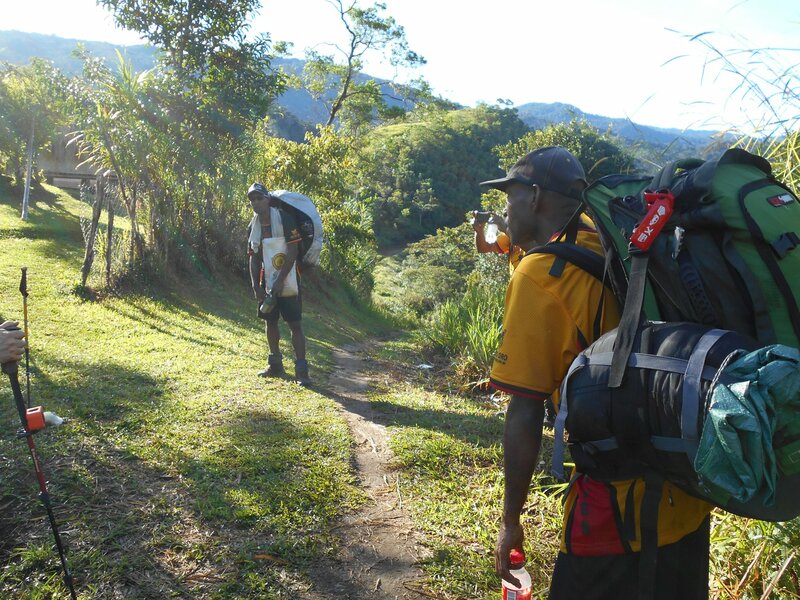 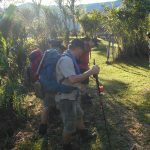 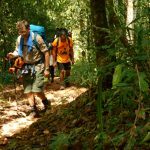 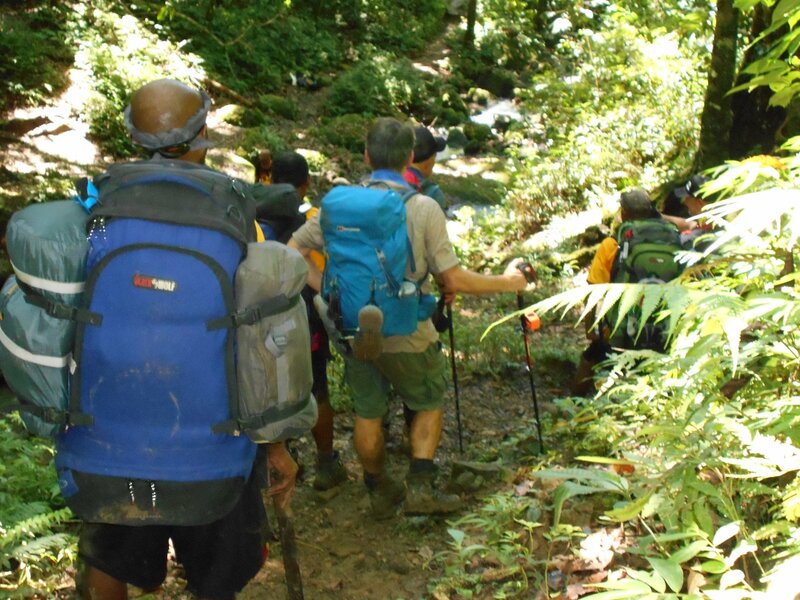 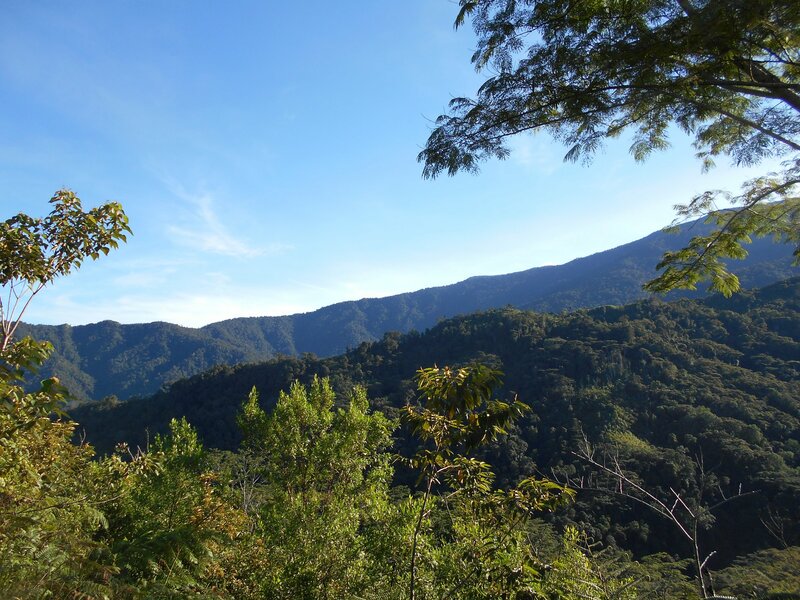 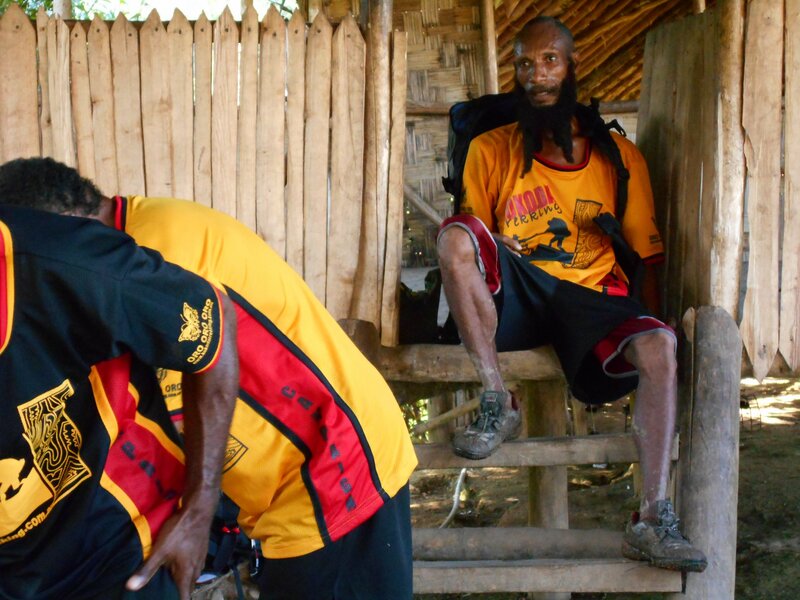 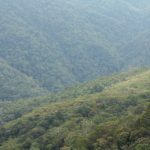 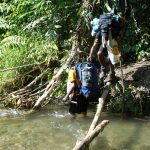 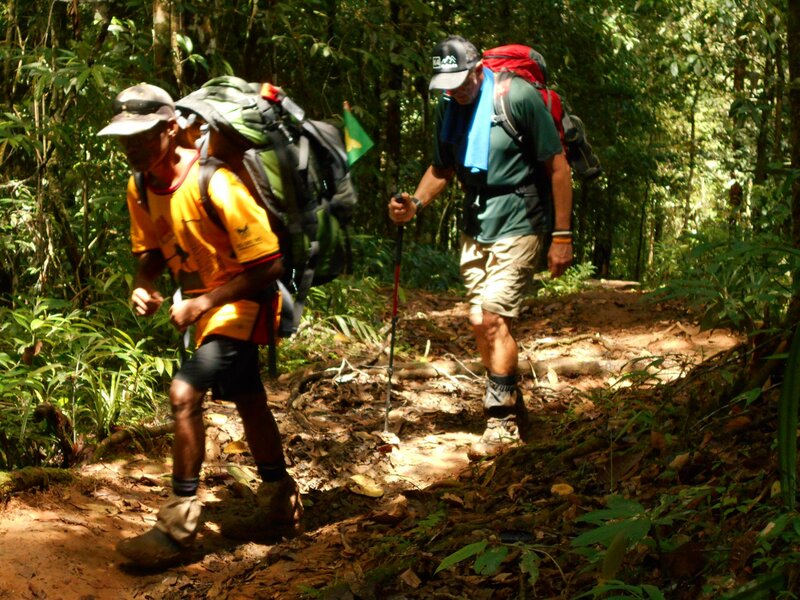 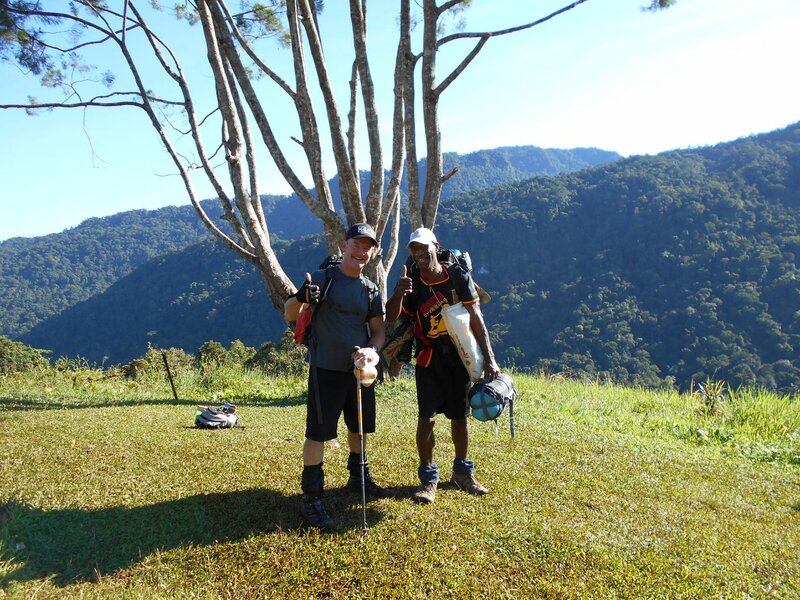 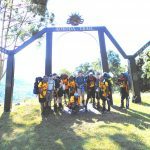 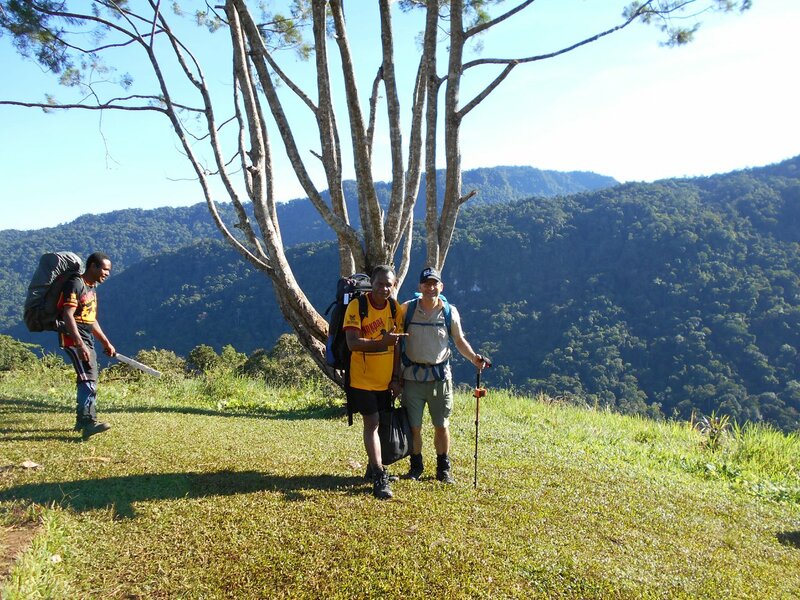 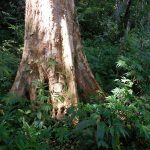 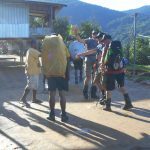 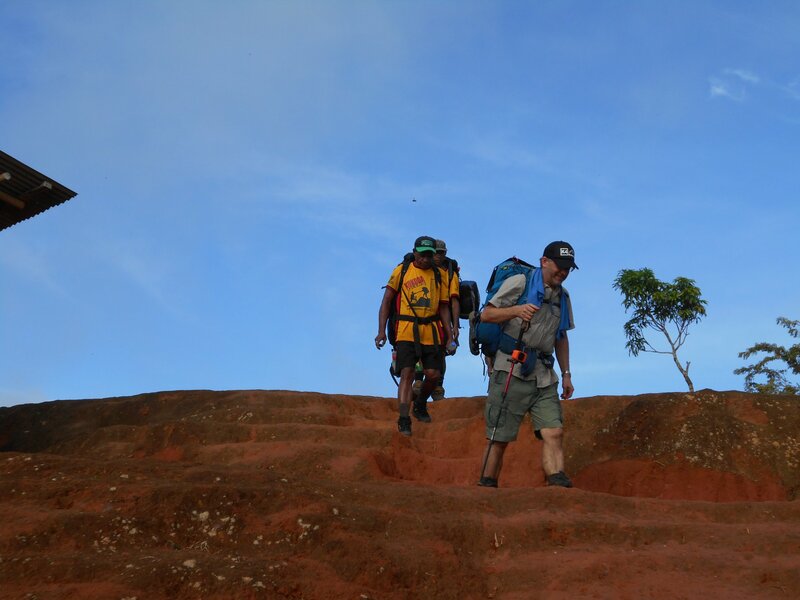 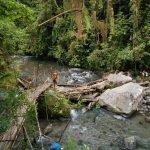 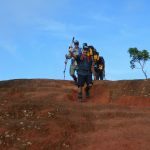 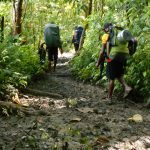 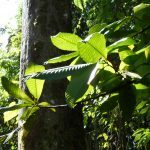 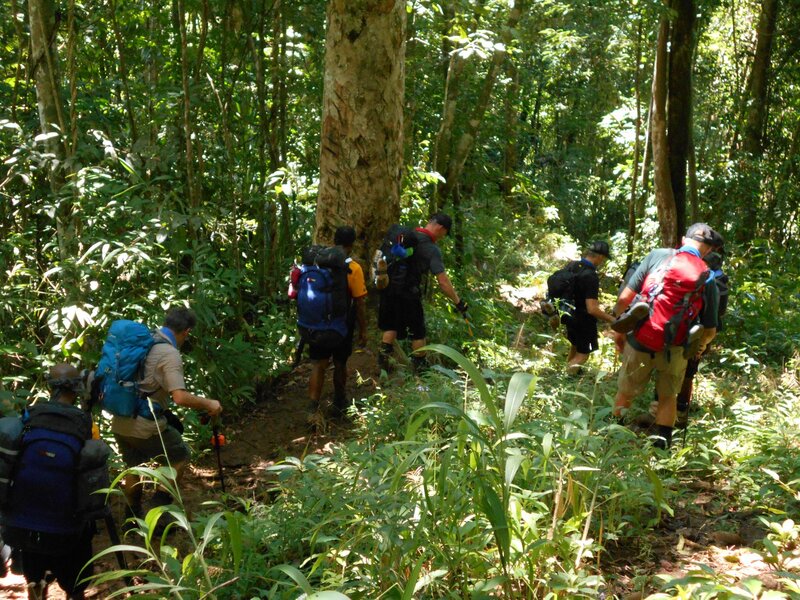 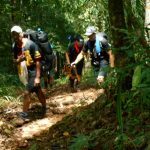 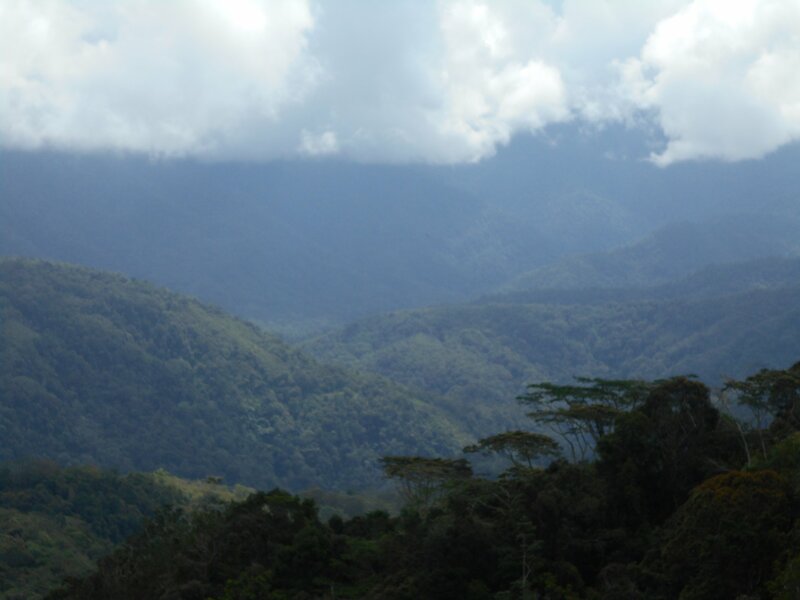 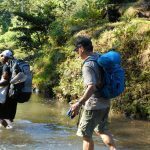 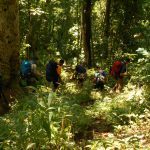 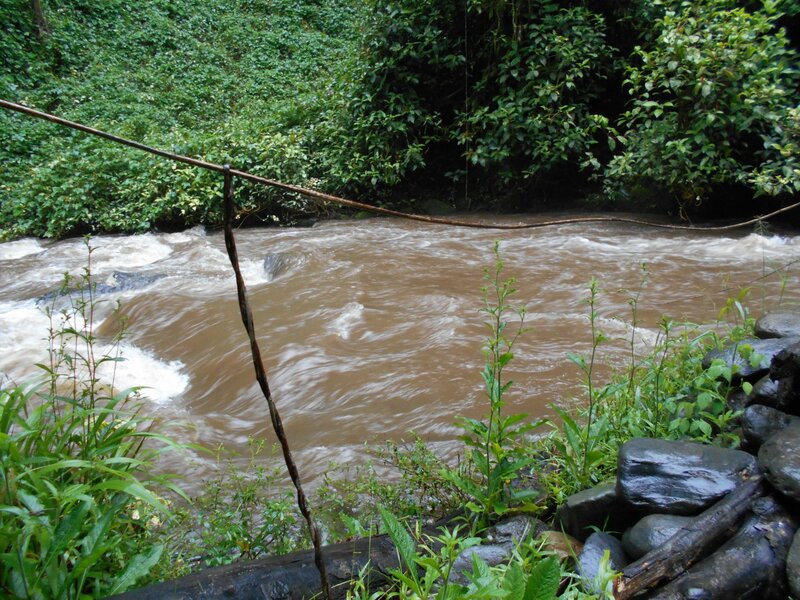 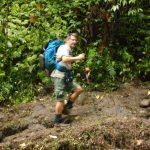 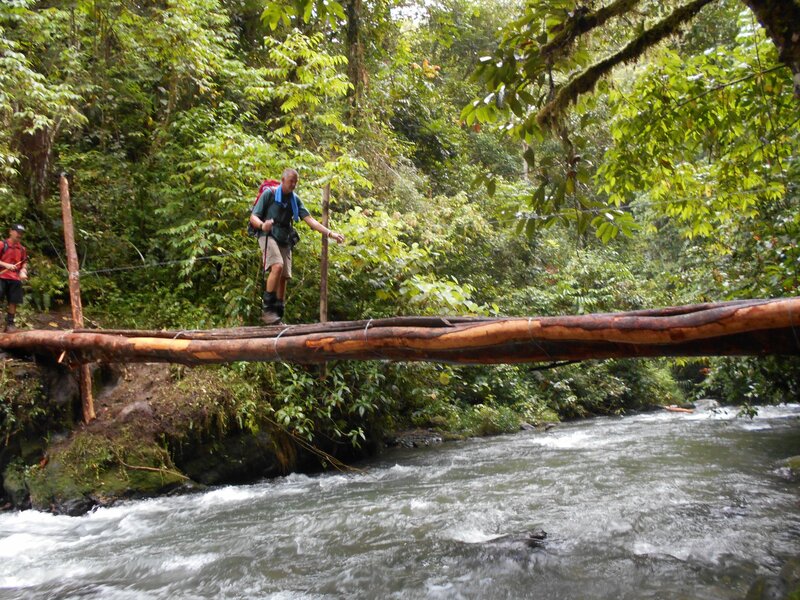 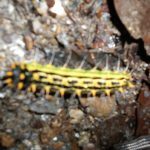 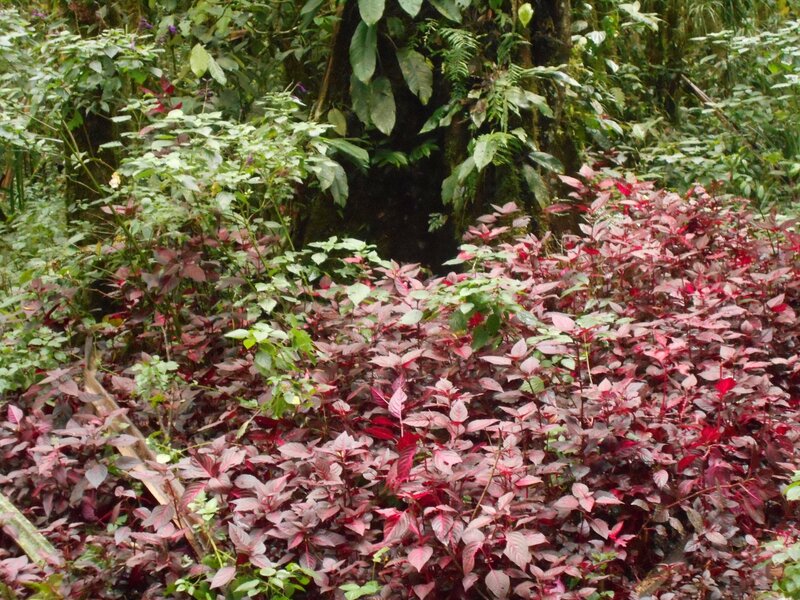 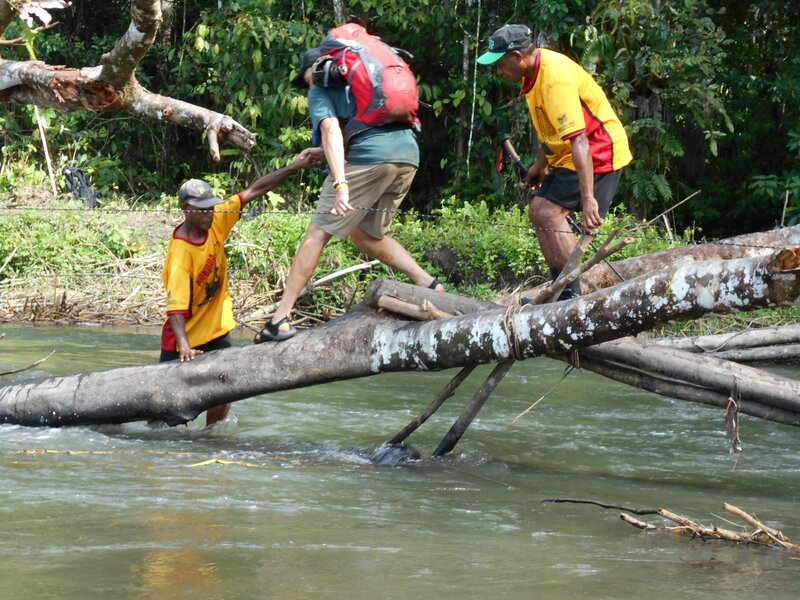 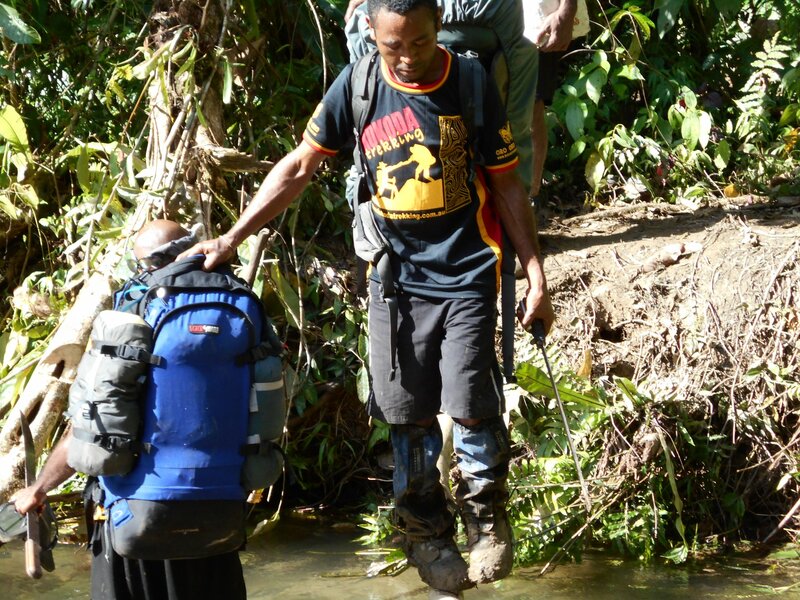 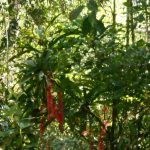 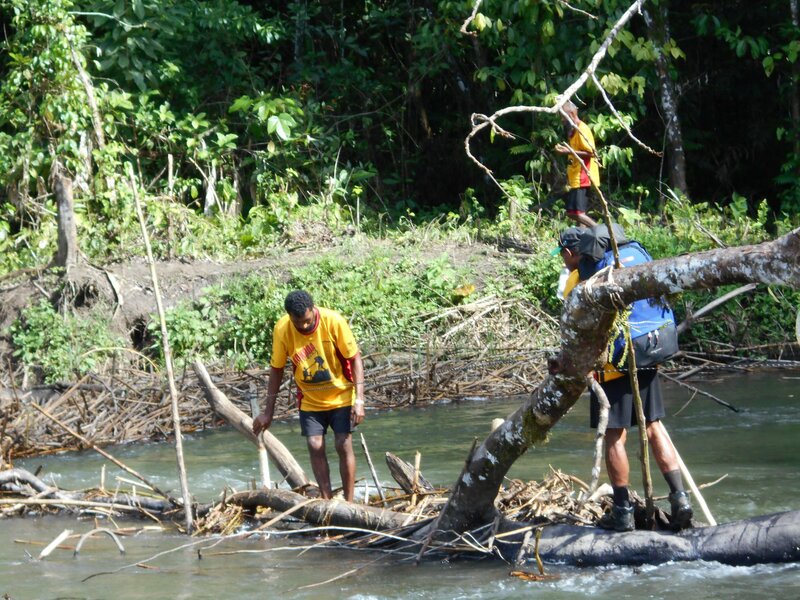 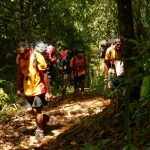 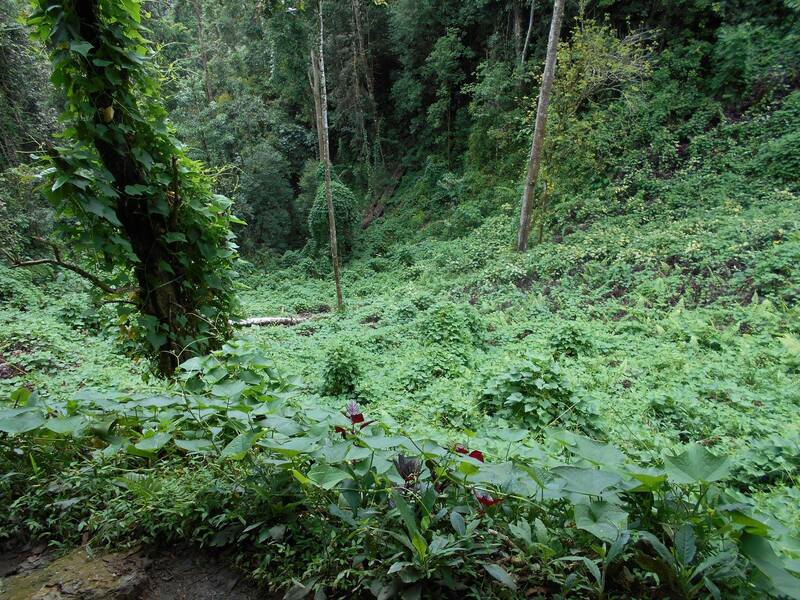 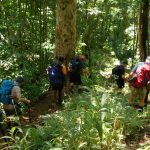 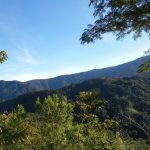 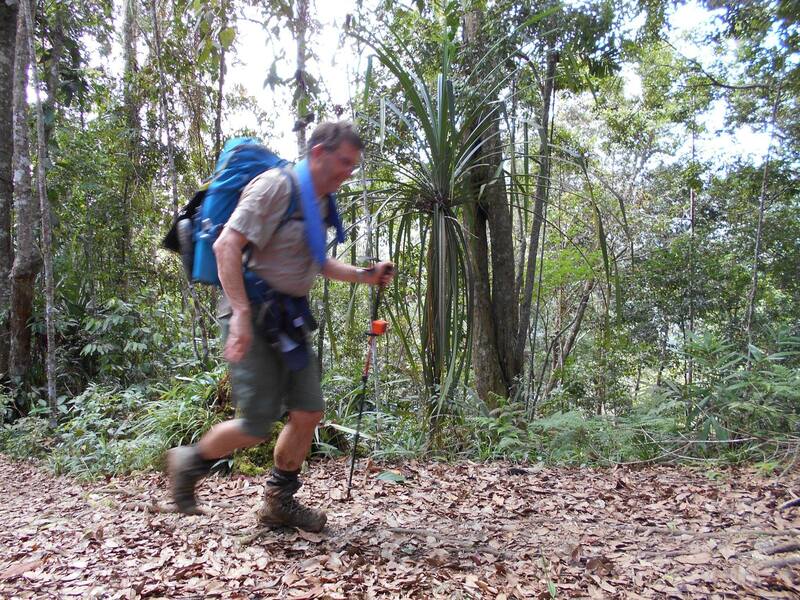 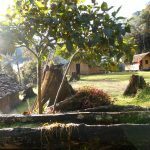 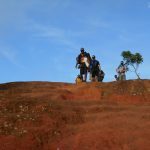 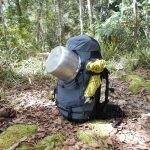 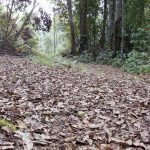 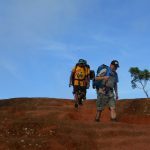 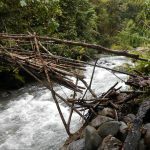 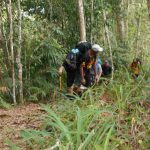 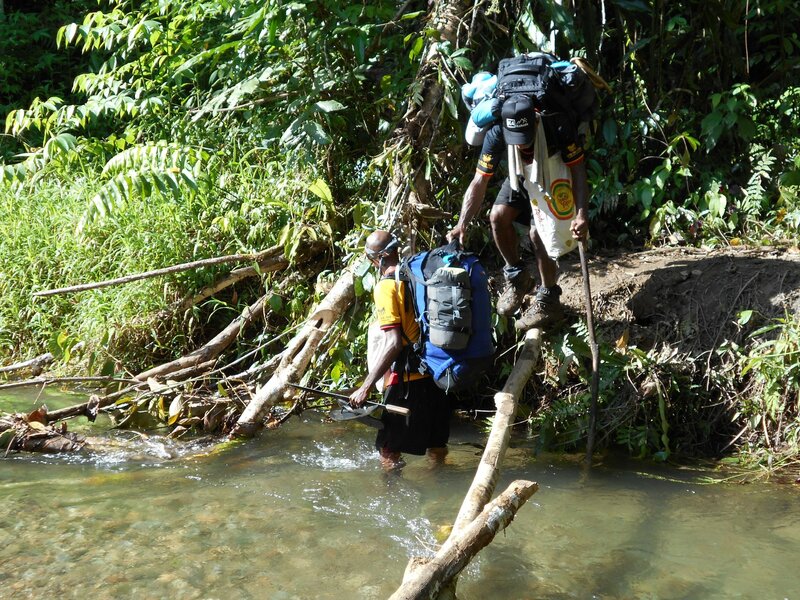 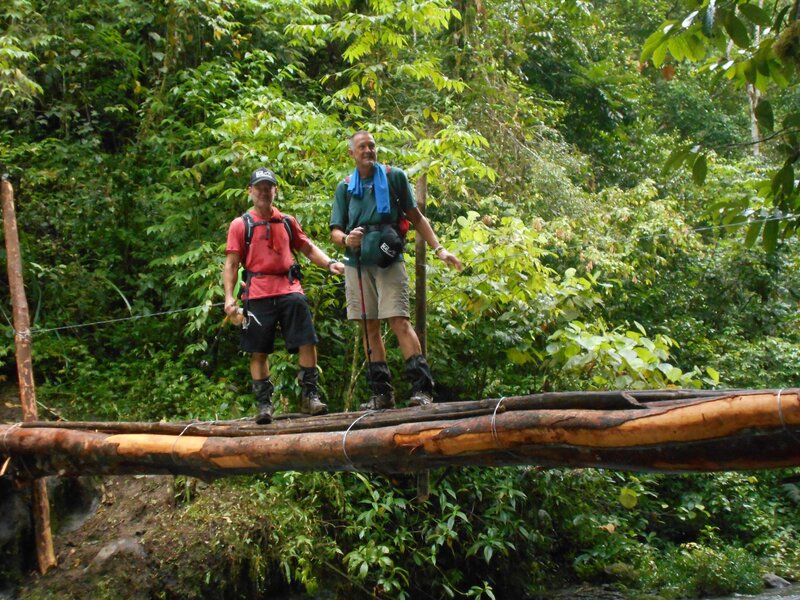 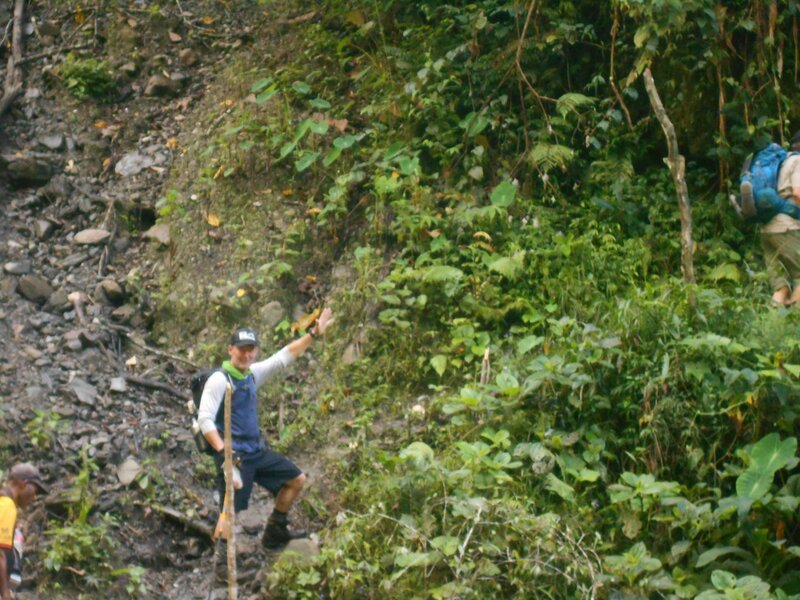 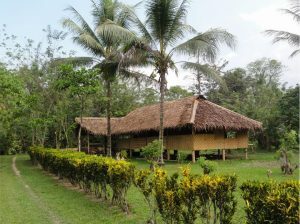 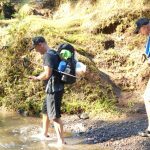 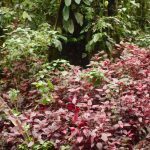 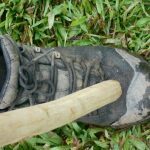 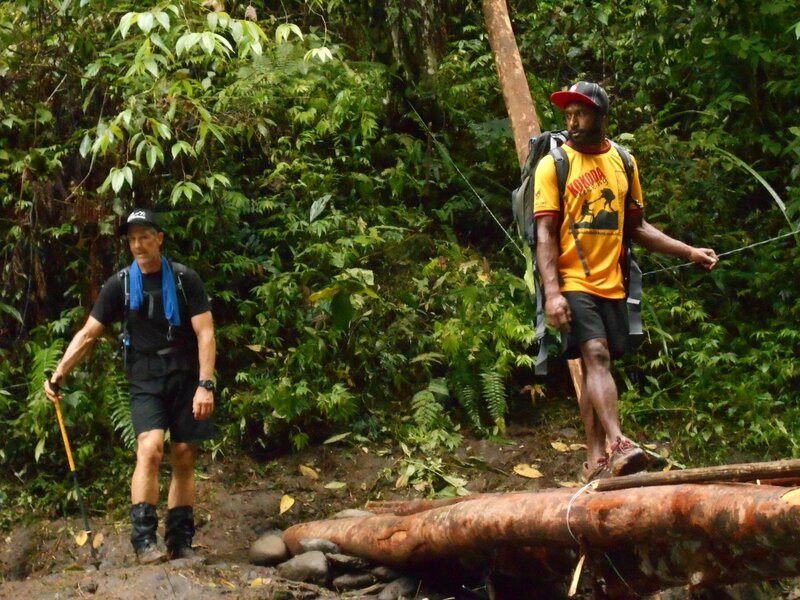 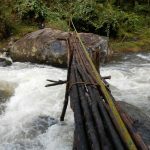 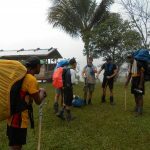 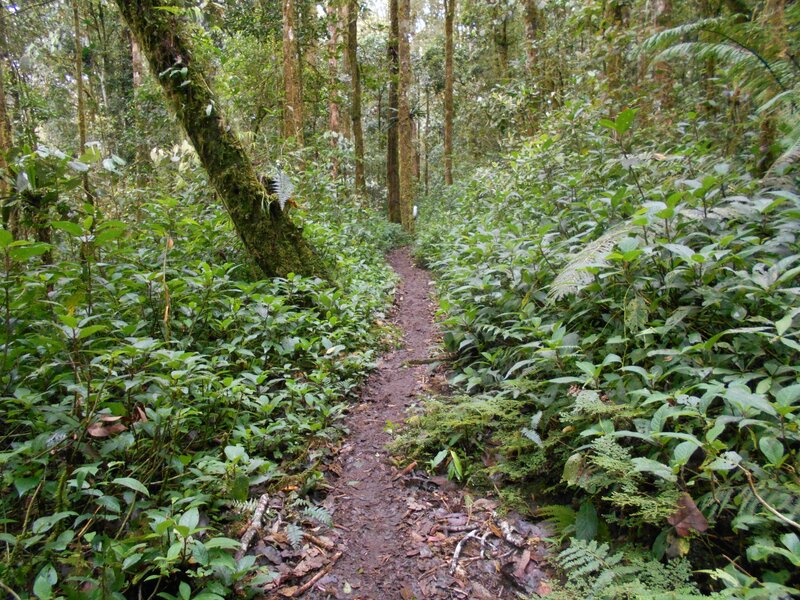 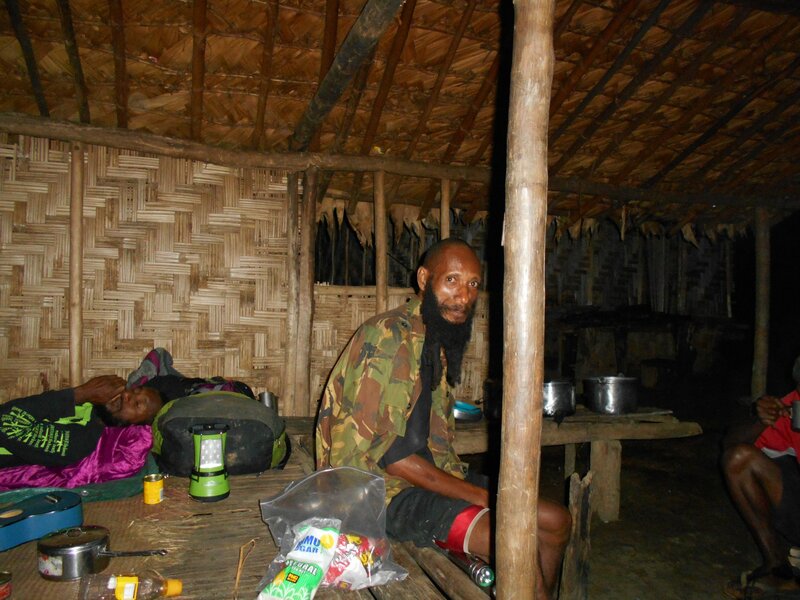 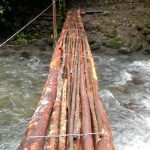 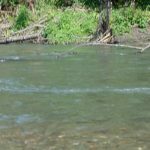 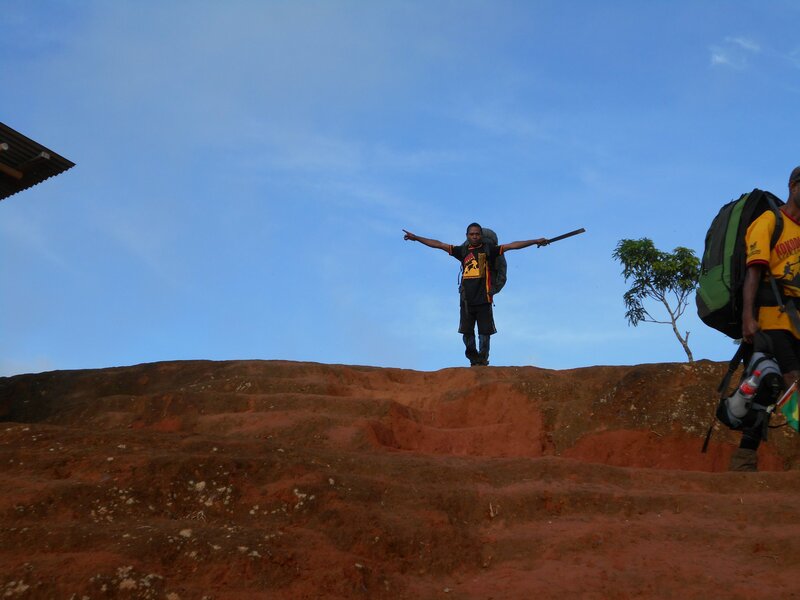 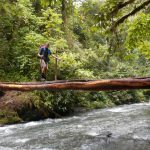 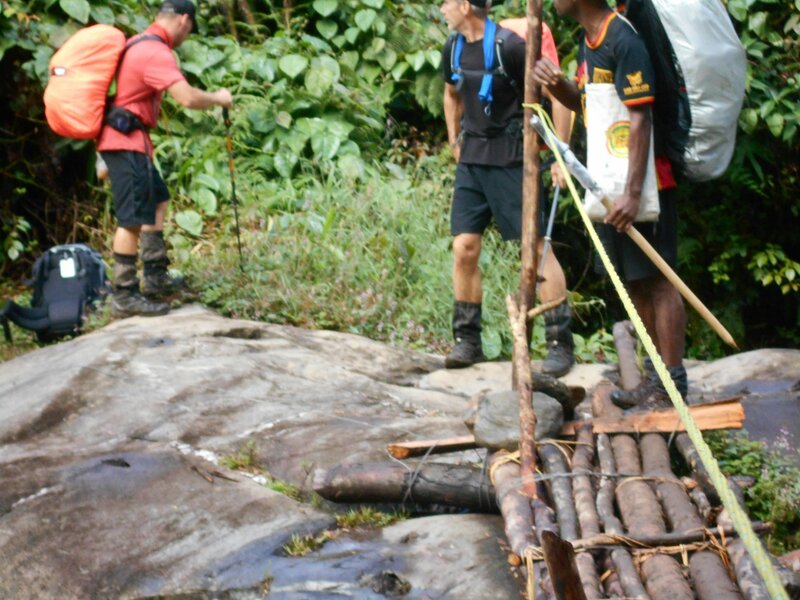 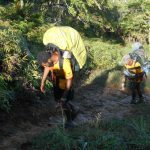 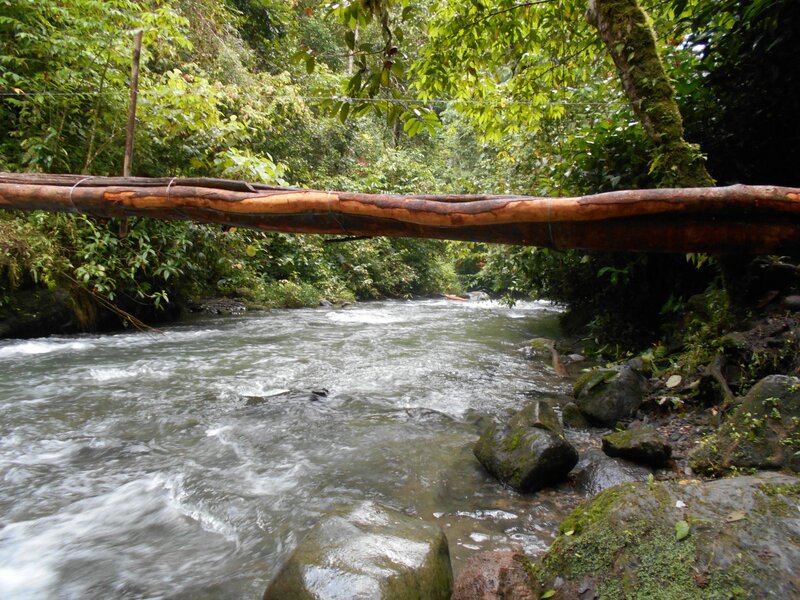 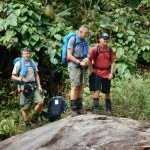 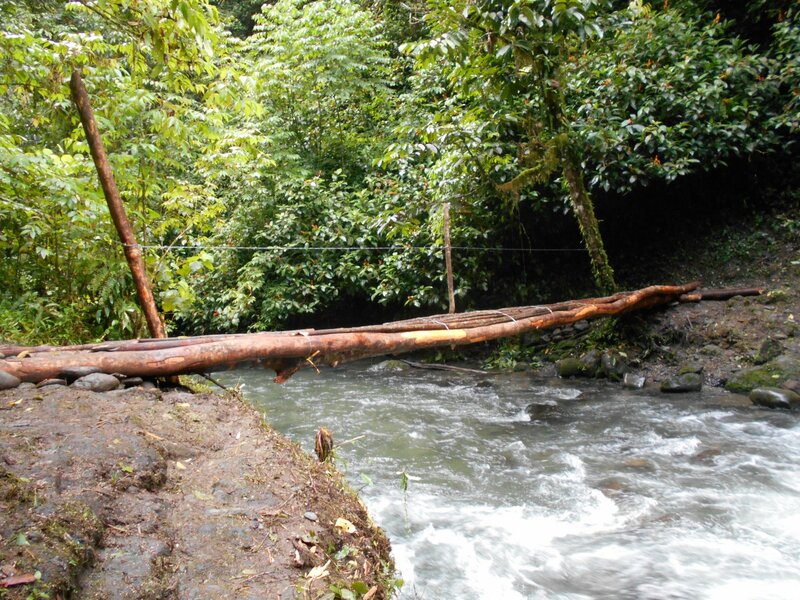 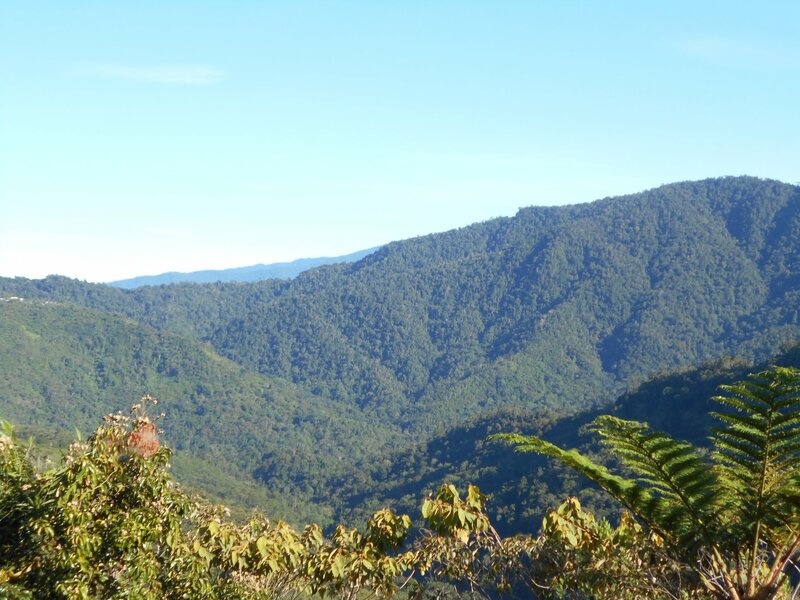 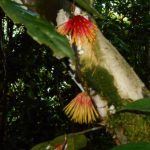 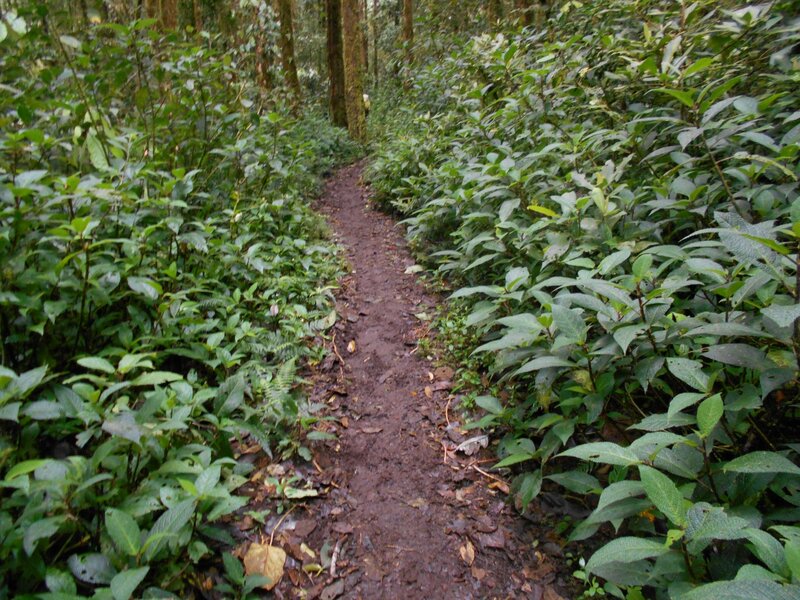 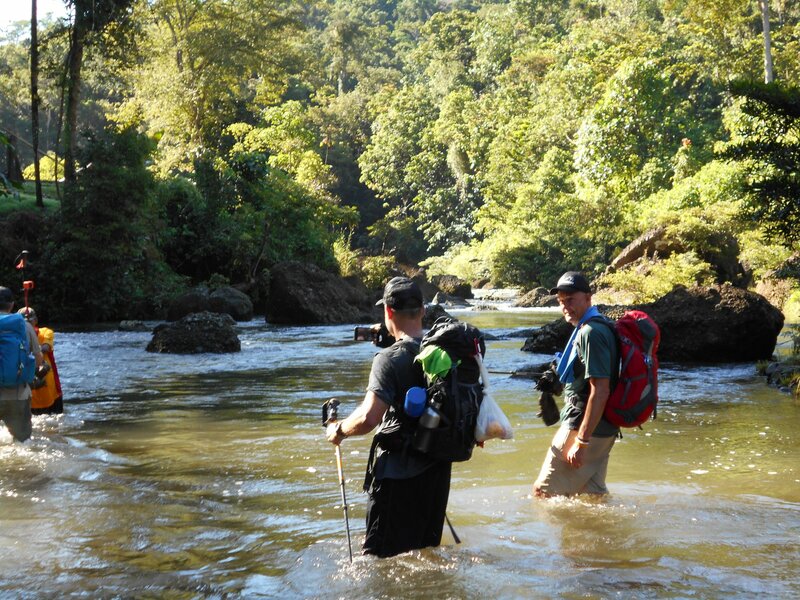 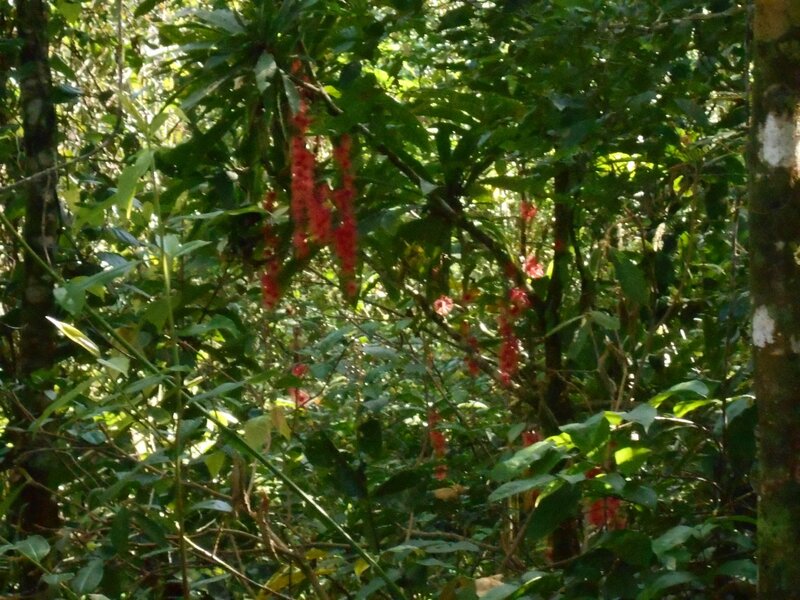 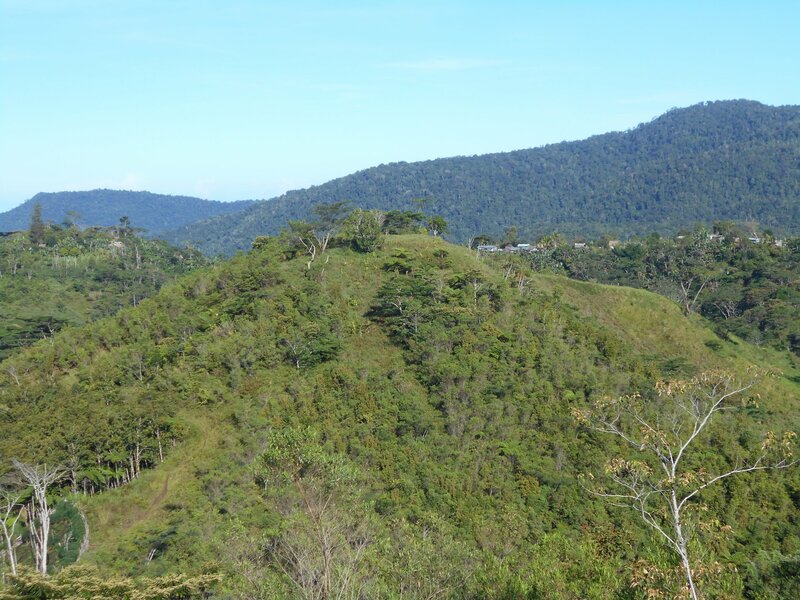 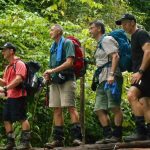 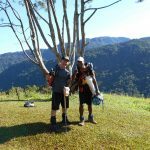 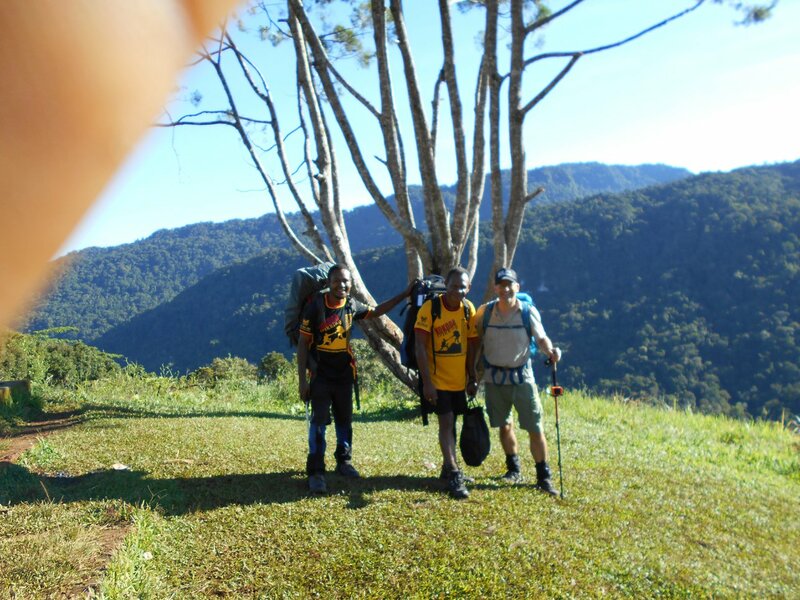 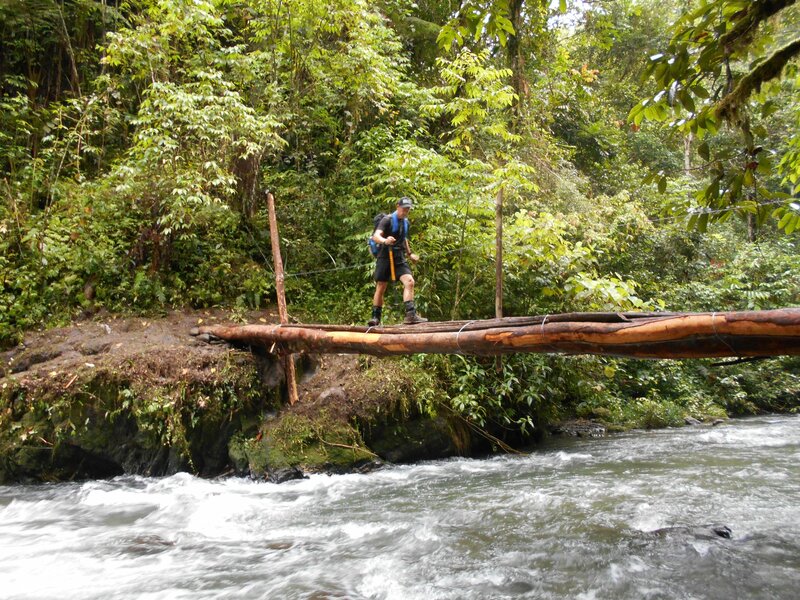 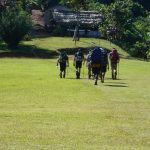 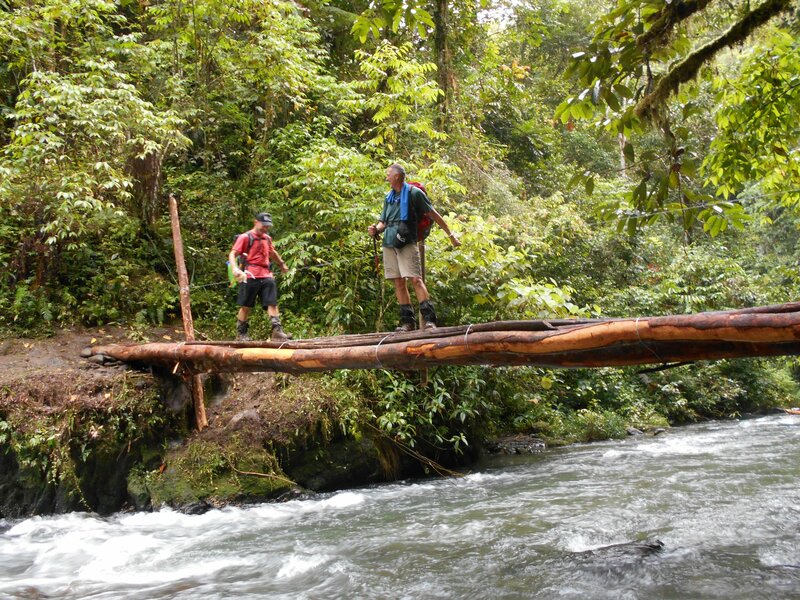 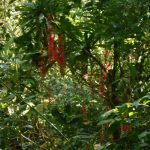 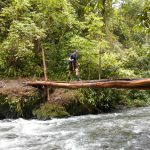 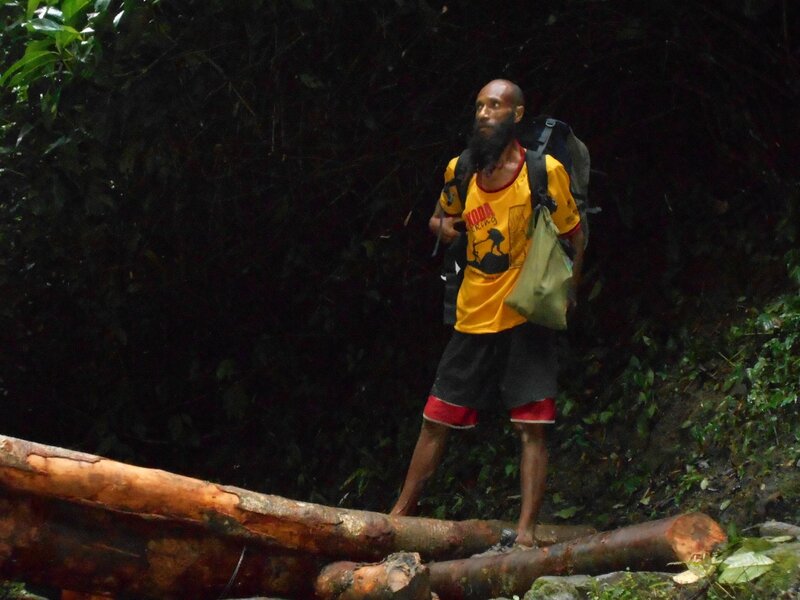 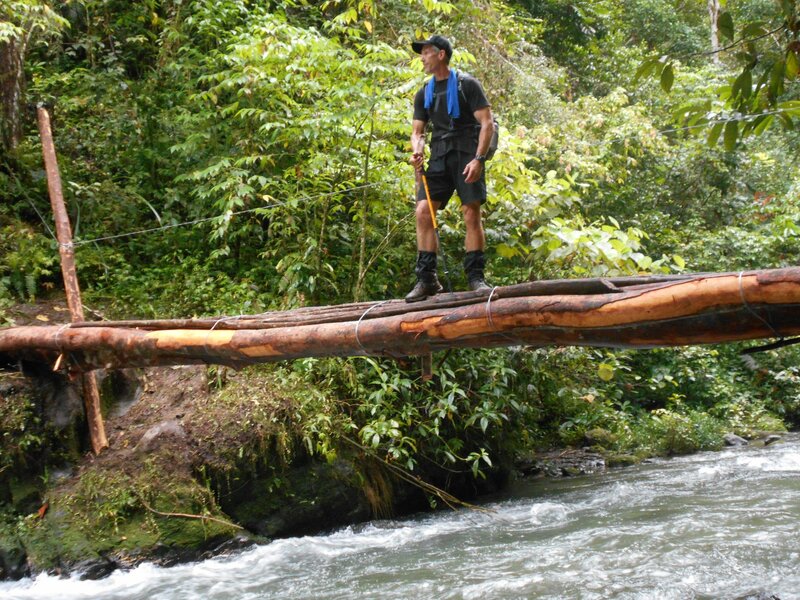 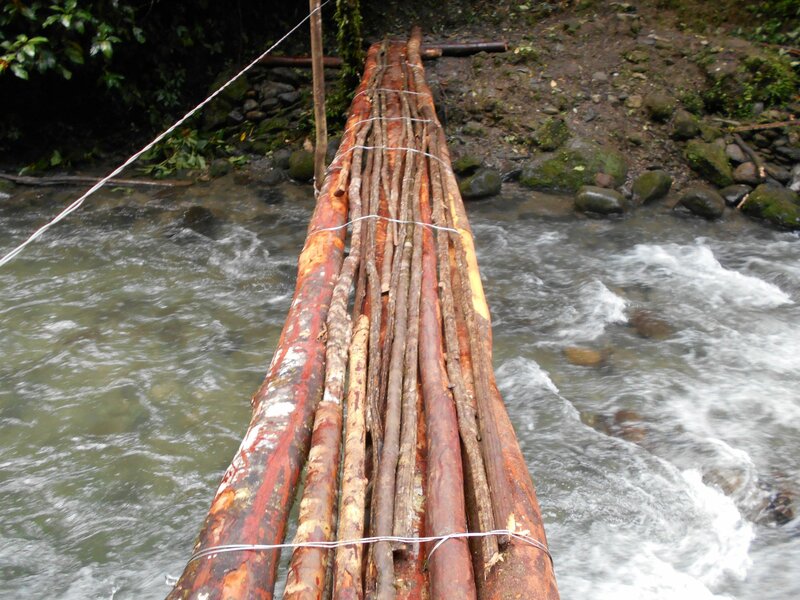 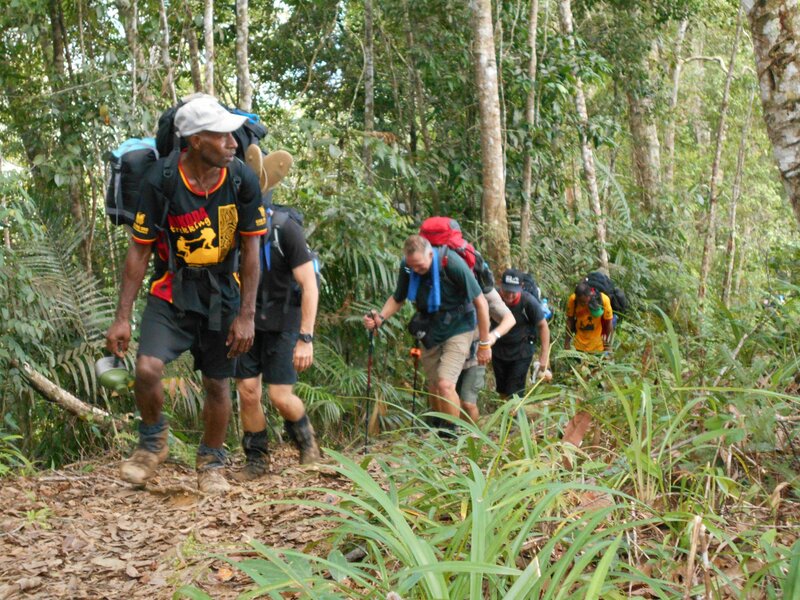 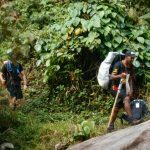 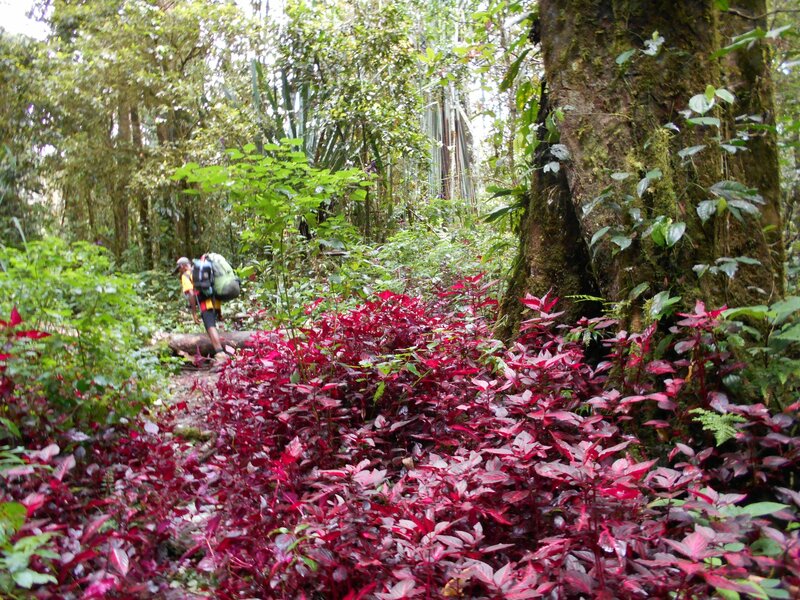 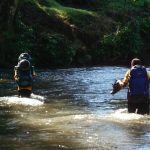 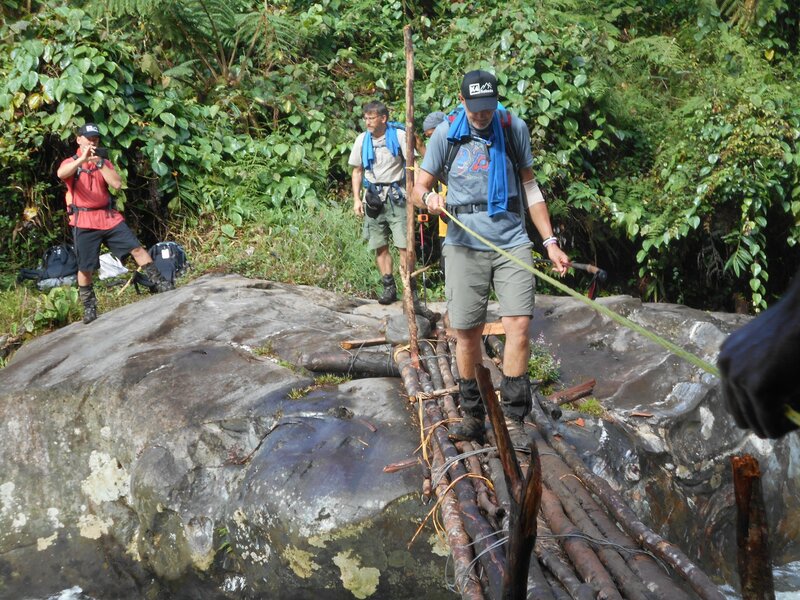 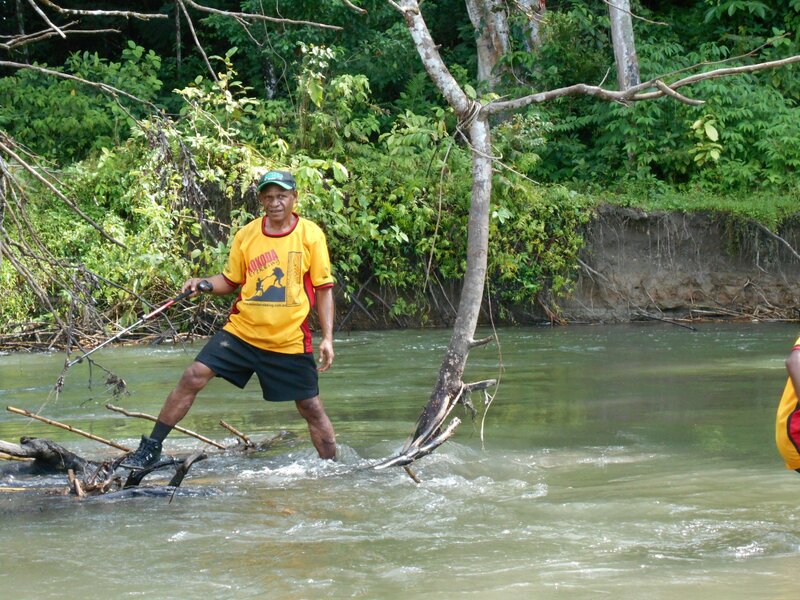 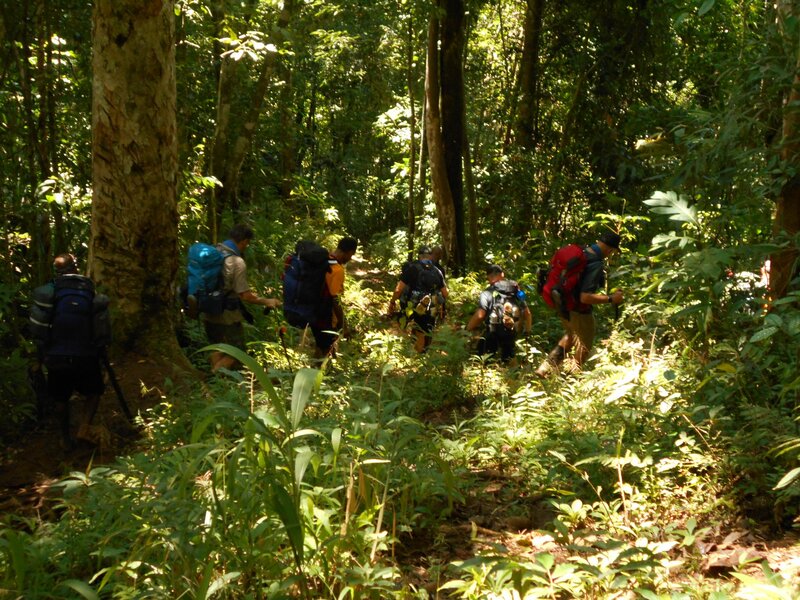 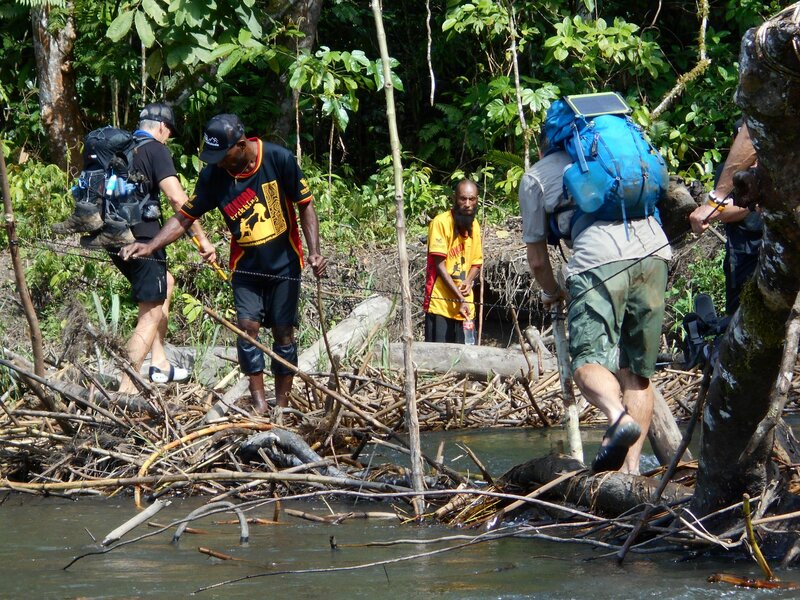 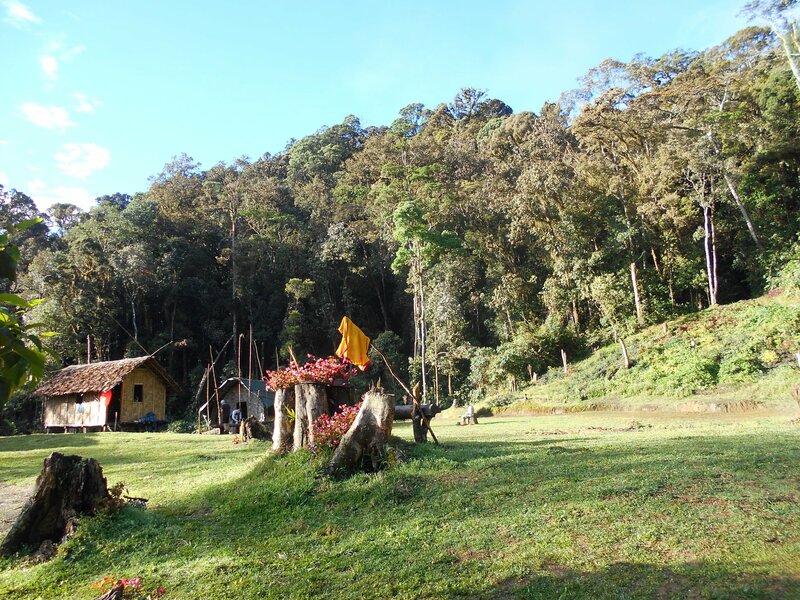 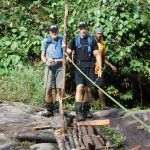 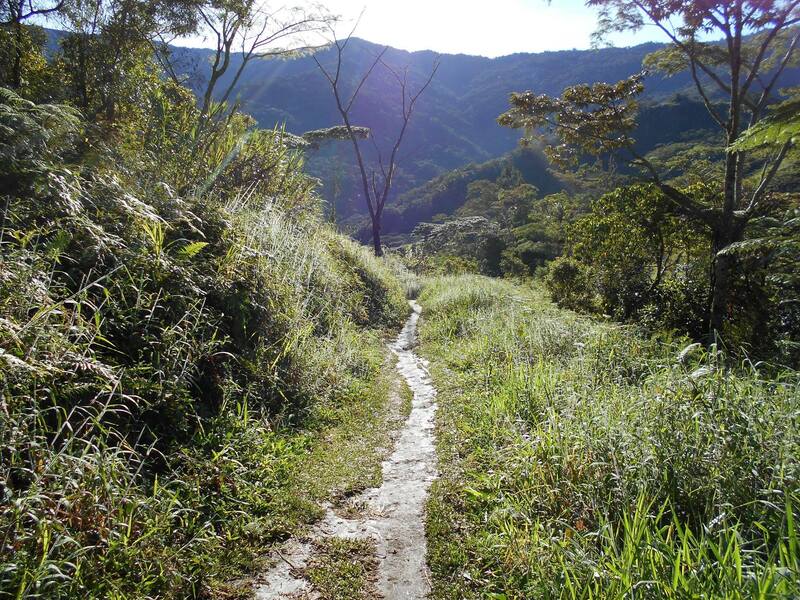 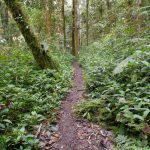 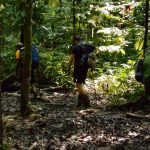 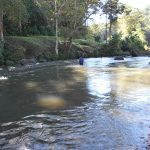 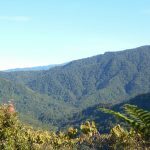 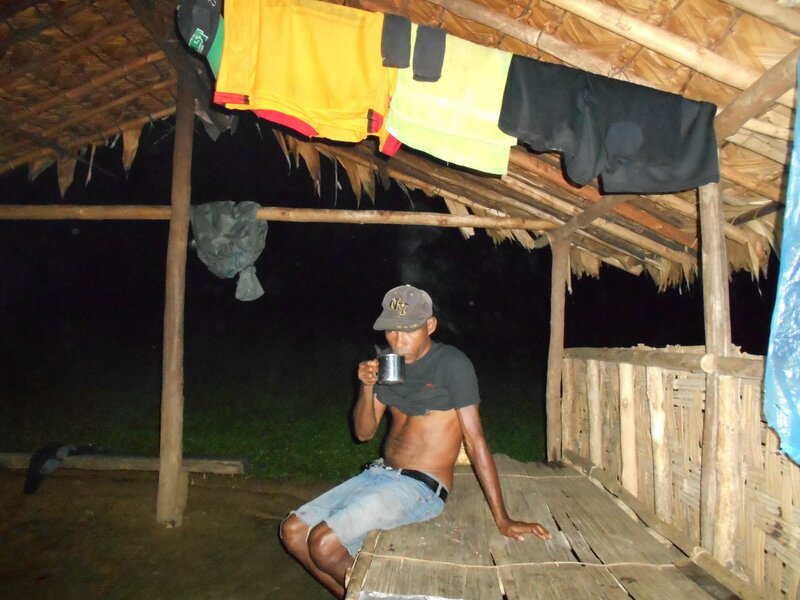 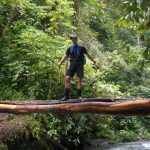 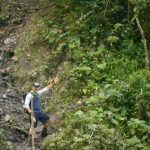 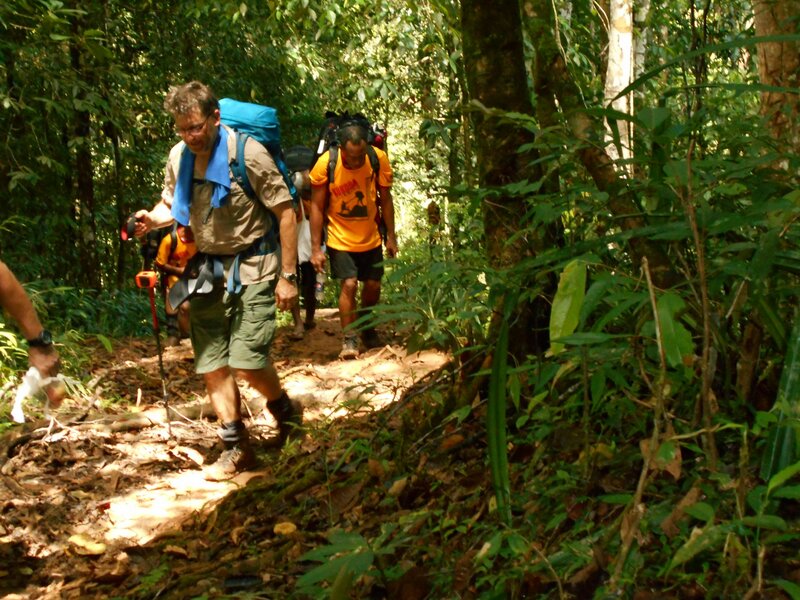 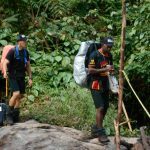 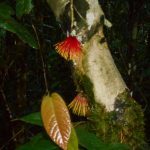 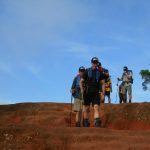 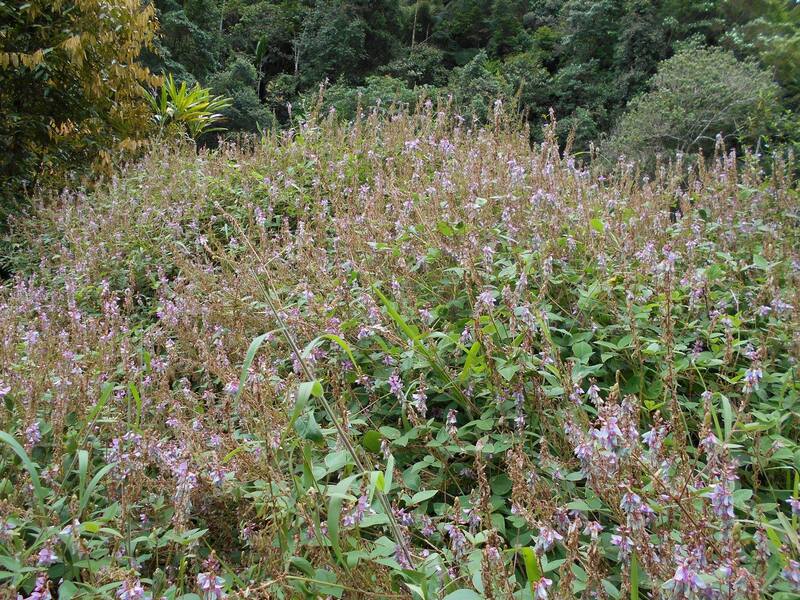 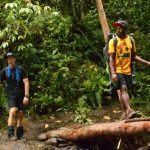 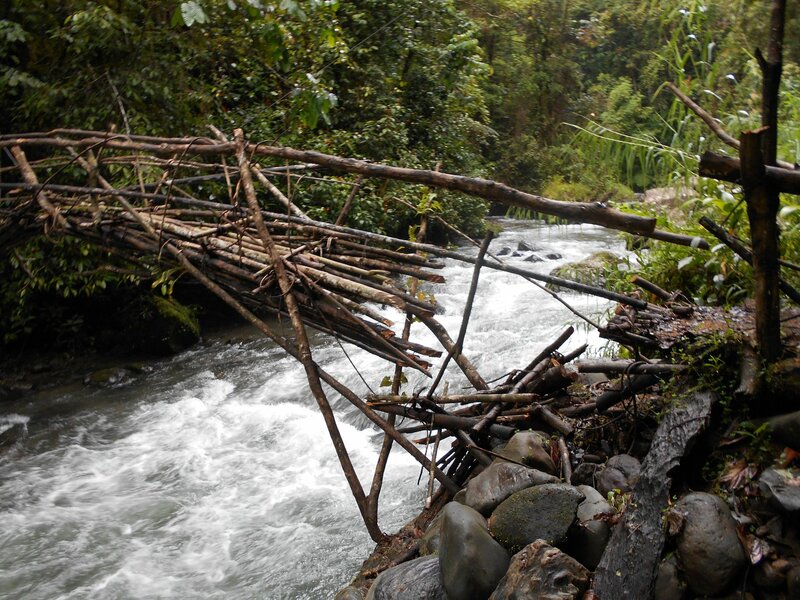 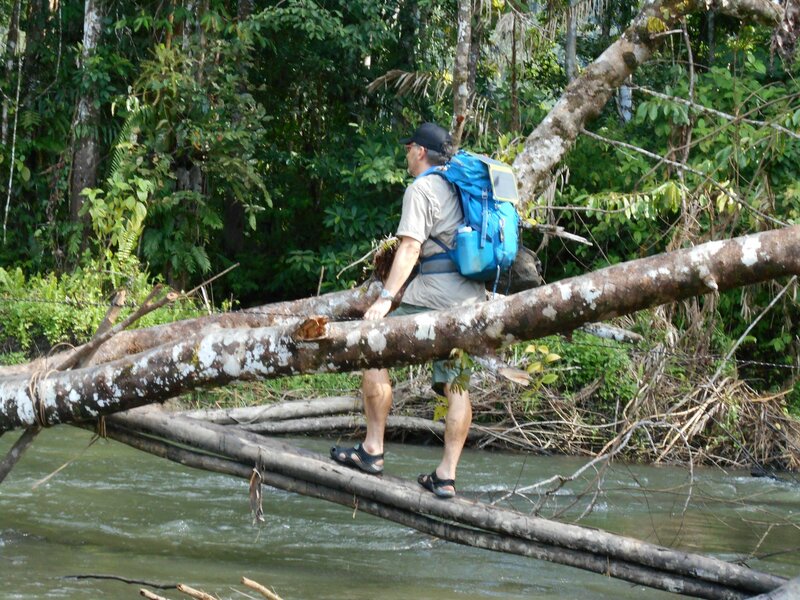 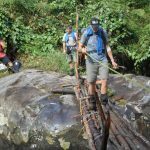 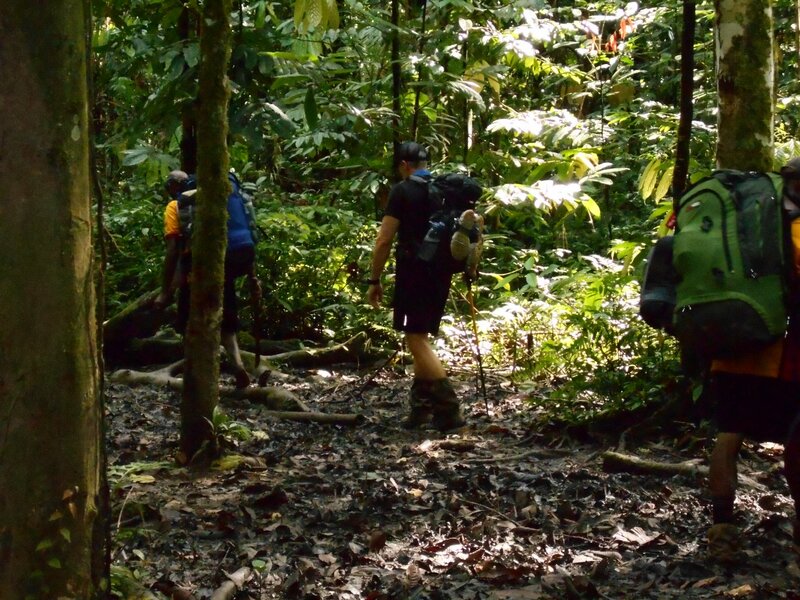 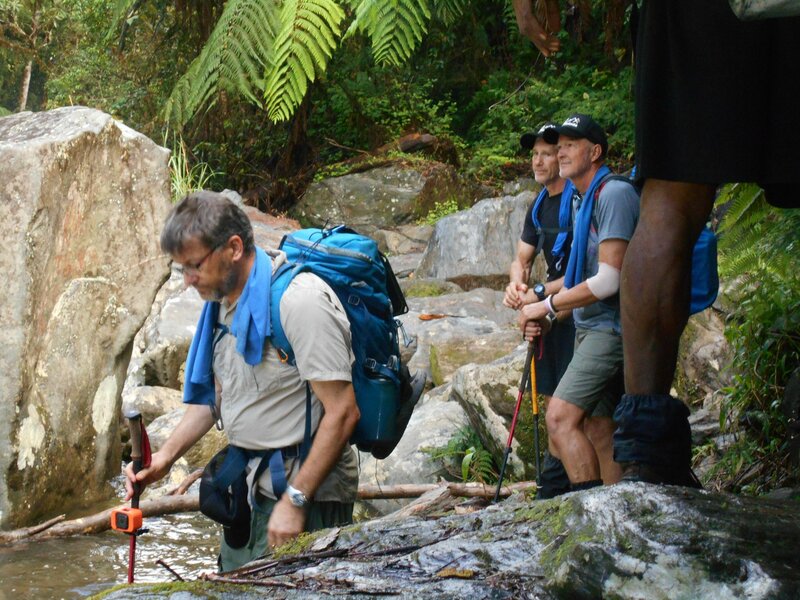 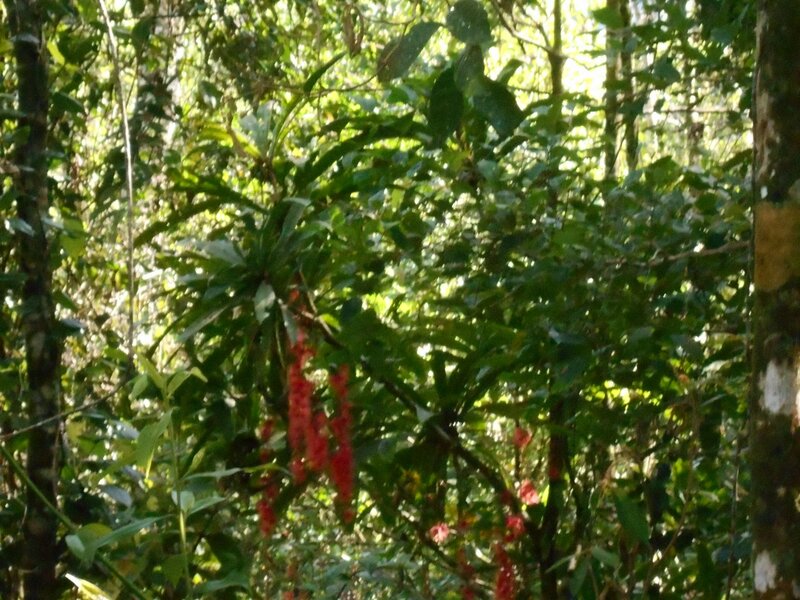 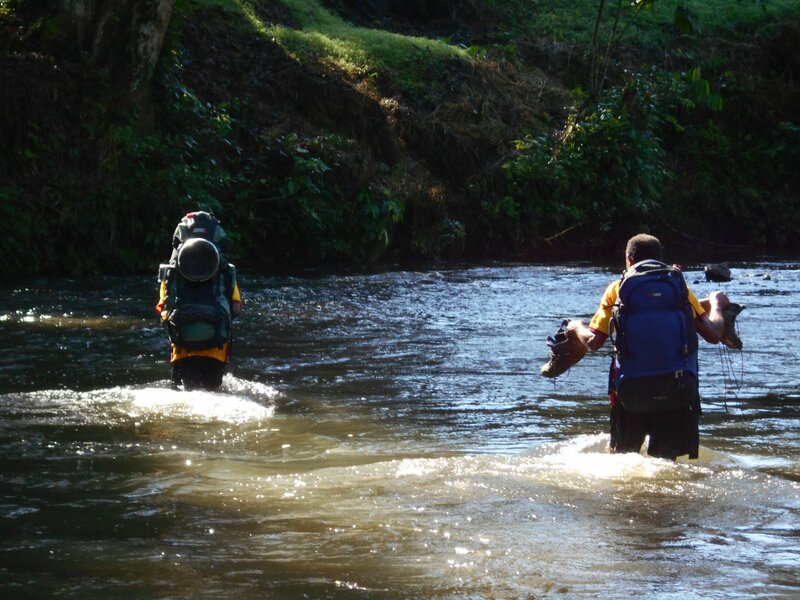 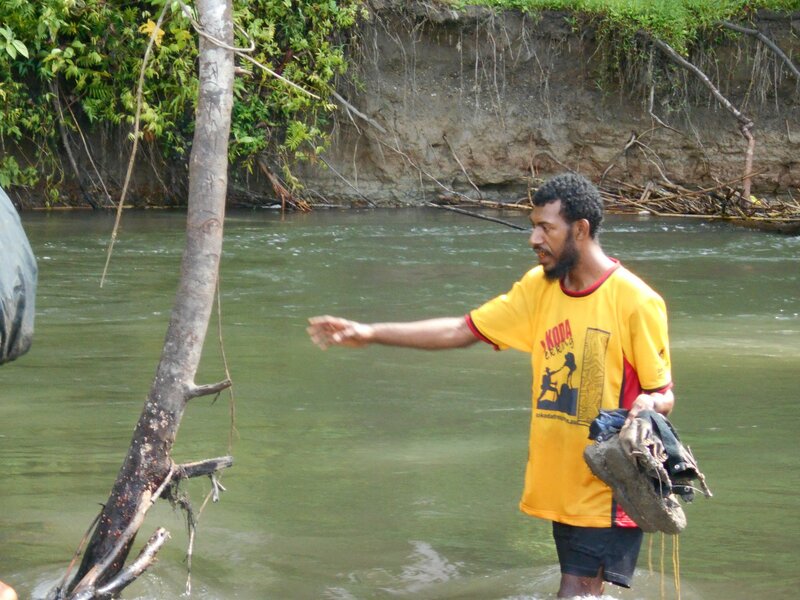 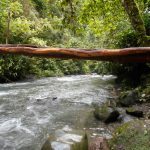 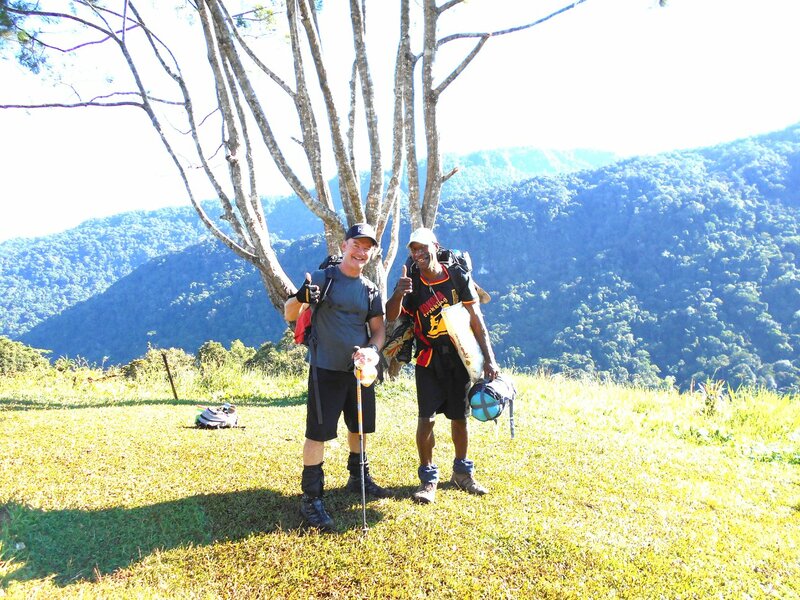 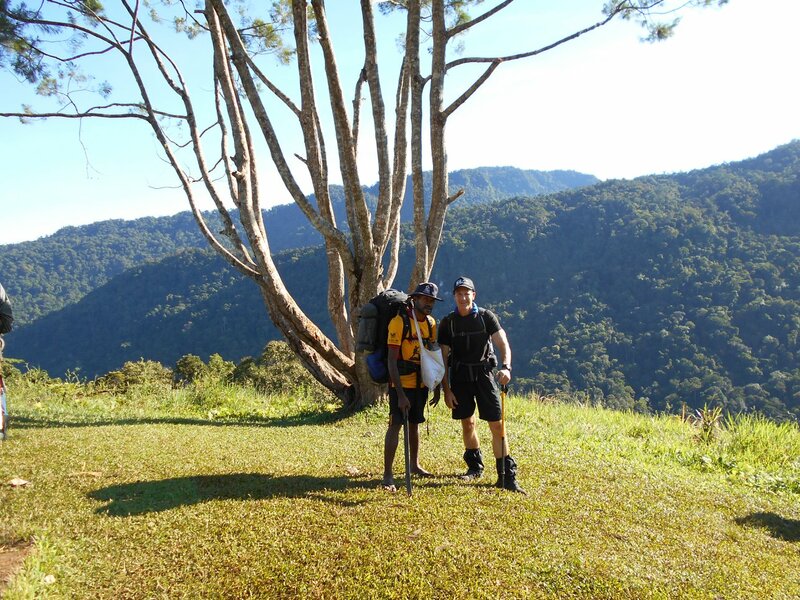 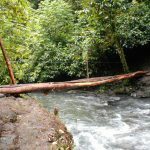 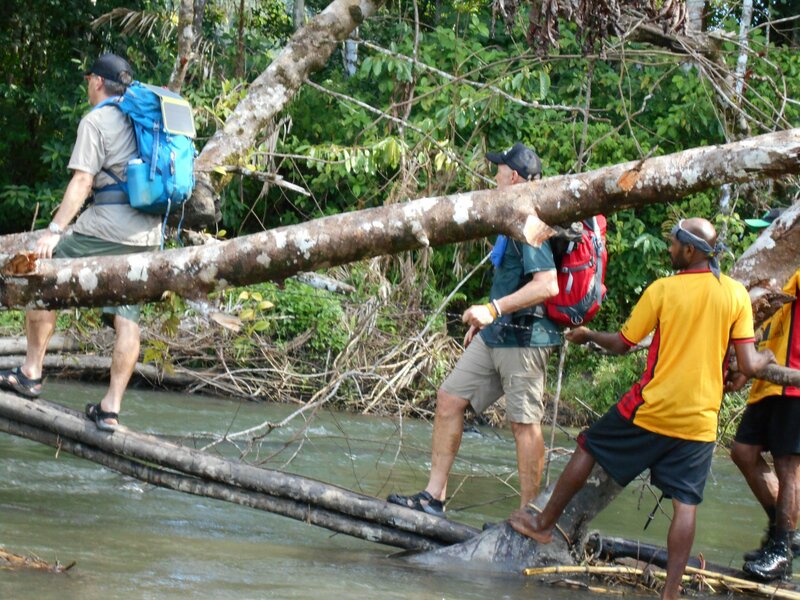 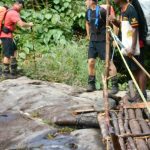 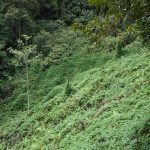 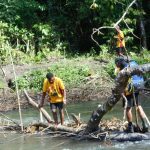 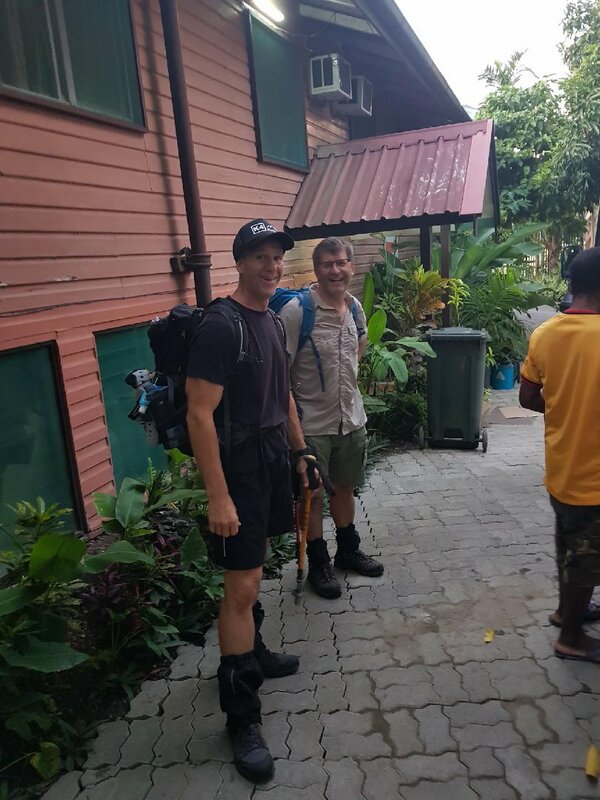 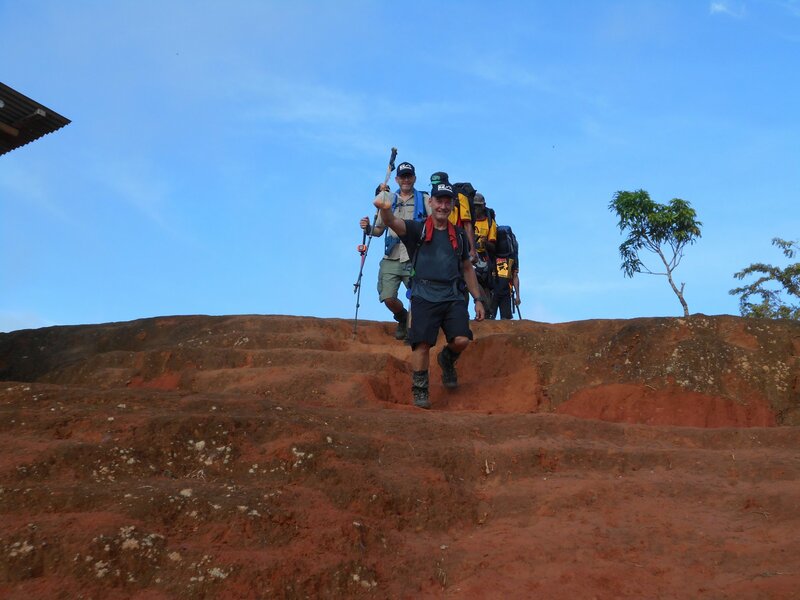 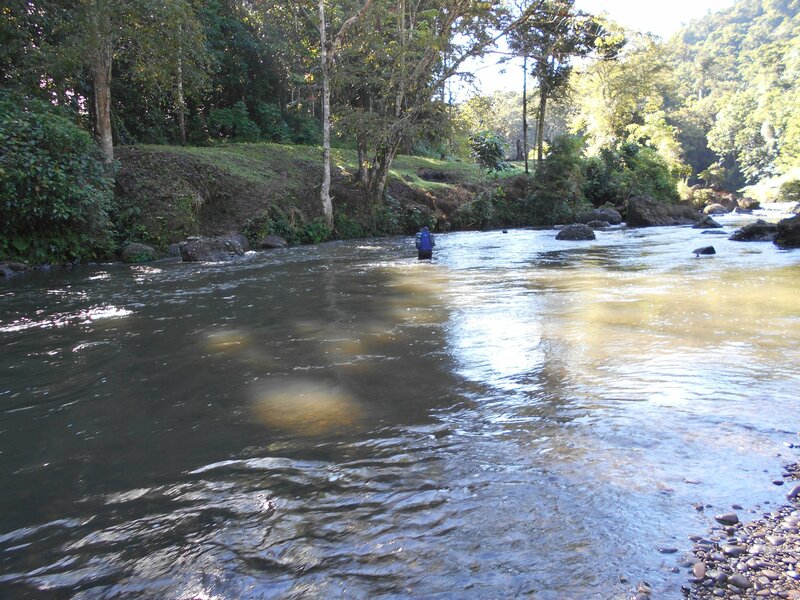 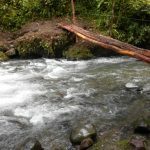 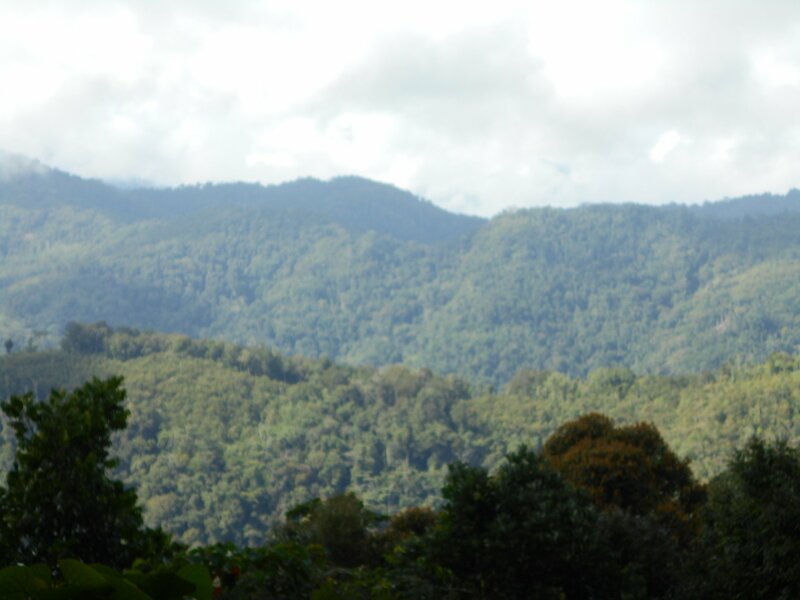 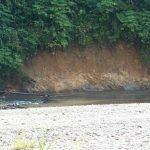 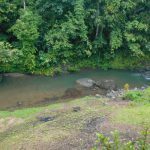 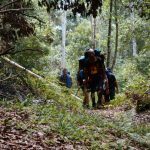 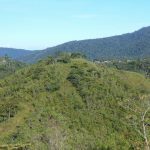 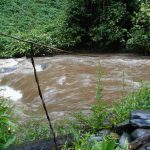 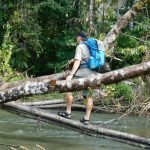 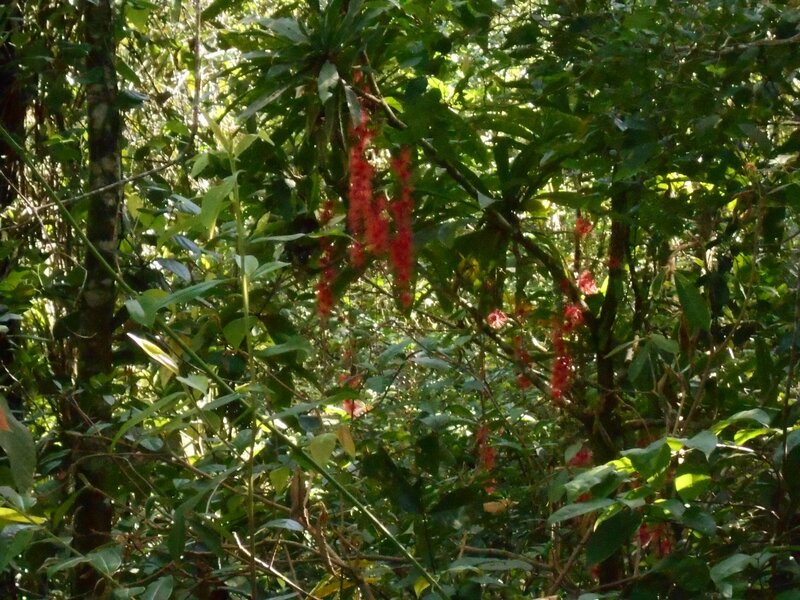 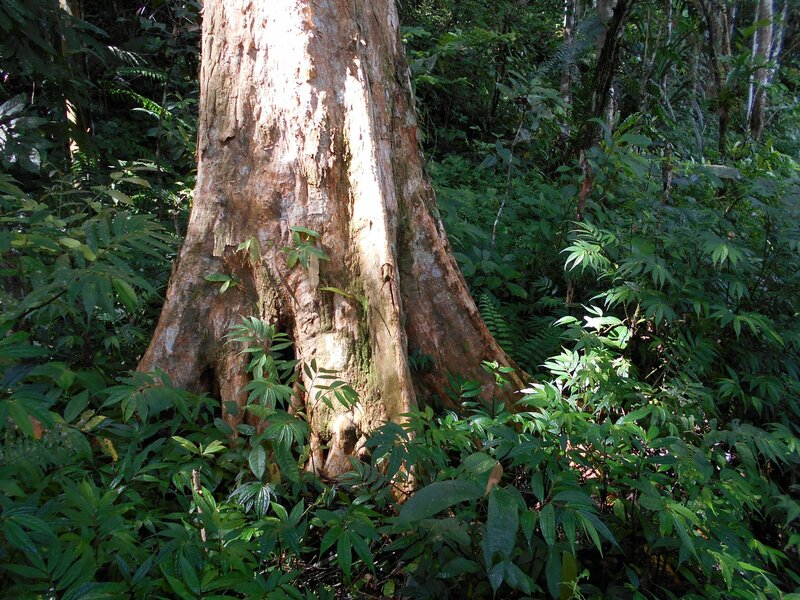 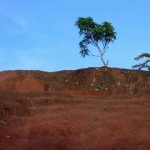 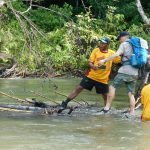 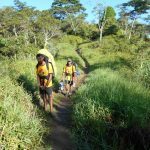 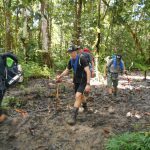 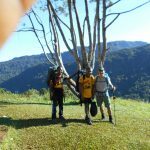 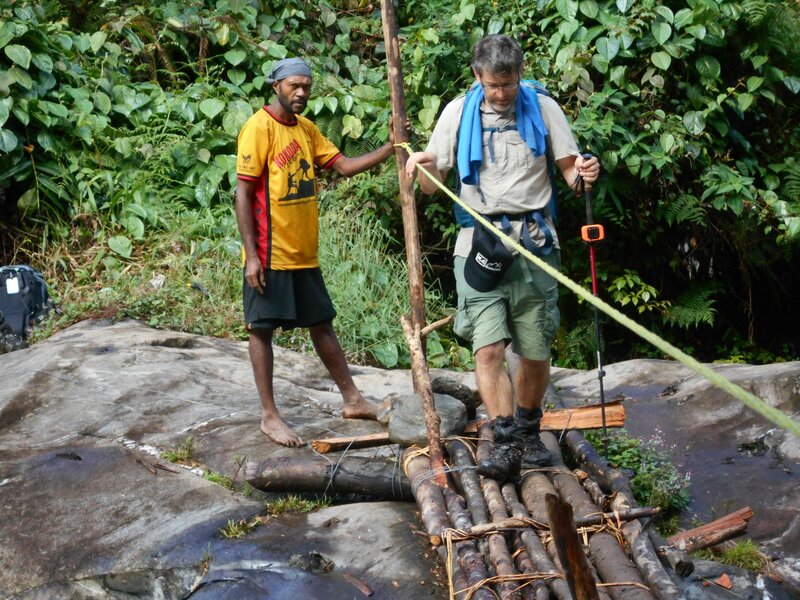 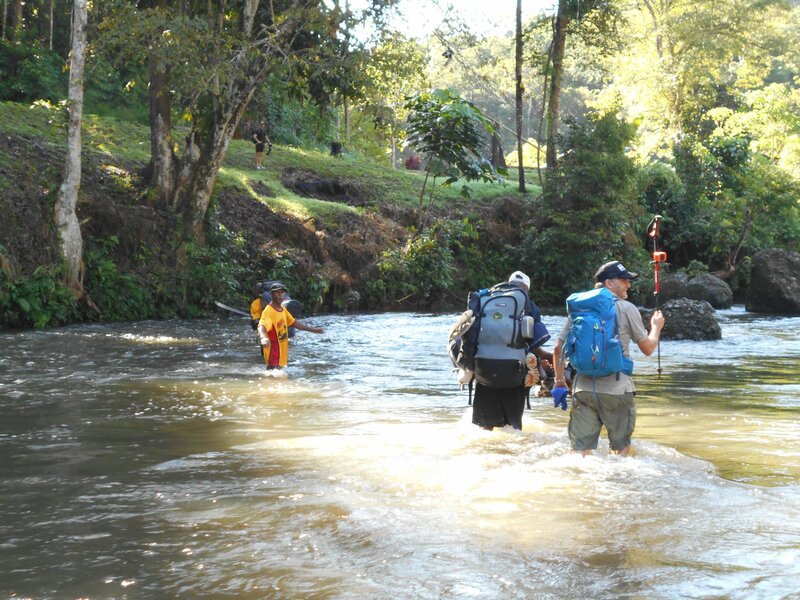 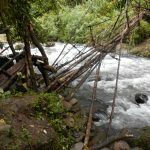 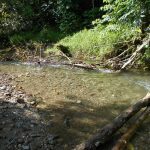 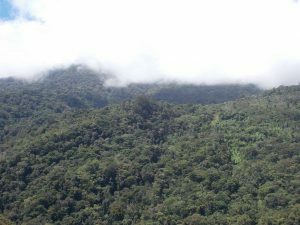 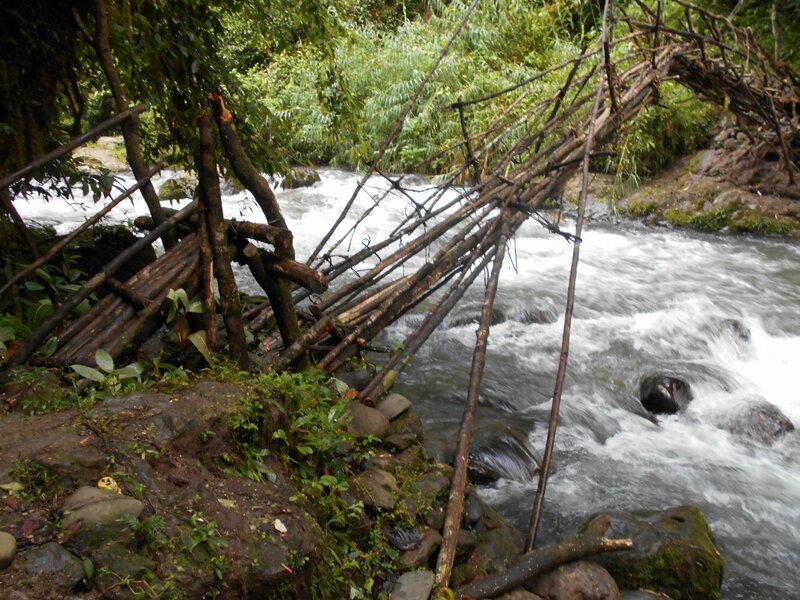 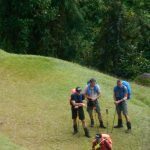 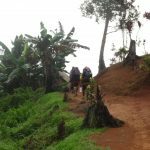 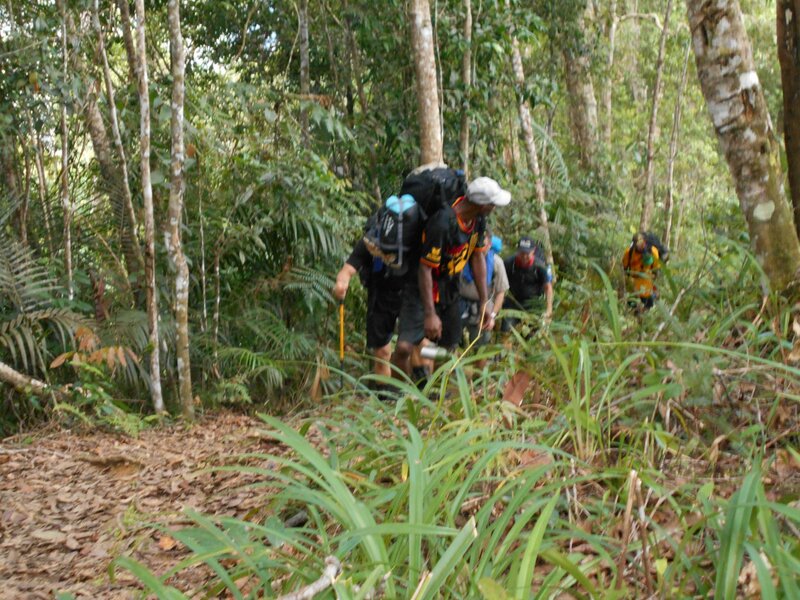 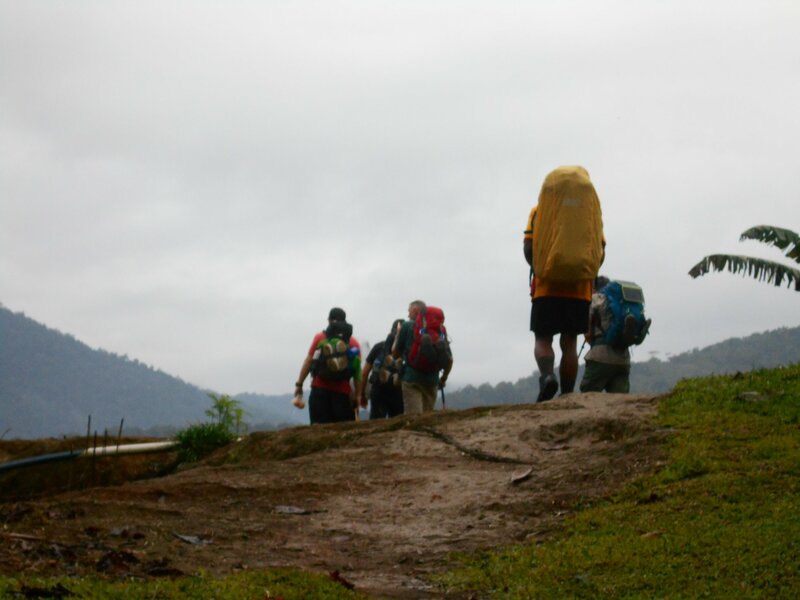 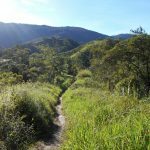 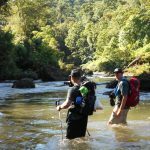 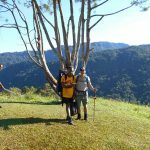 This trek will finish when you walk off the track in Kokoda on the 23rd of April where you will overnight as our guests at Orohaven Pija. 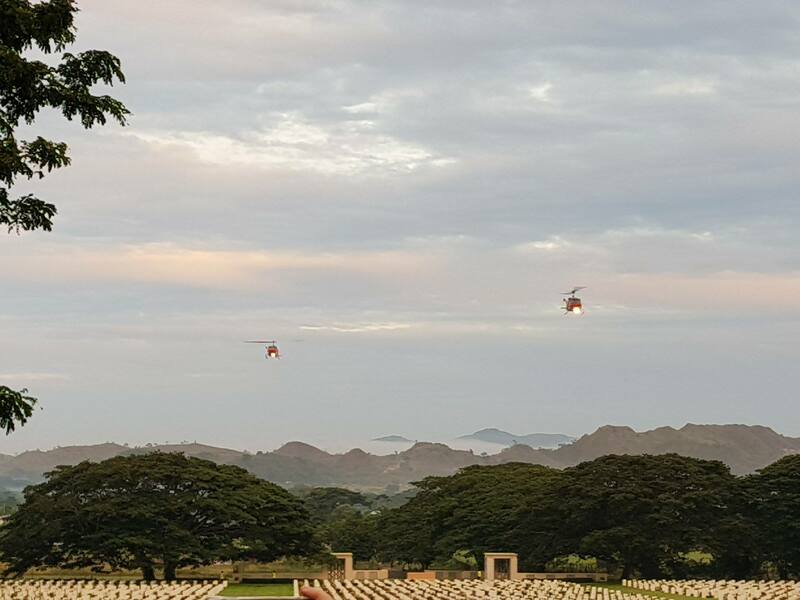 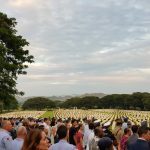 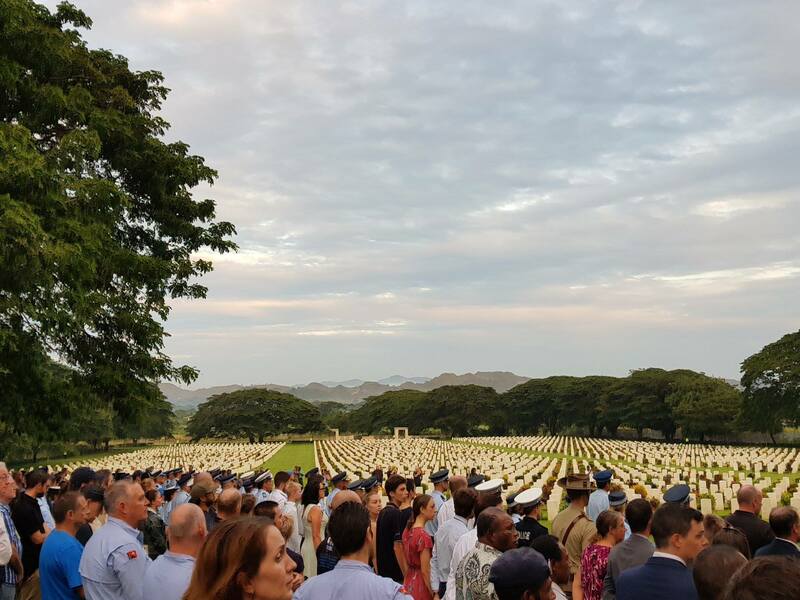 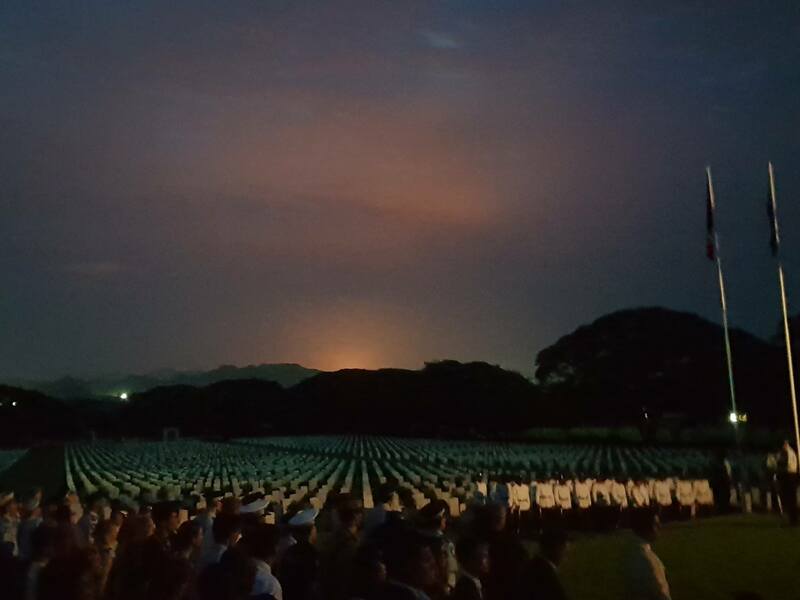 The next day 24th April you will be flown back to Port Moresby where you will overnight for the Anzac Day services. 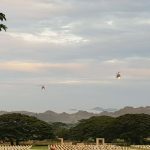 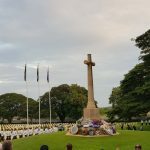 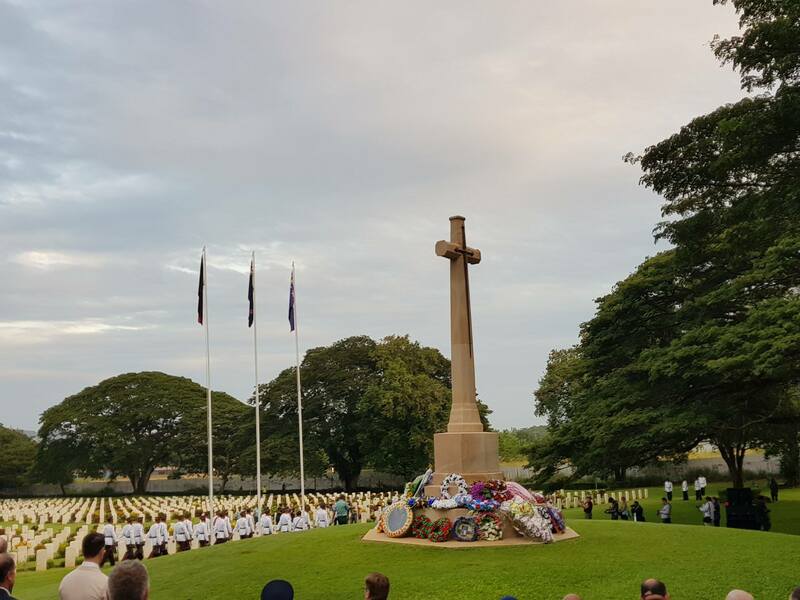 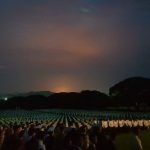 The following morning 25th April you will be picked up from your accommodation at 4am and driven out to Bomana War Cemetery for the dawn service. 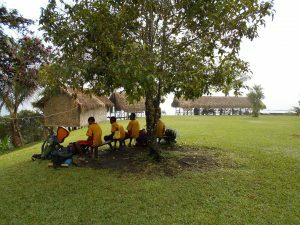 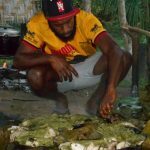 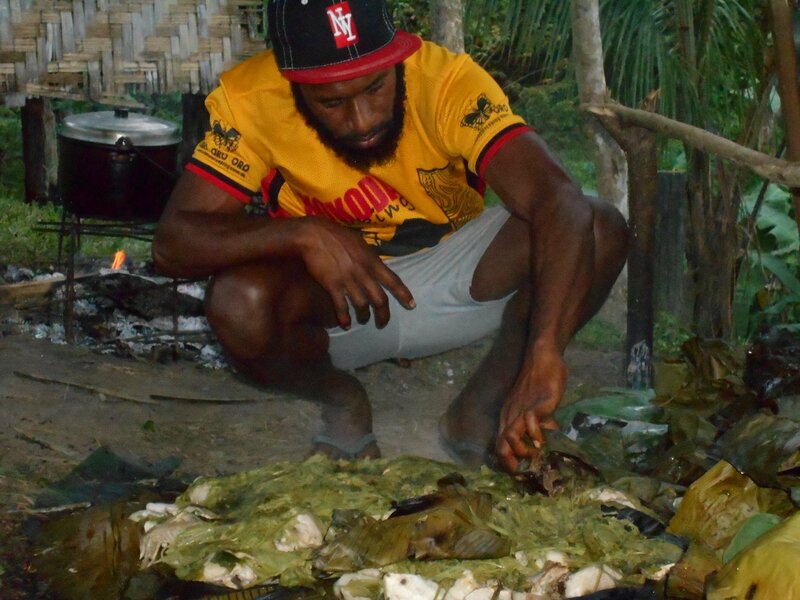 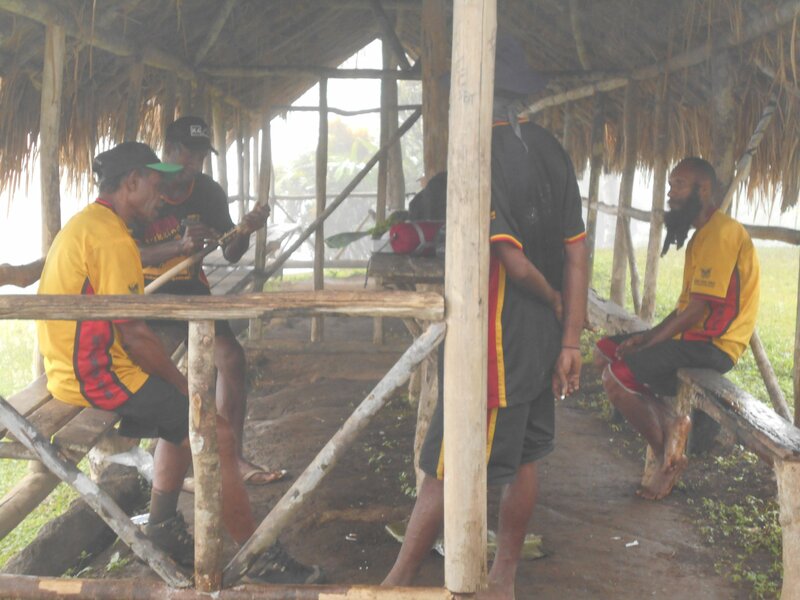 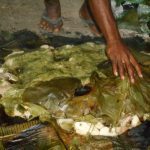 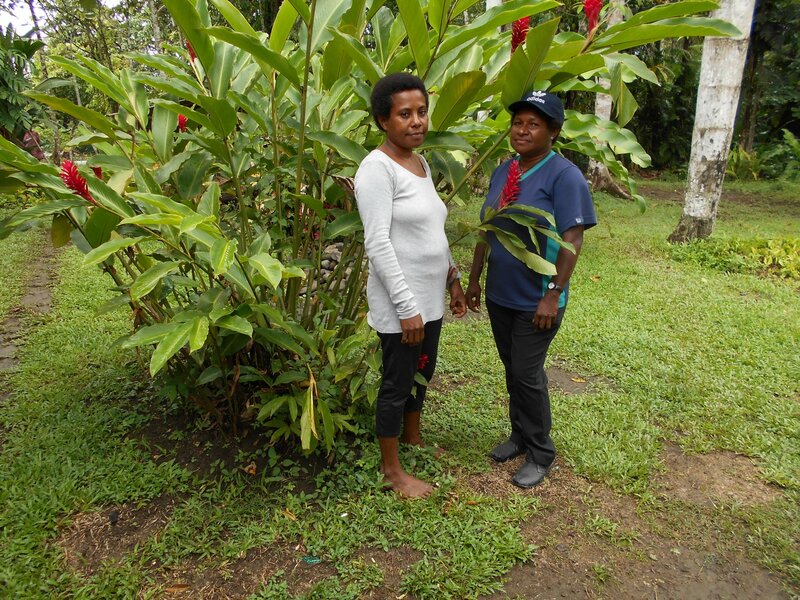 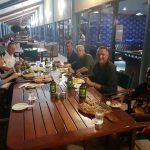 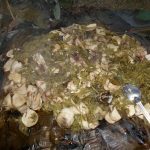 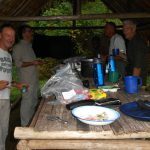 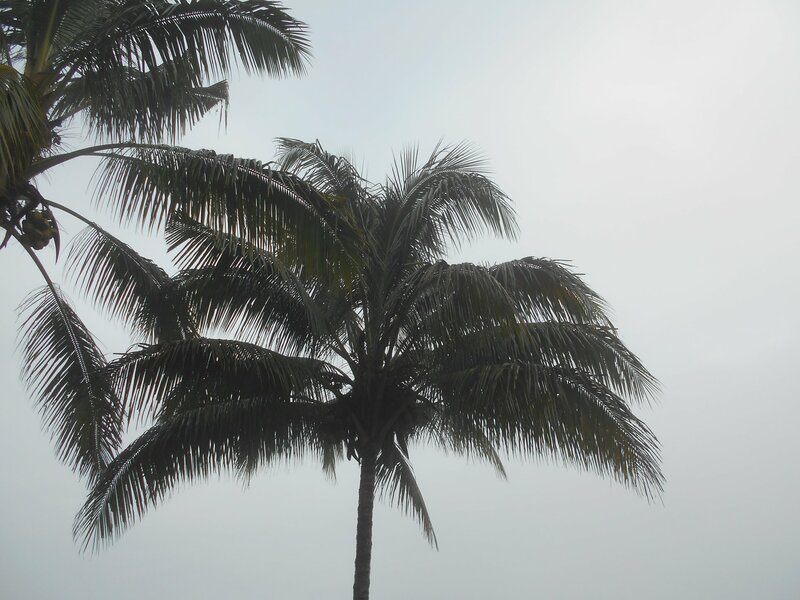 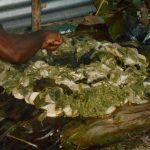 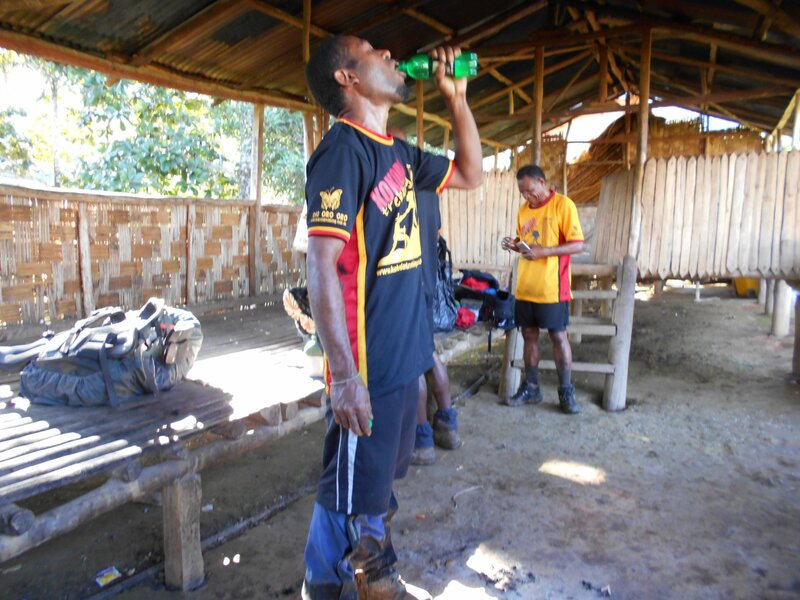 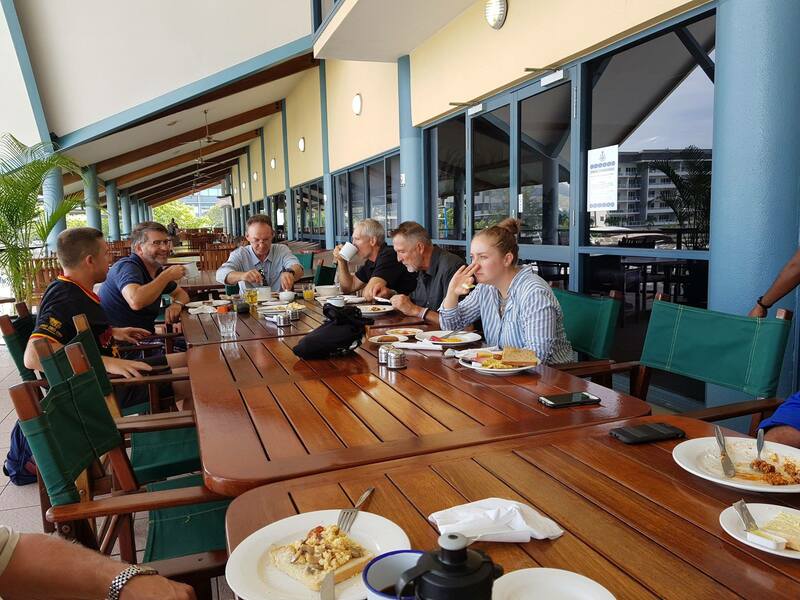 After the service you will be driven to the Royal Papua Yacht Club where you can order breakfast and reflect what you have achieved during your walk and take the chance to say goodbye to everyone you have met before returning home to Australia. 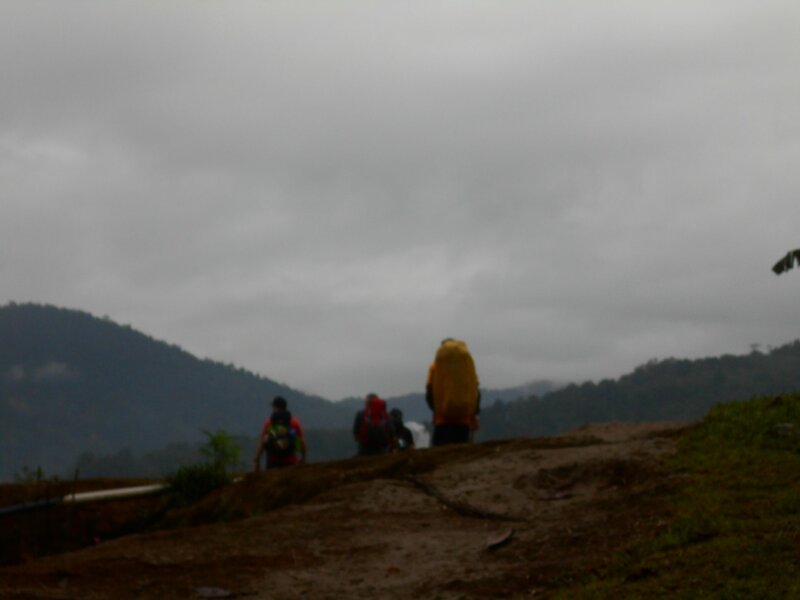 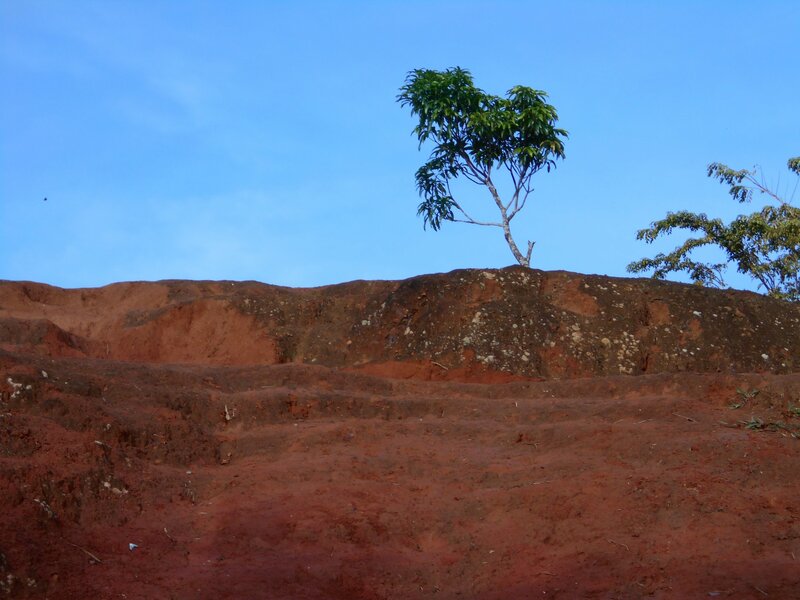 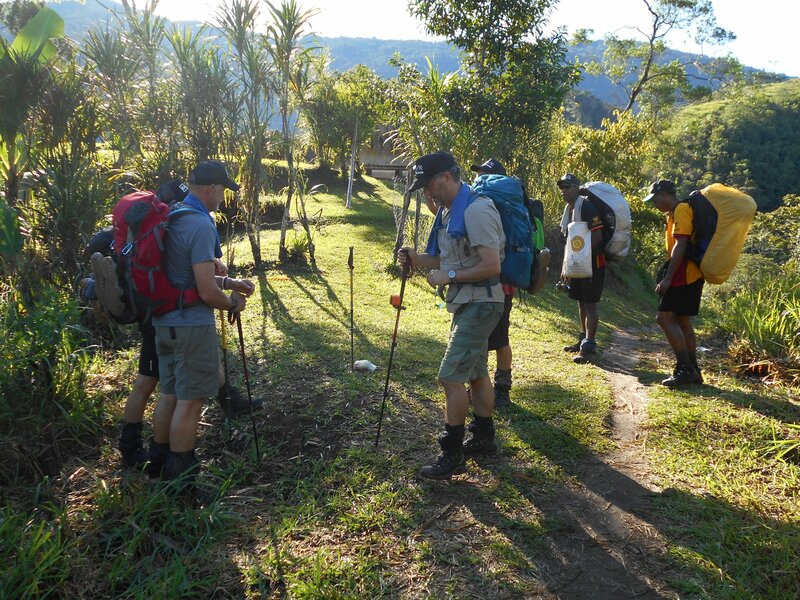 Trek 1144 – PNG Guided trek. 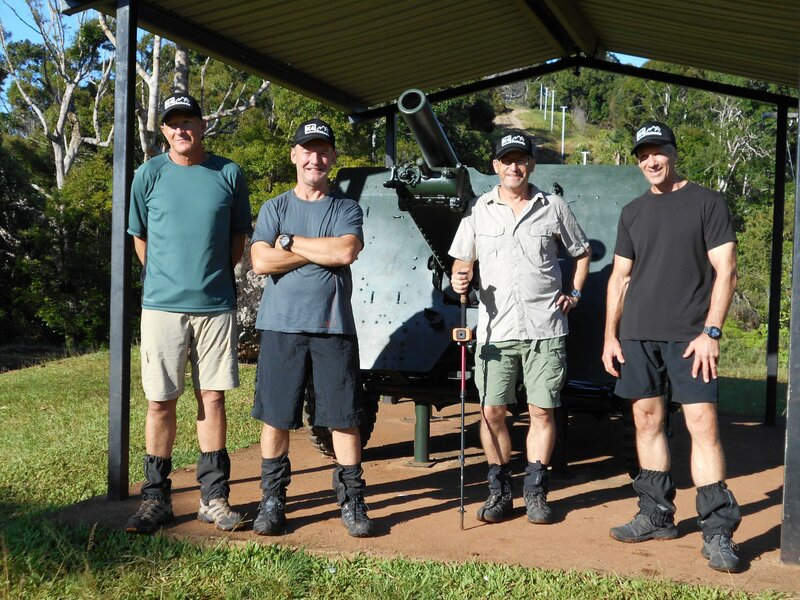 Our first Anzac Trek 1144 got away this morning from Owers’ Corner. 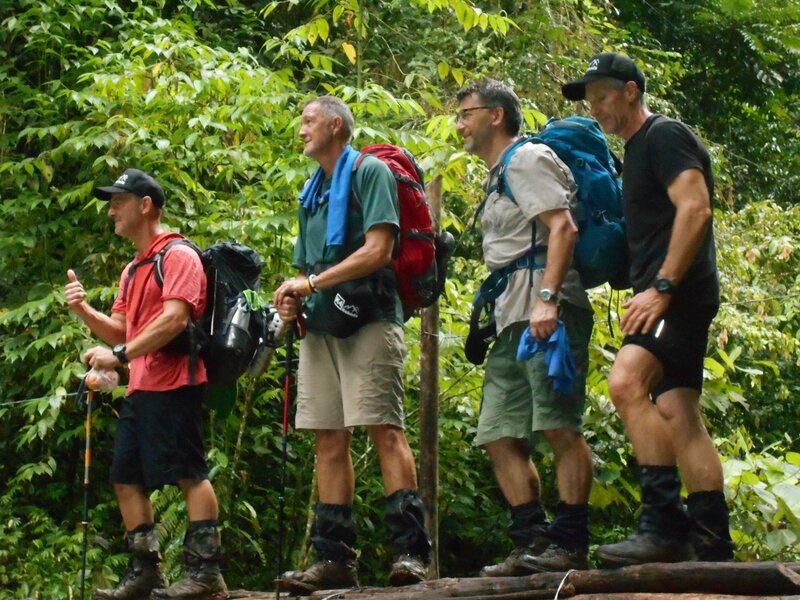 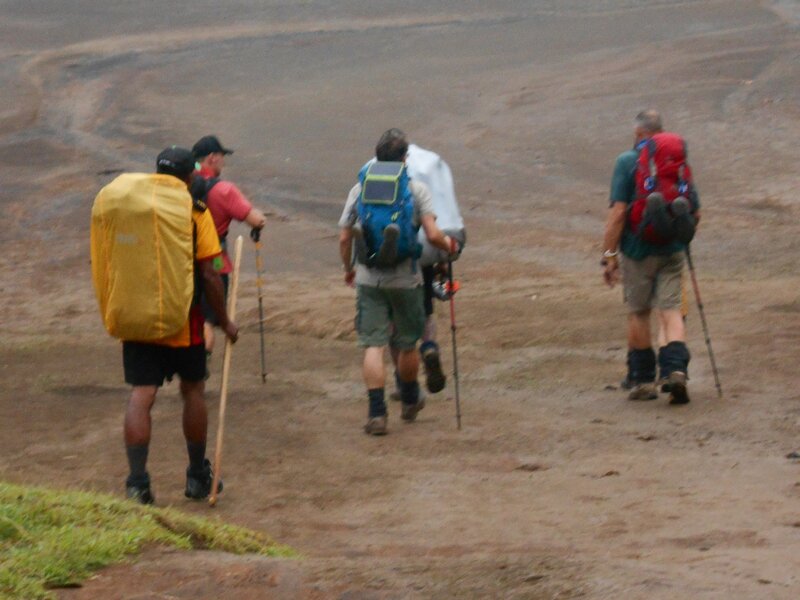 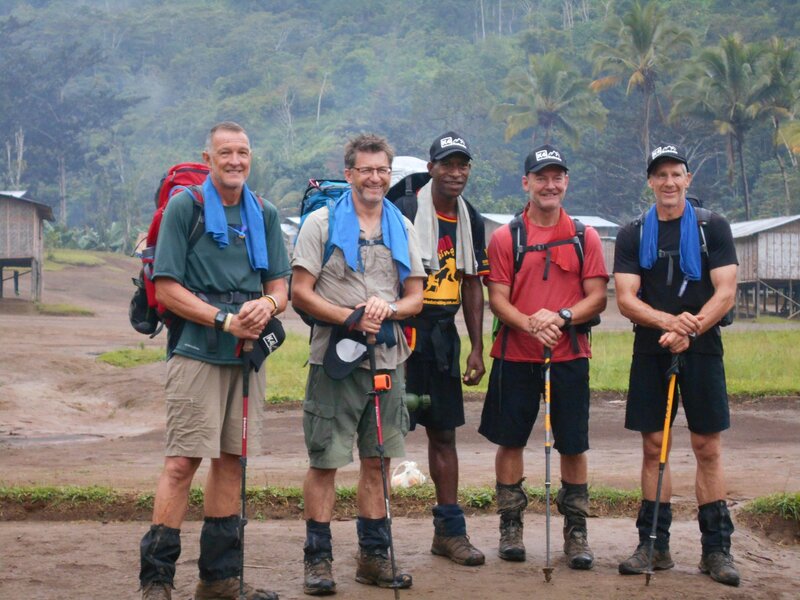 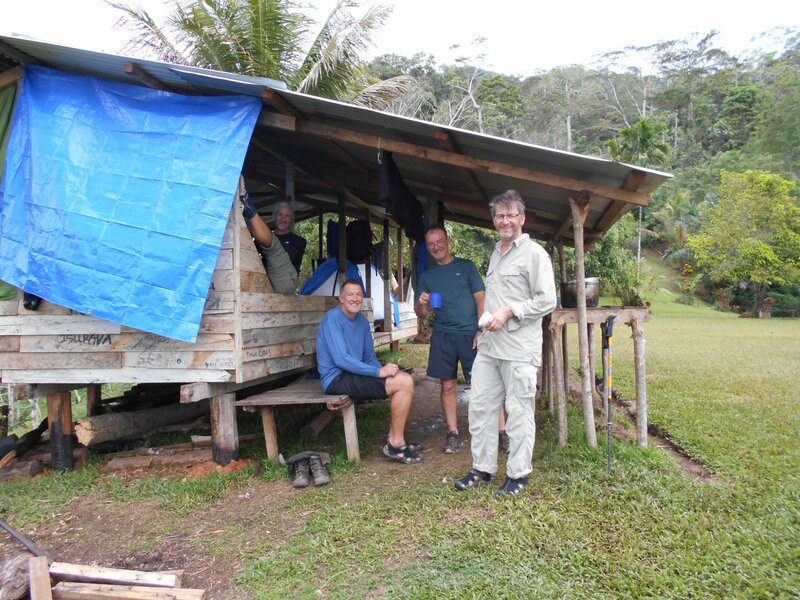 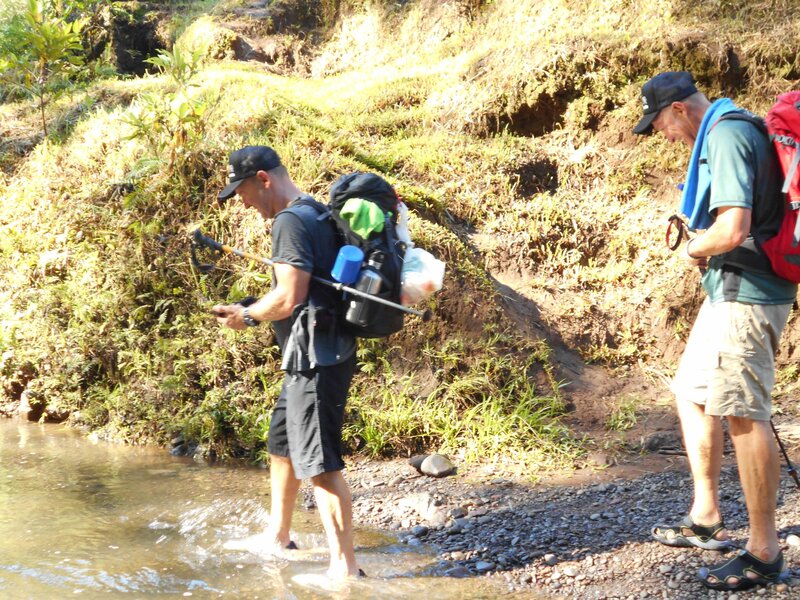 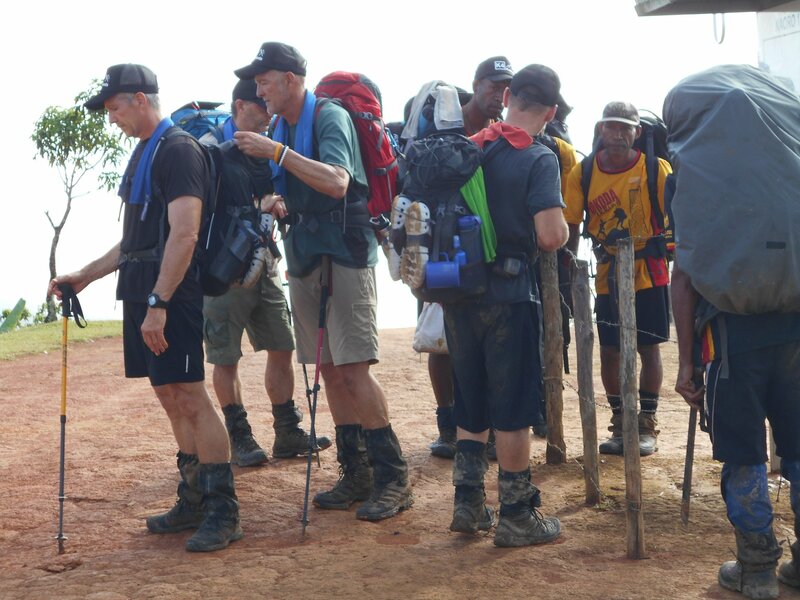 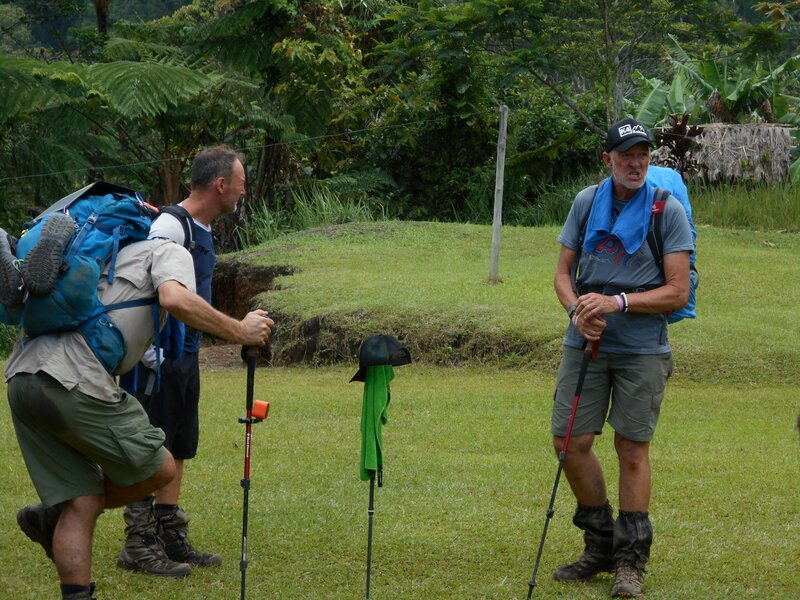 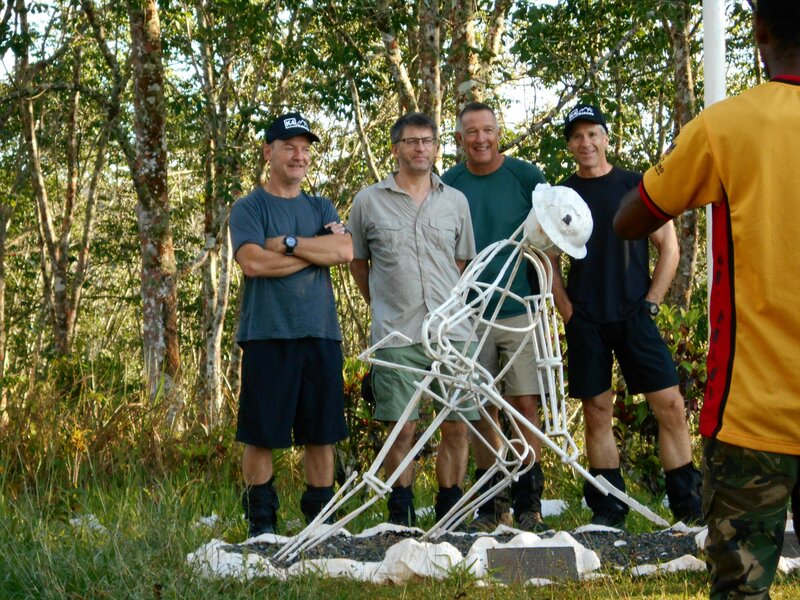 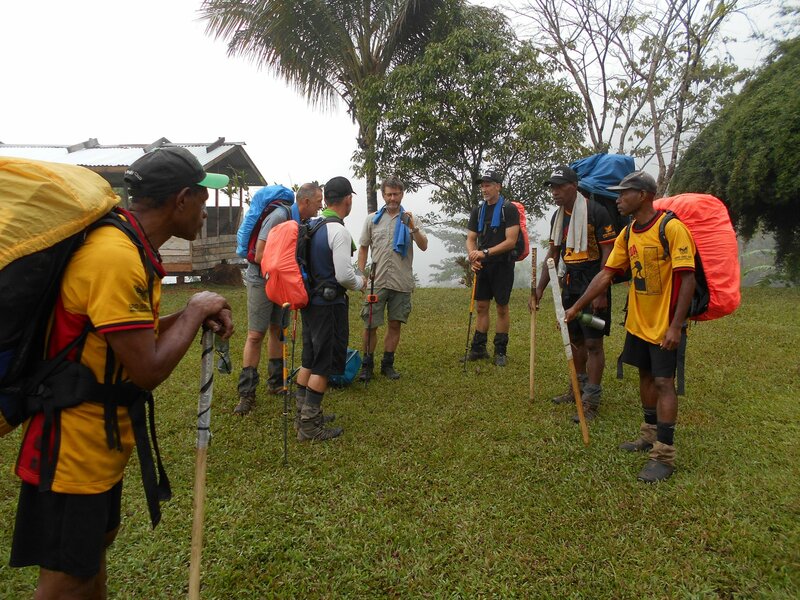 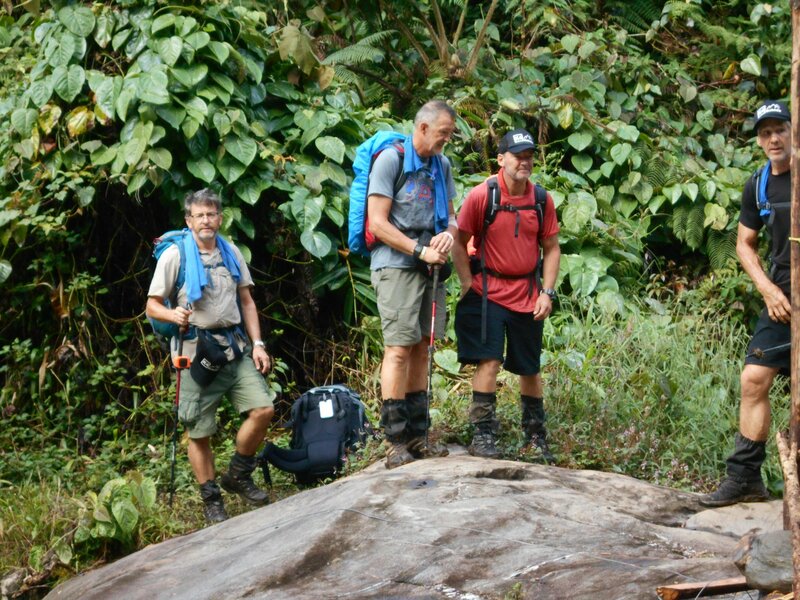 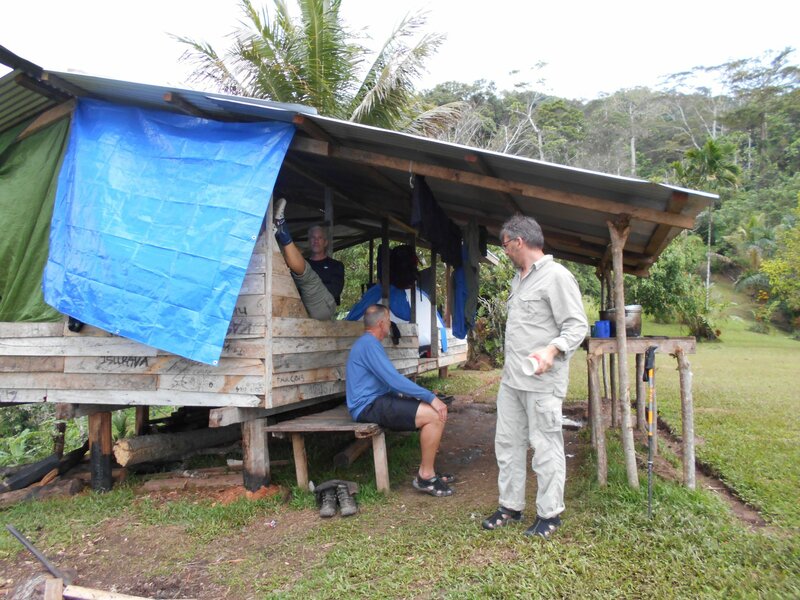 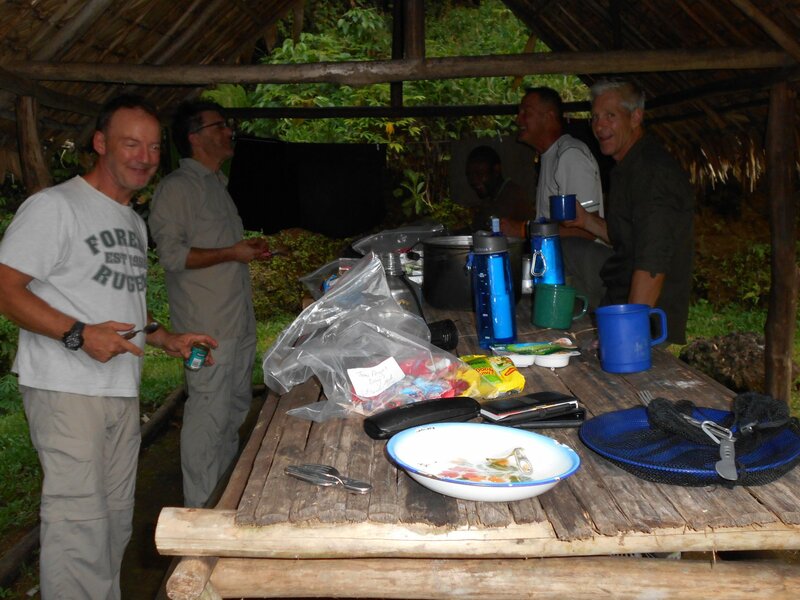 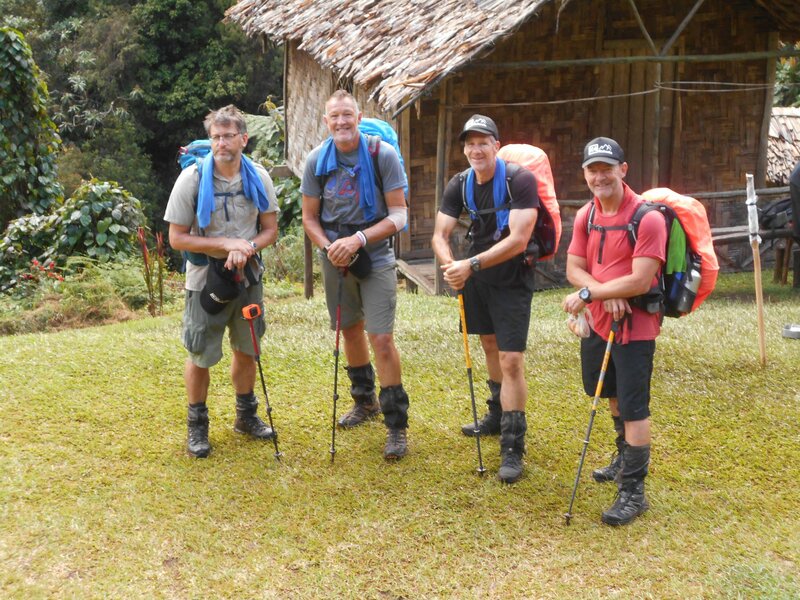 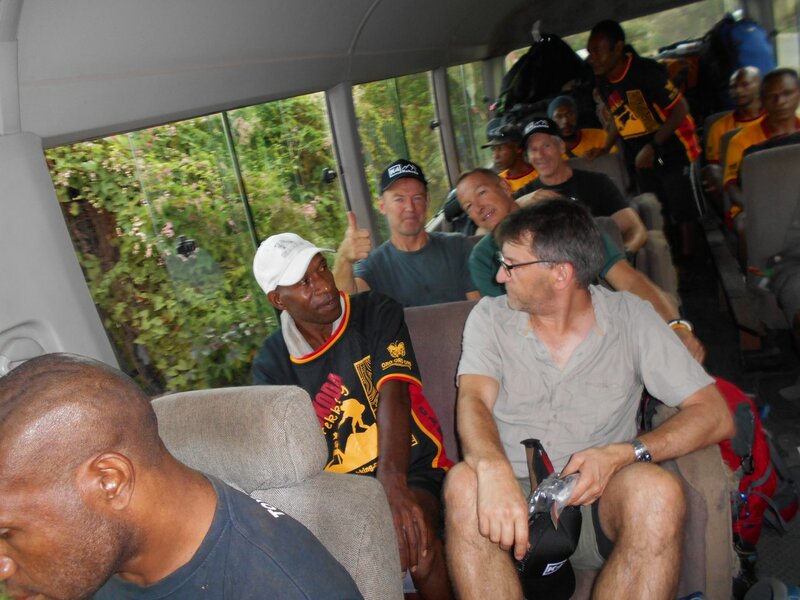 Trekkers in this group include an ex trekker, John Pegus together with Tim Cooper, Peter LIndgren and Robin Swadling. 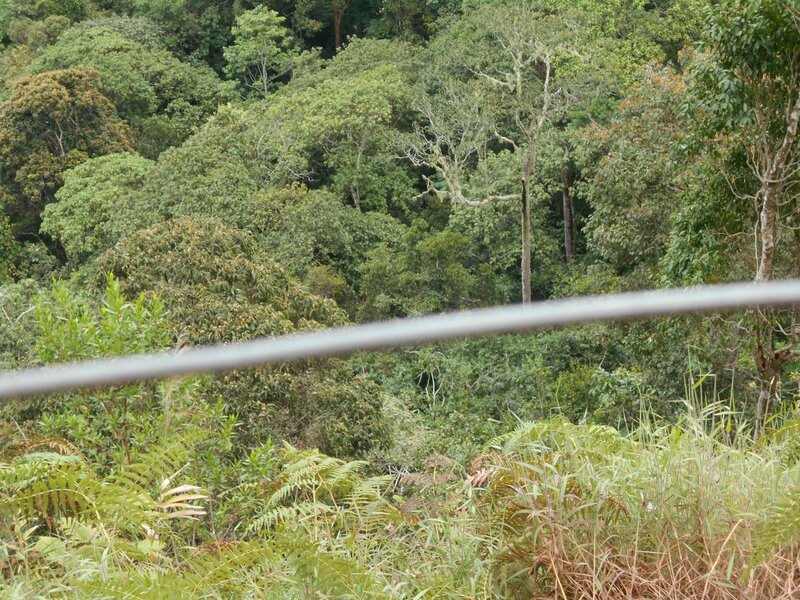 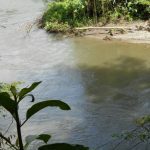 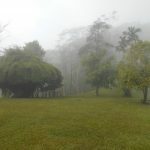 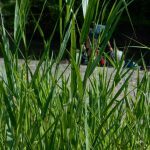 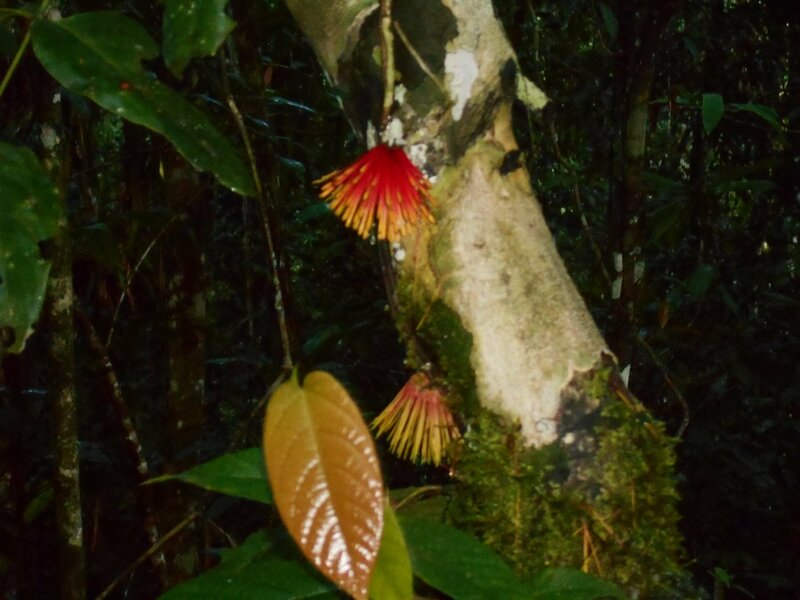 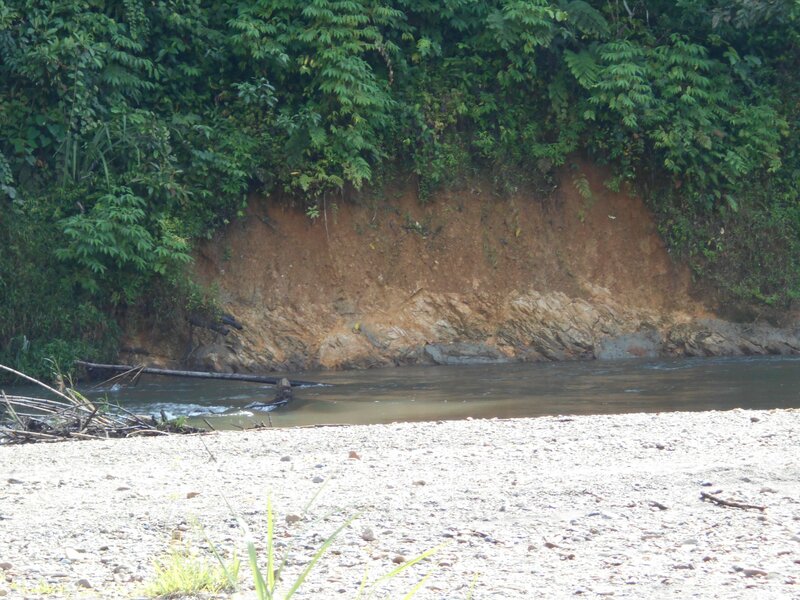 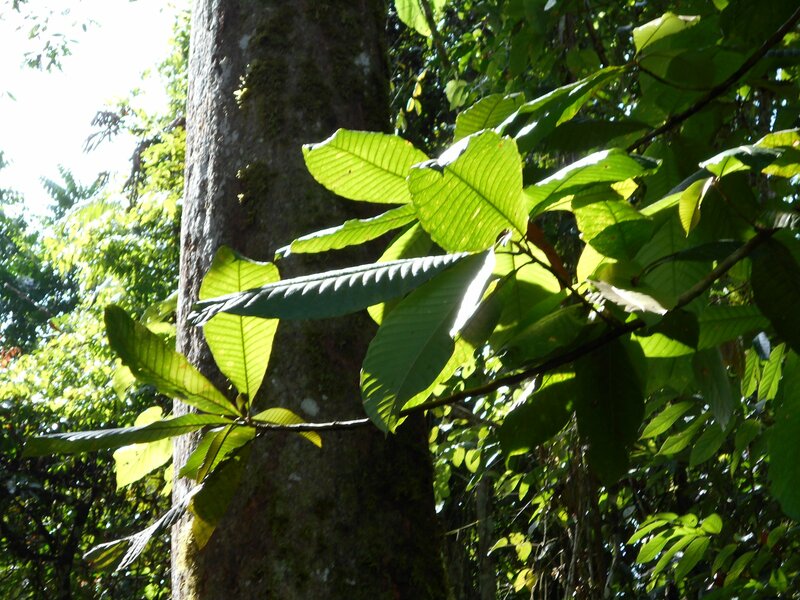 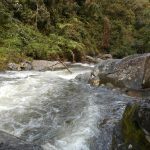 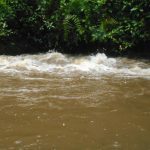 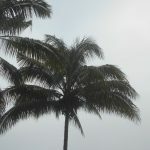 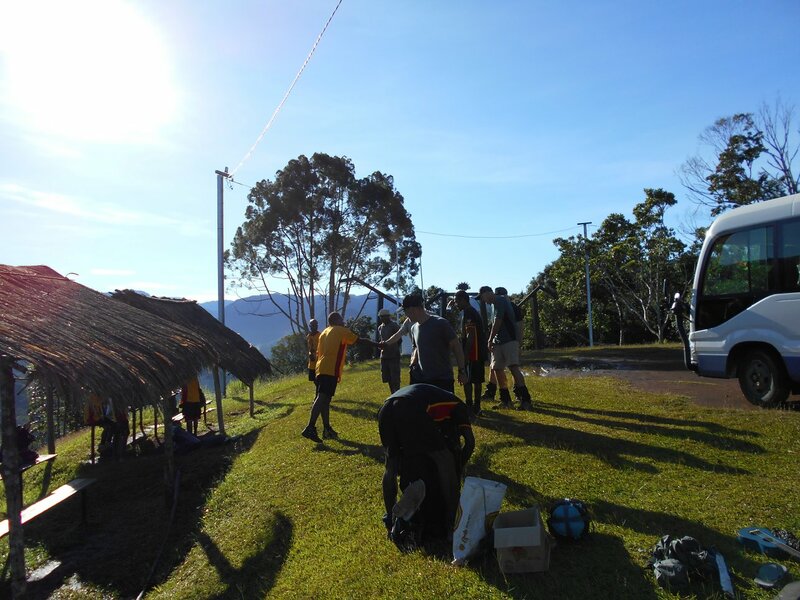 Trek 1144: Clement called to say they are now at Menari and apparently at this stage which is quite strange come this time of the year, so far they have the track to themselves. 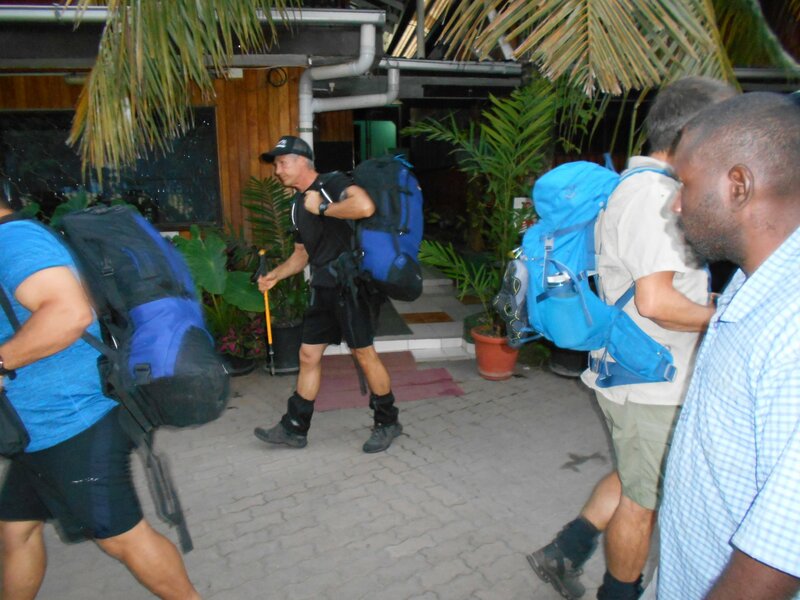 They should however start facing some trekkers walking in the opposite direction in a day or so. 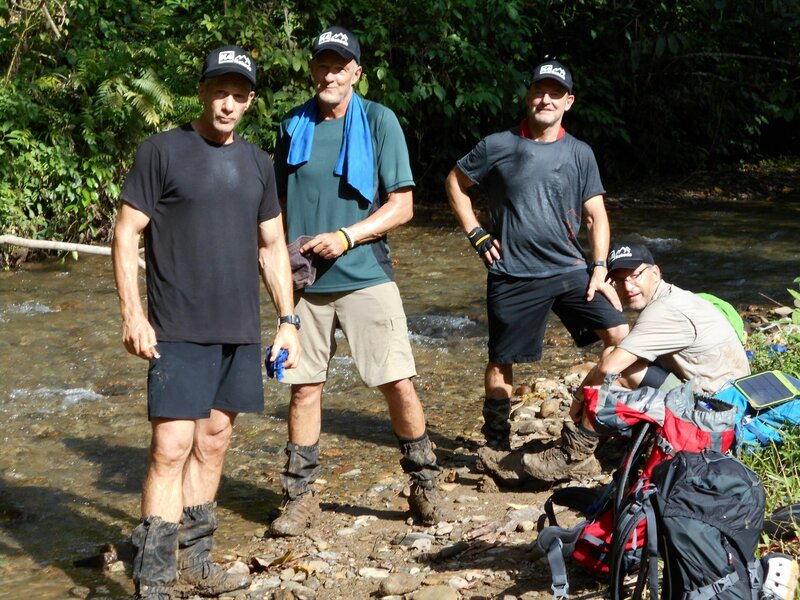 A message from the group: K4 are doing just fine! 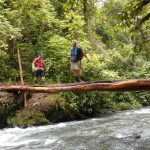 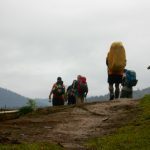 Apparently experienced some rain but will not feel it as bad as our other two treks behind them who are walking alongside a big group from another company. 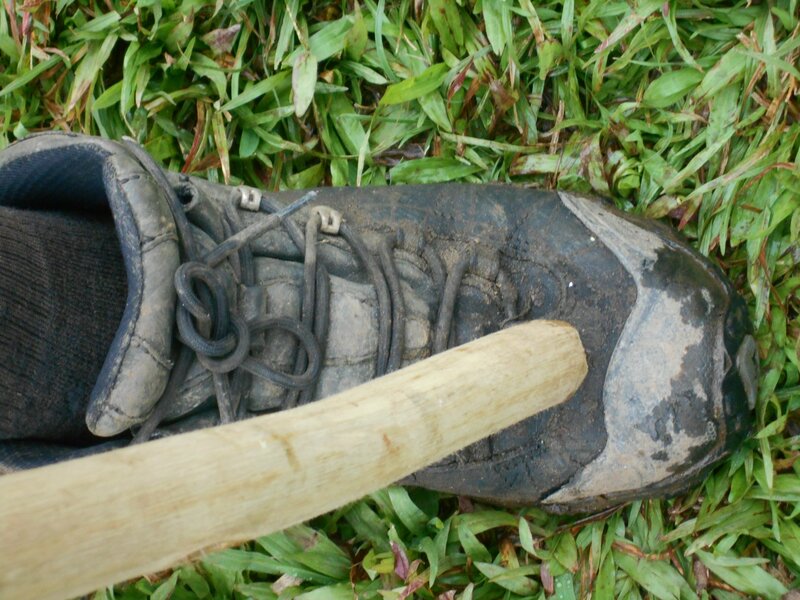 When there is a lot of people the ground soon turns to MUD and its gets quite slippery. 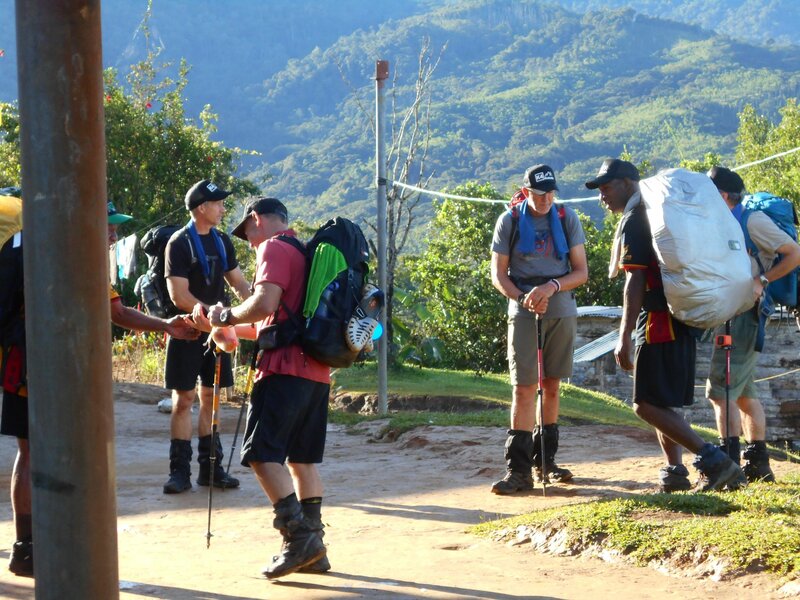 I could sense Clement smiling as he talked to me knowing they were out in front! 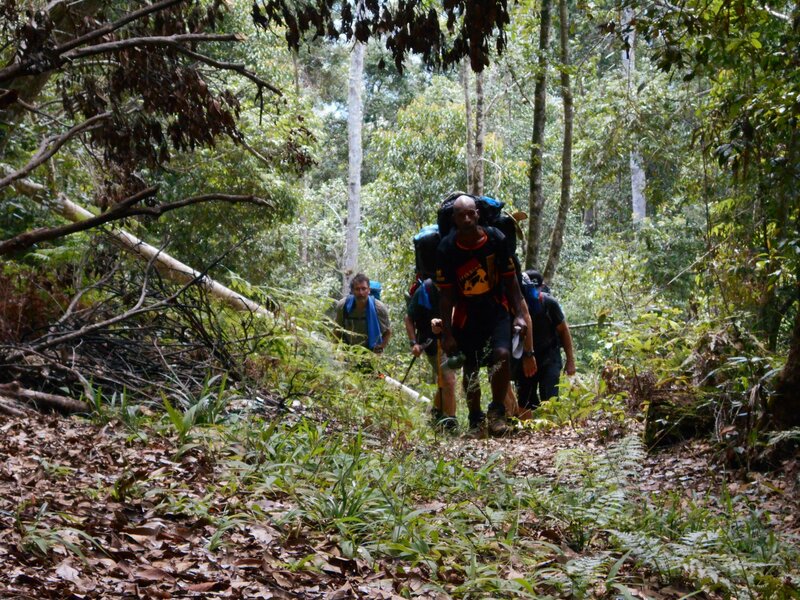 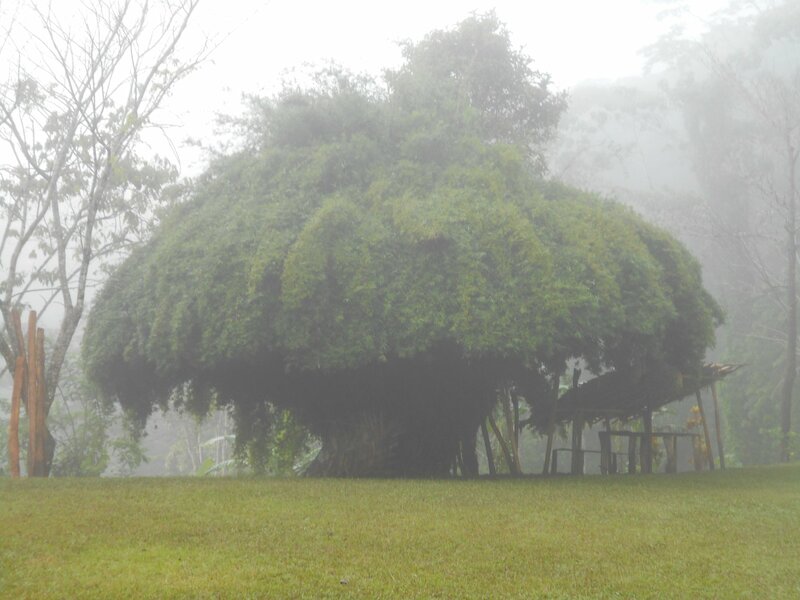 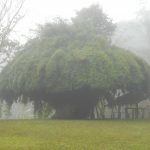 Trek 1144: Have not heard from Clement today. 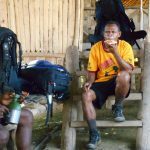 He informed me yesterday that they were going to head to Kagi for the night as John had requested this instead of staying at Efogi. 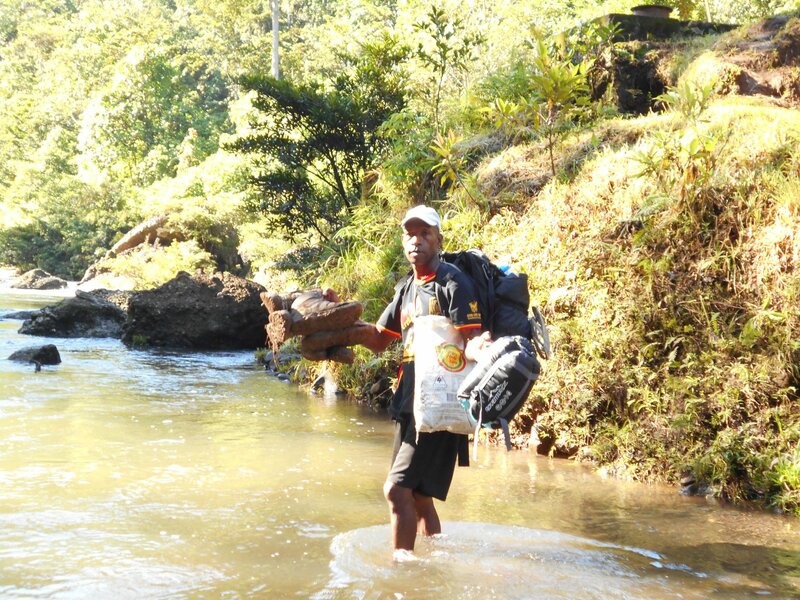 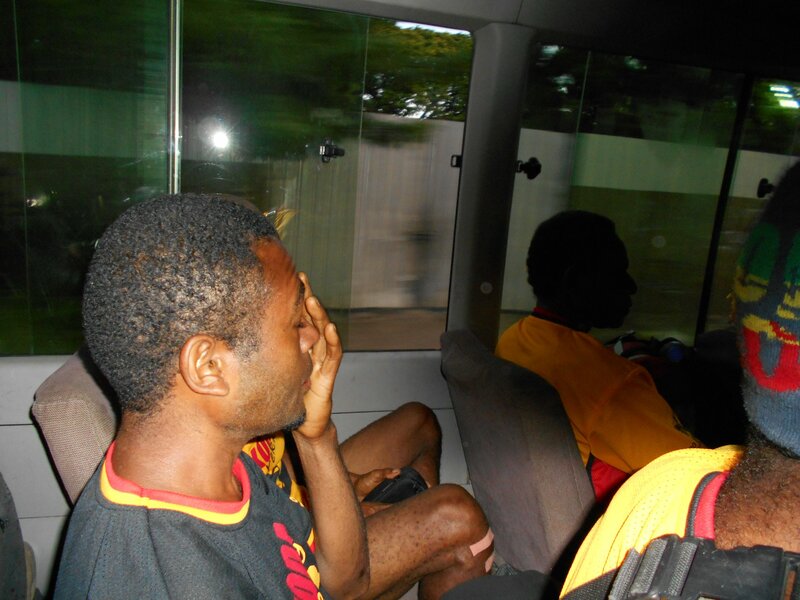 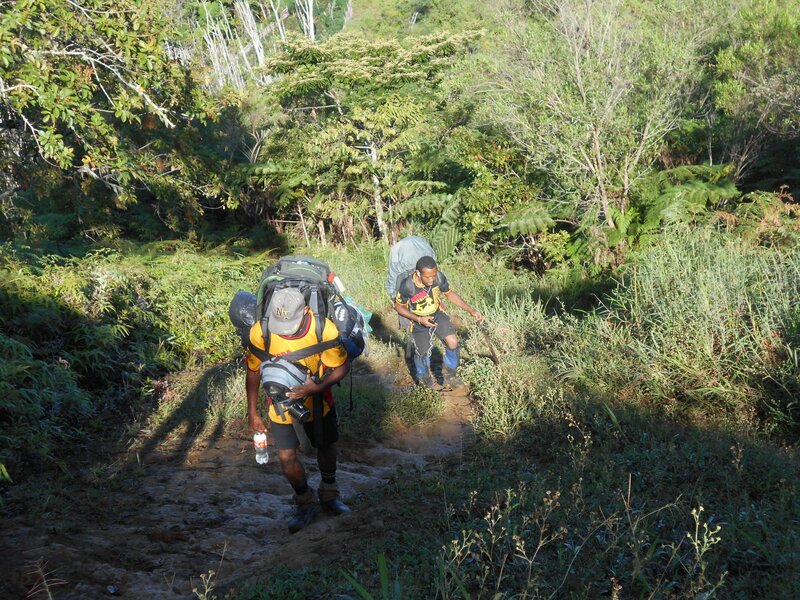 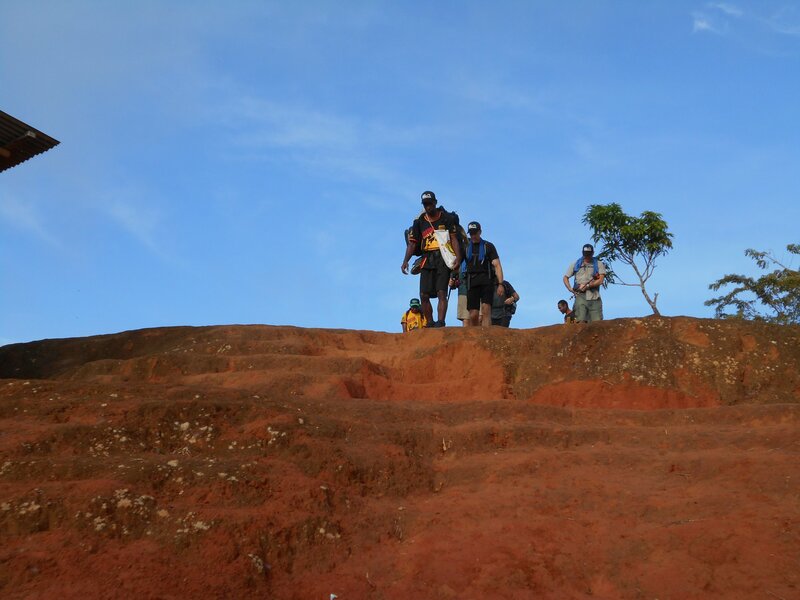 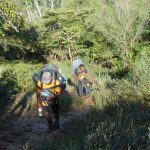 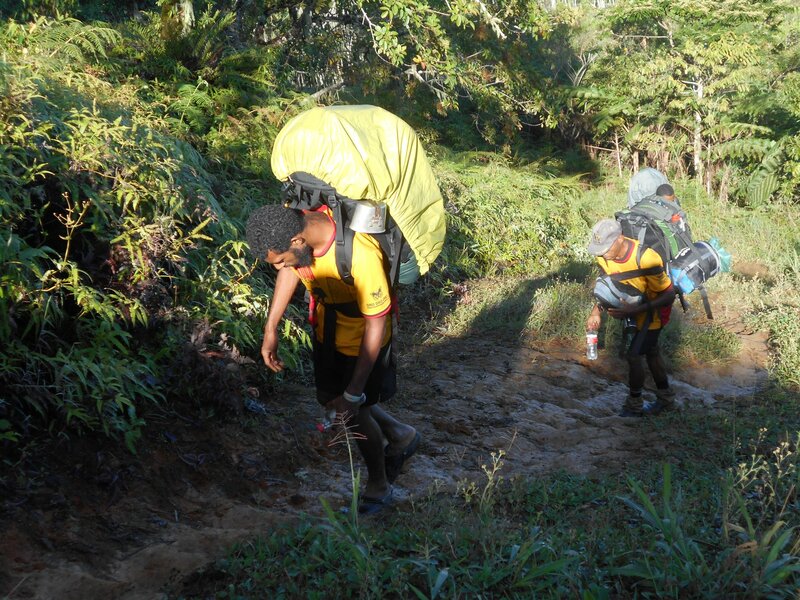 Its a tough walk up to Kagi so no doubt they have all had another hard day. 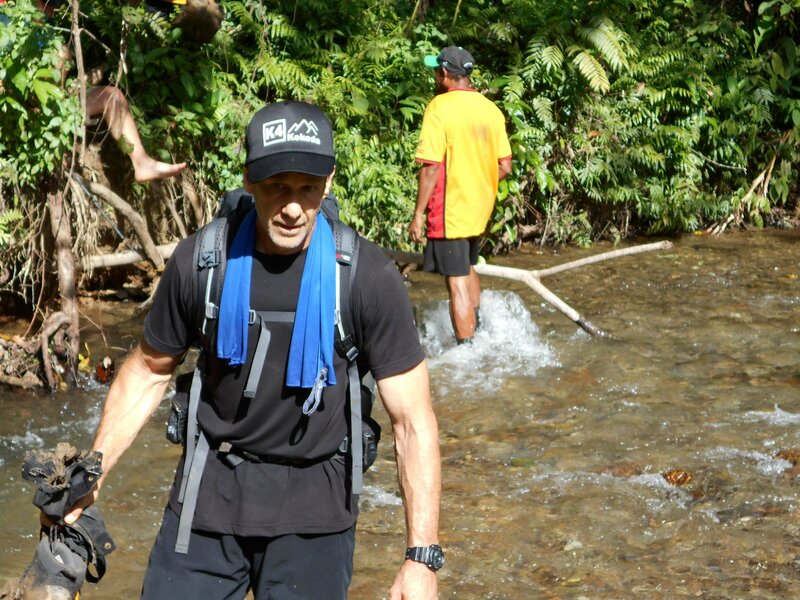 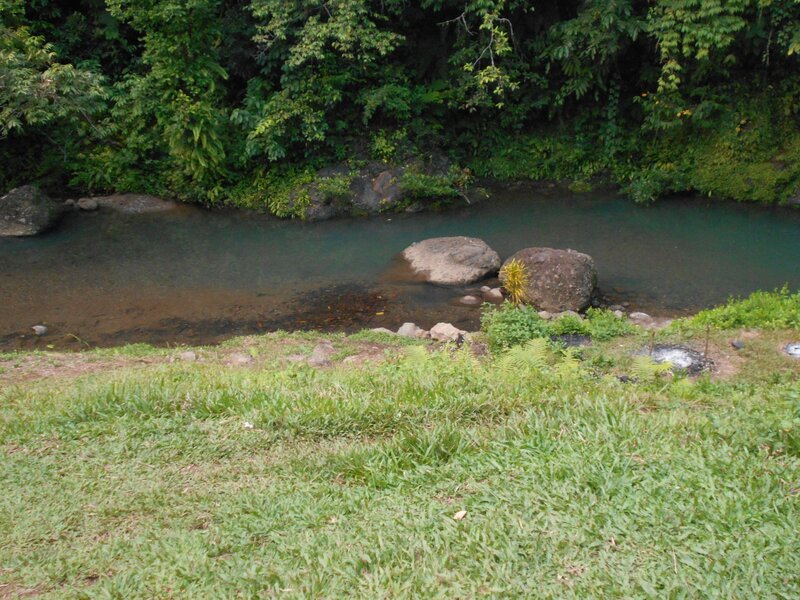 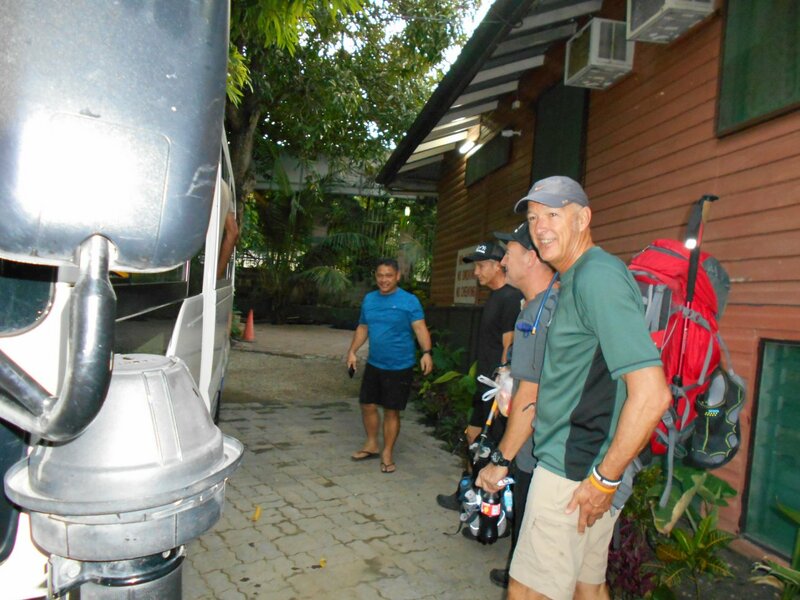 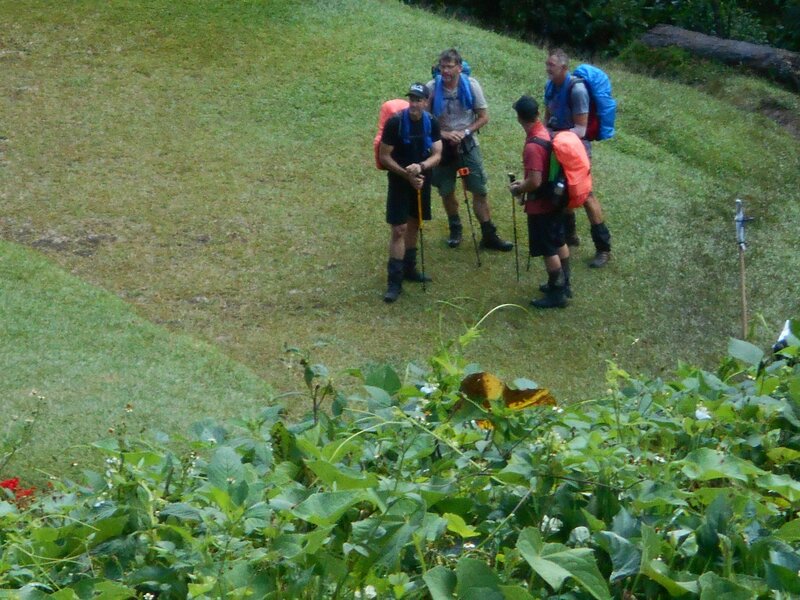 Trek 1144: Clement called around 2pm to say they had reached Eora Creek and that they were going to push forward to Alola for the night. 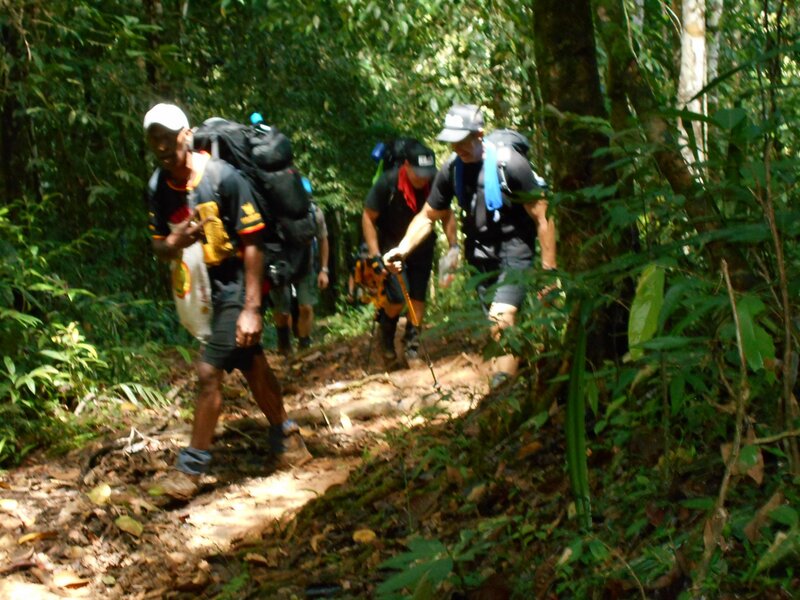 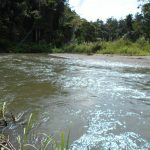 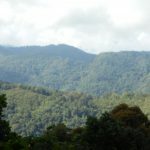 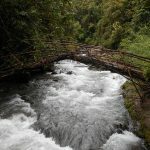 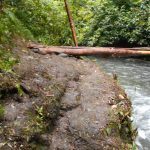 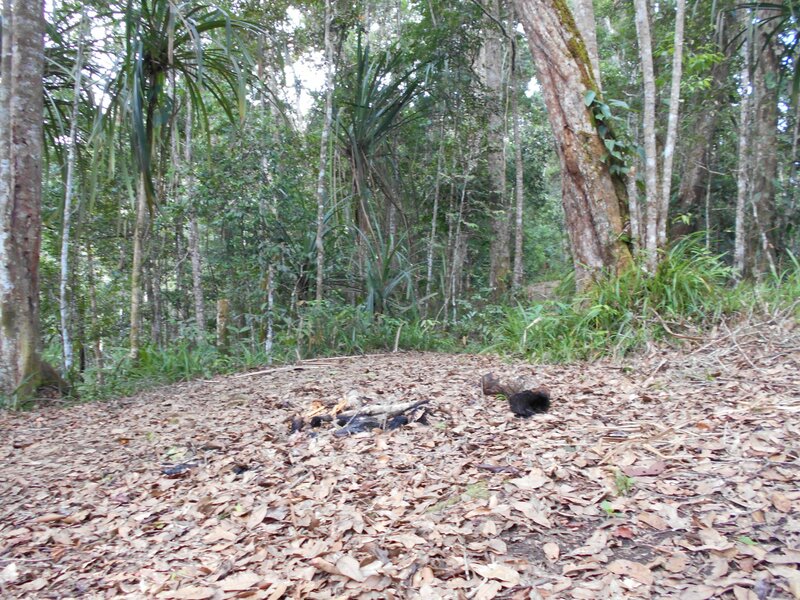 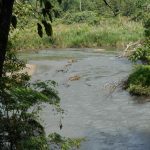 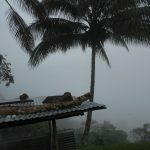 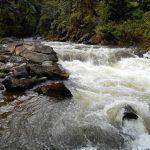 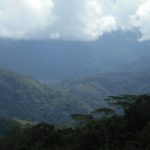 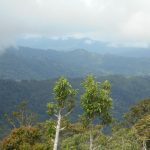 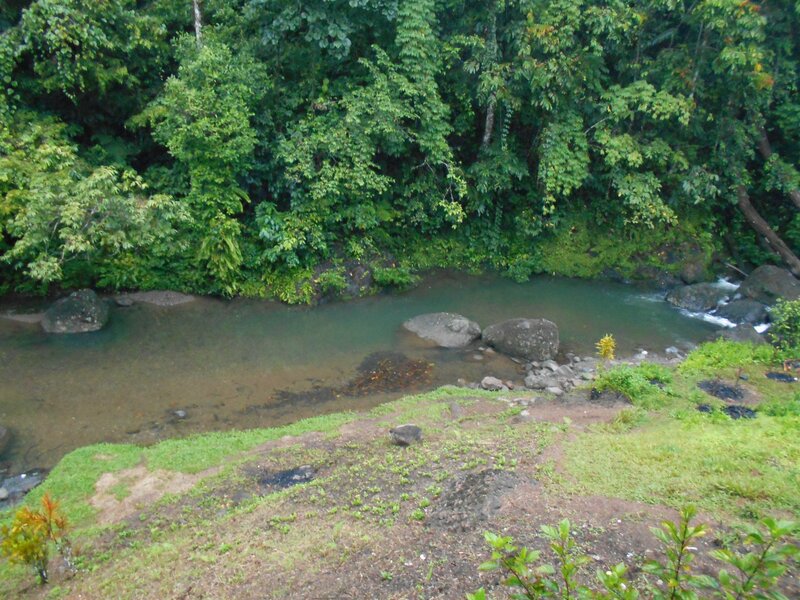 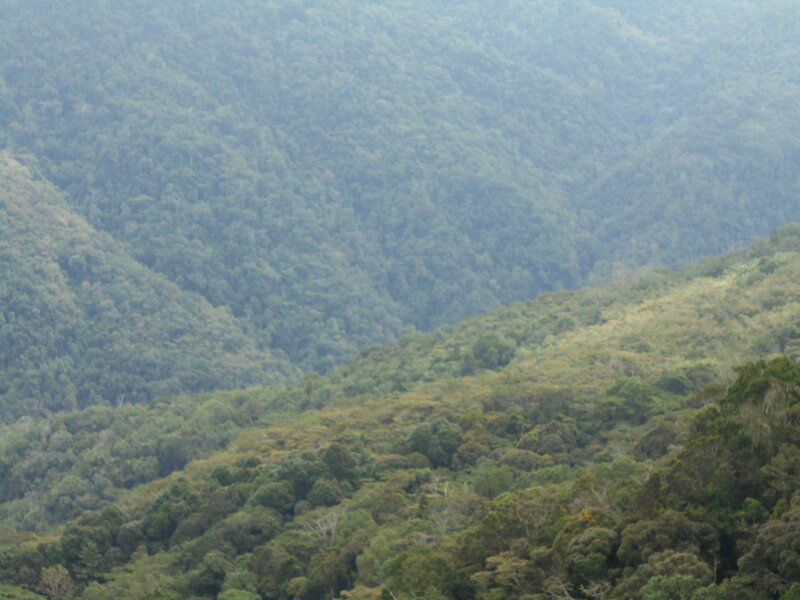 It was strongly suggested that they stop at Eora Creek to give a chance for the other two treks coming up the rear to catch up a little as the plan is for all of them to arrive in Kokoda and head down to Orohaven Pija together without them having to wait for too long for the others to arrive. 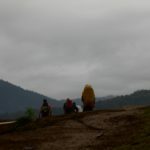 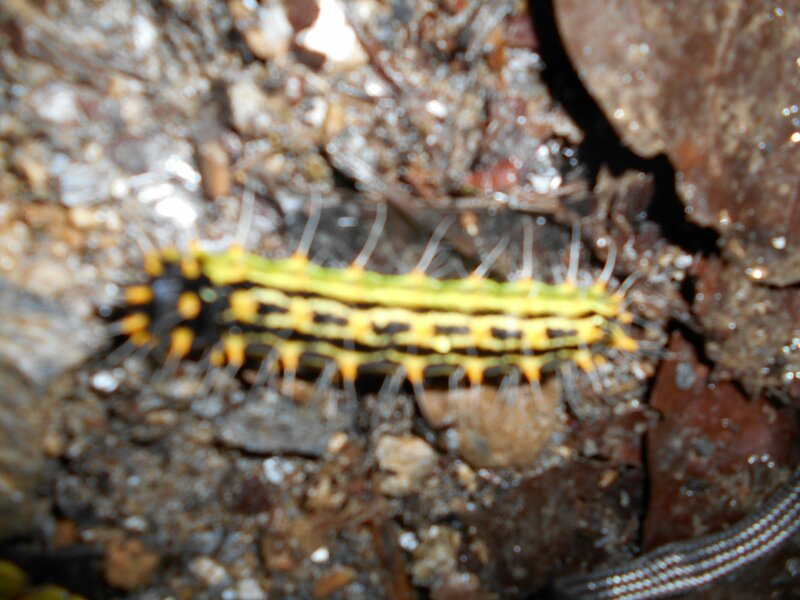 He said they are all fine and doing well but that the track was very wet! 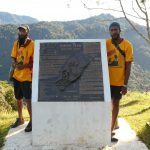 Tomorrow morning they will reach Isurava Memorial. 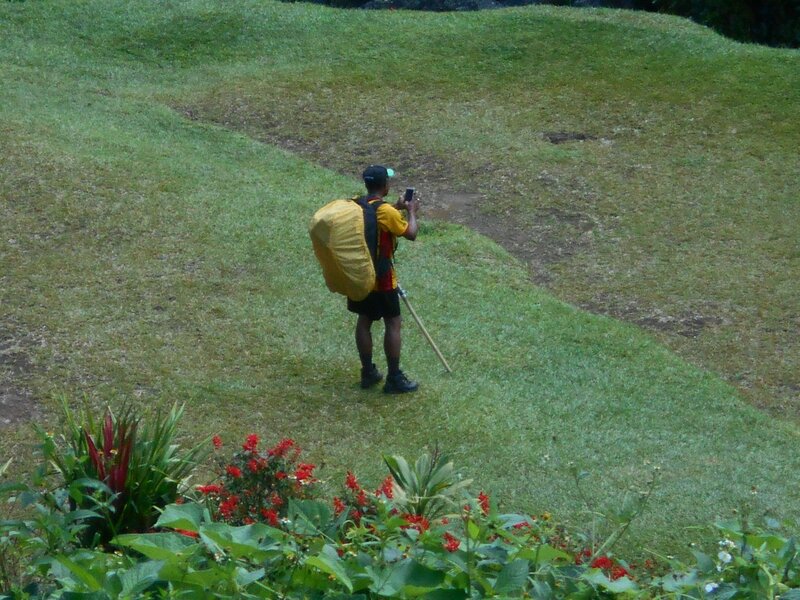 Trek 1144: Have not heard from Clement today. 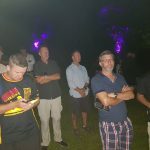 Last night it has been confirmed that they overnighted at Alola. 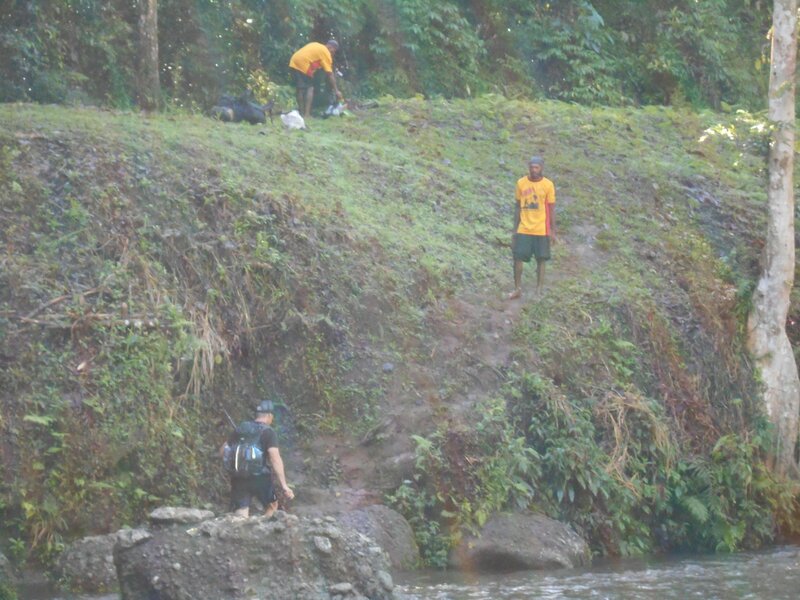 Suspect they are somewhere around Isurava Village or even further down at Deniki. 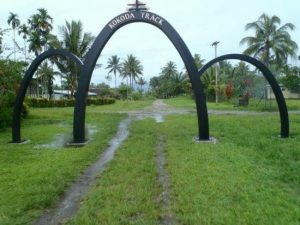 Either way, they will walk off the track hours ahead of the other two groups unless they start late and spend some time swimming at Hoi. 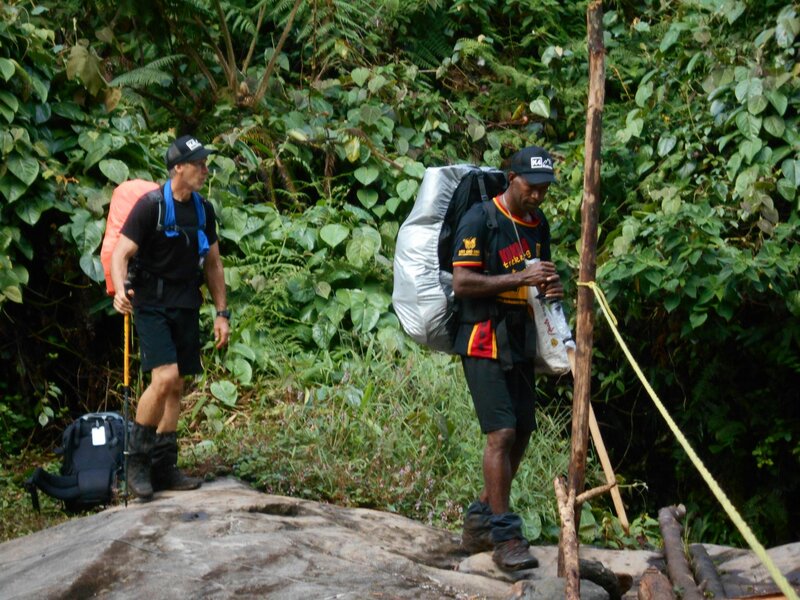 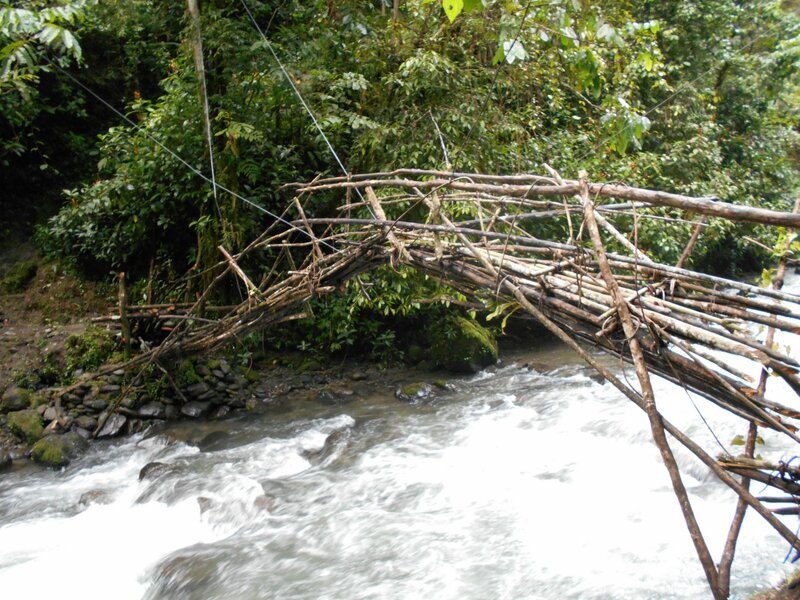 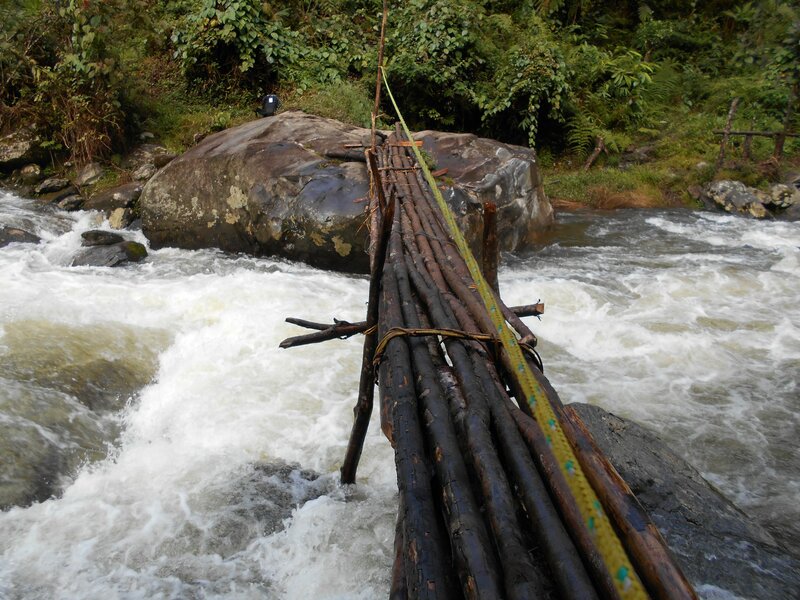 Will update once I hear from Clement or one of the porters assigned to this trek. 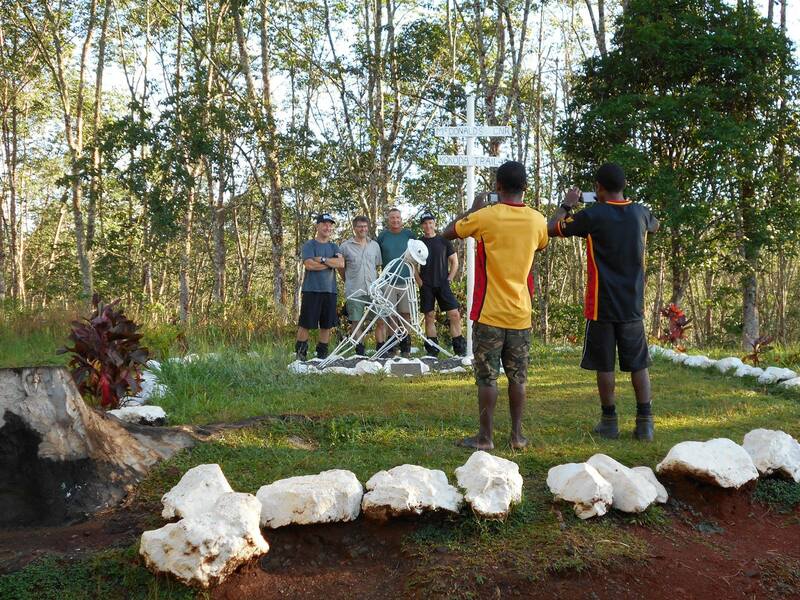 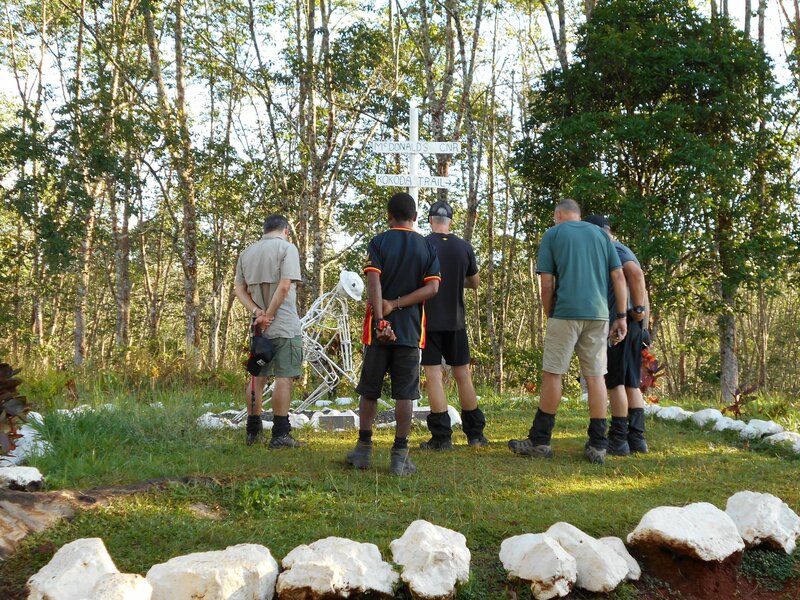 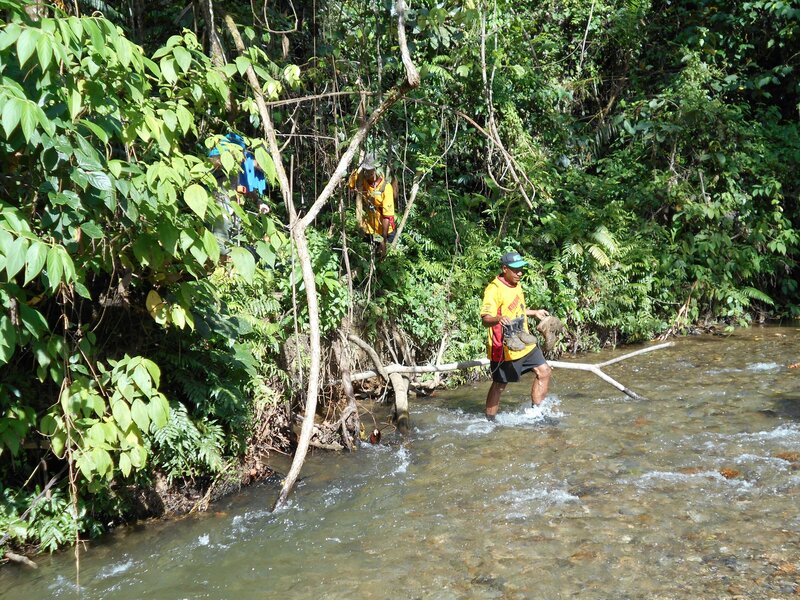 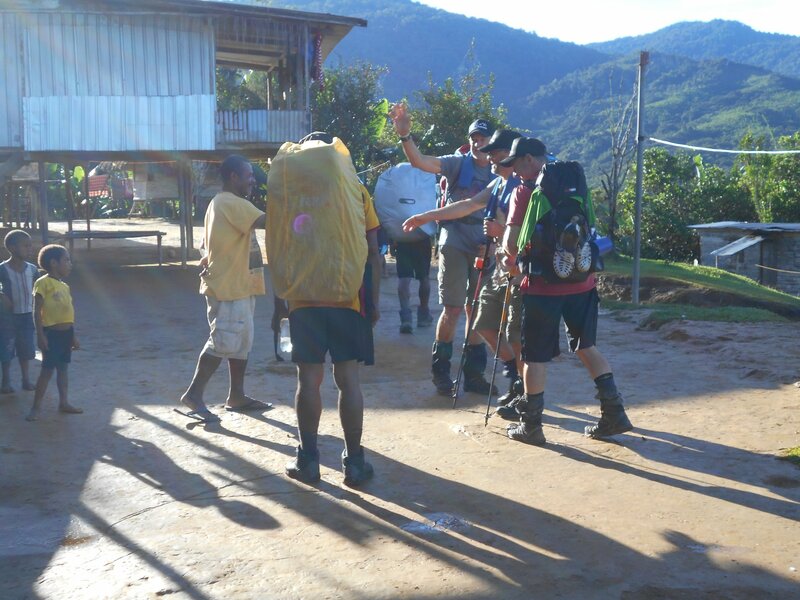 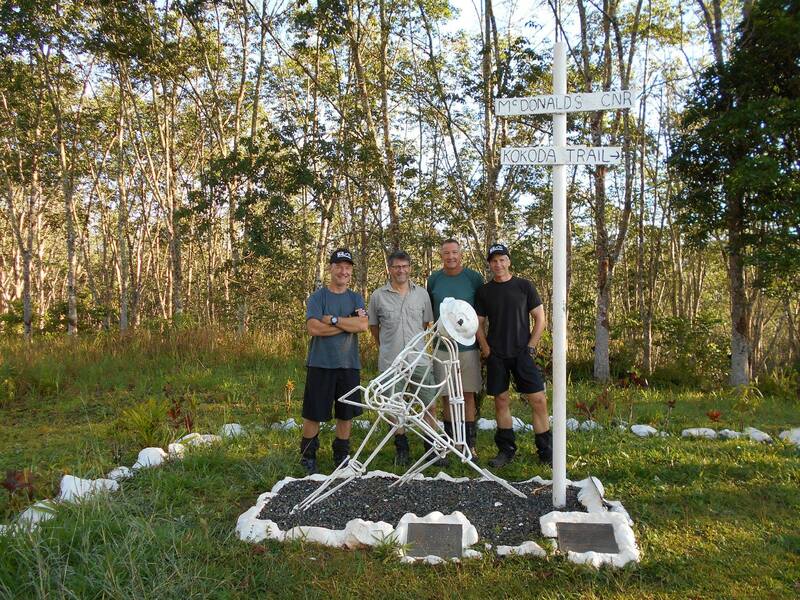 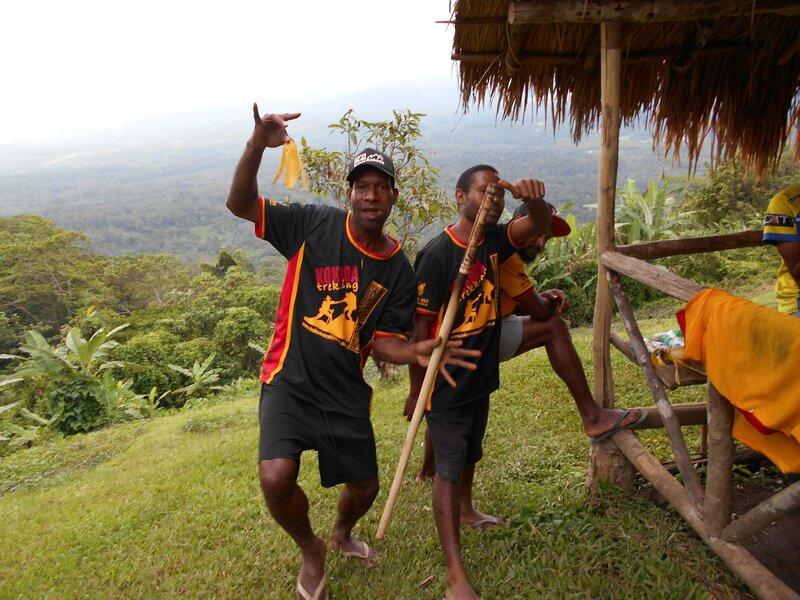 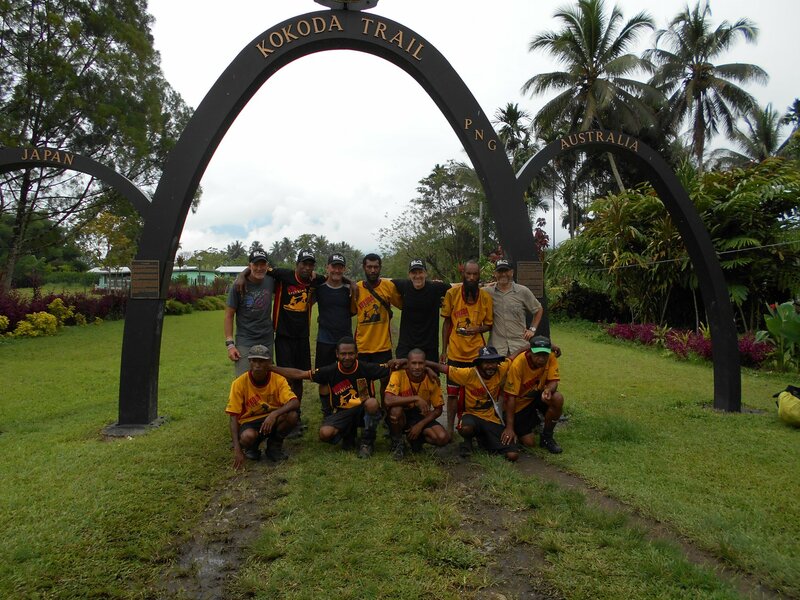 As you can see in the photograph below, Kokoda is not too far away when they can celebrate a successful crossing of the track. 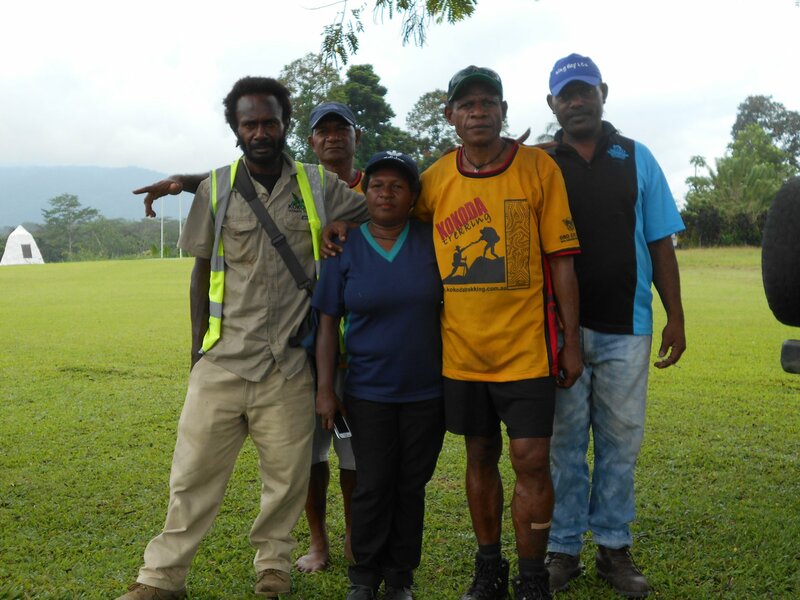 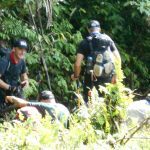 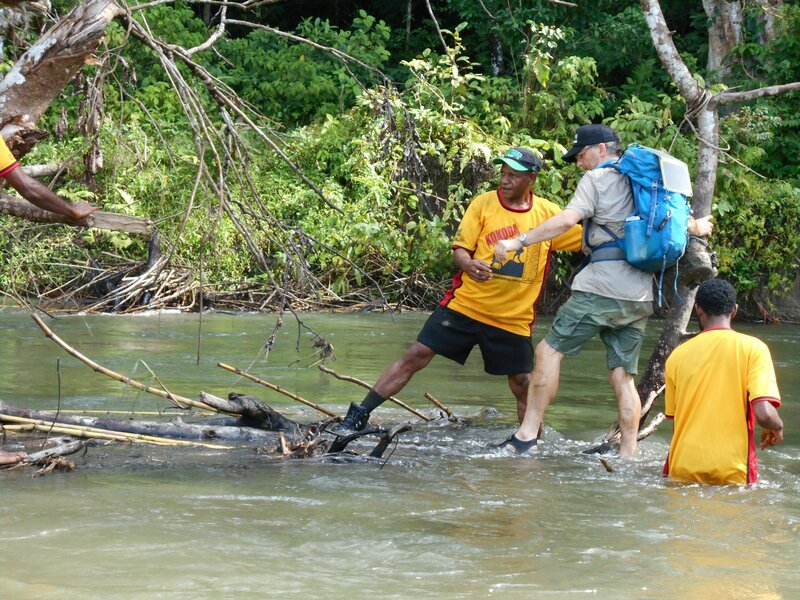 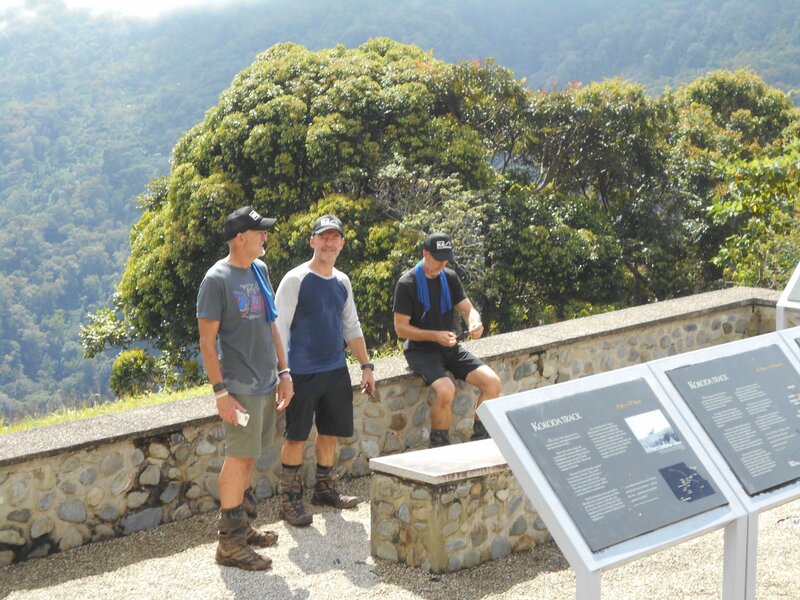 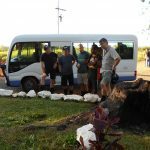 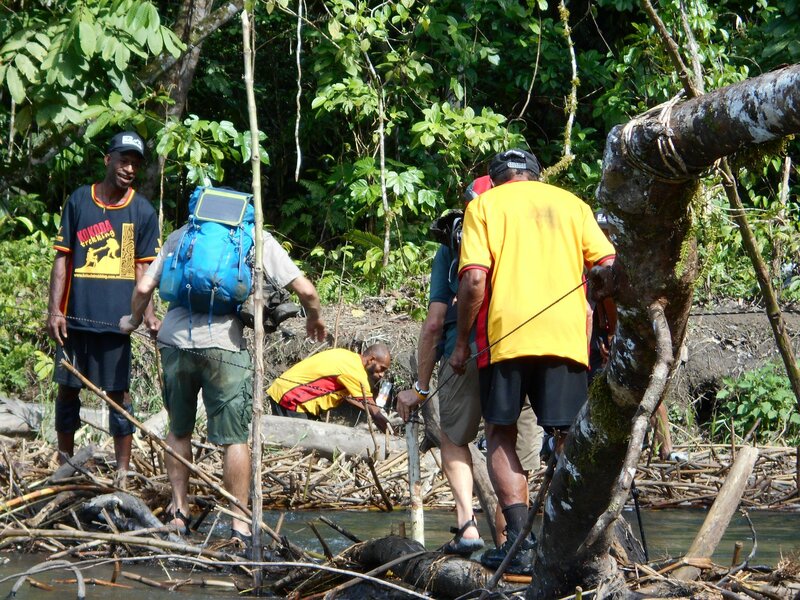 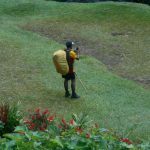 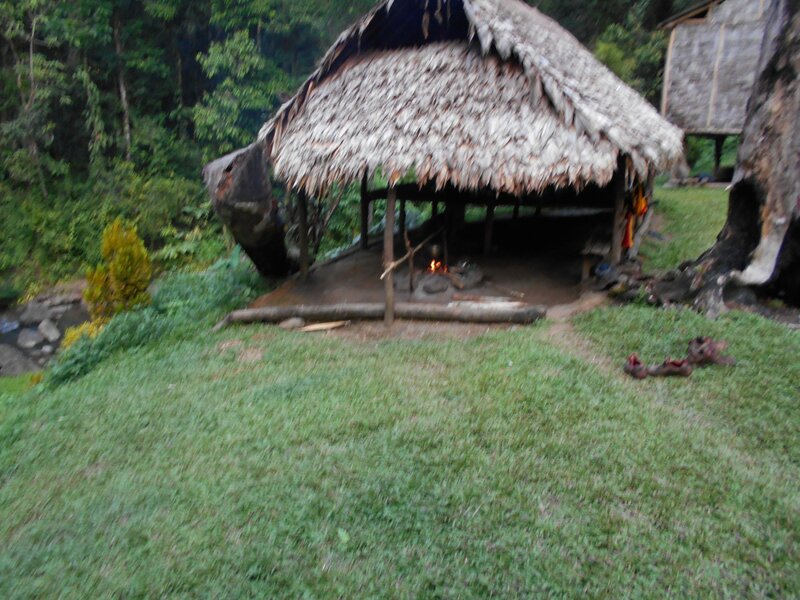 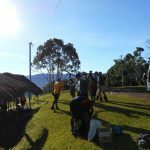 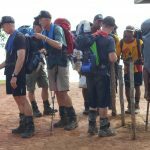 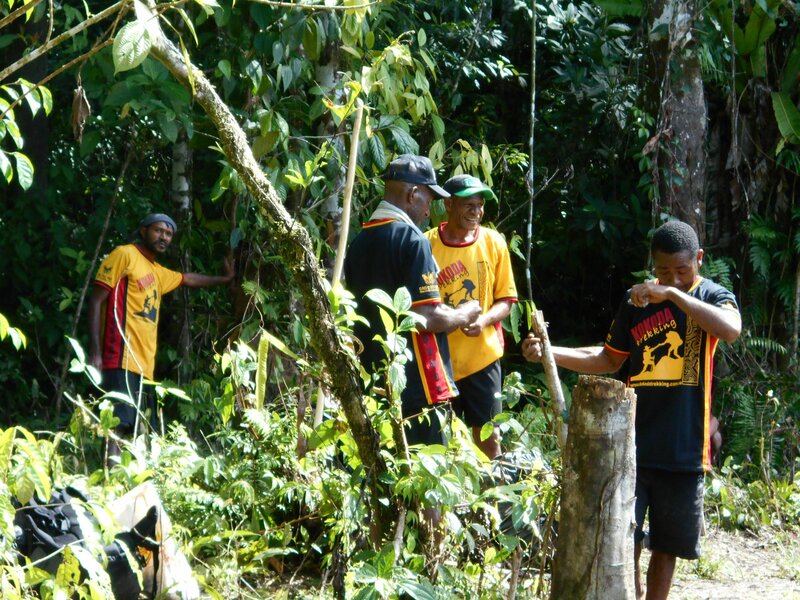 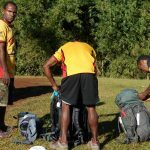 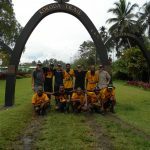 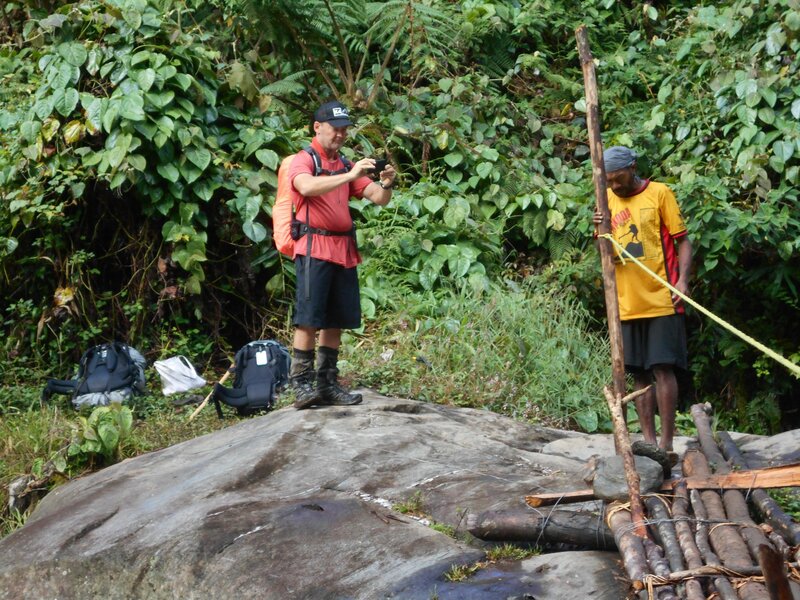 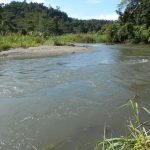 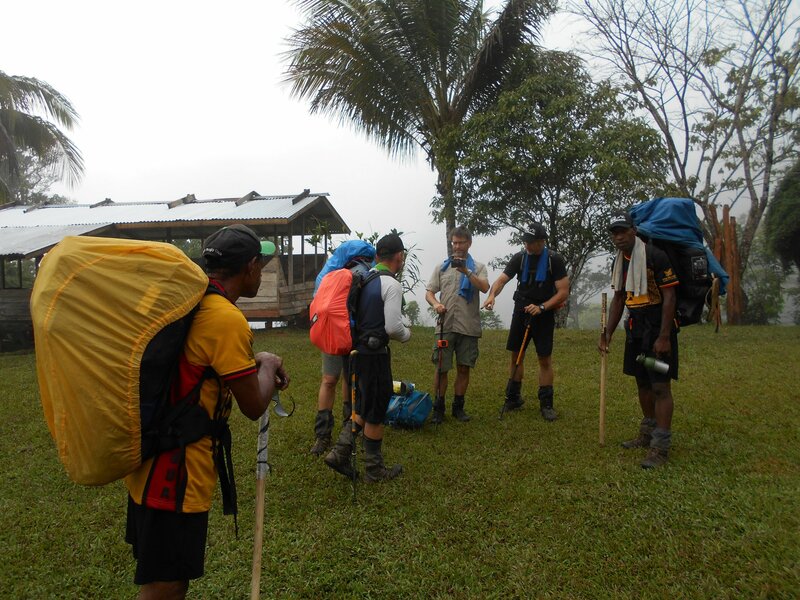 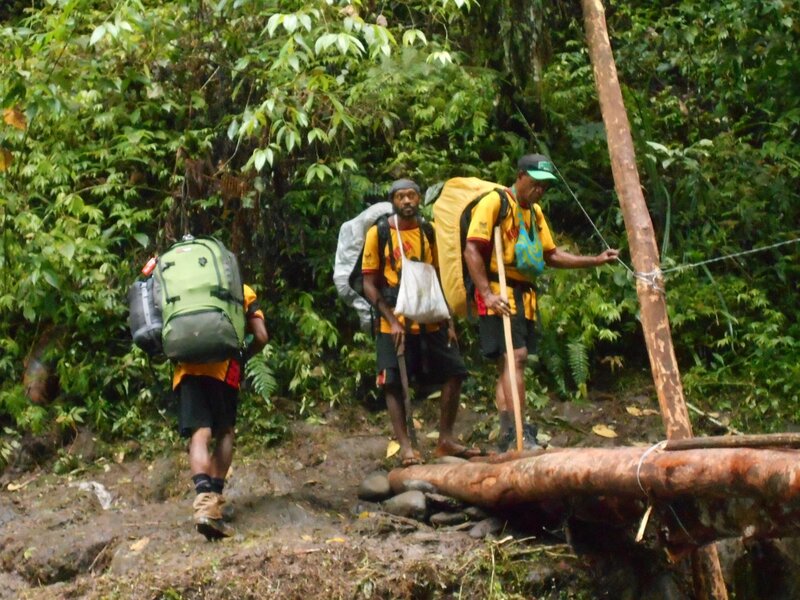 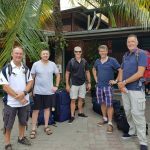 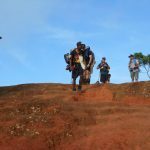 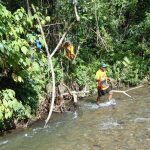 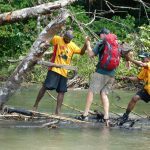 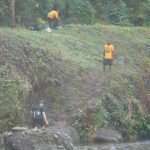 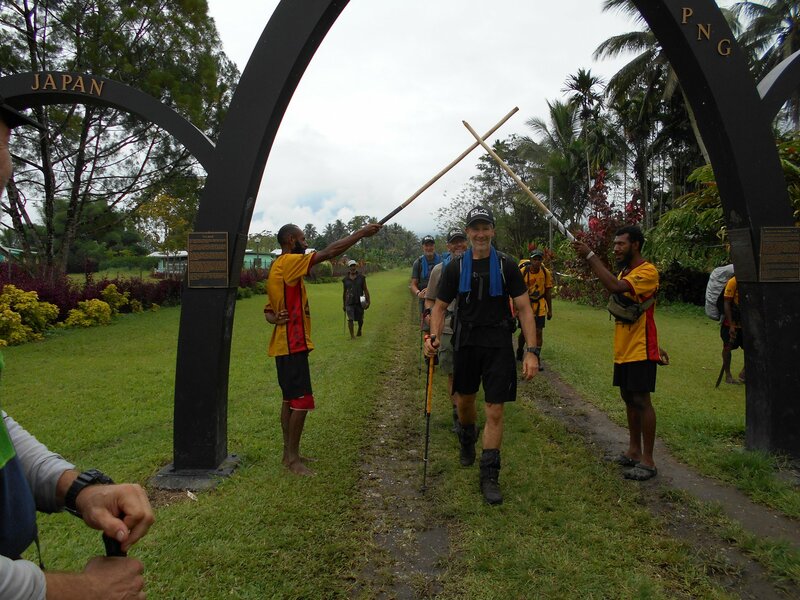 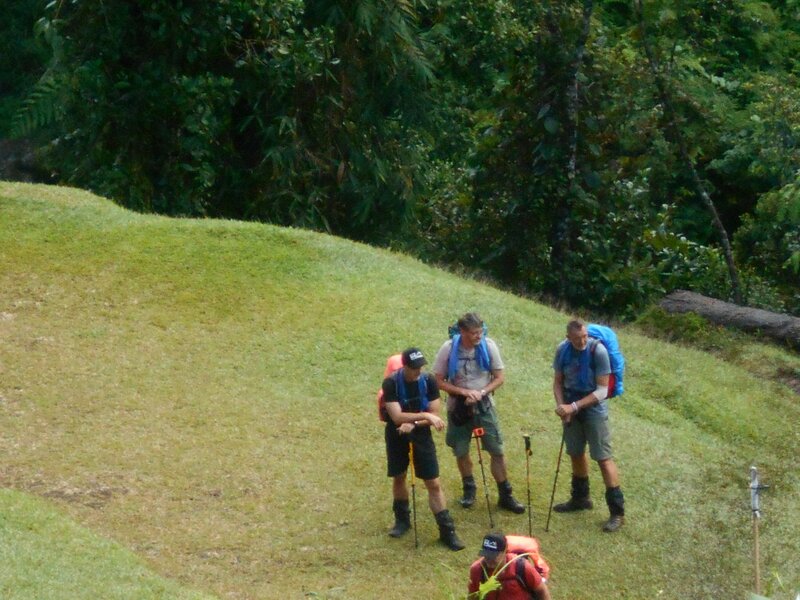 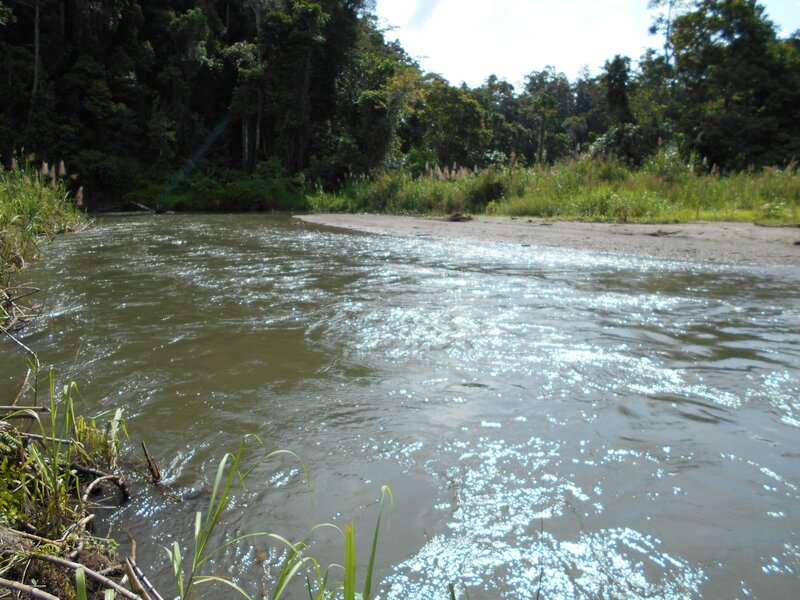 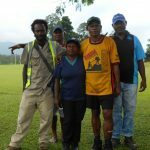 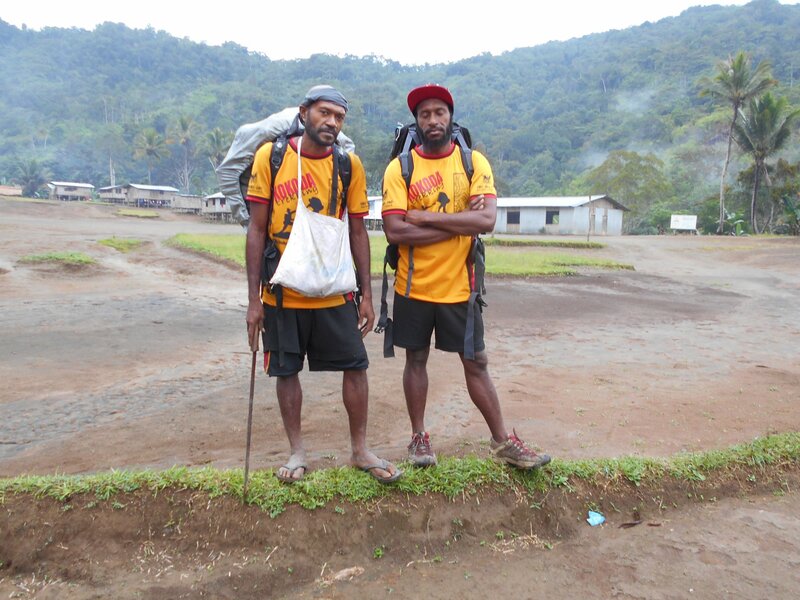 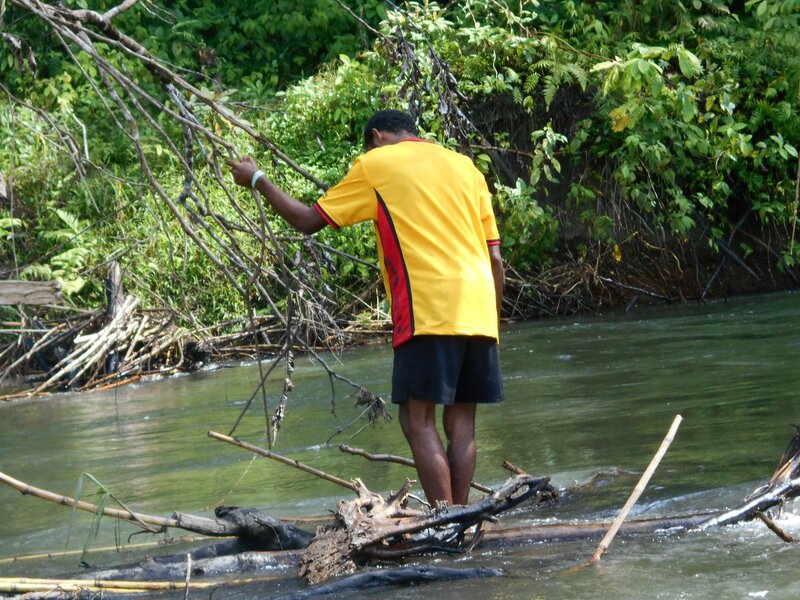 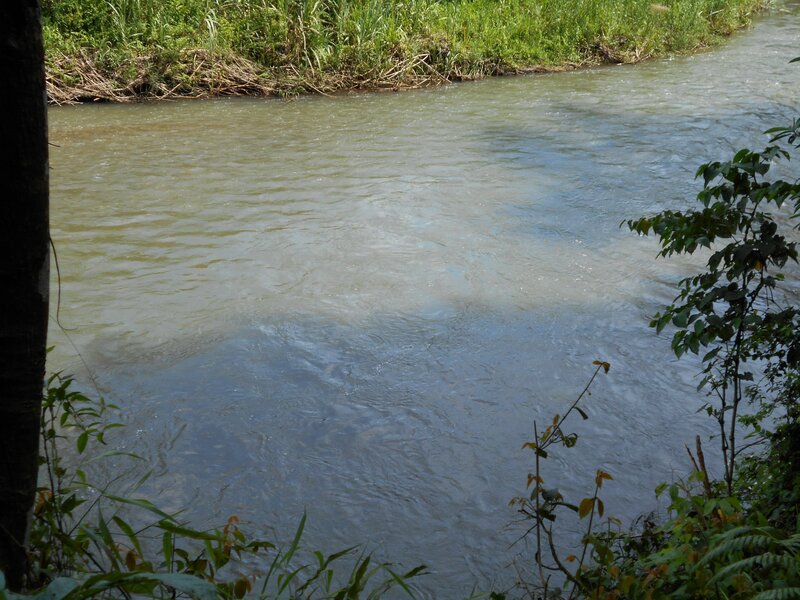 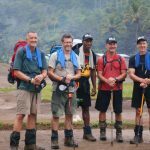 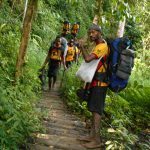 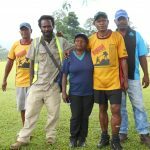 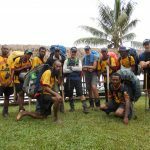 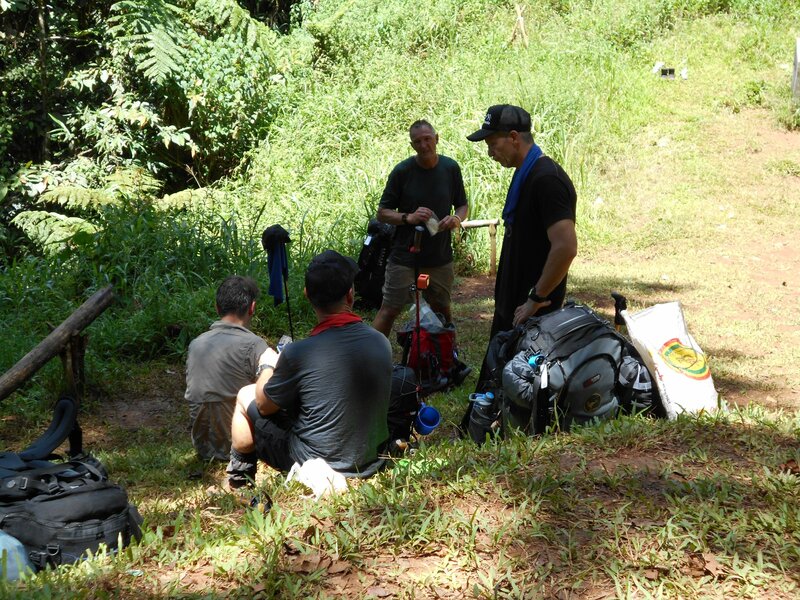 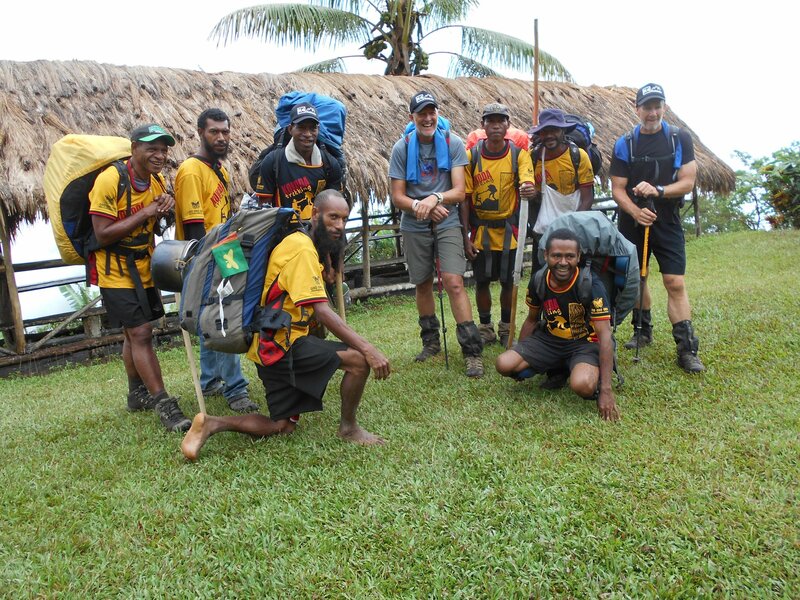 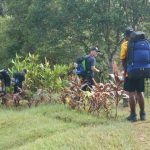 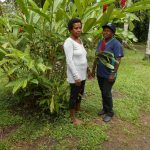 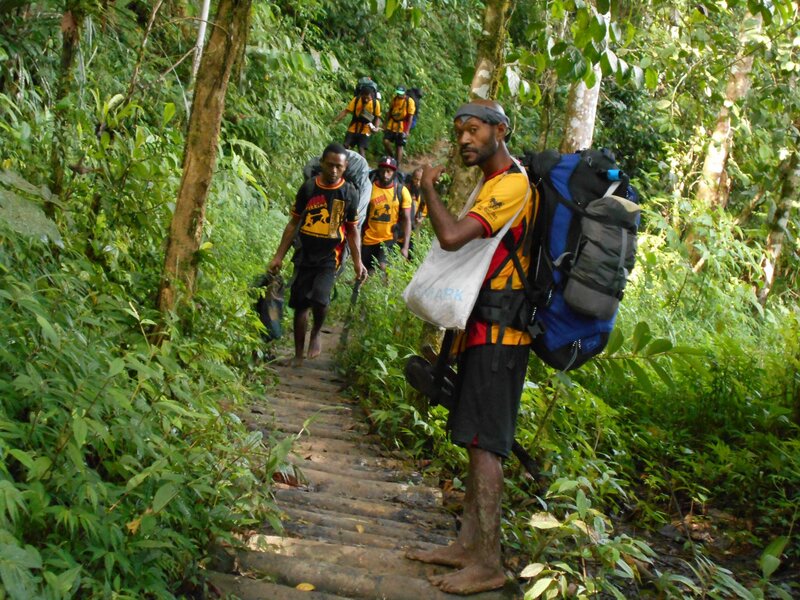 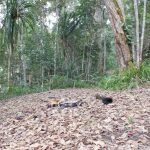 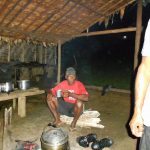 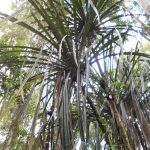 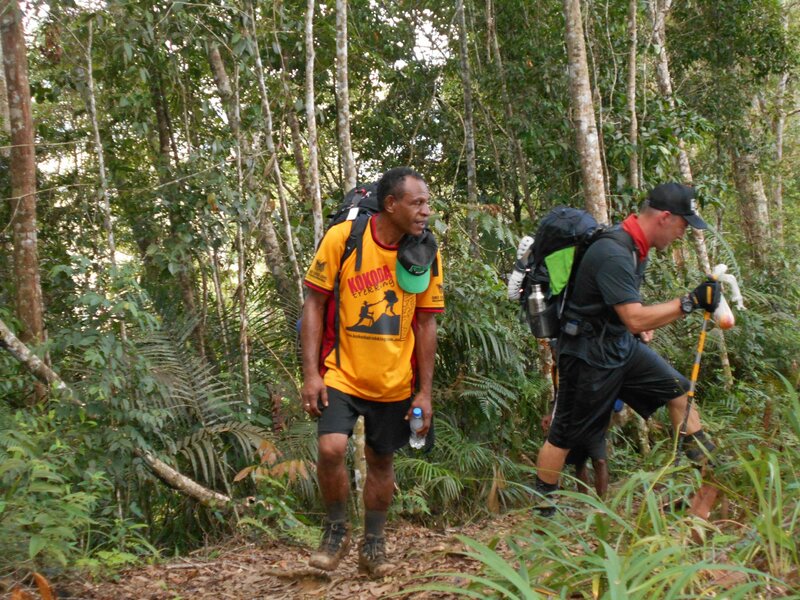 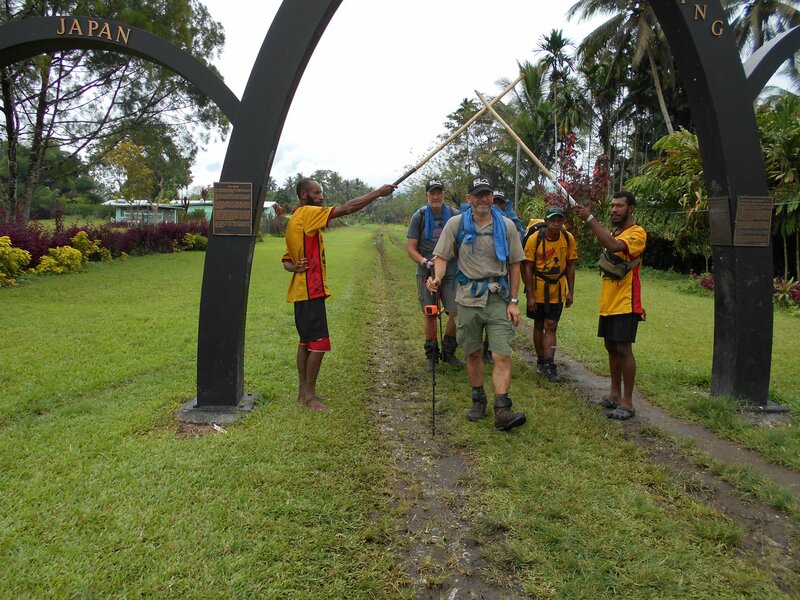 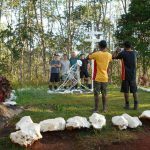 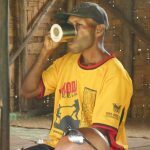 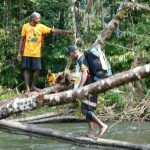 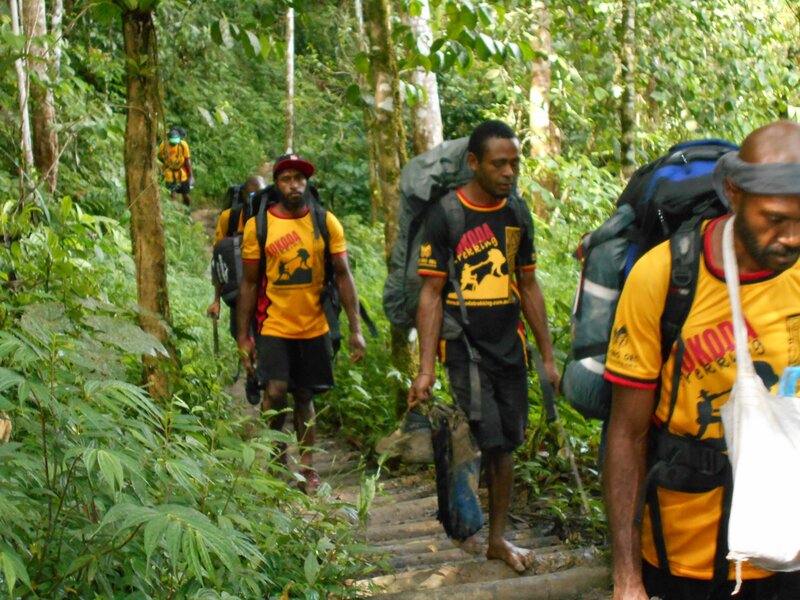 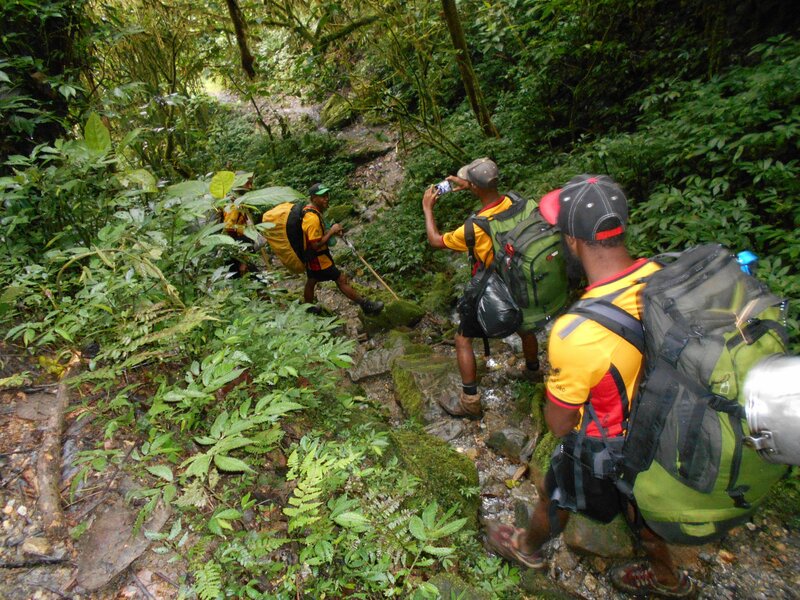 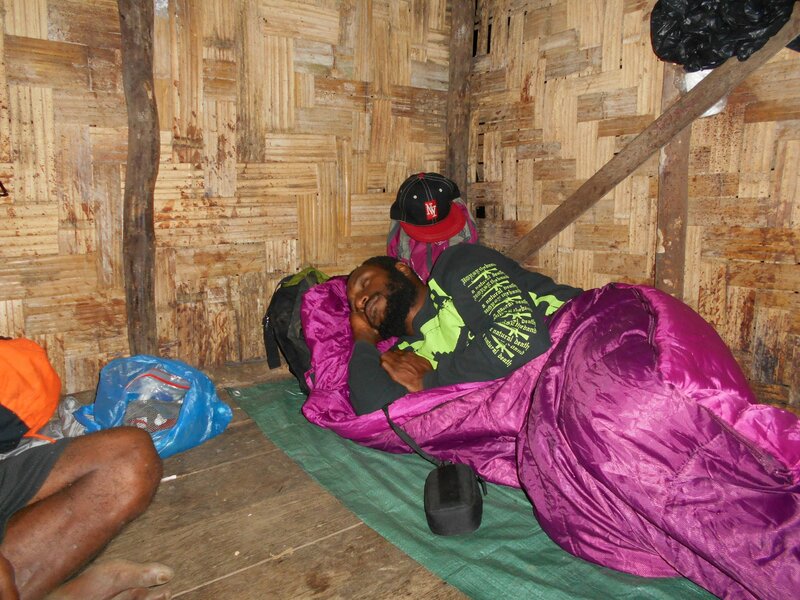 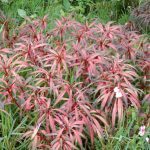 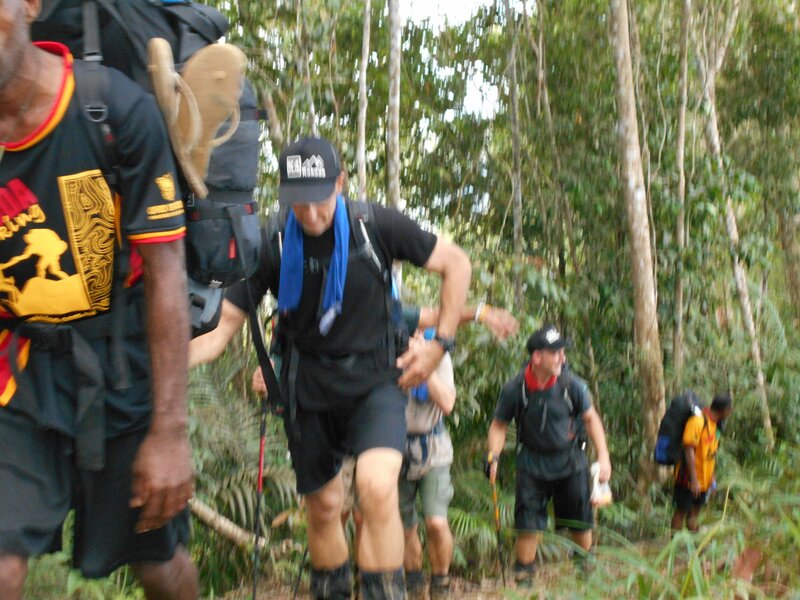 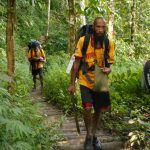 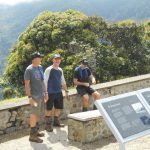 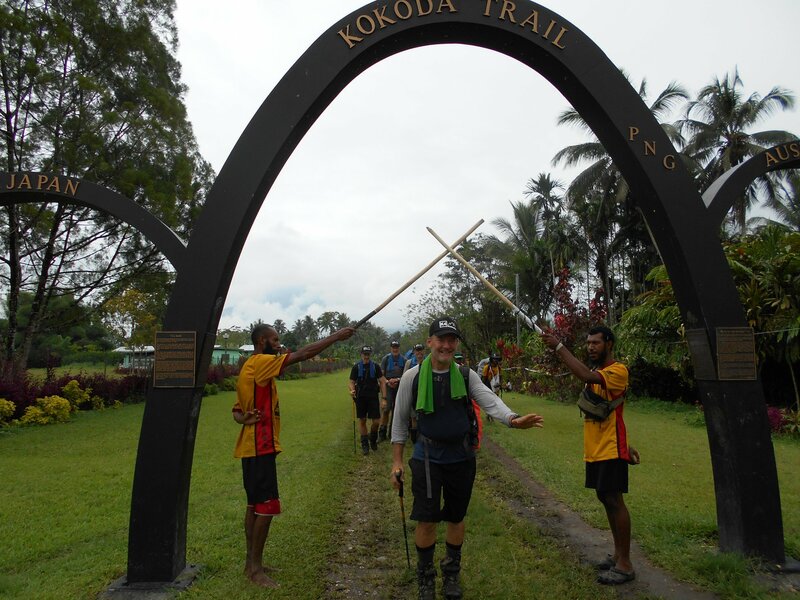 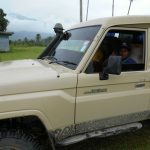 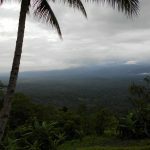 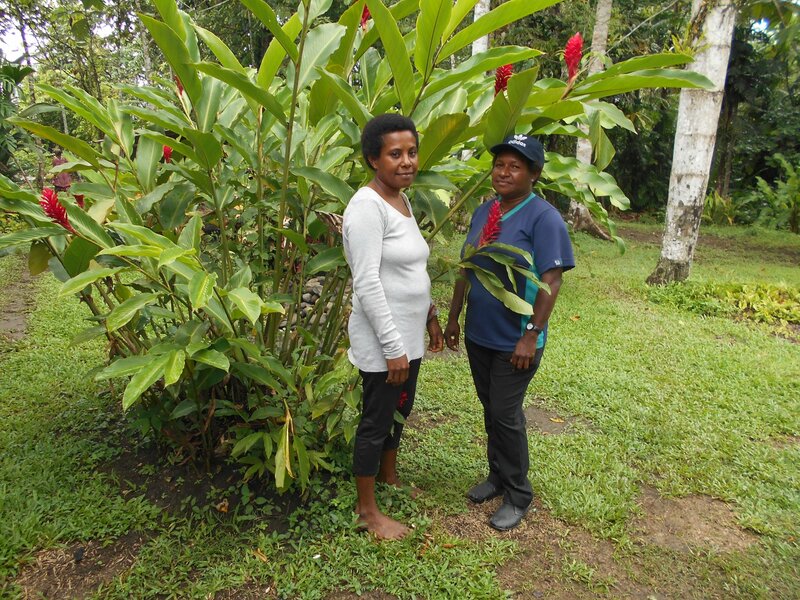 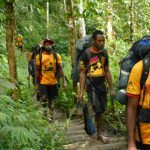 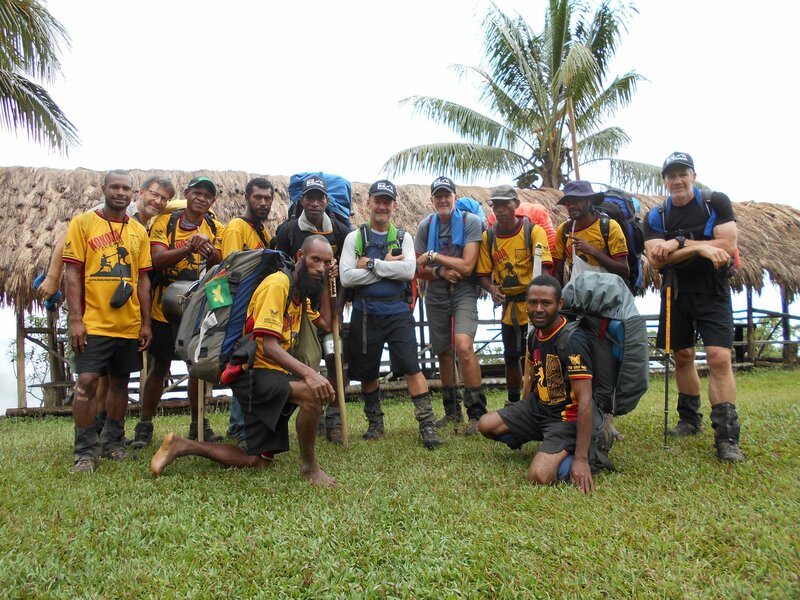 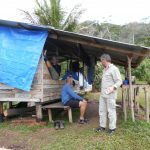 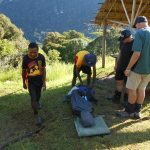 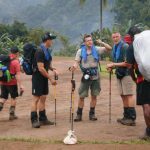 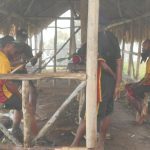 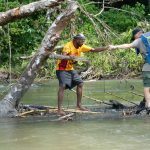 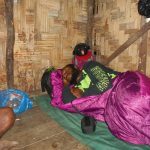 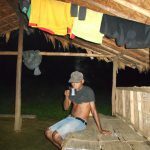 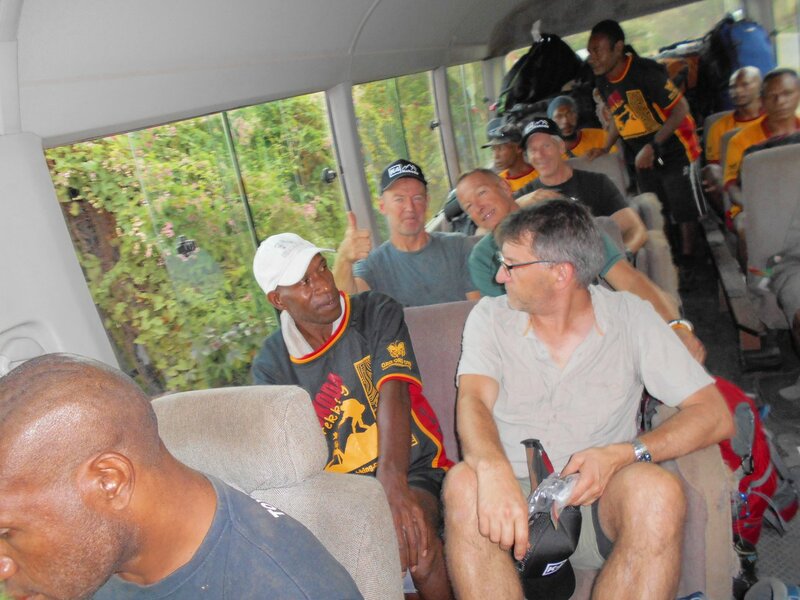 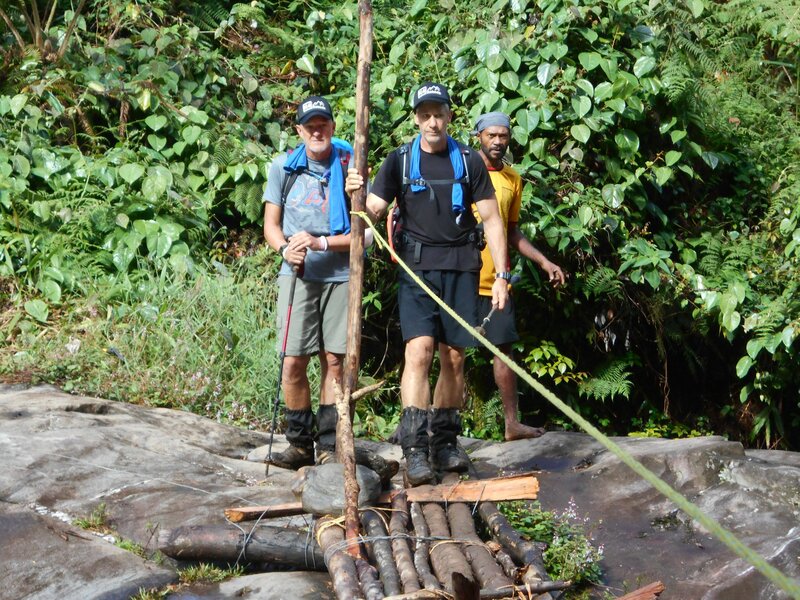 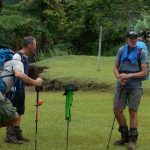 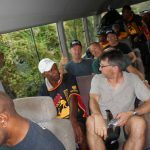 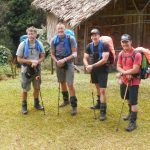 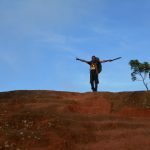 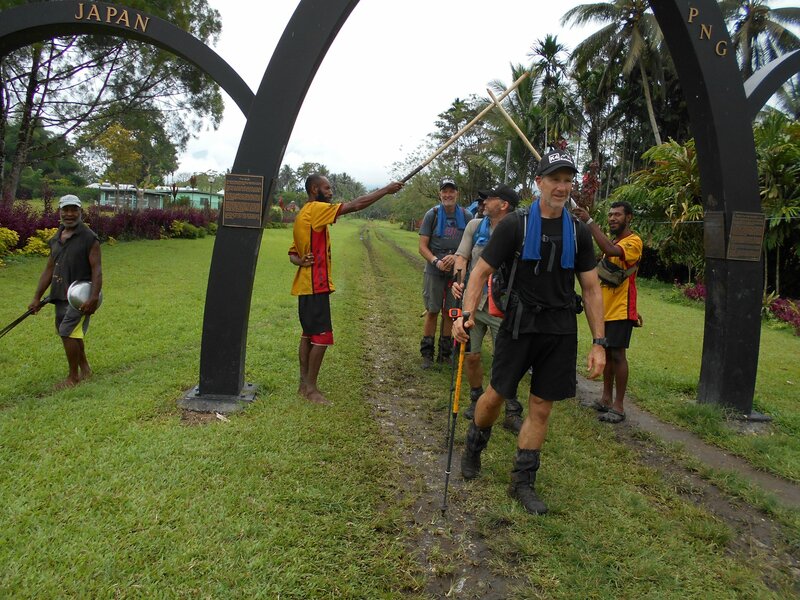 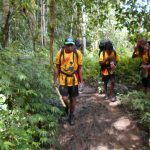 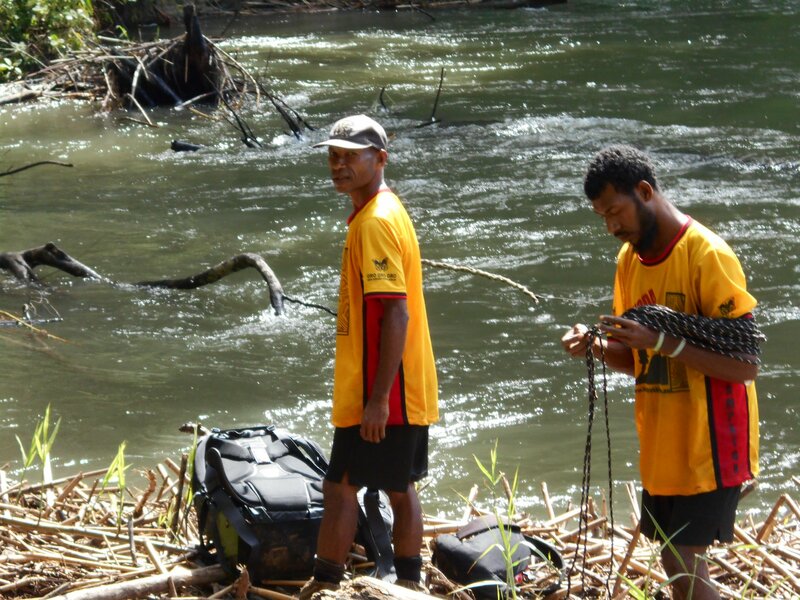 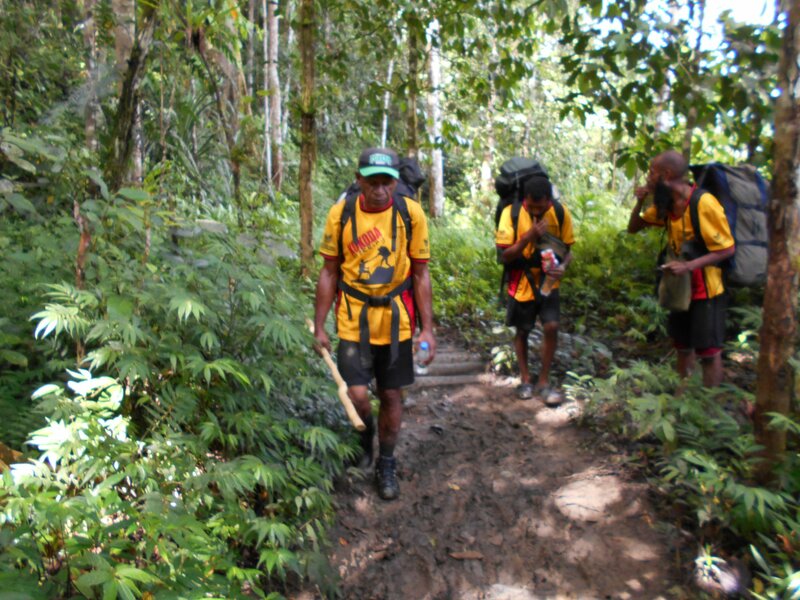 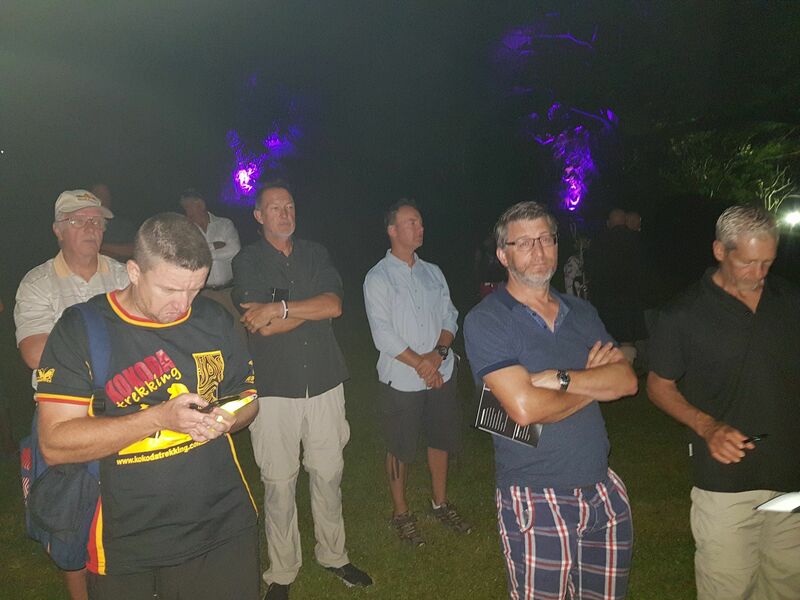 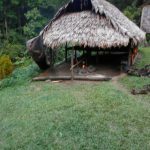 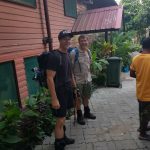 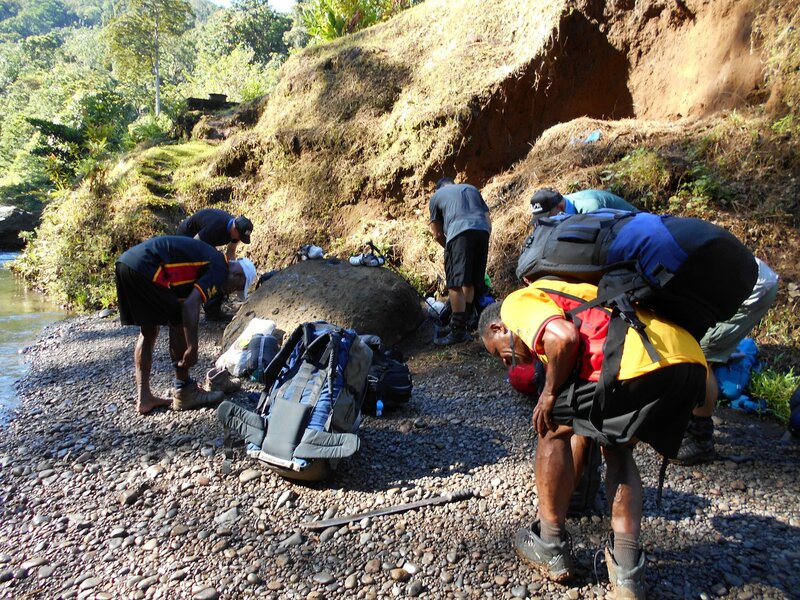 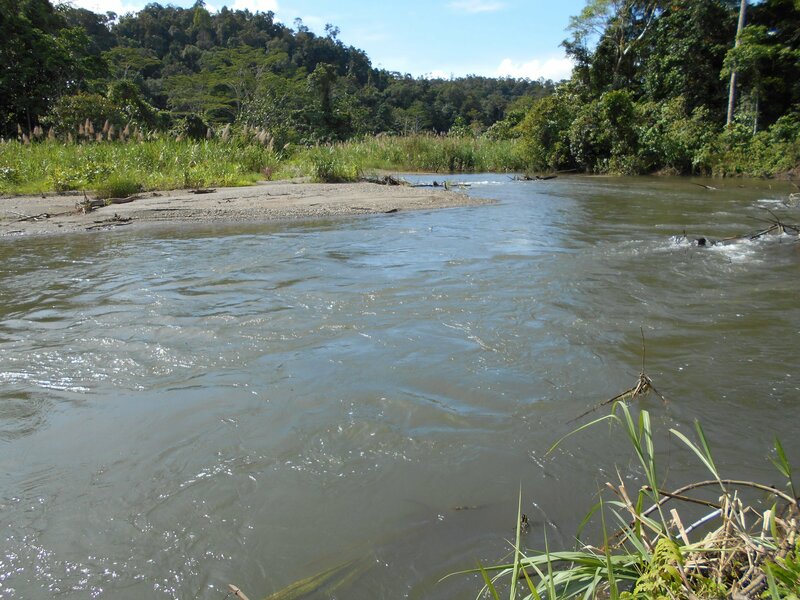 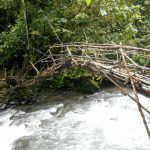 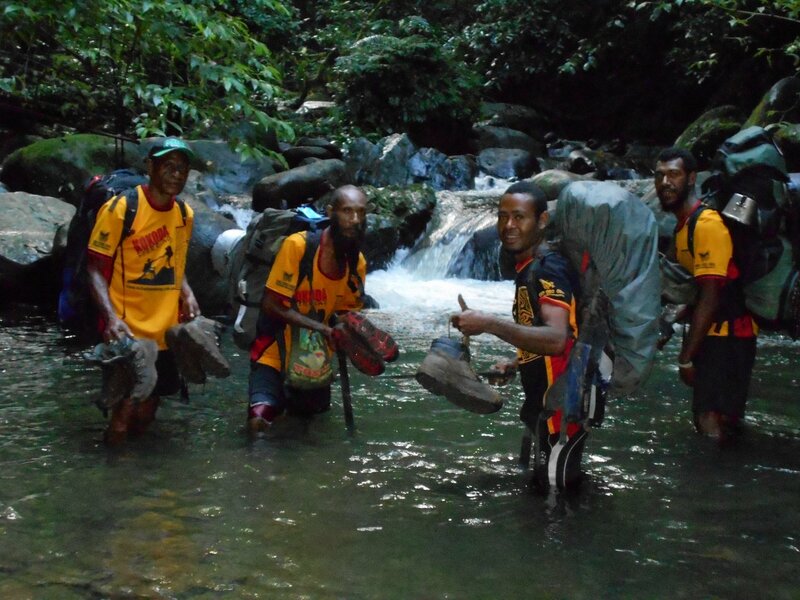 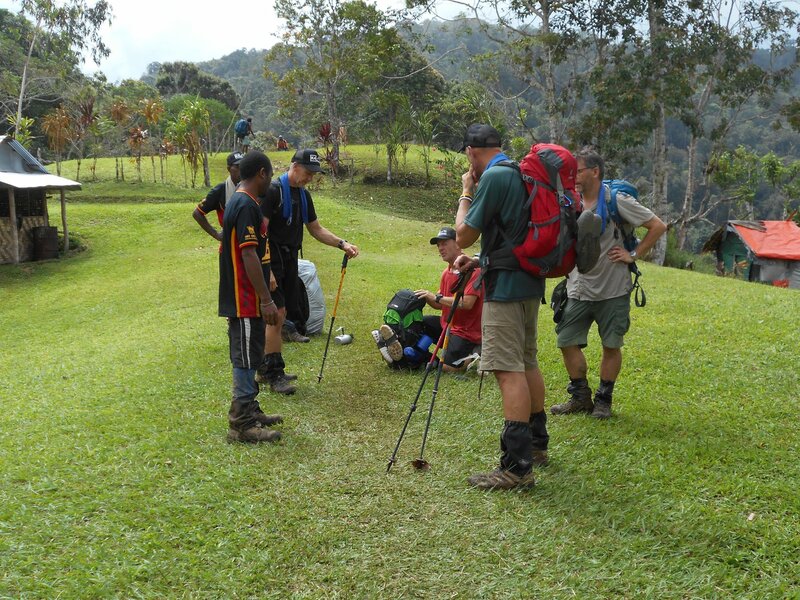 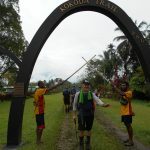 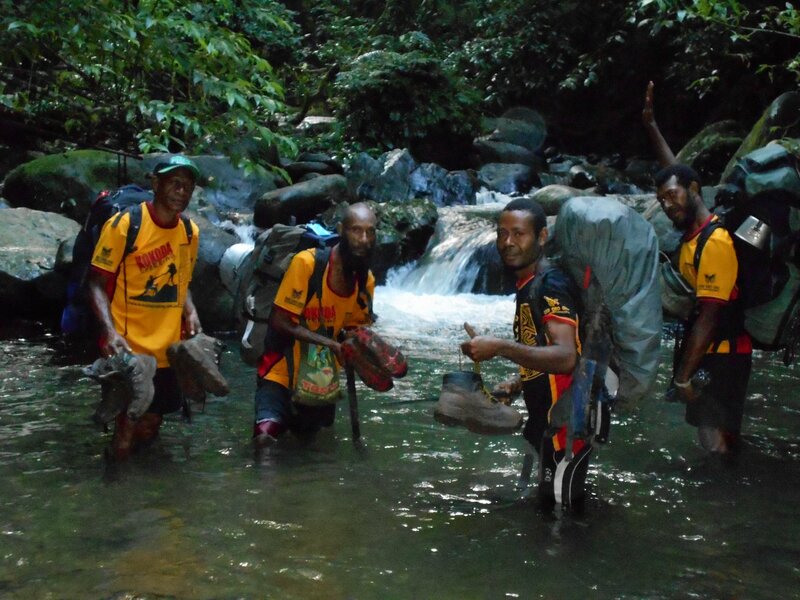 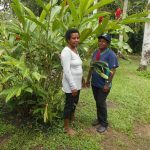 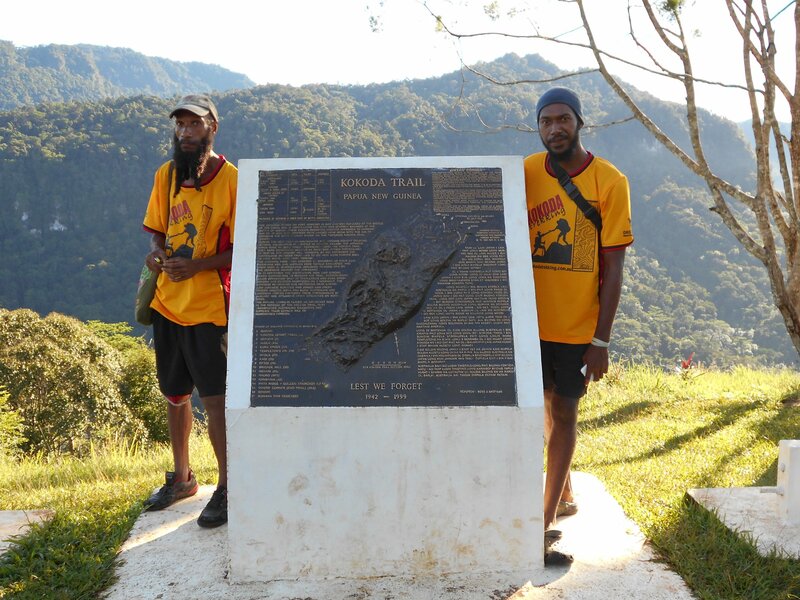 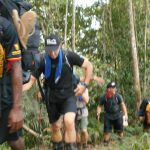 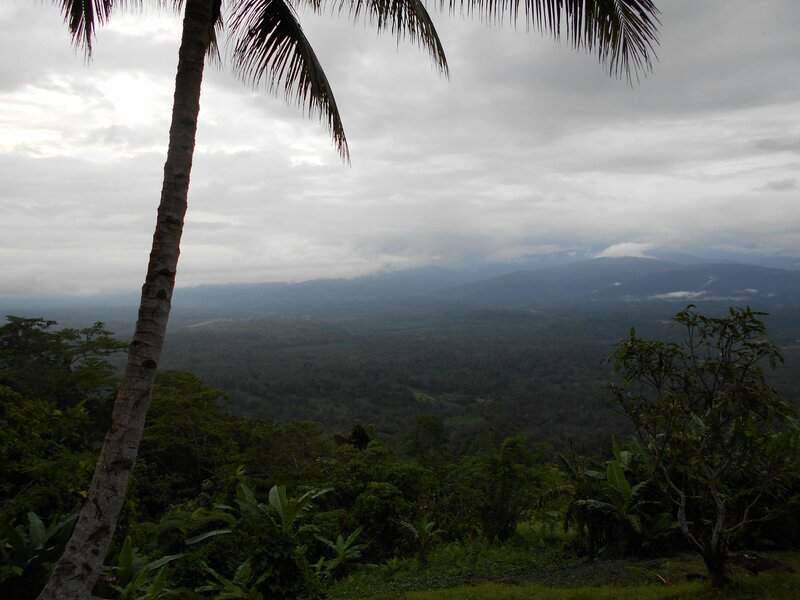 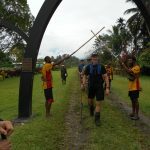 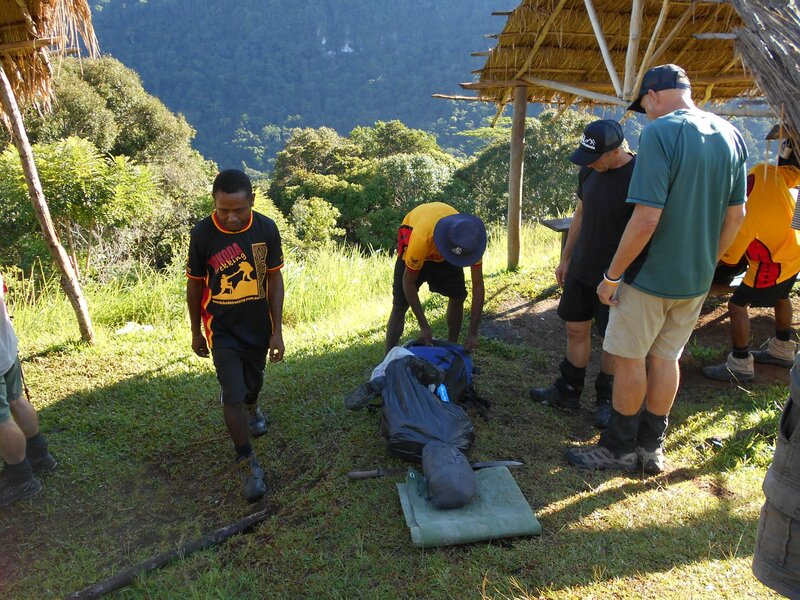 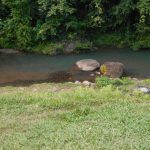 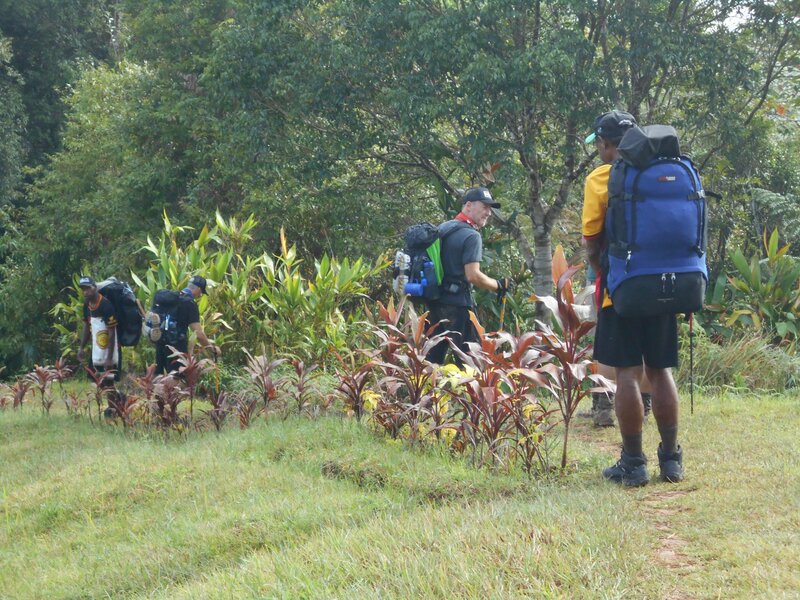 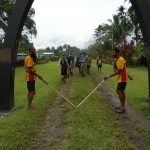 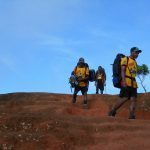 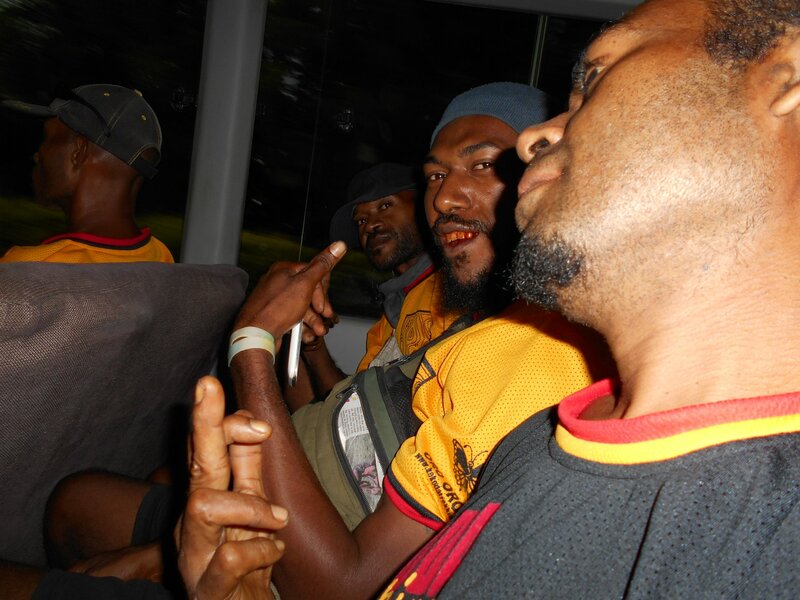 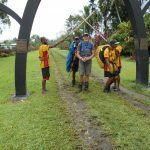 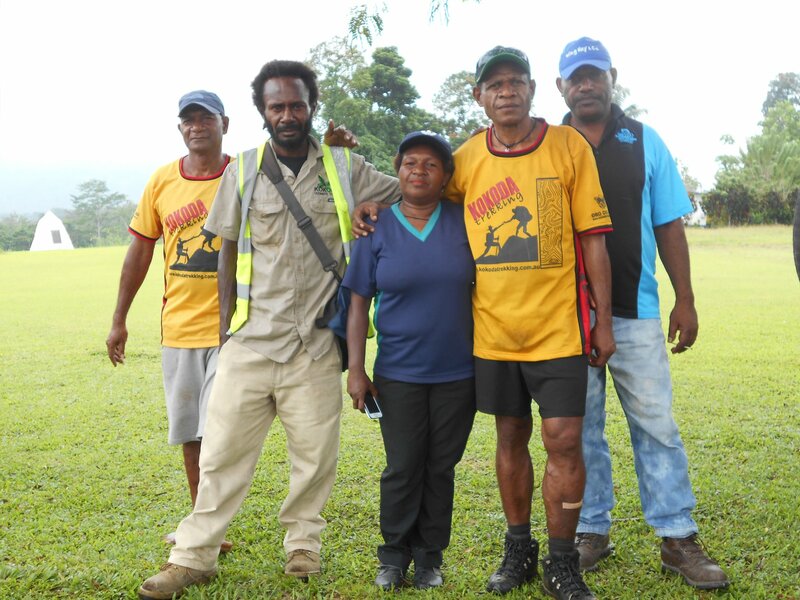 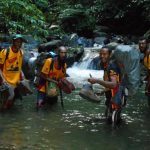 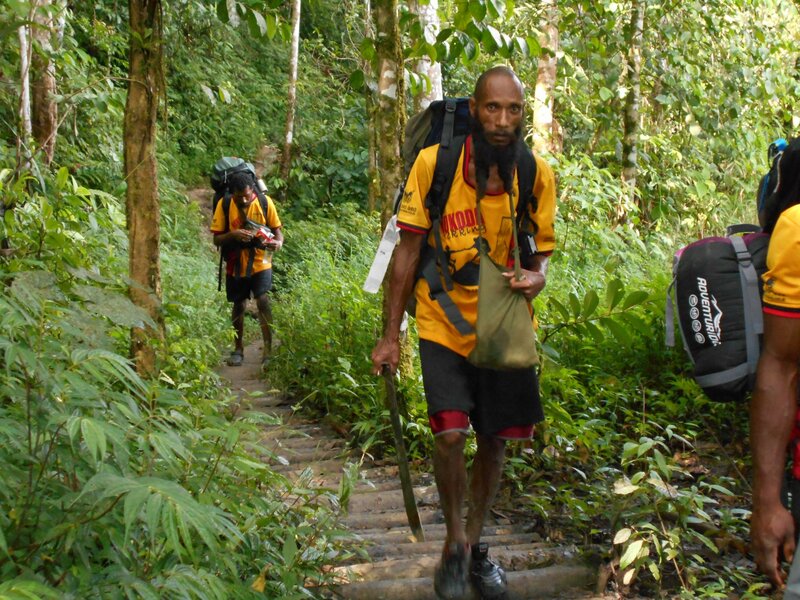 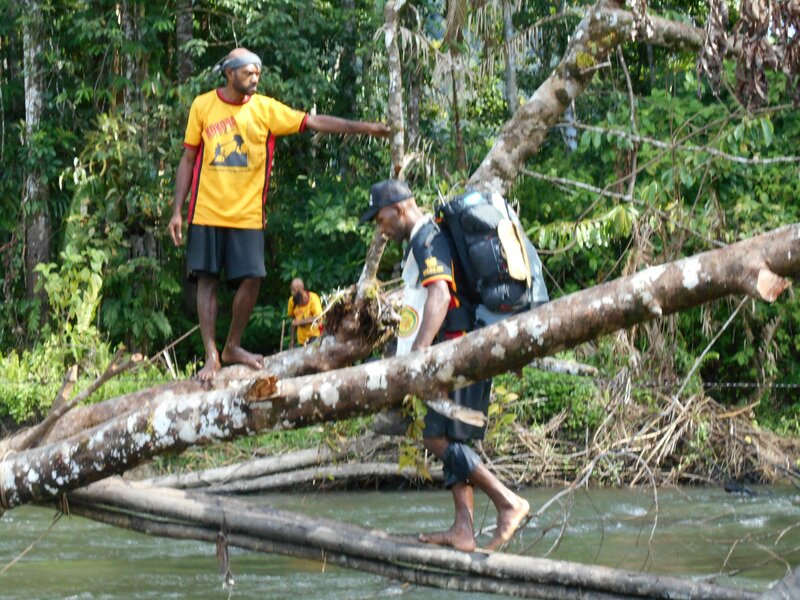 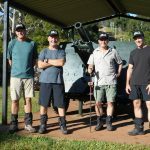 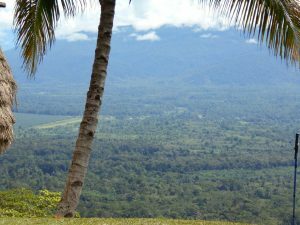 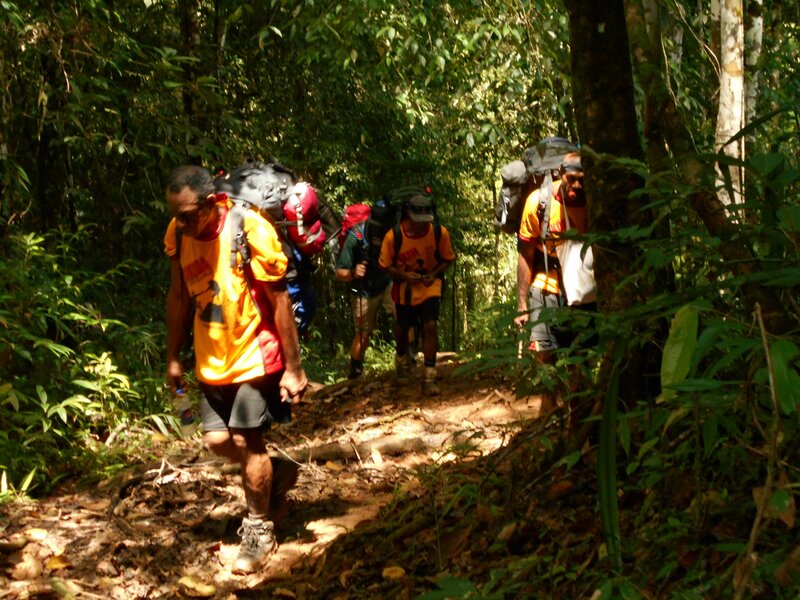 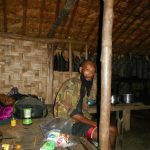 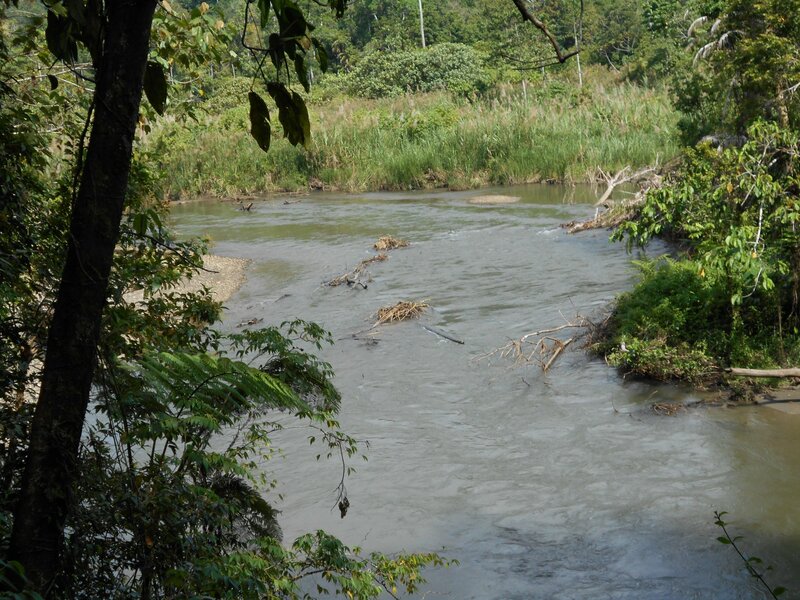 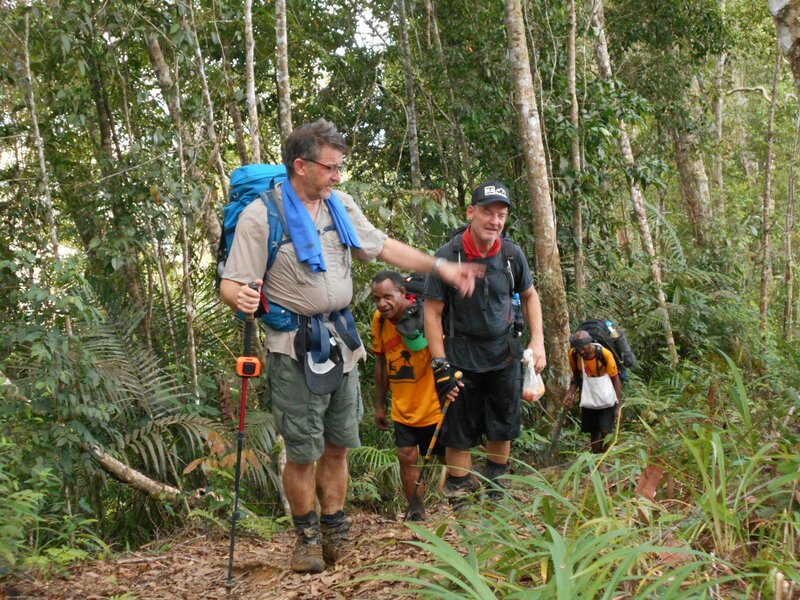 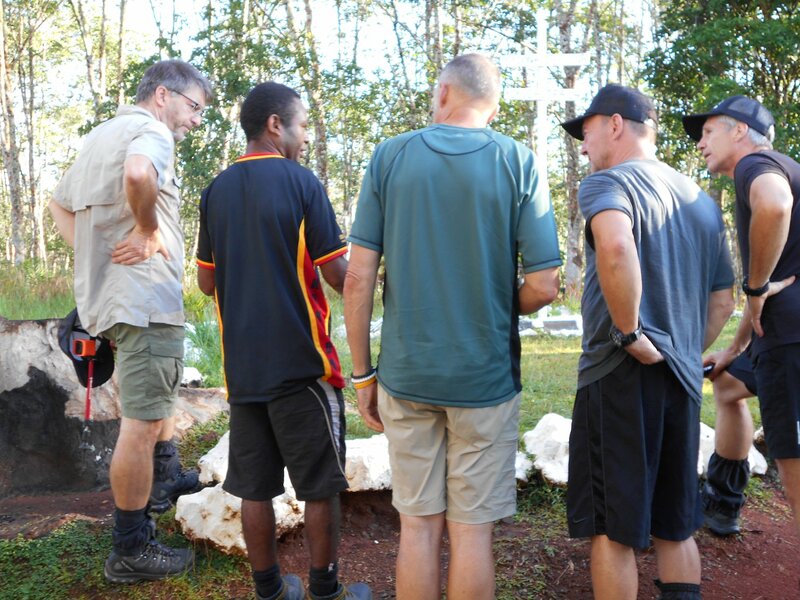 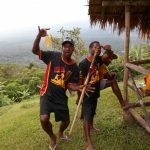 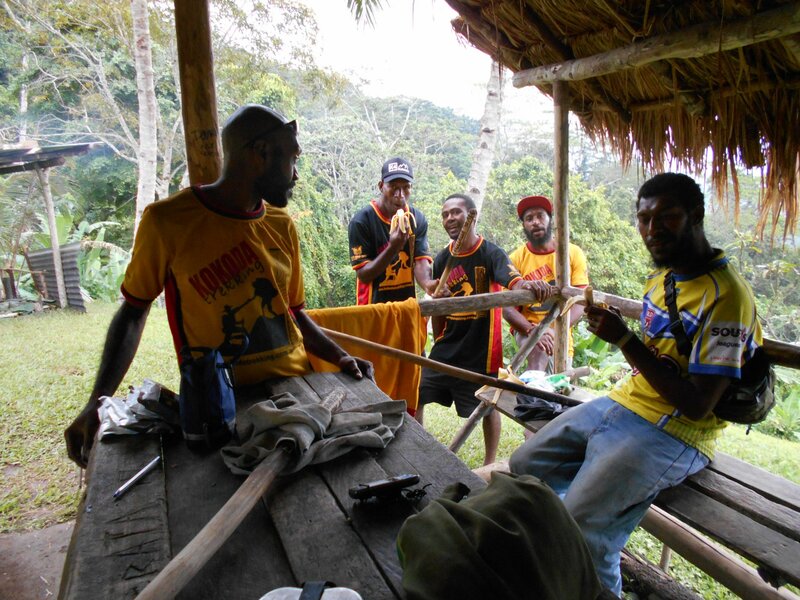 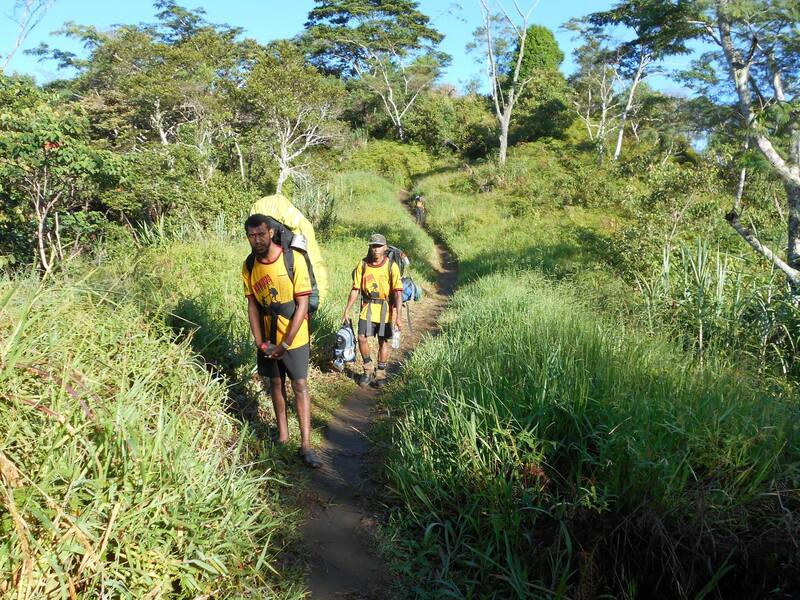 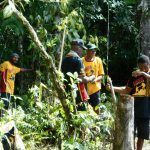 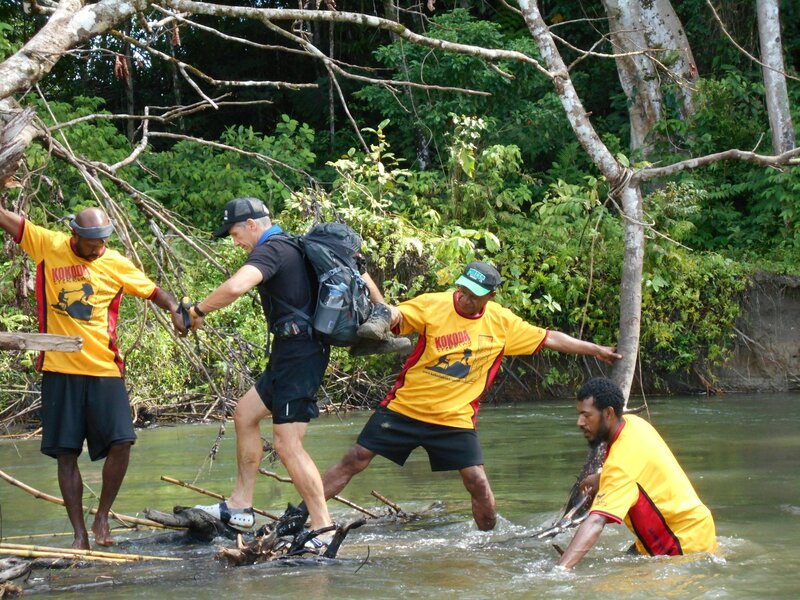 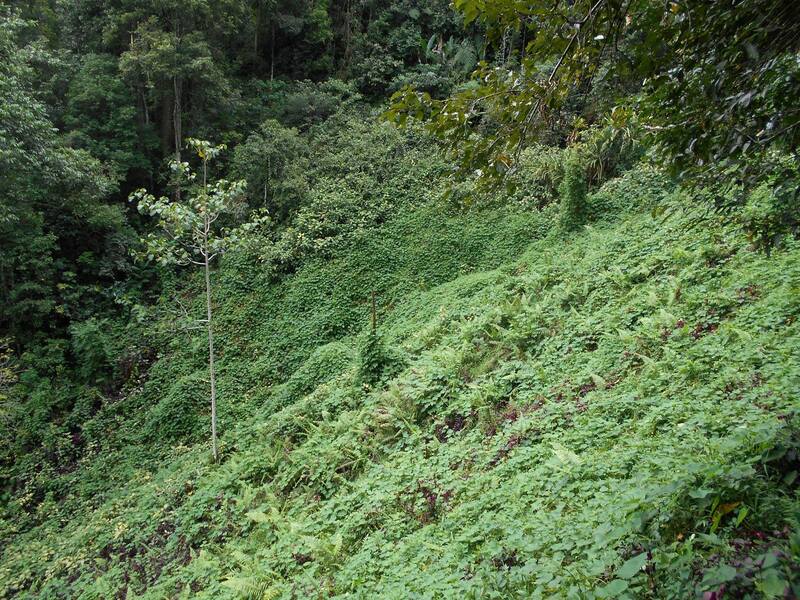 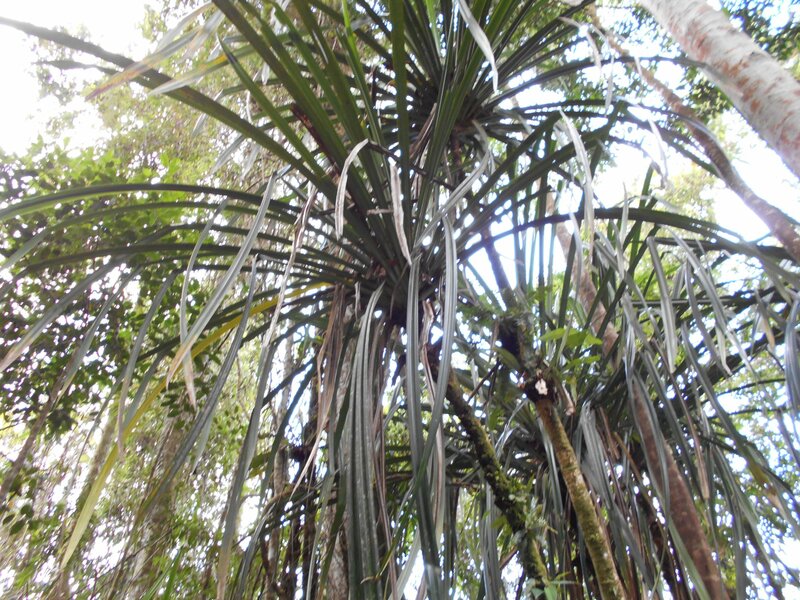 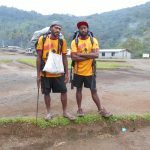 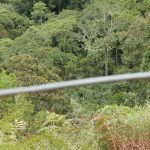 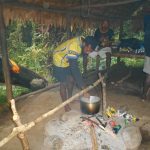 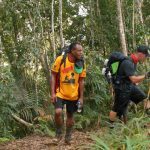 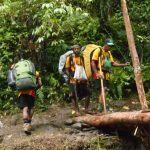 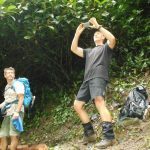 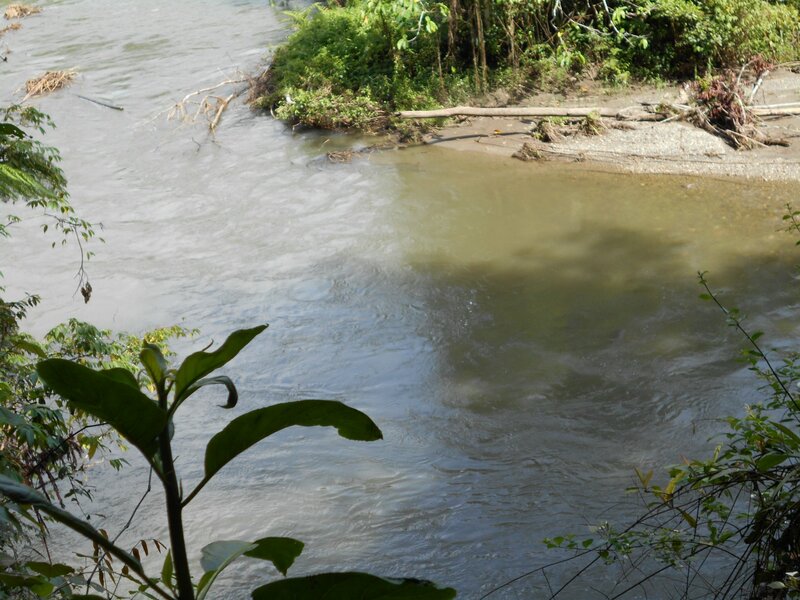 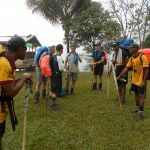 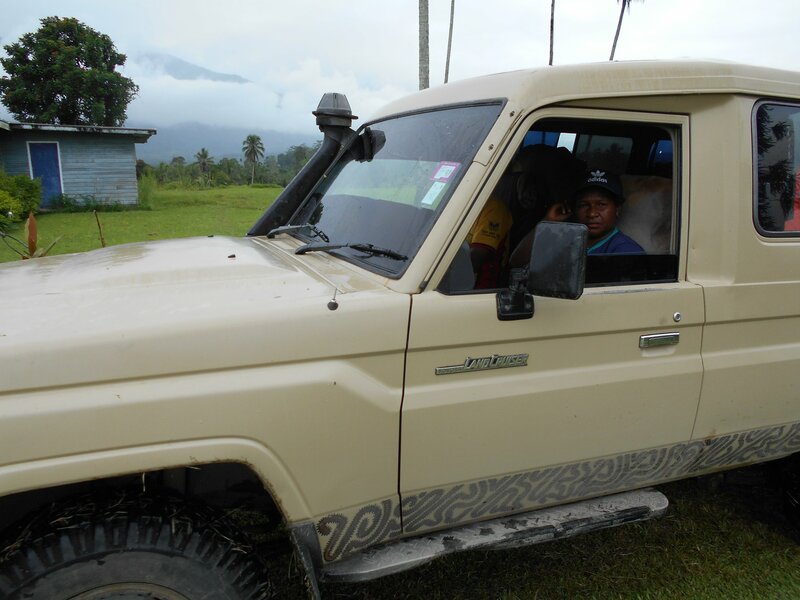 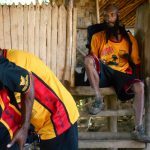 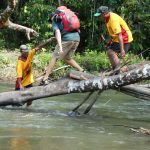 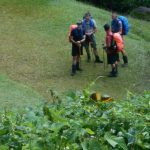 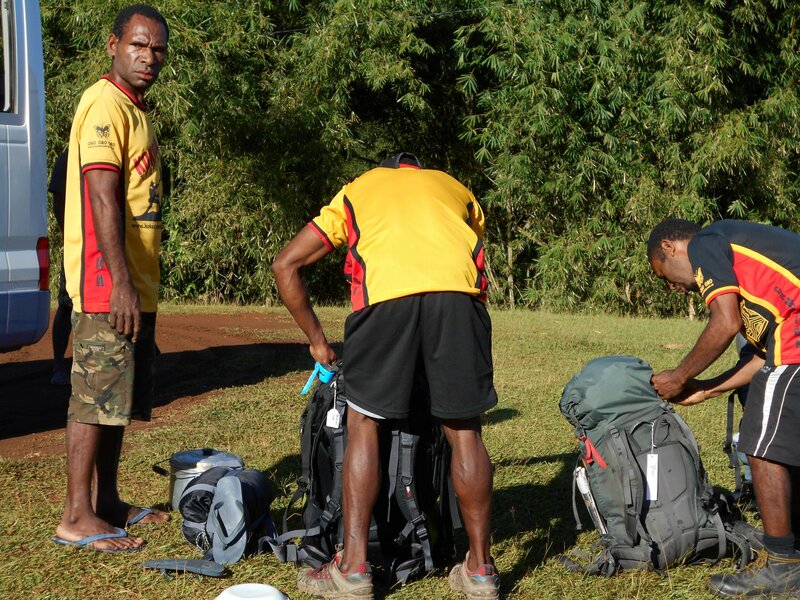 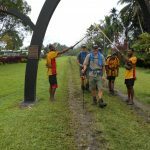 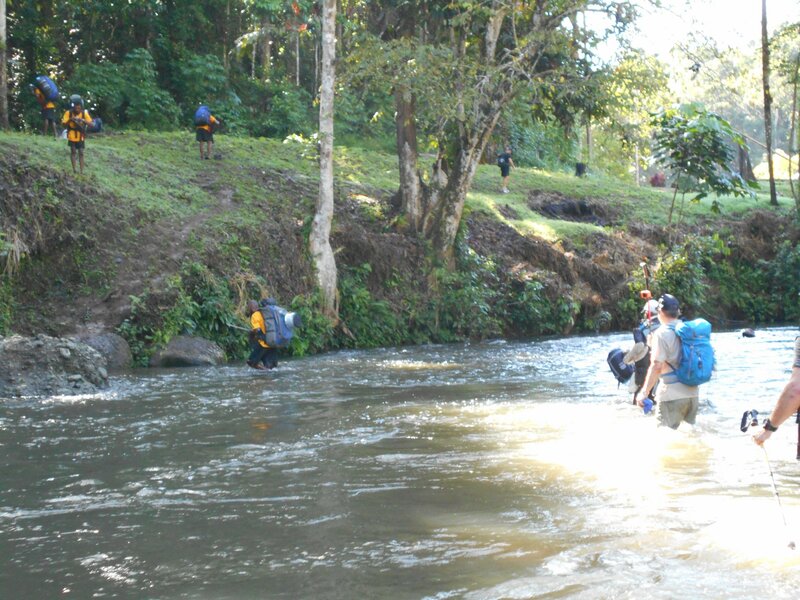 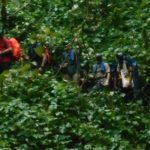 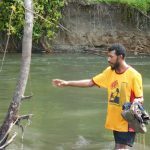 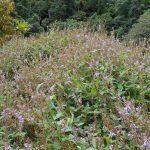 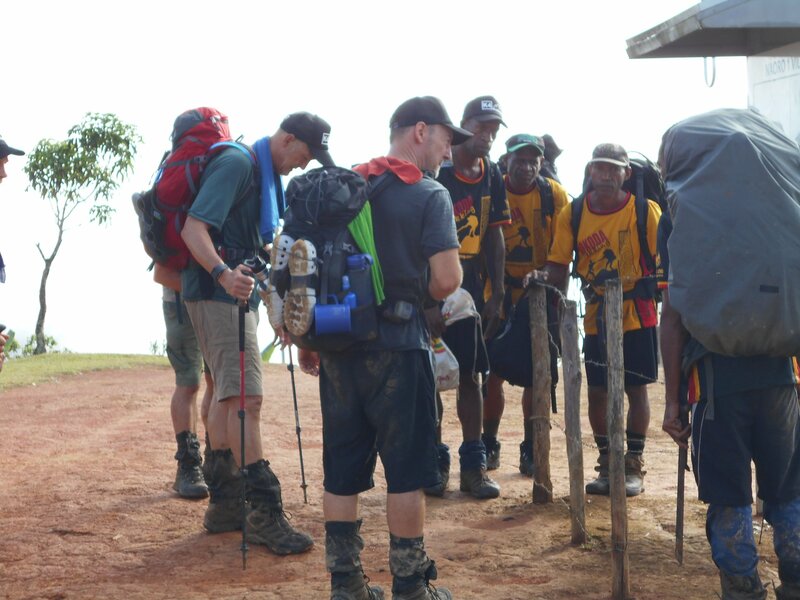 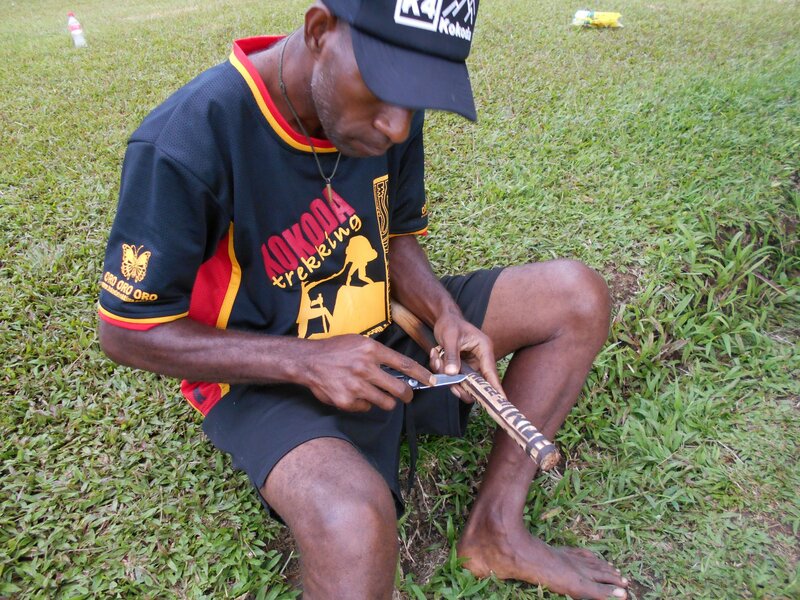 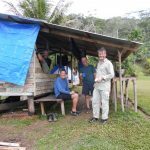 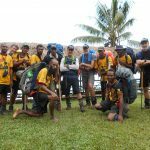 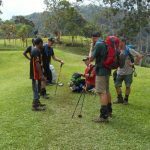 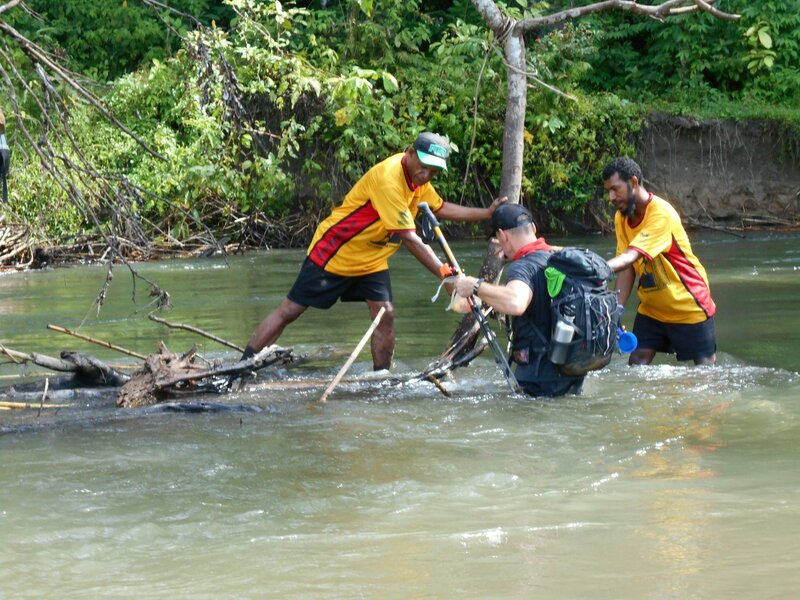 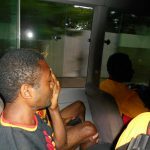 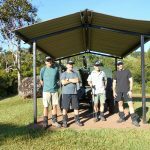 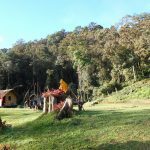 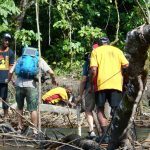 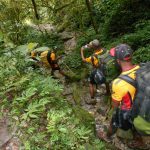 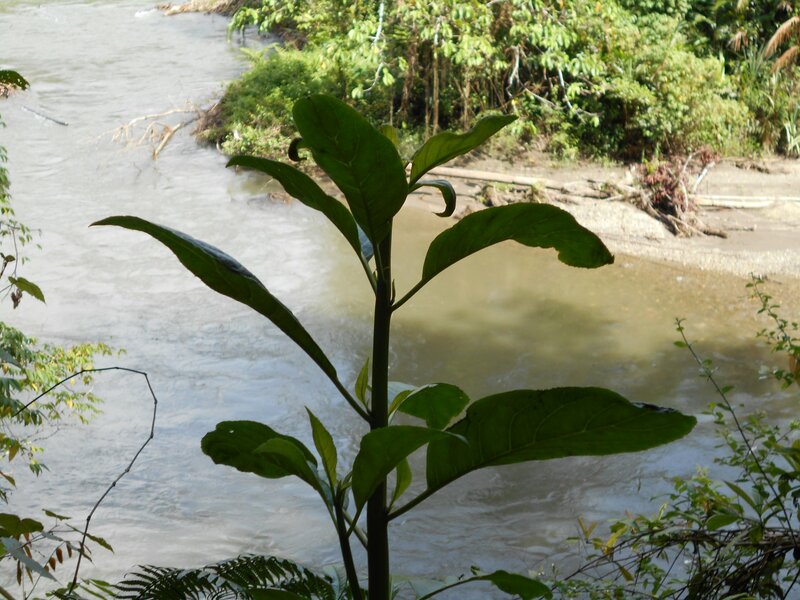 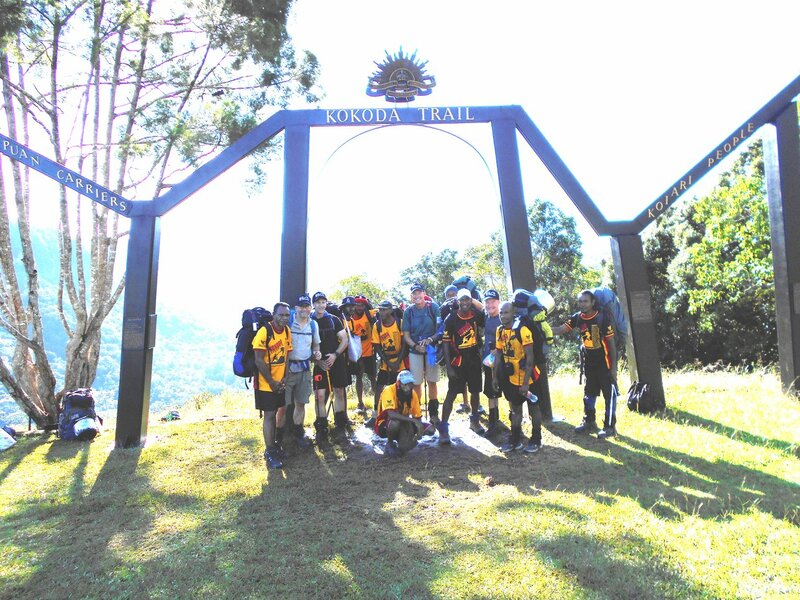 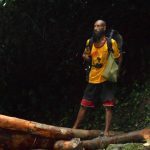 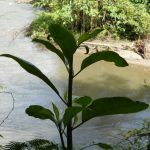 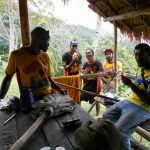 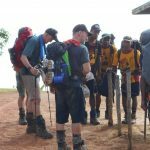 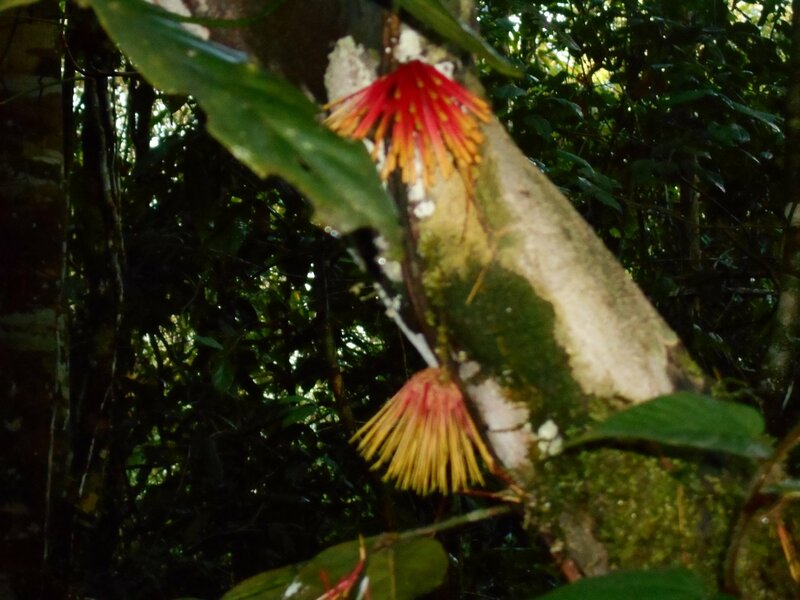 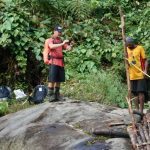 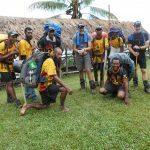 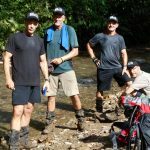 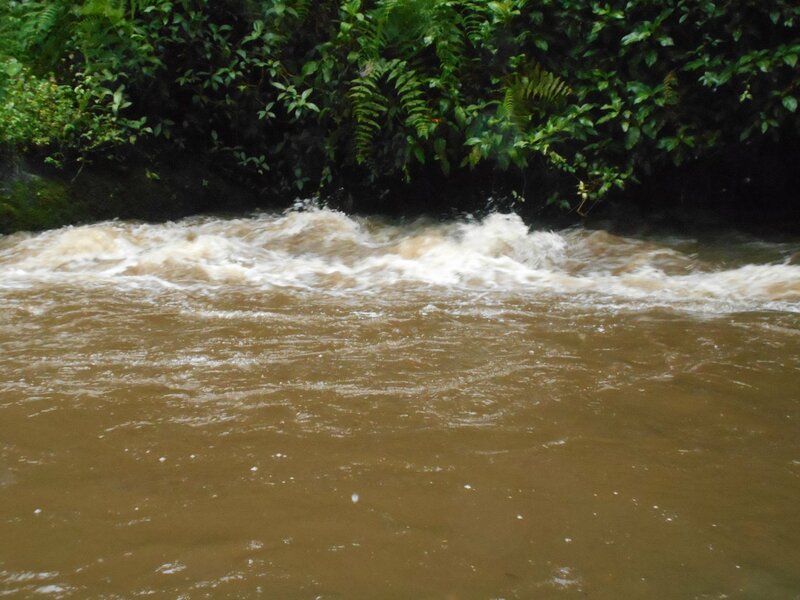 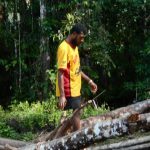 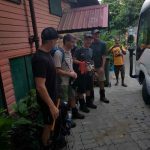 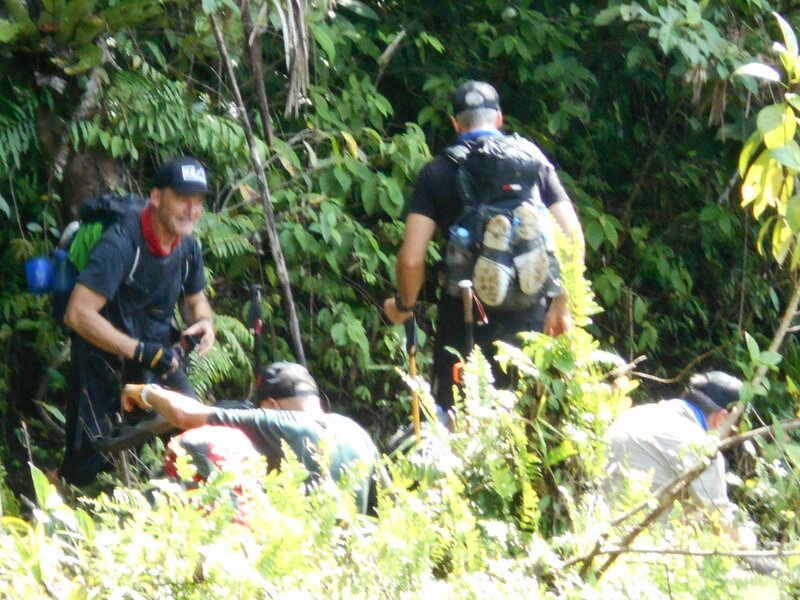 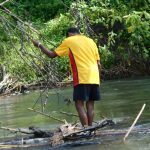 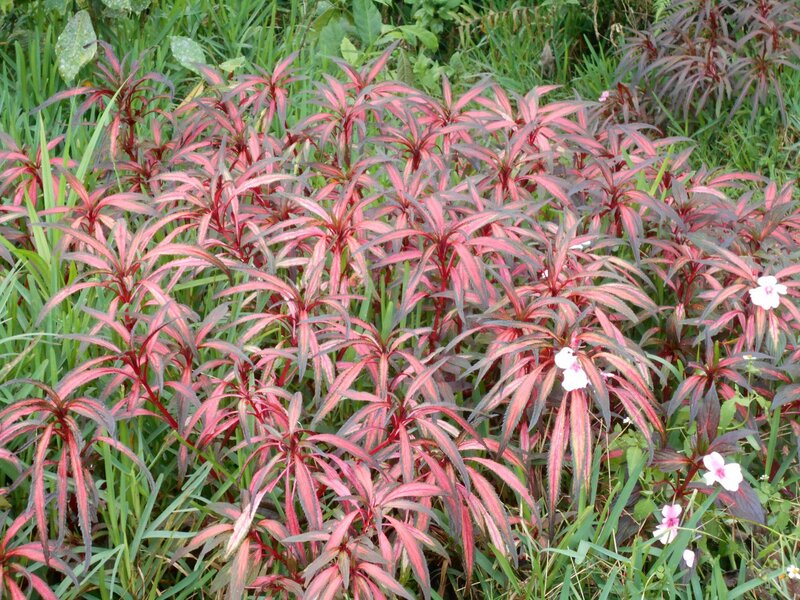 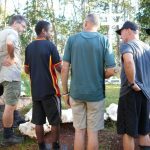 Trek 1144: I will use a PNG expression, they have fired in Kokoda – translation, trekkers have sucessfully completed their trek. 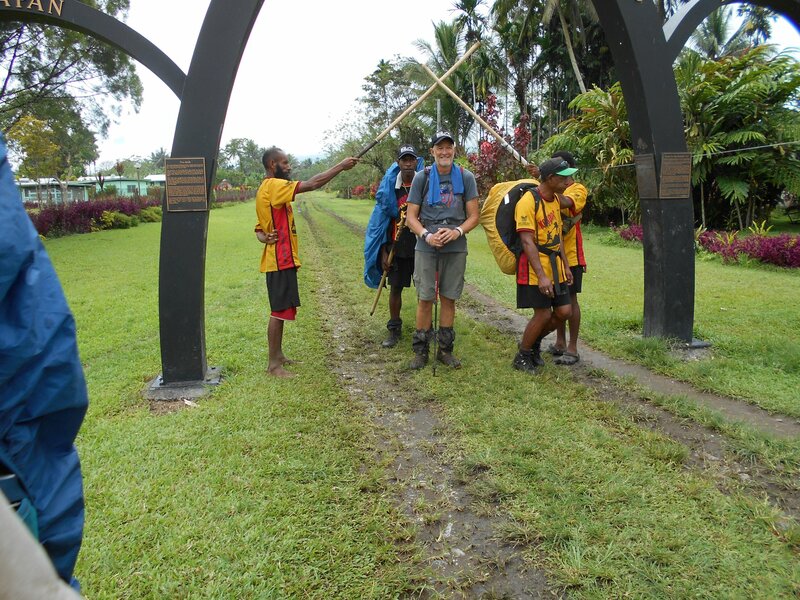 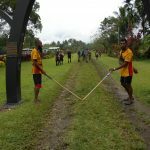 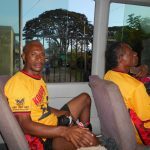 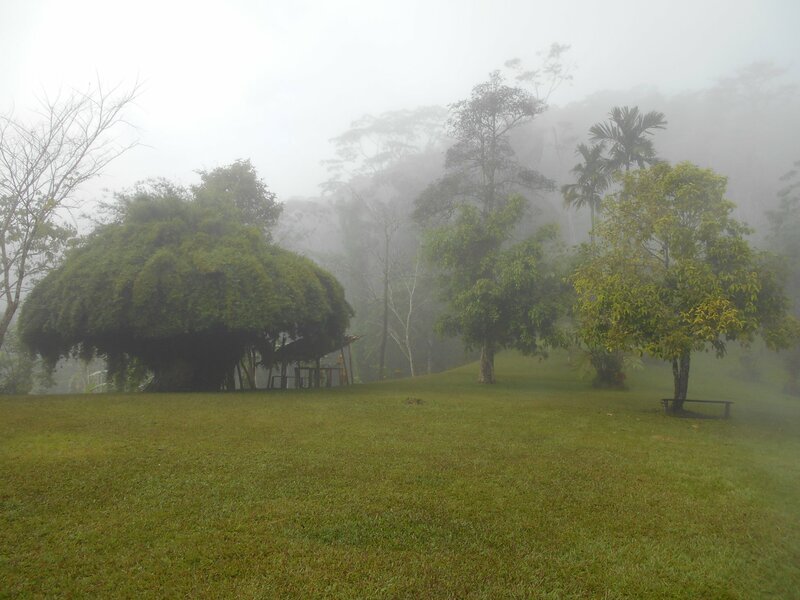 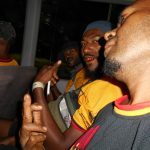 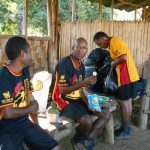 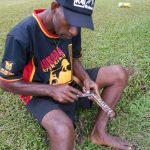 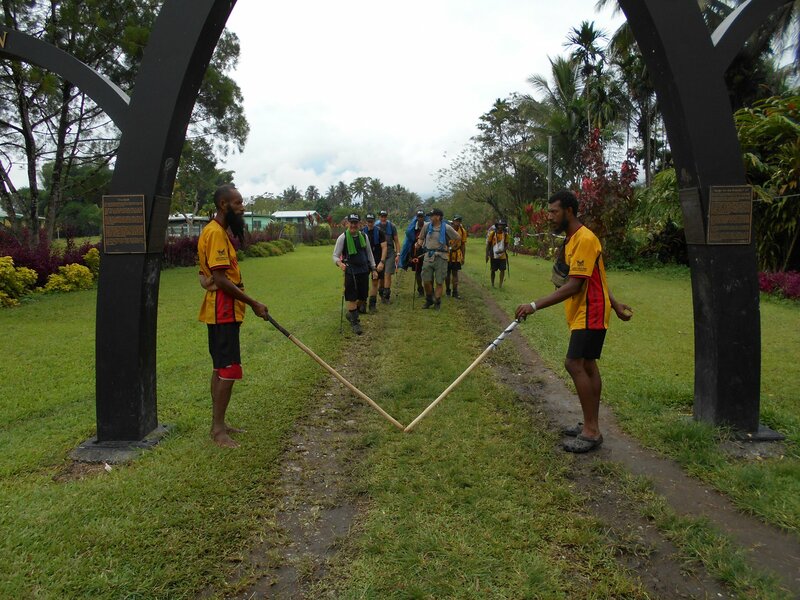 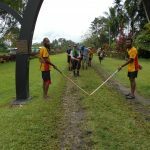 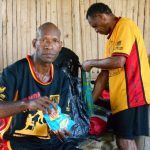 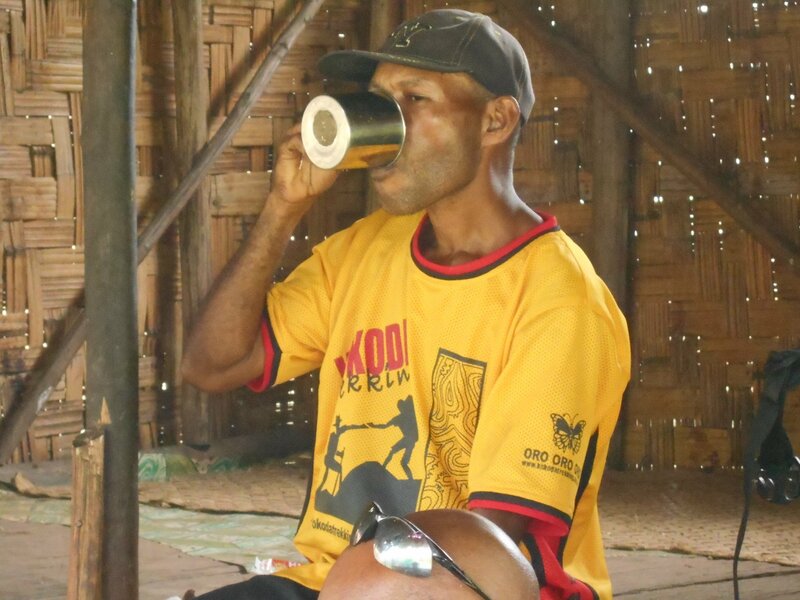 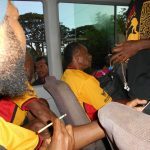 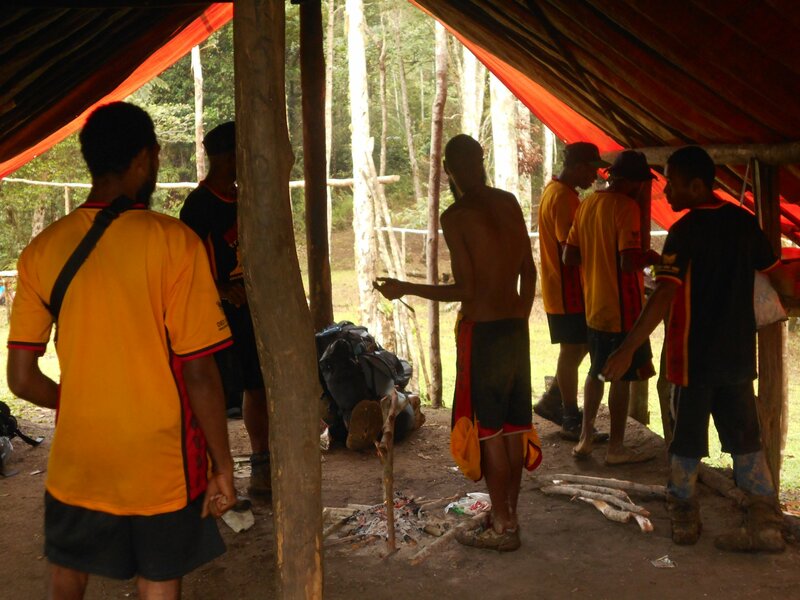 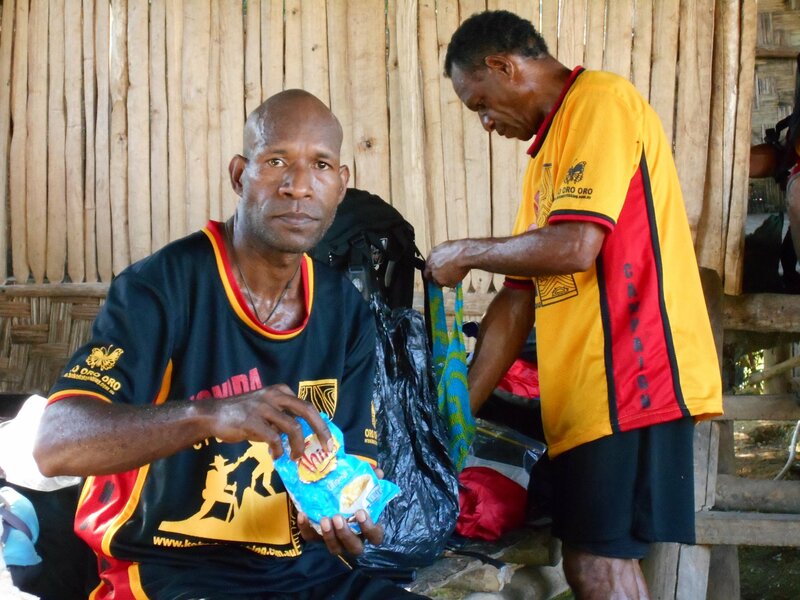 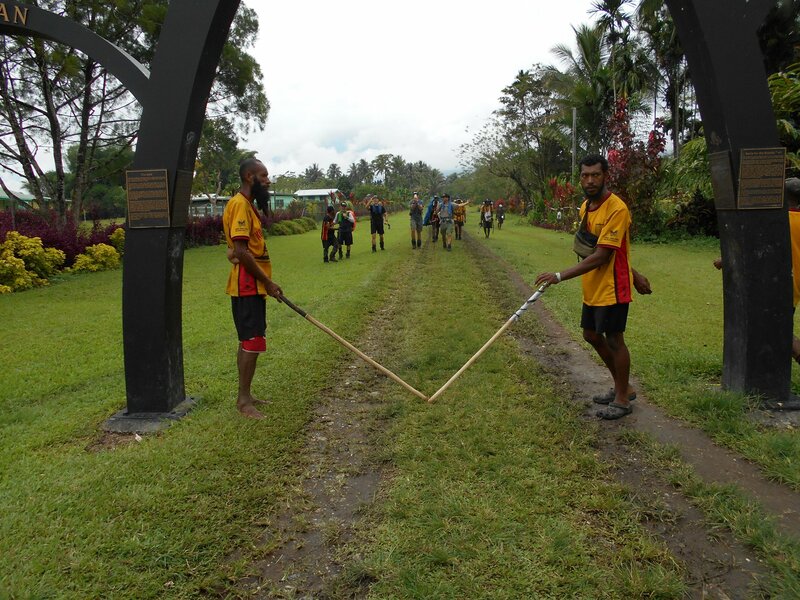 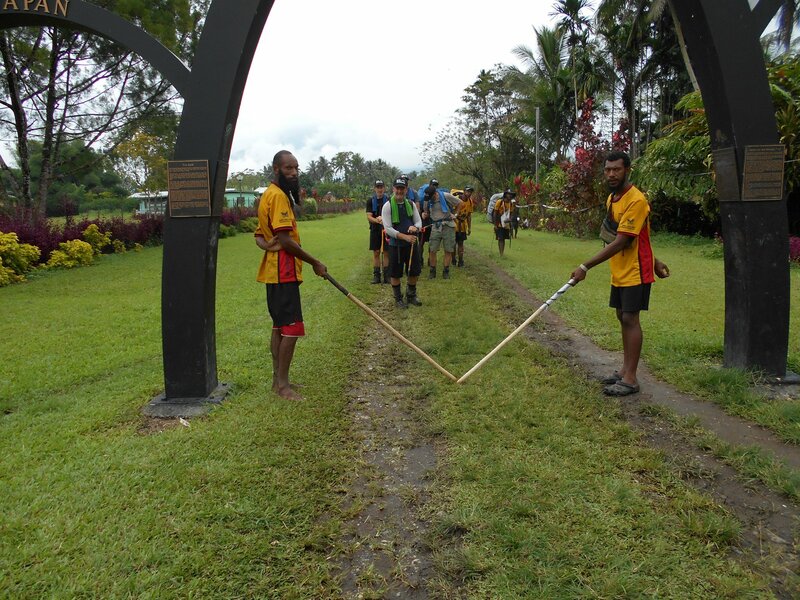 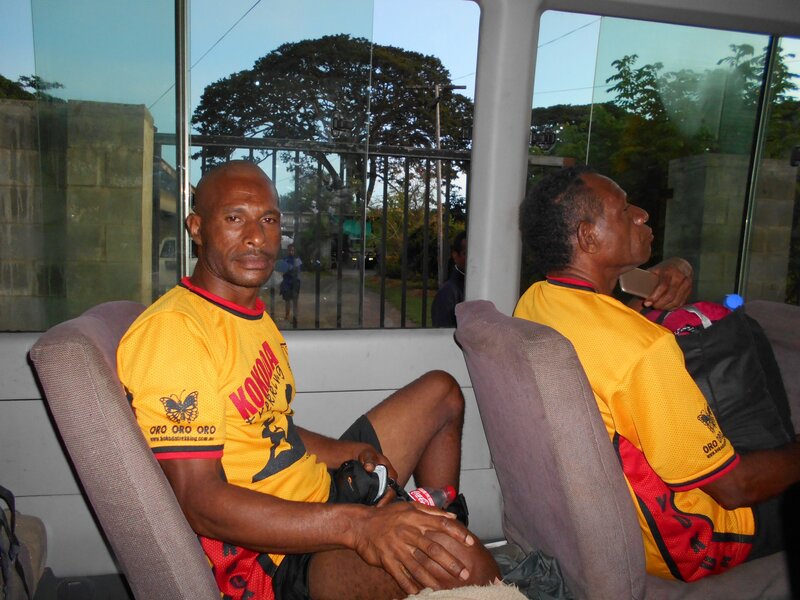 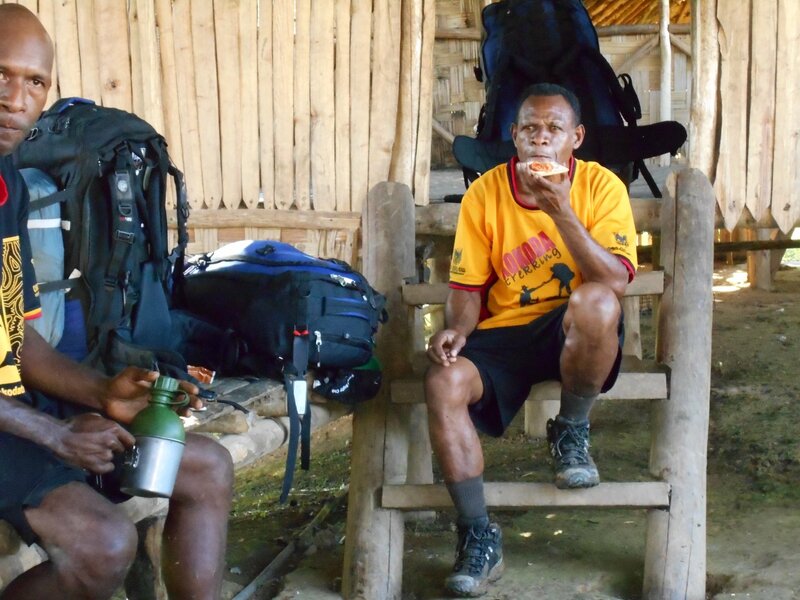 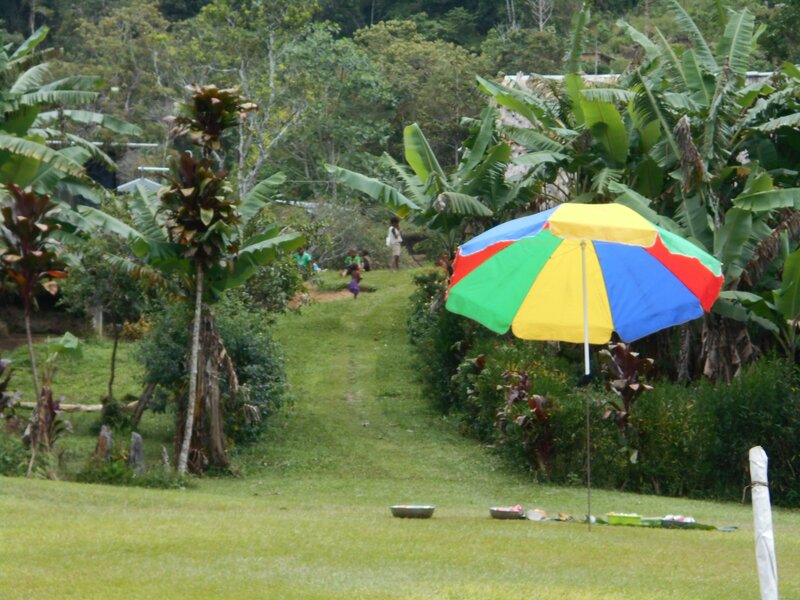 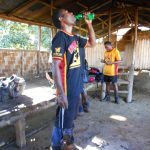 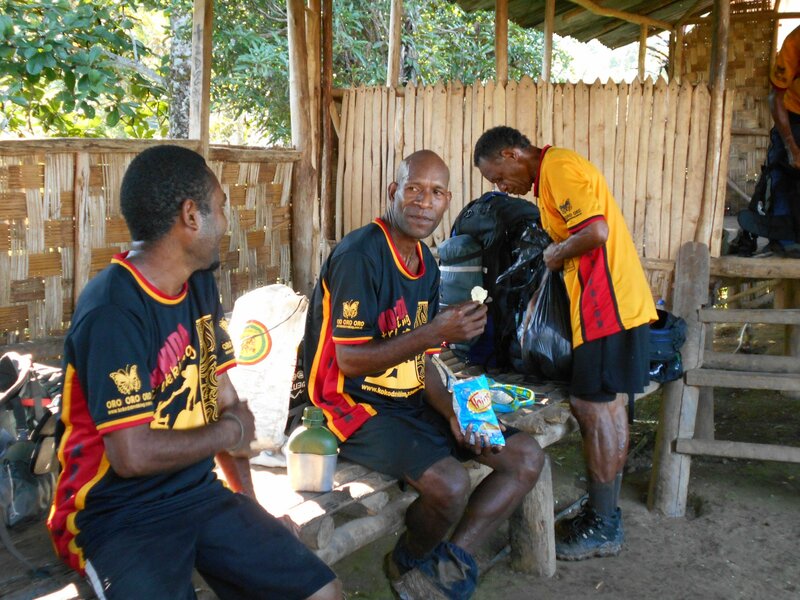 Earlier today they walked under the Kokoda Archway and the last I heard were down at Clement’s family area at Saga enjoying some refreshments. 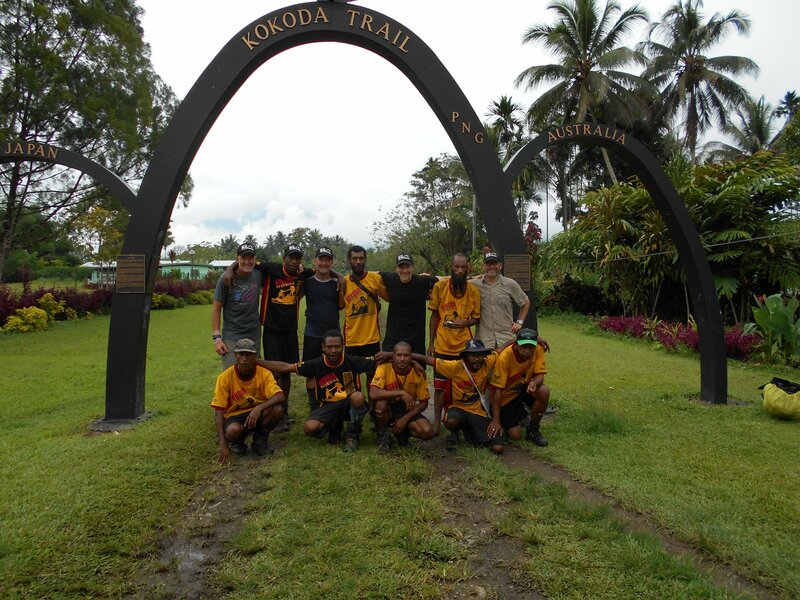 Well done everyone, trekkers and our KTL boys. 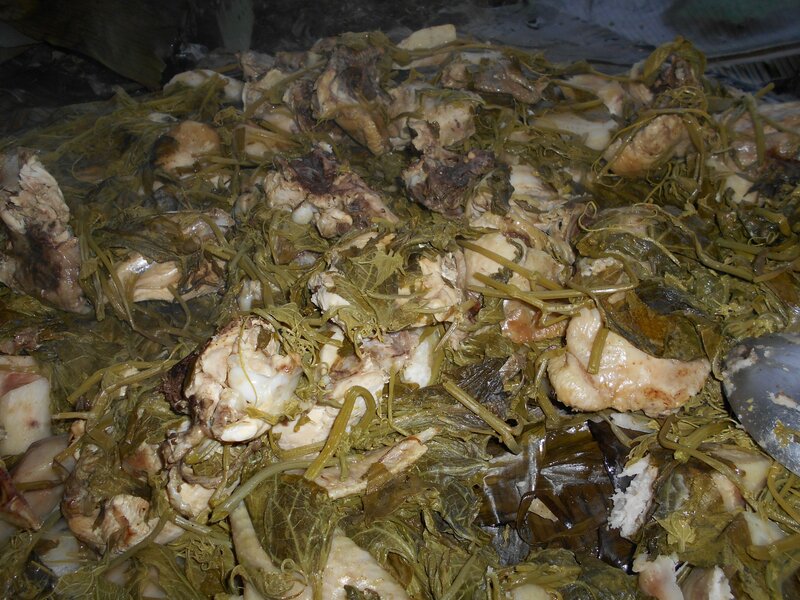 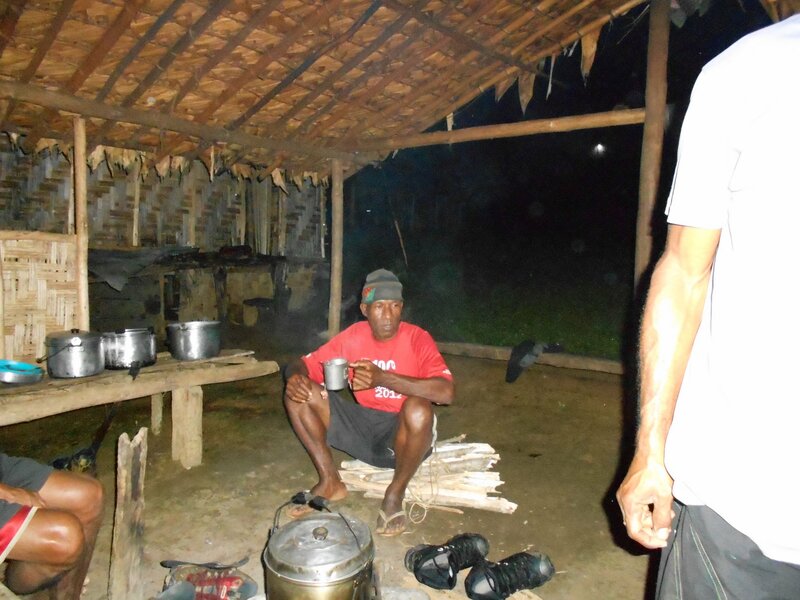 Later in the day they will make their way down to Orohaven Pija where they will spend the night. 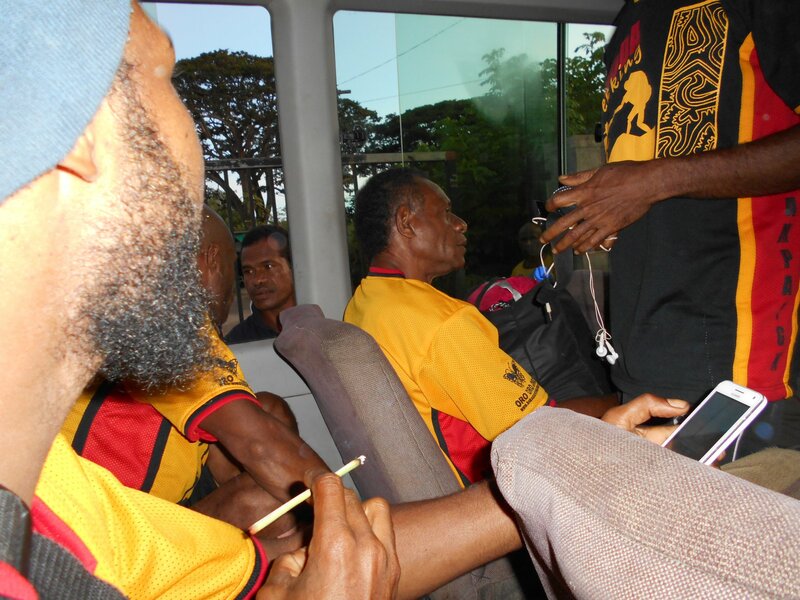 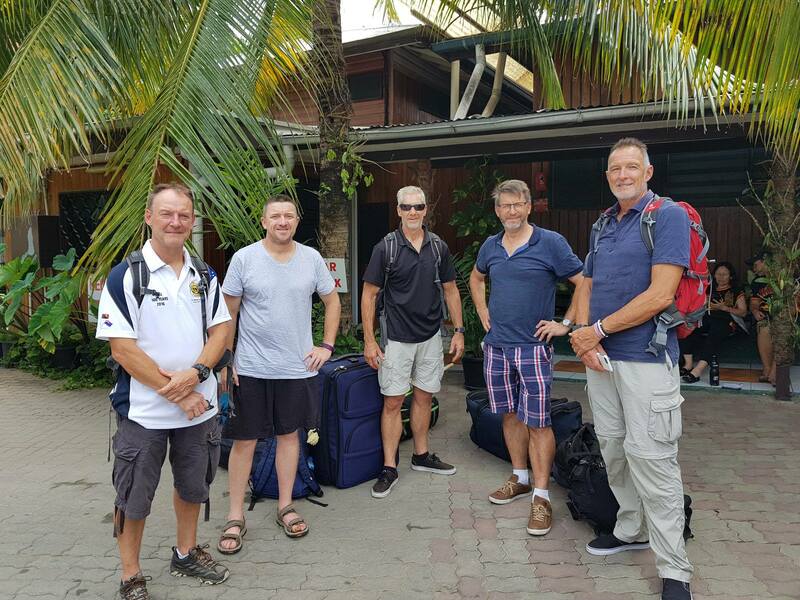 They were all supposed to be up early and fly back to Port Moresby early in the morning….but….PNGAir have upgraded them to a bigger aircraft and later book in time of 13:35 which will see them back in Port Moresby around 3ish tomorrow. 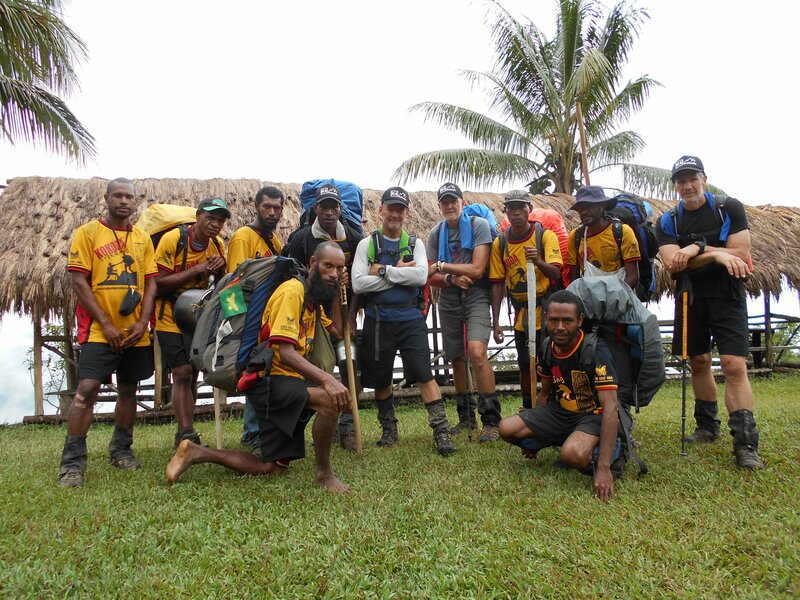 No photographs as yet of this group until trek returns with camera. 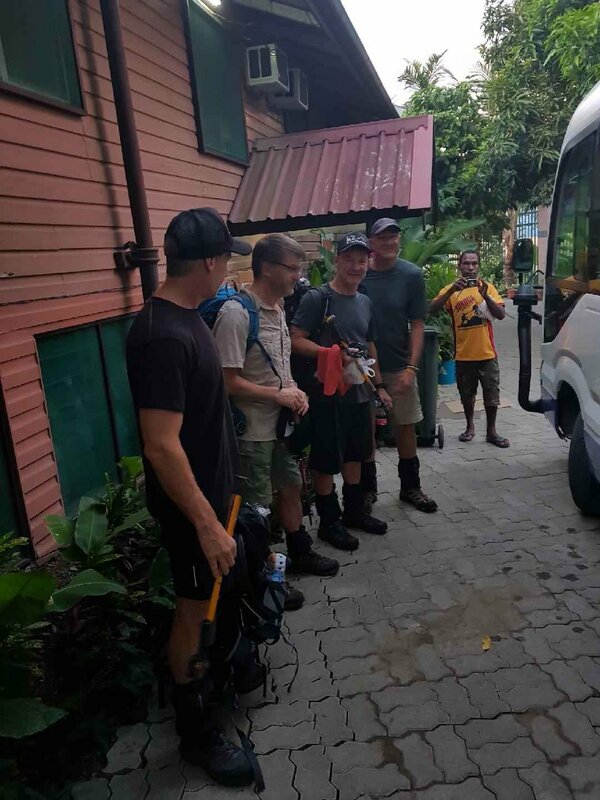 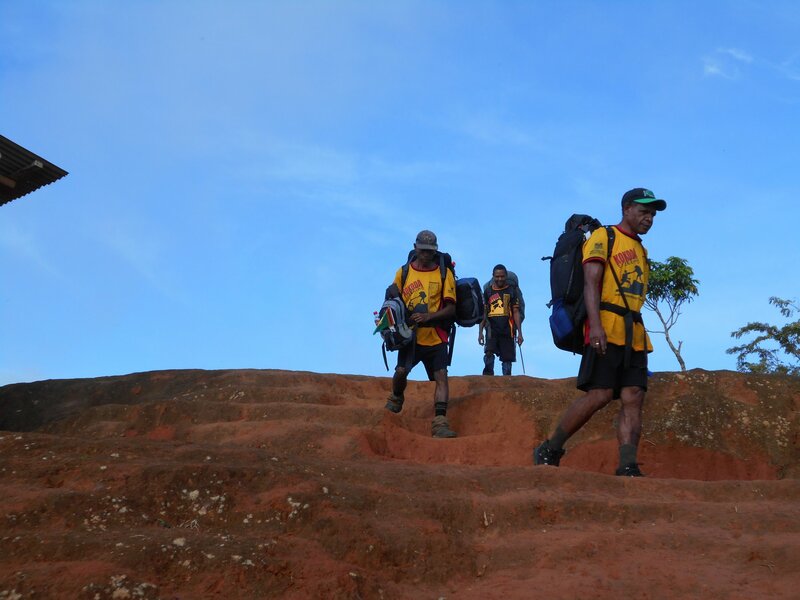 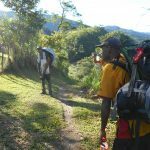 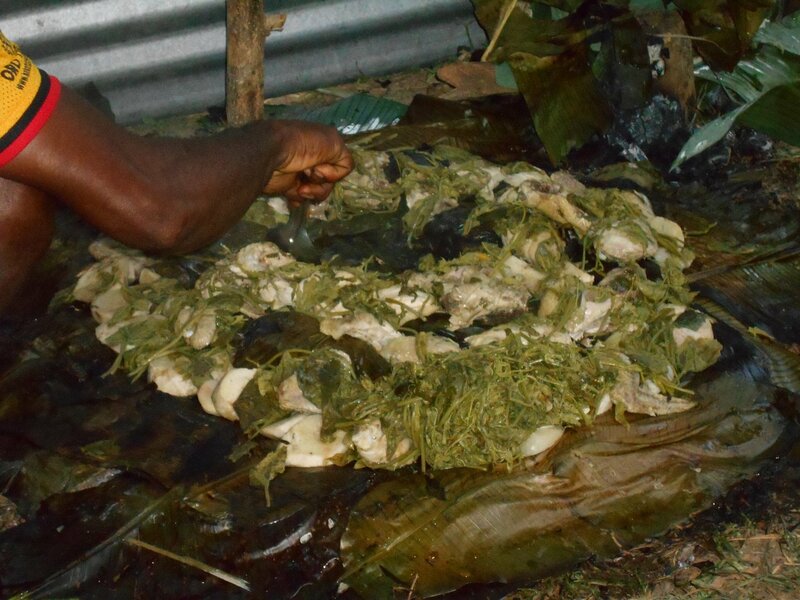 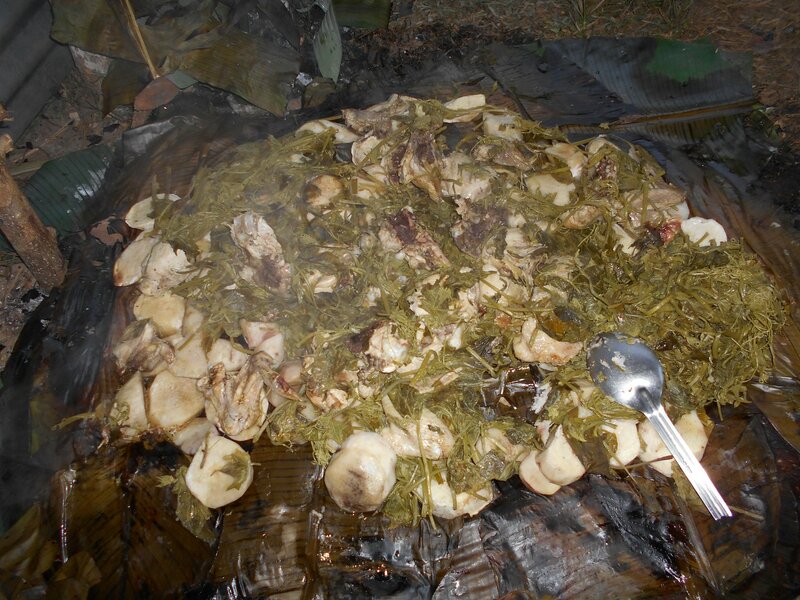 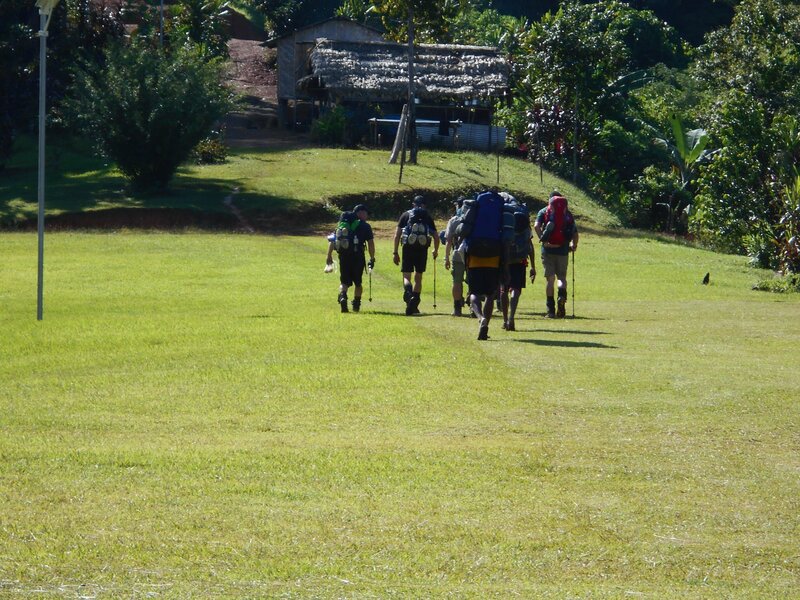 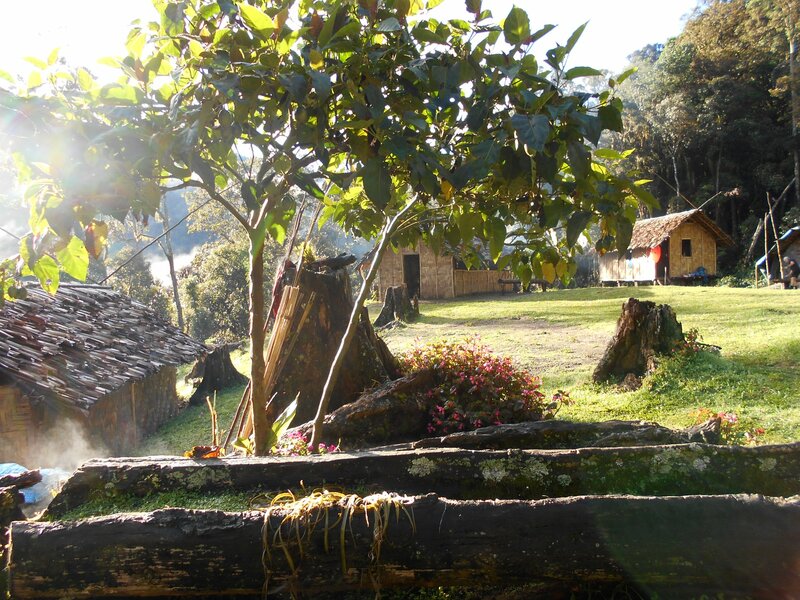 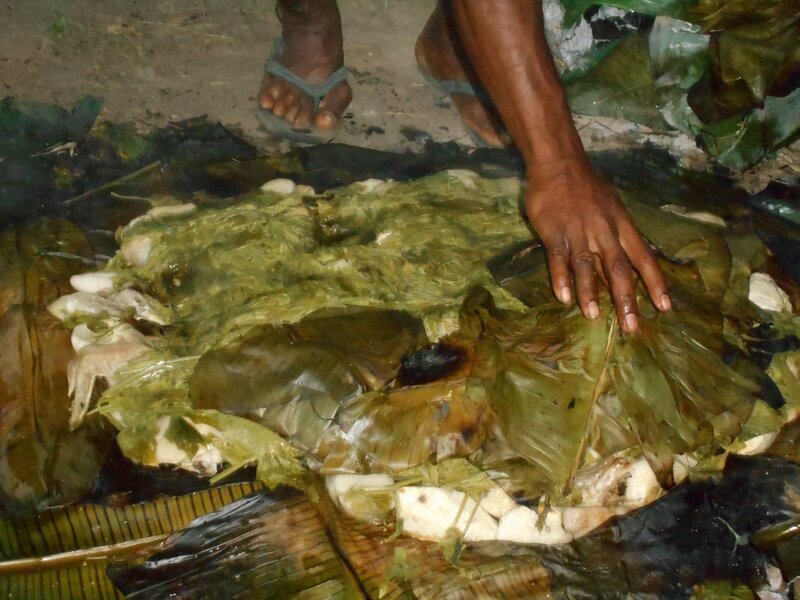 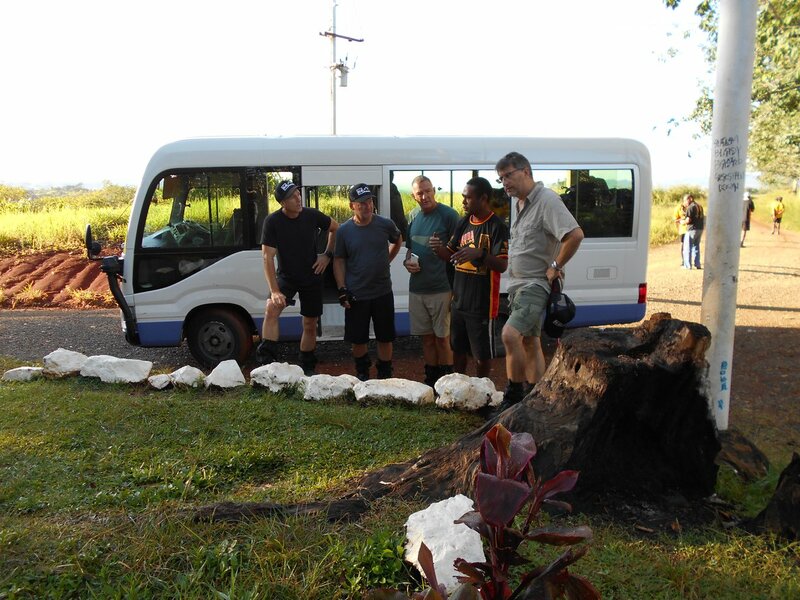 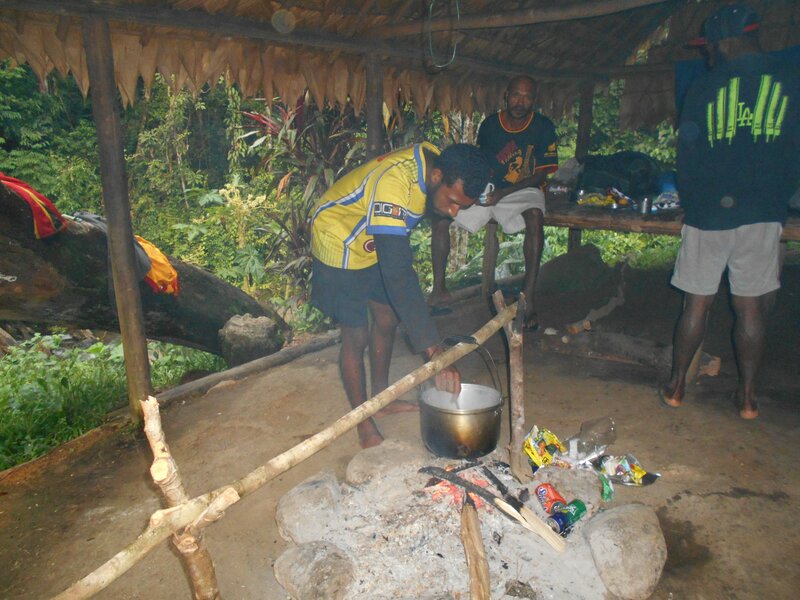 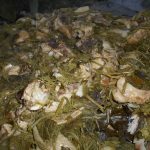 Trek 1144: At the present time this group are on their way to Orohaven Pija along with our cook Maryanne Suma who will prepare their evening meal. 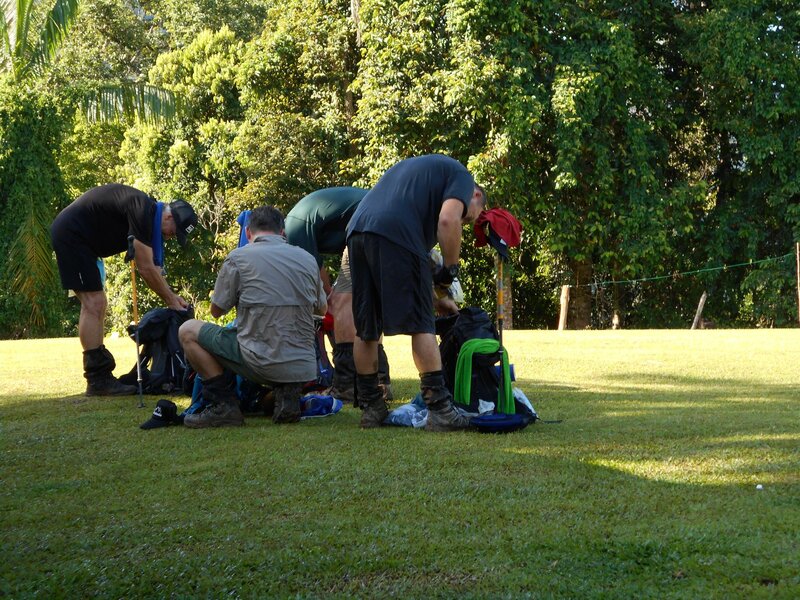 Maryanne will also cook for the two remaining treks also coming off the track later today. 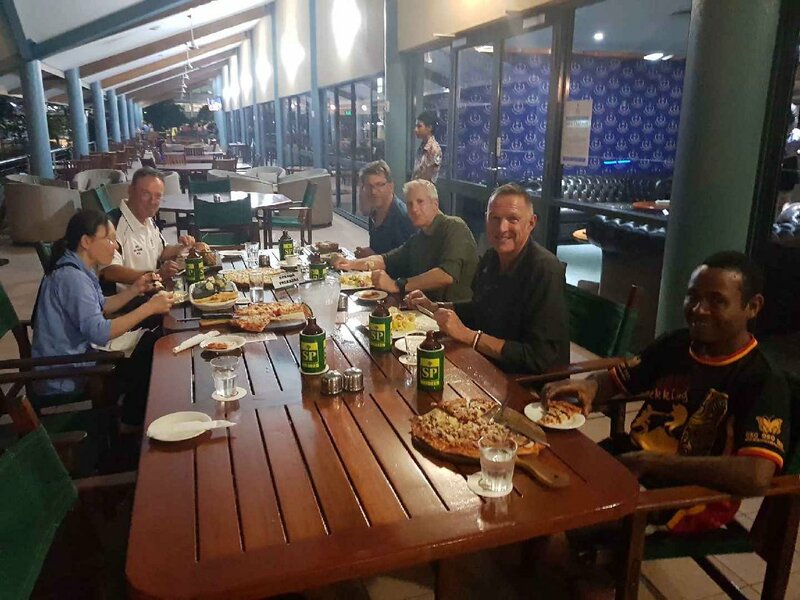 Hope they like pizza! 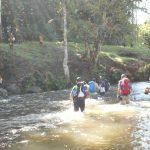 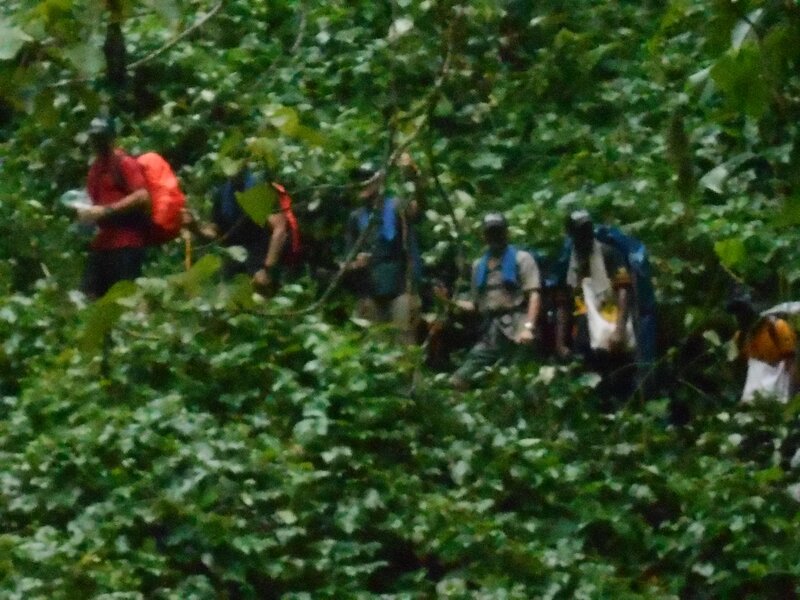 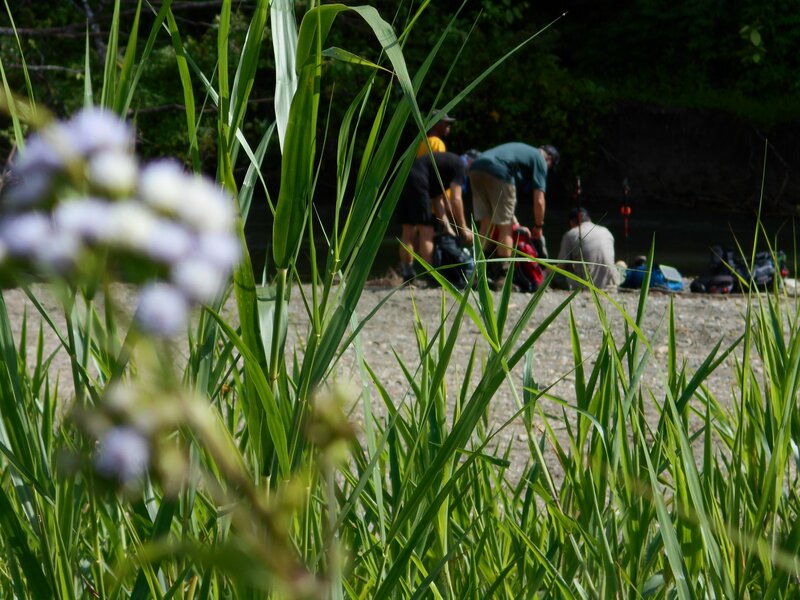 Have no idea if this group enjoy a beer, if they do, picture them cooling off like previous trekkers in the creek that runs alongside where they will stay tonight. 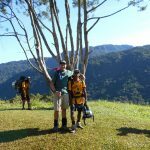 Robin Swadling is my dad! 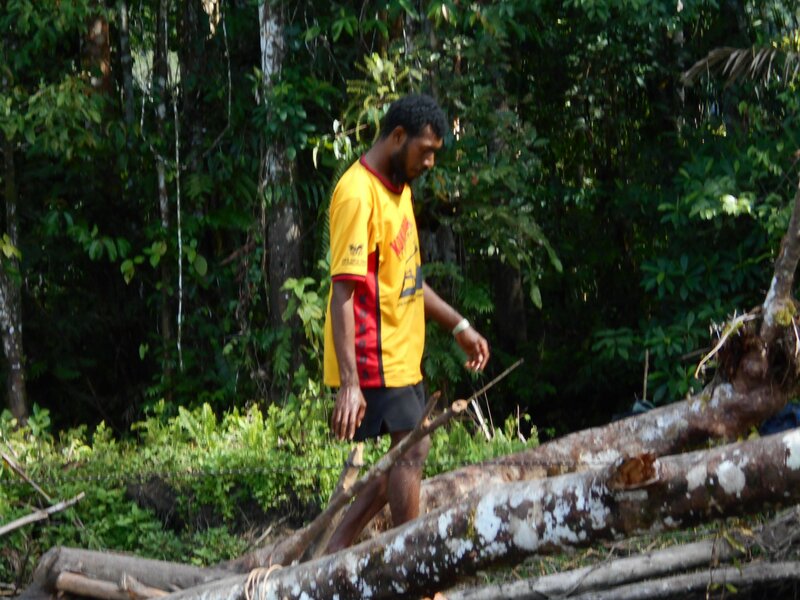 So proud of him! 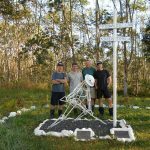 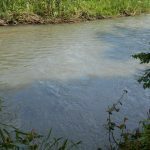 This is such a great feat and I look forward to hearing all about it! 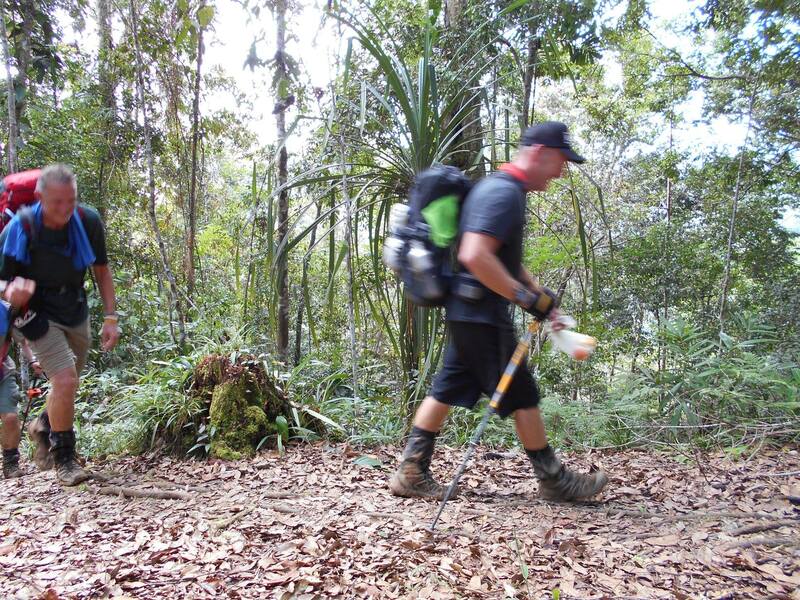 Keep going Dad!